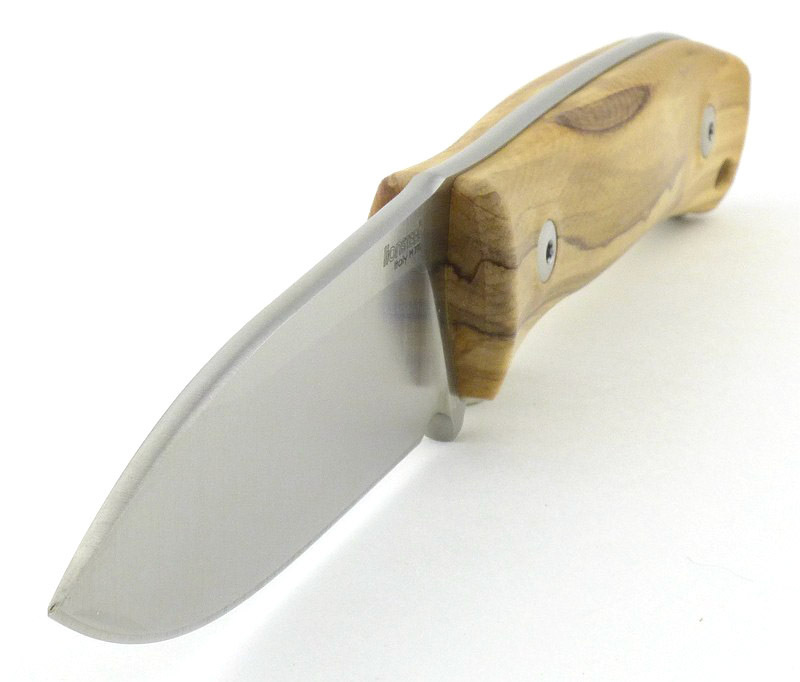 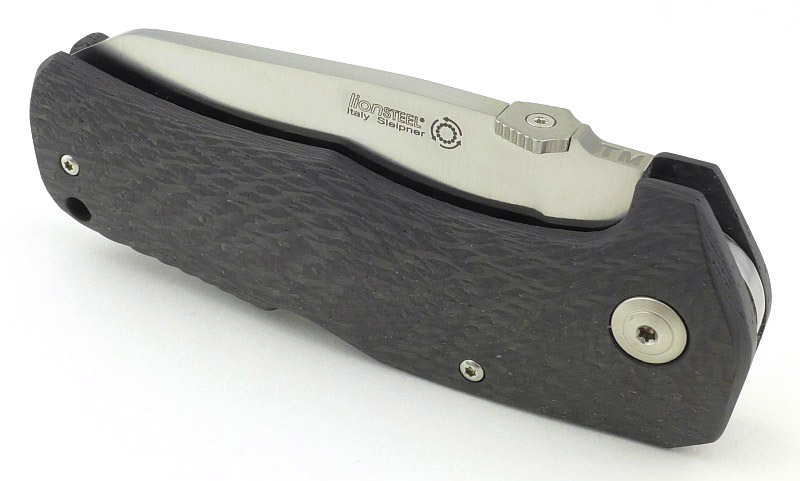 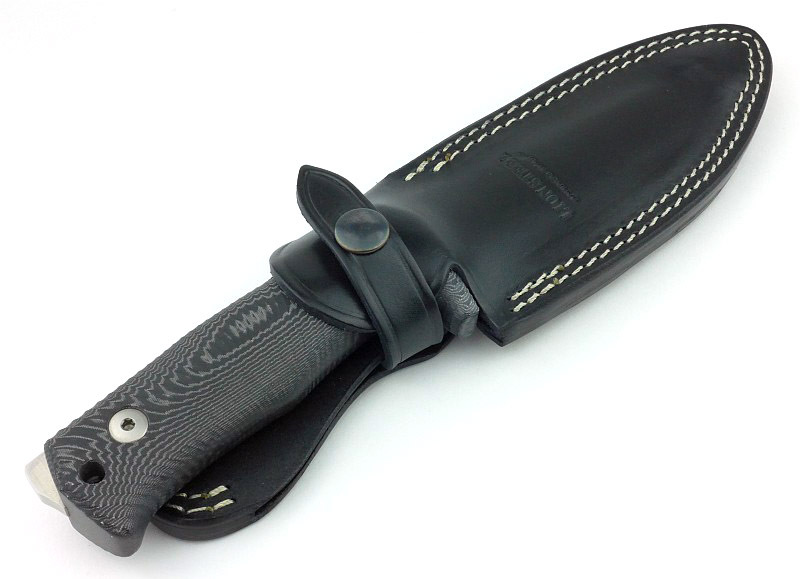 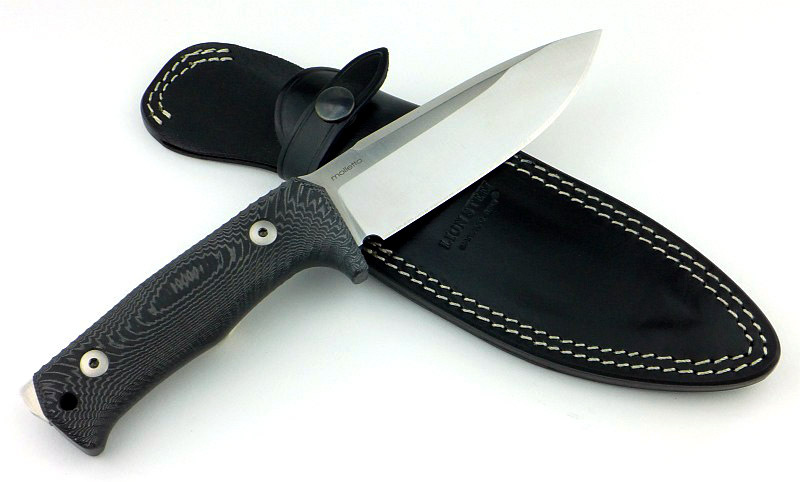 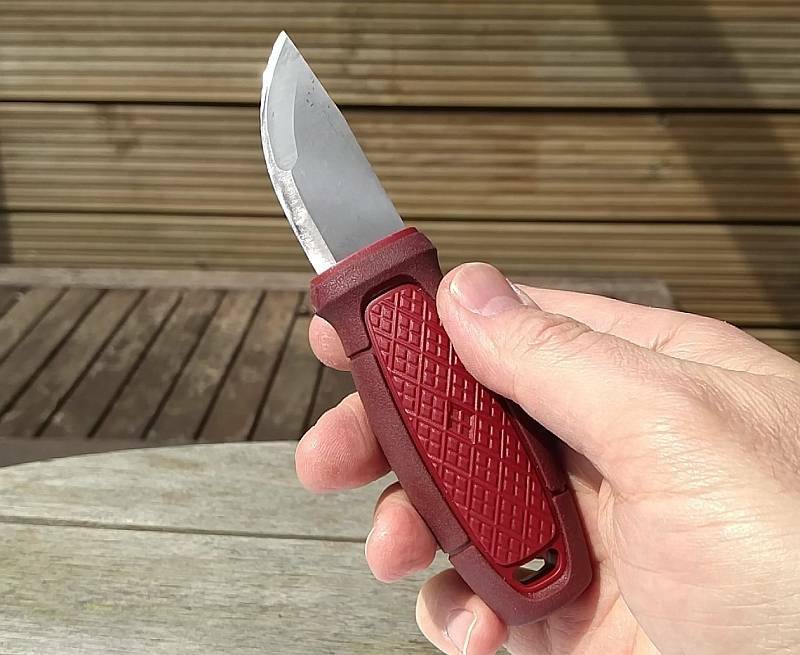 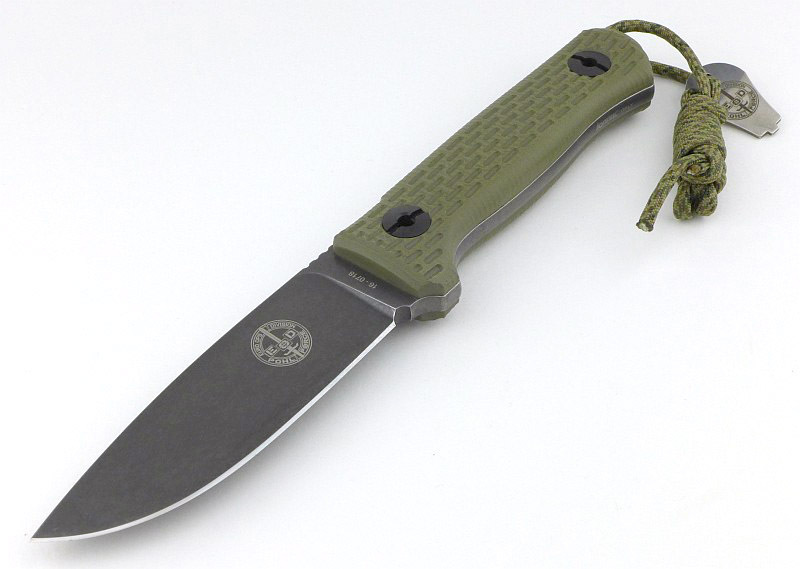 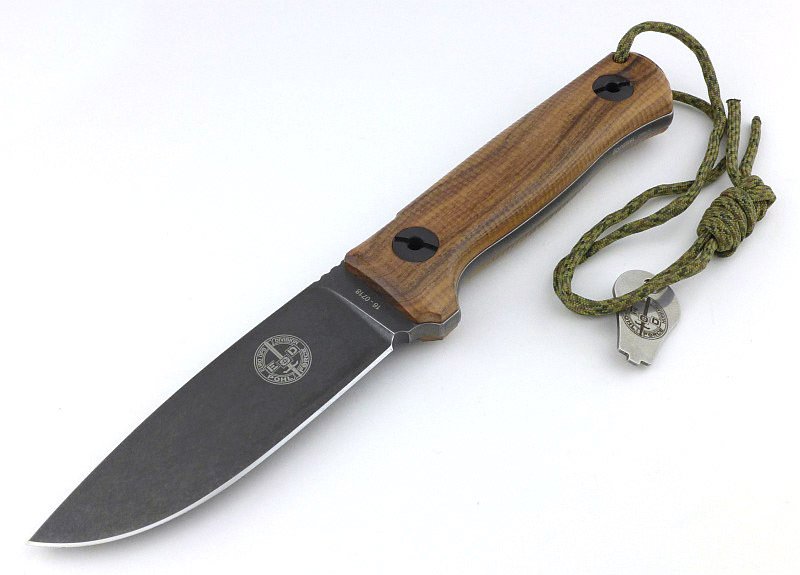 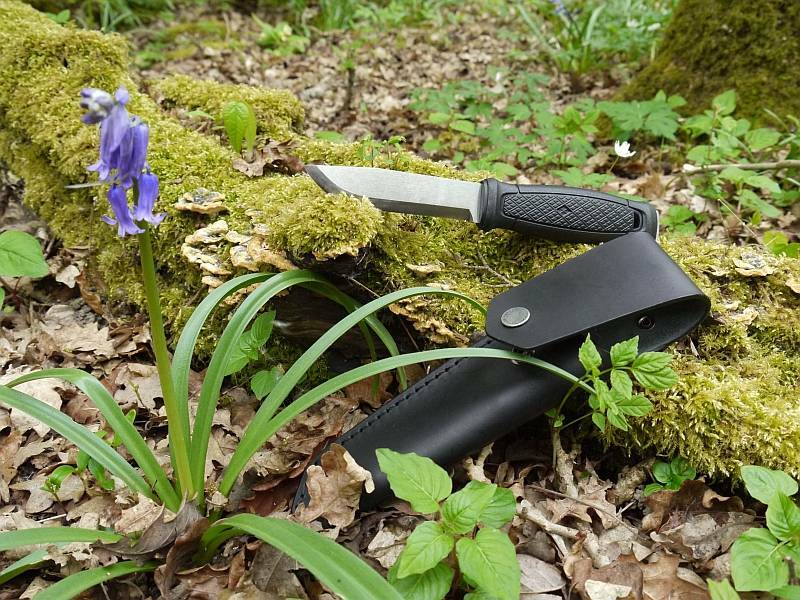 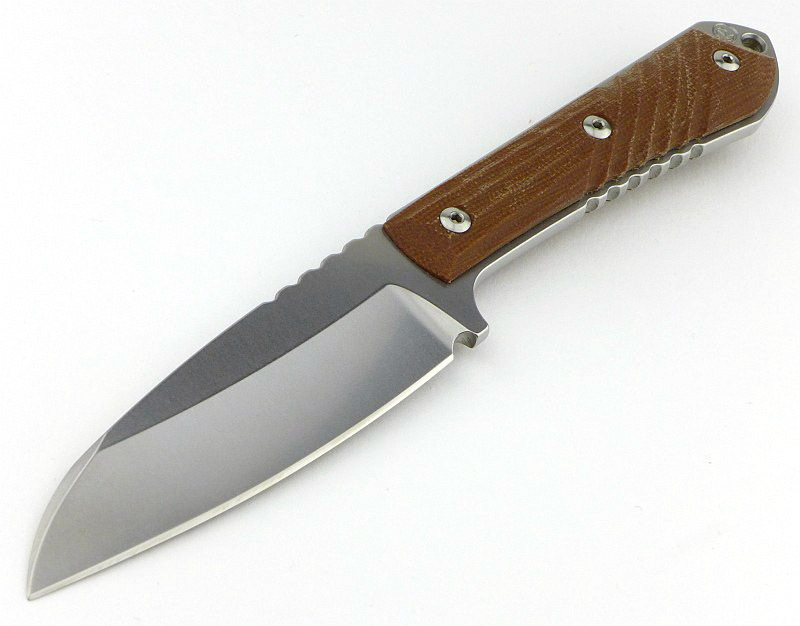 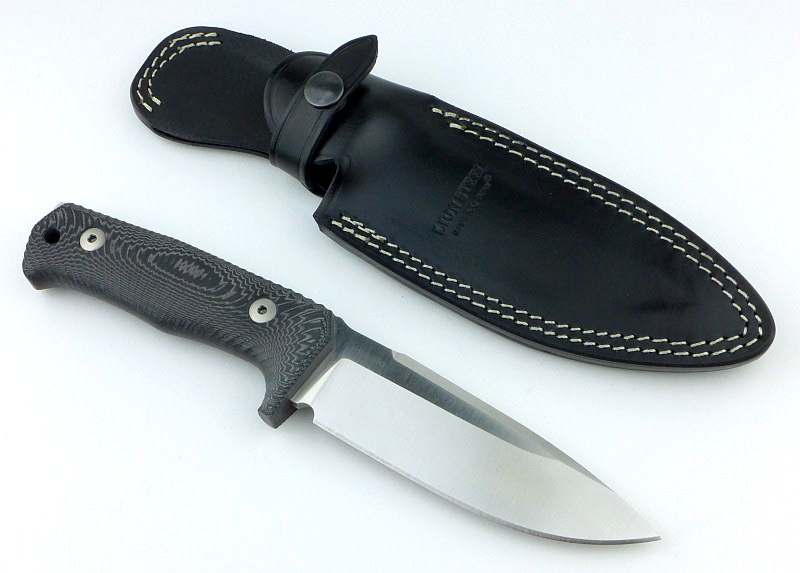 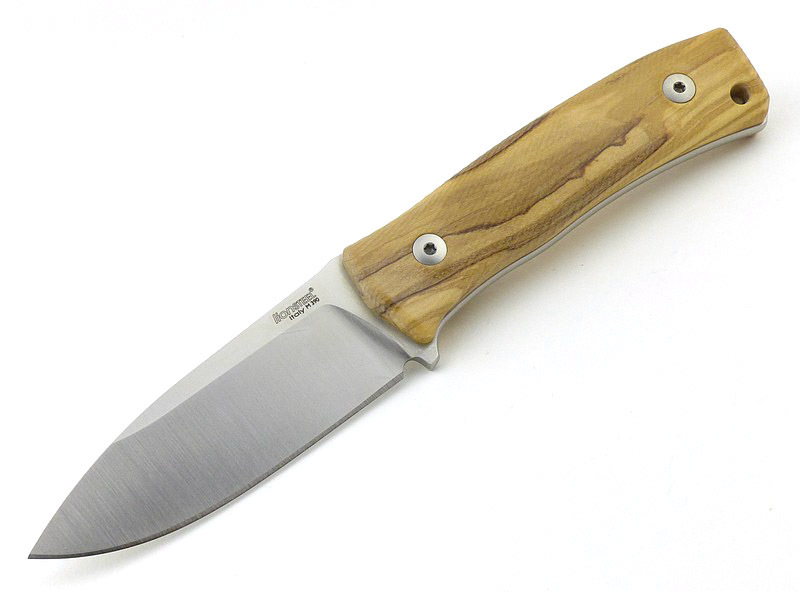 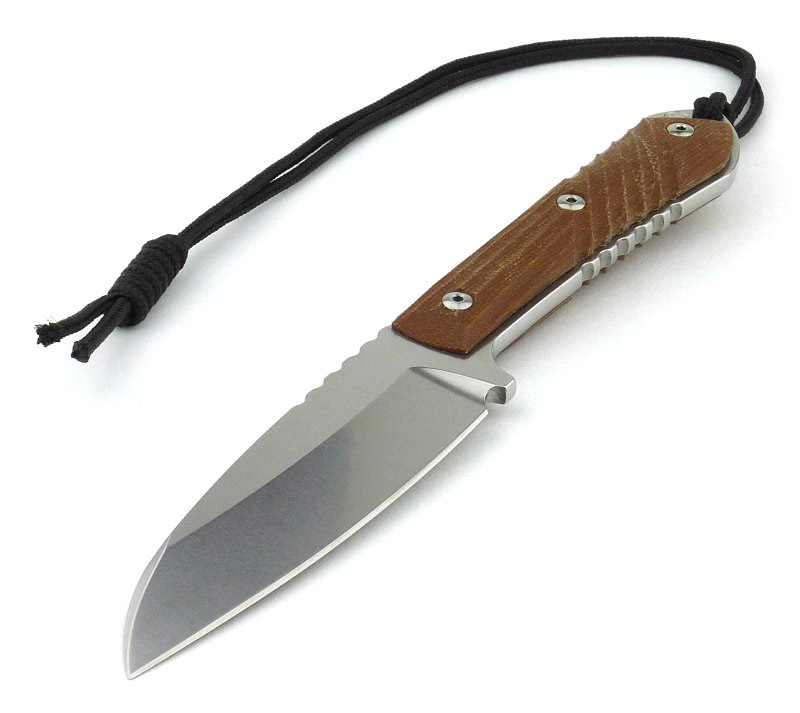 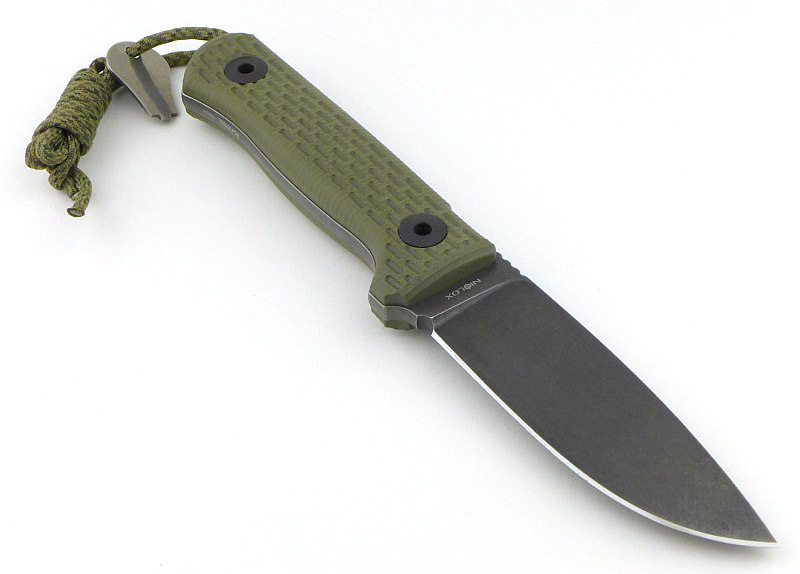 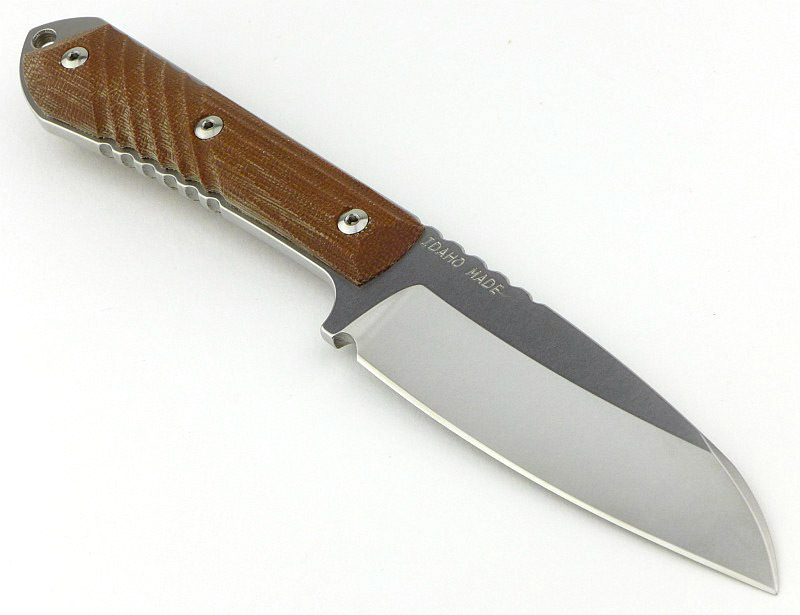 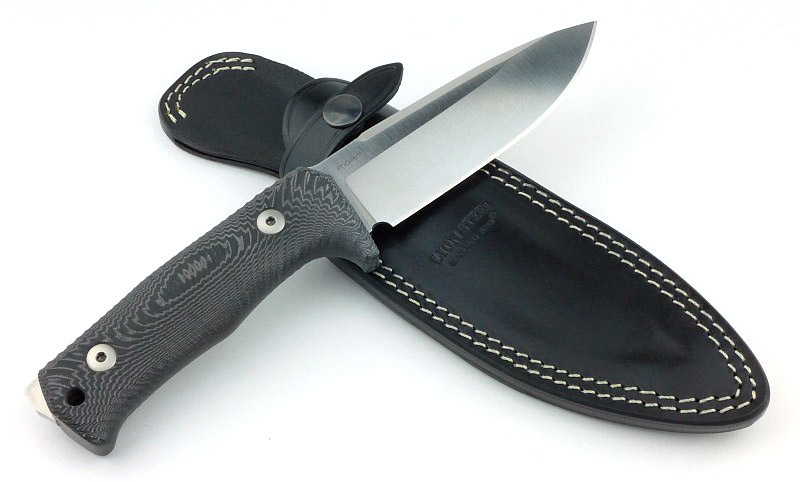 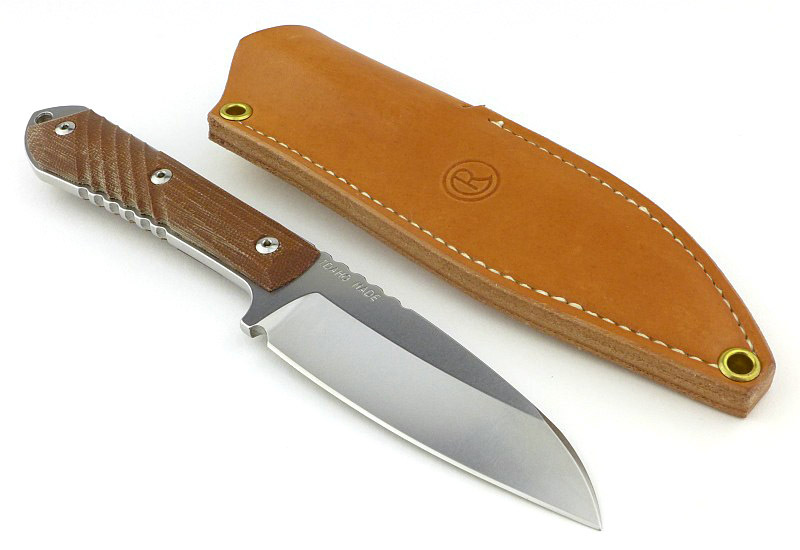 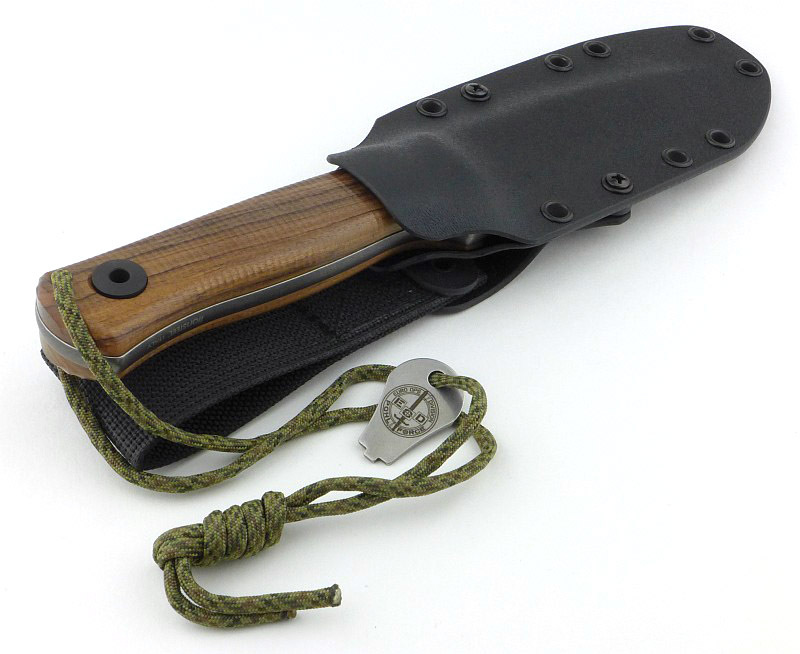 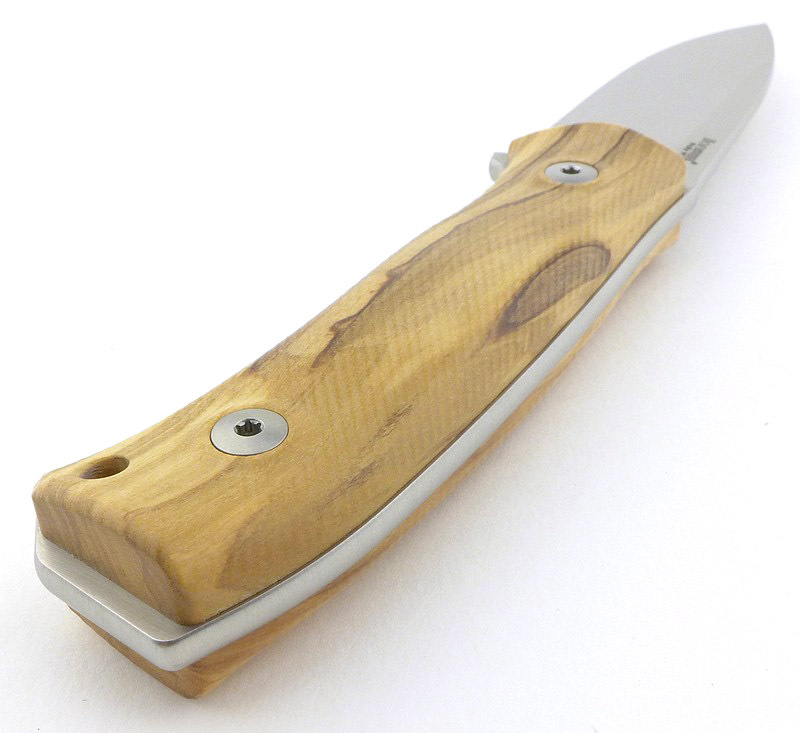 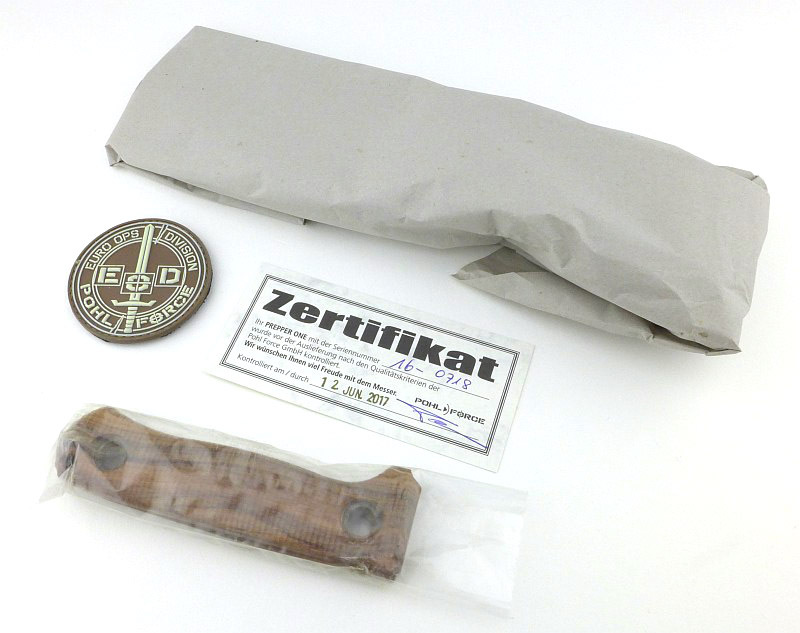 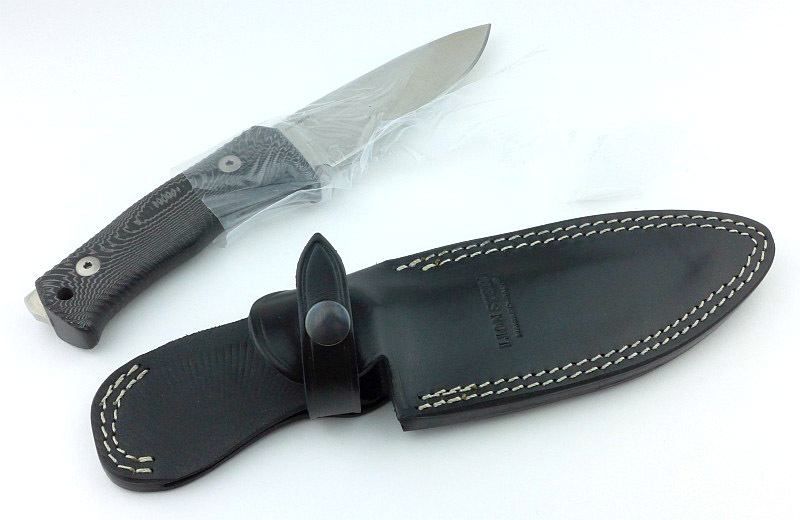 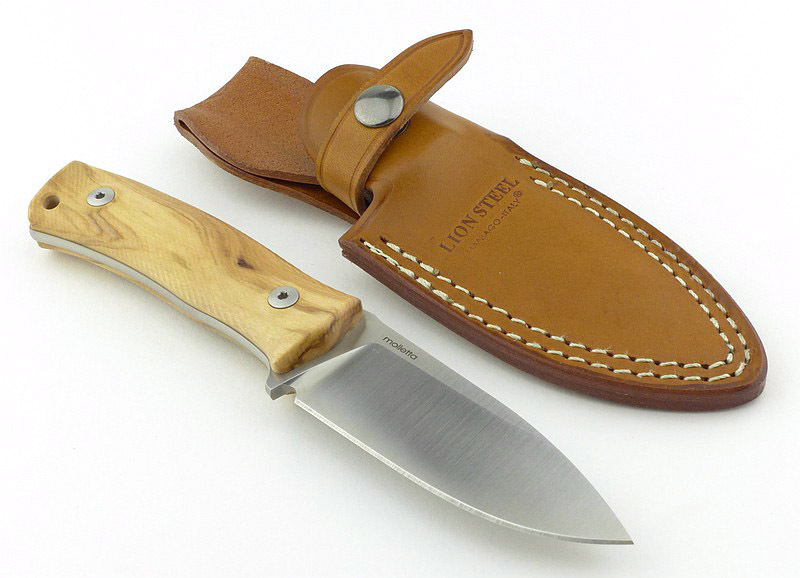 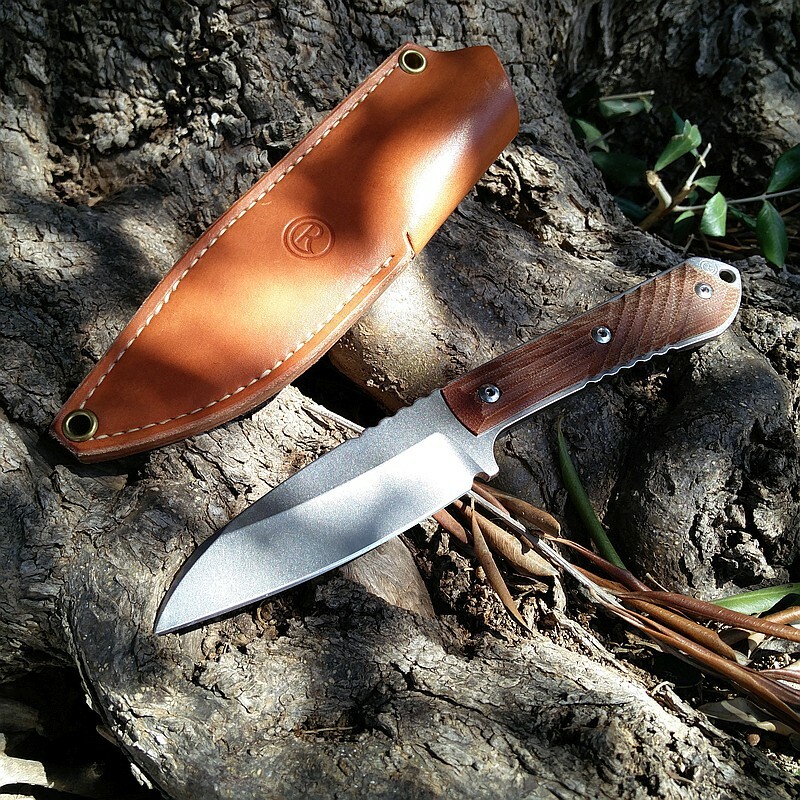 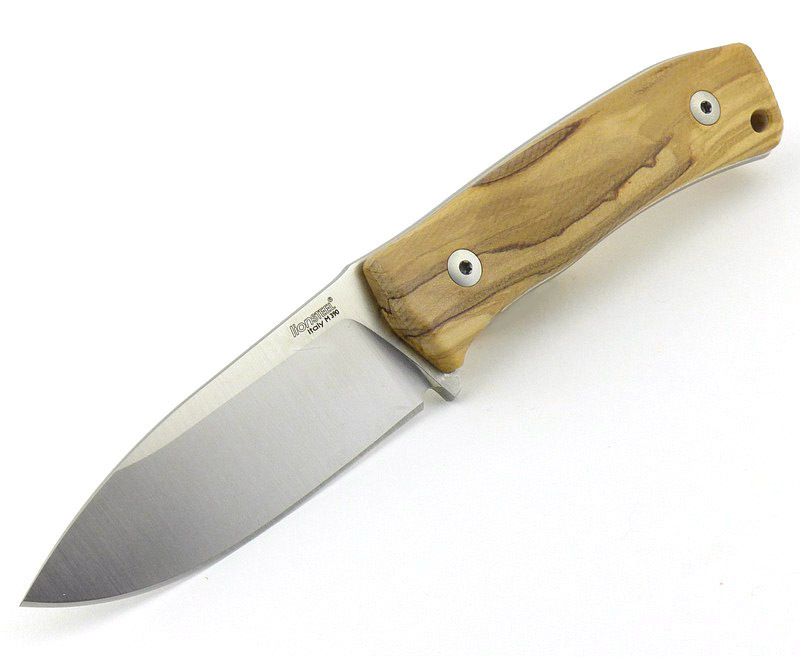 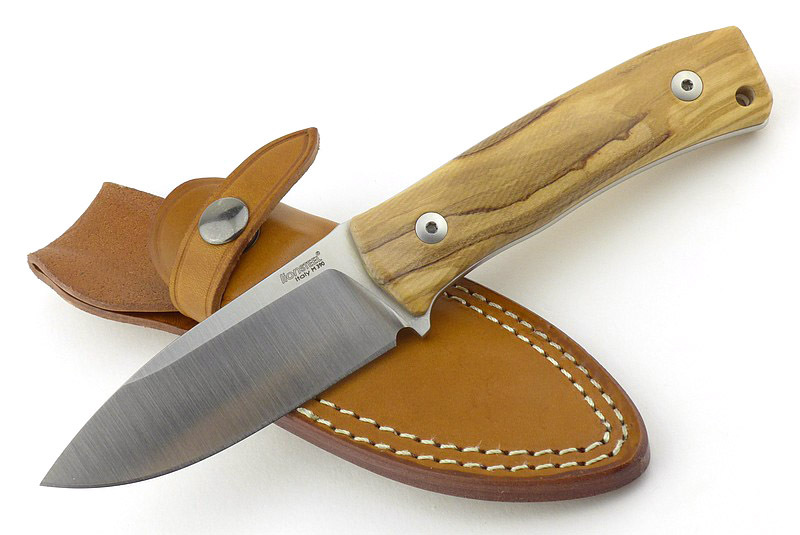 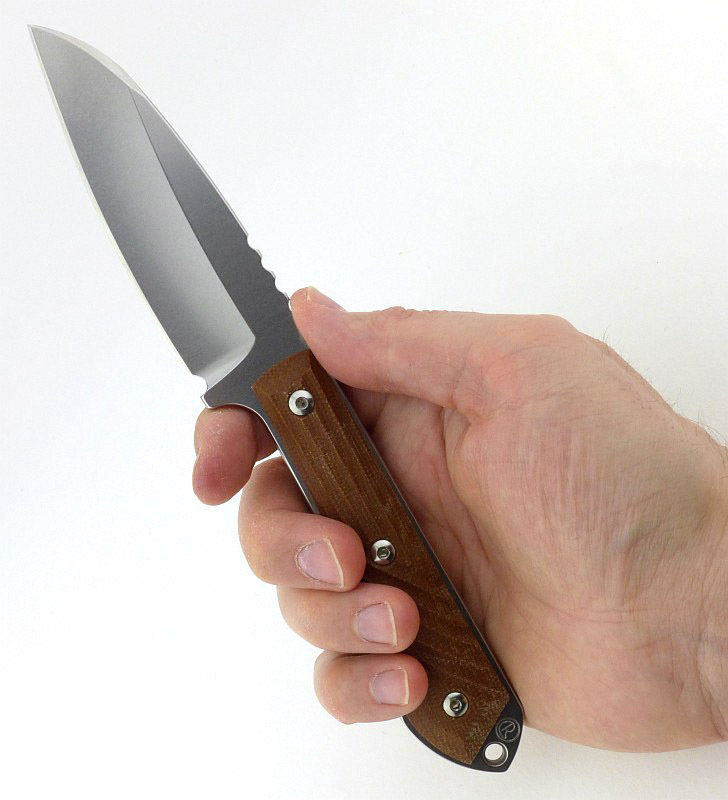 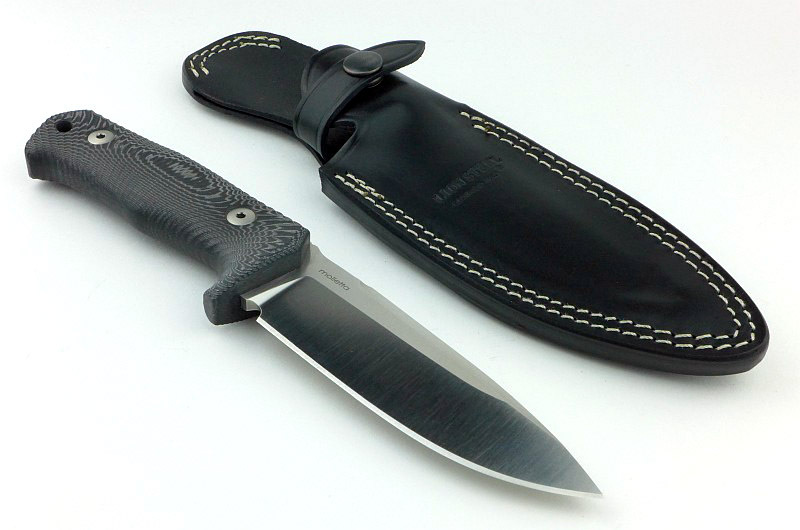 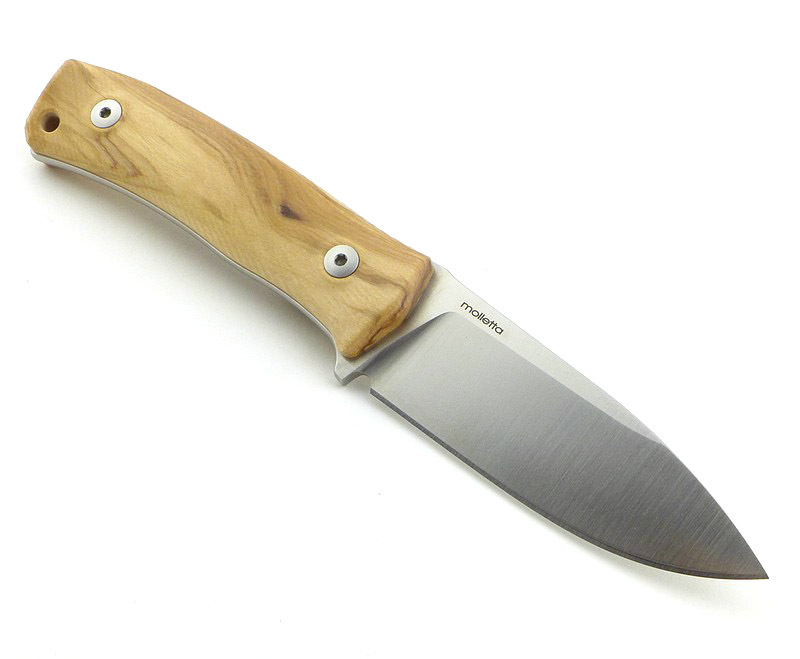 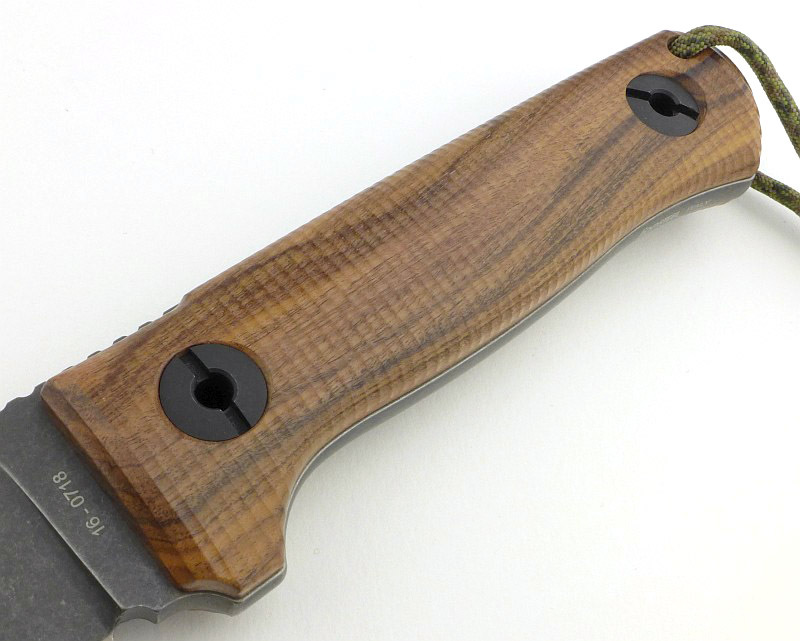 Released along with Morakniv’s Garberg and Eldris models, this knife is actually an update of their classic and very popular ‘2000’ Hunting knife. 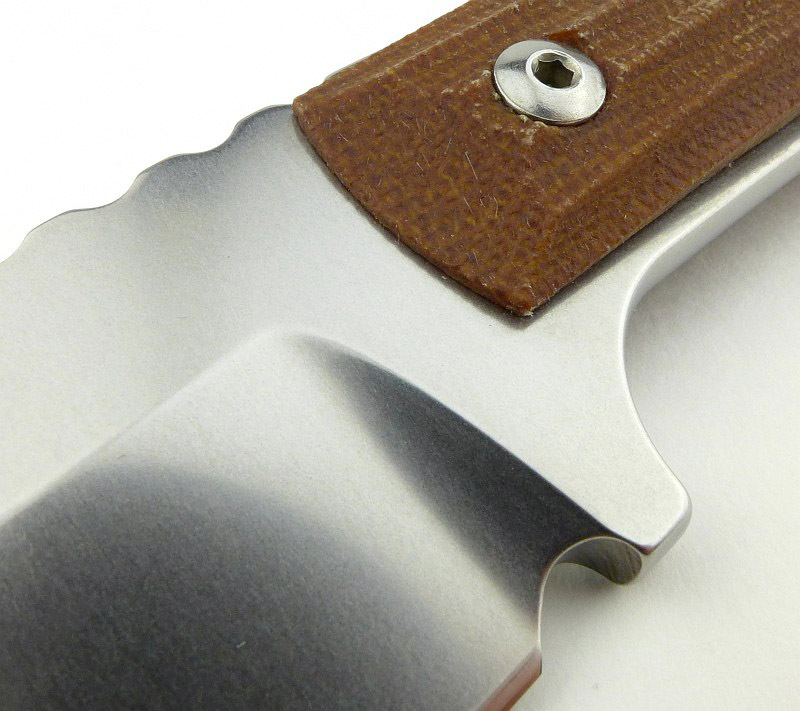 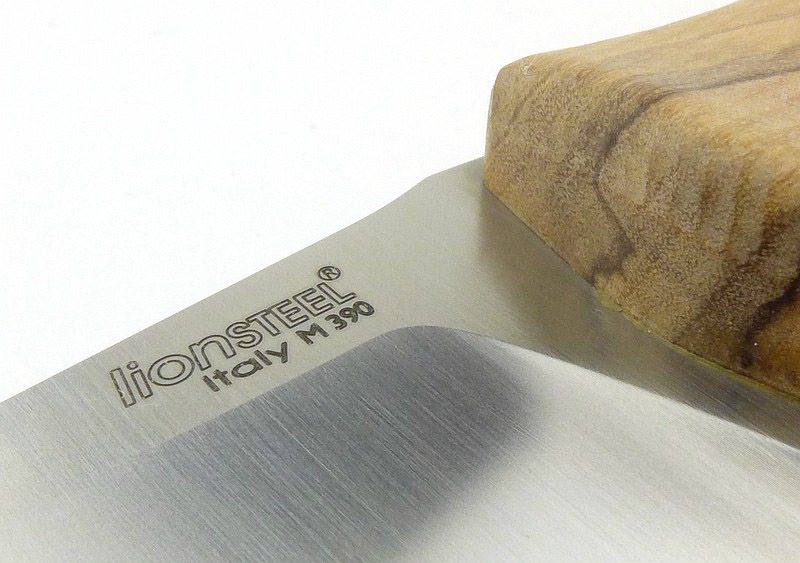 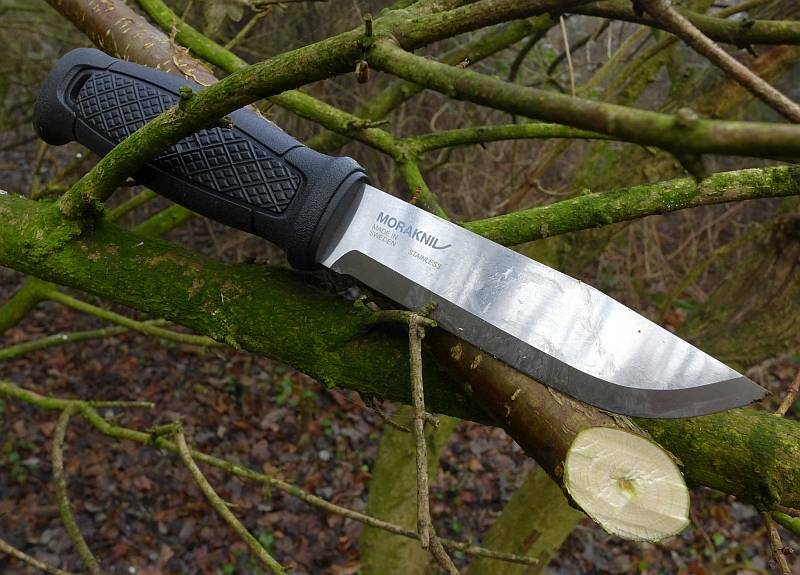 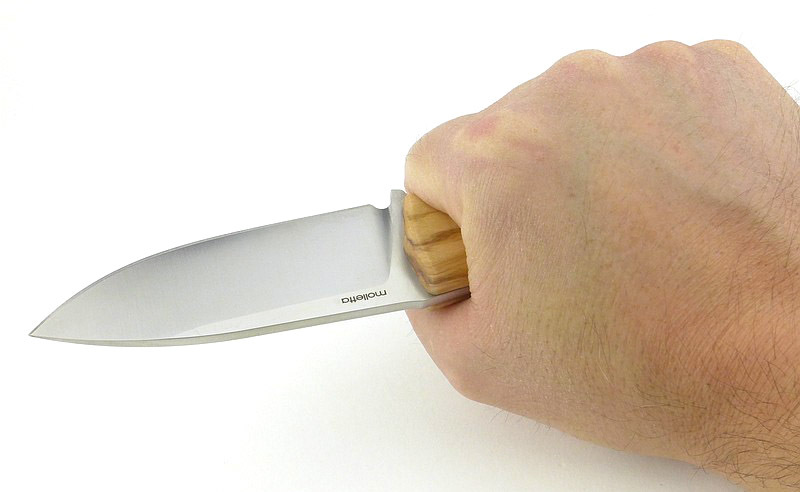 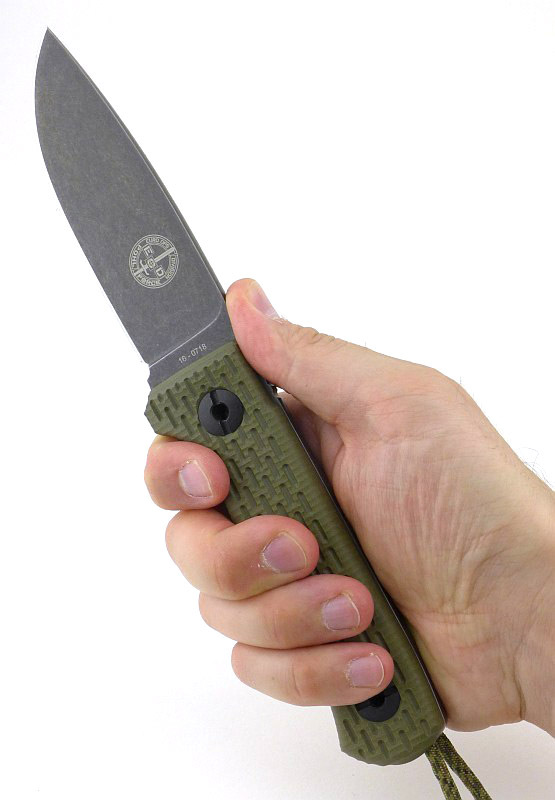 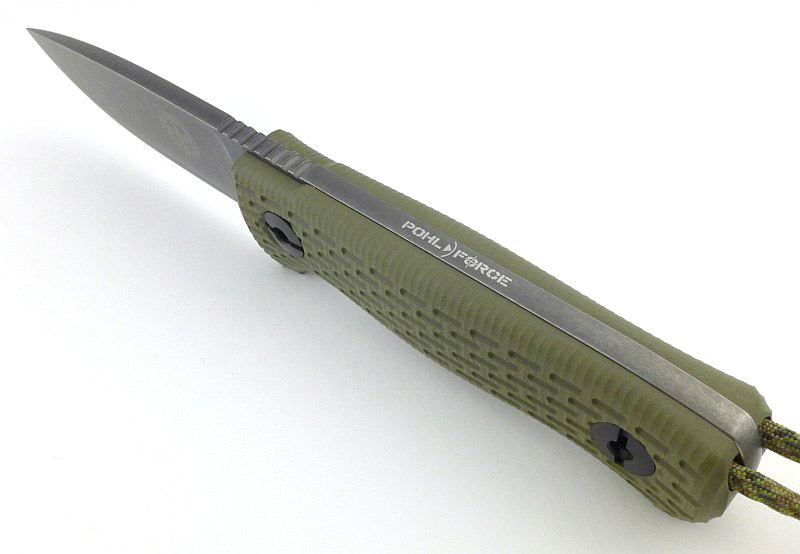 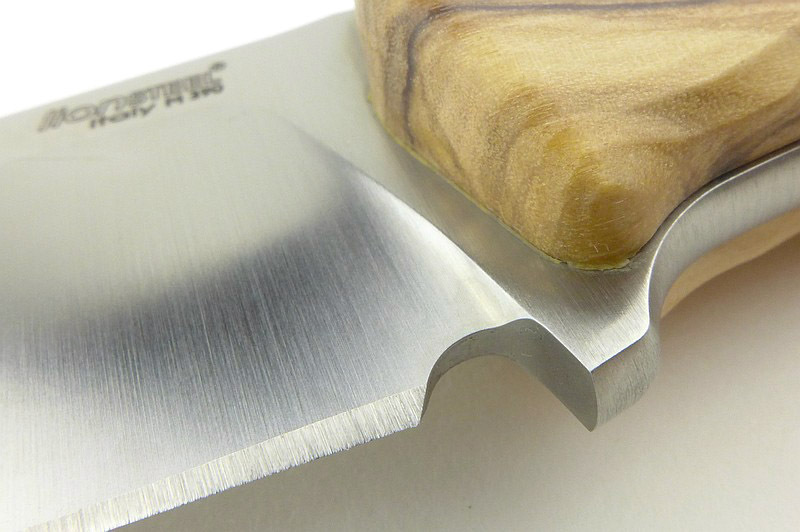 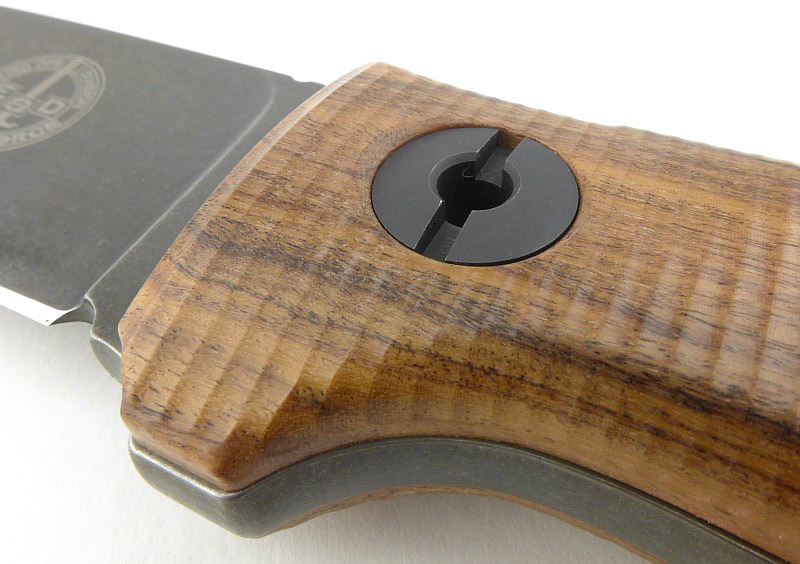 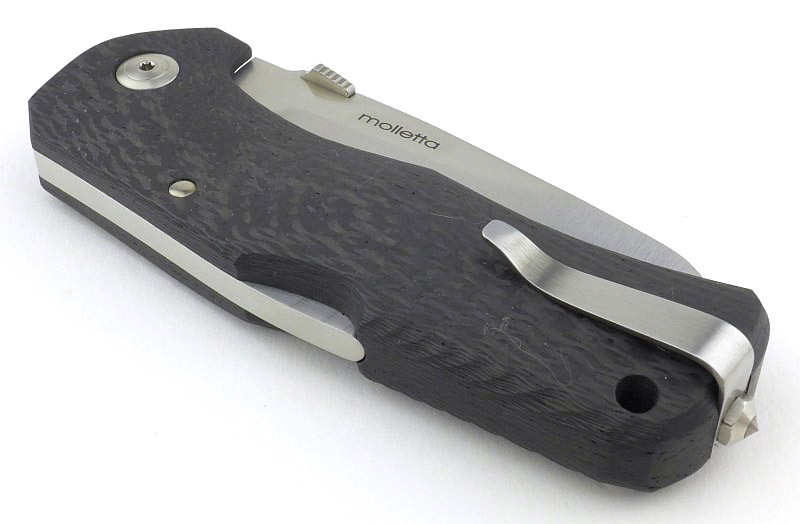 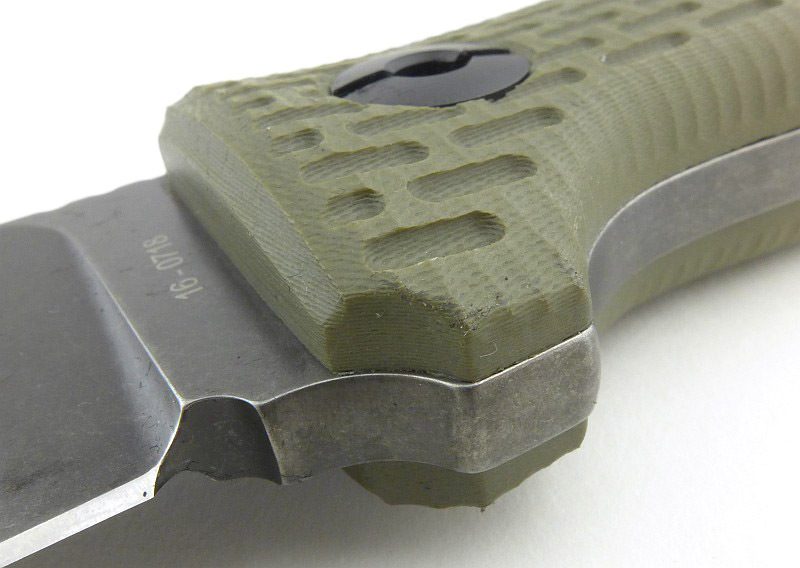 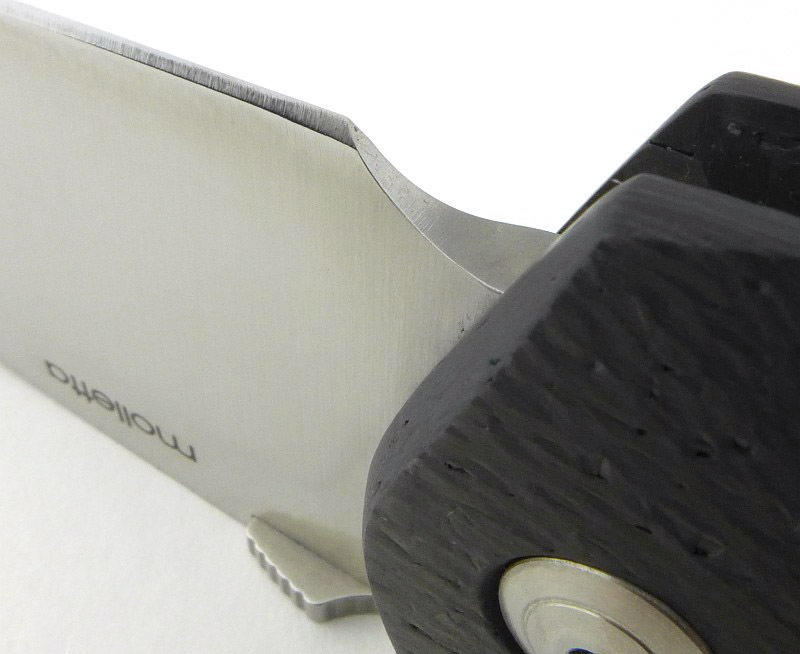 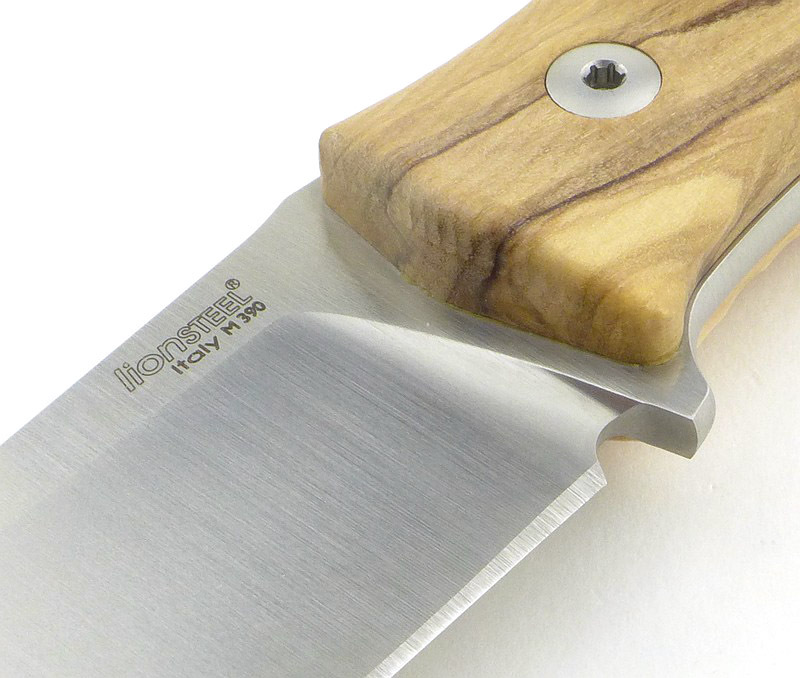 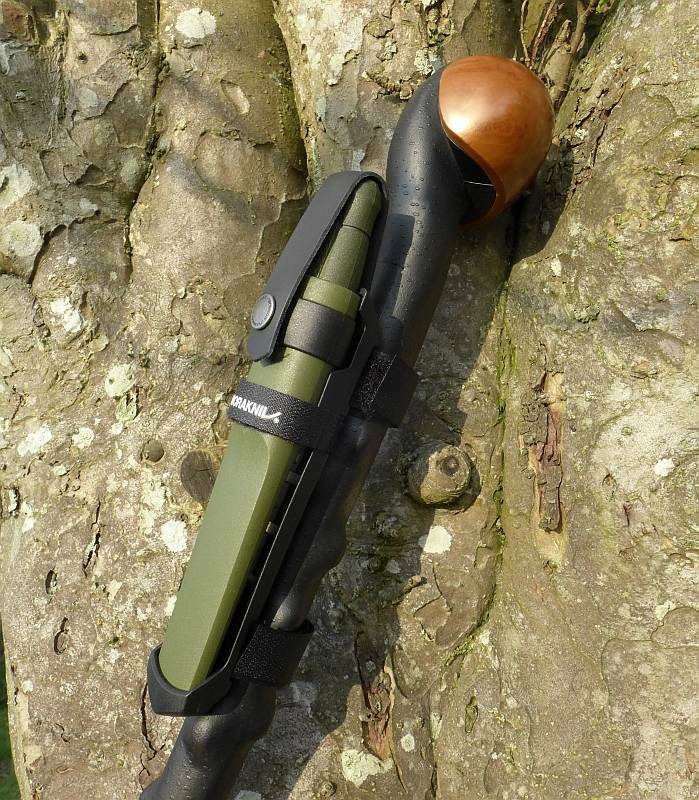 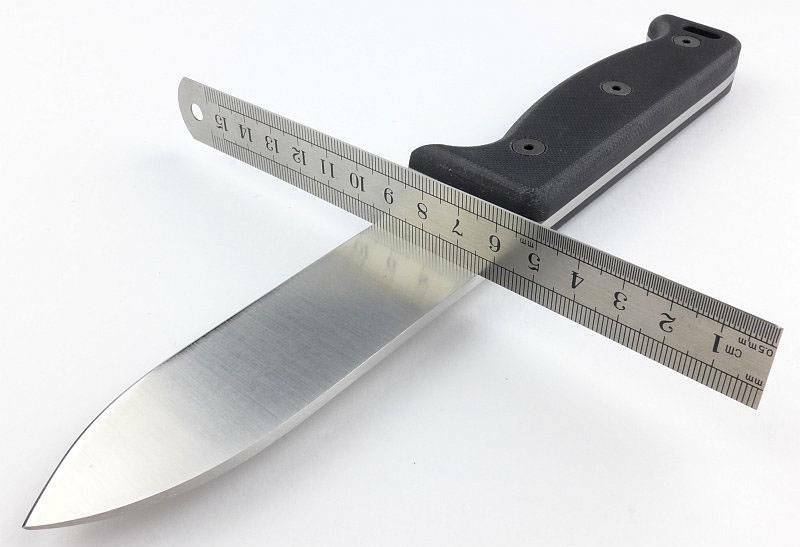 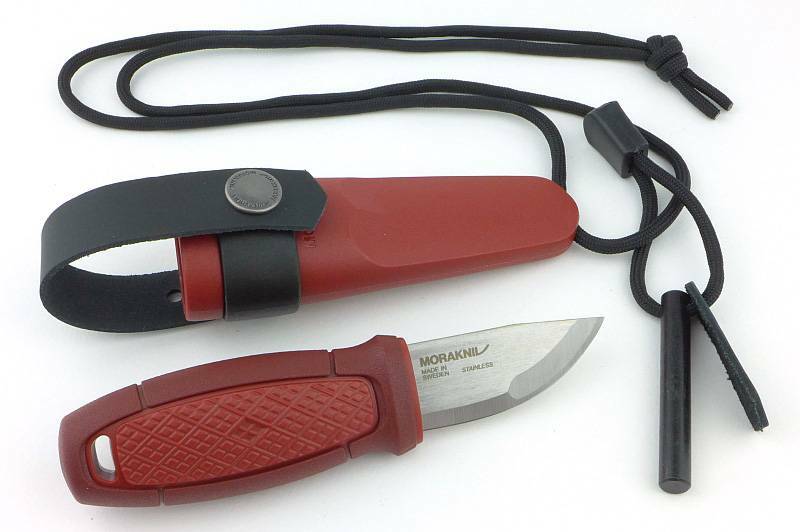 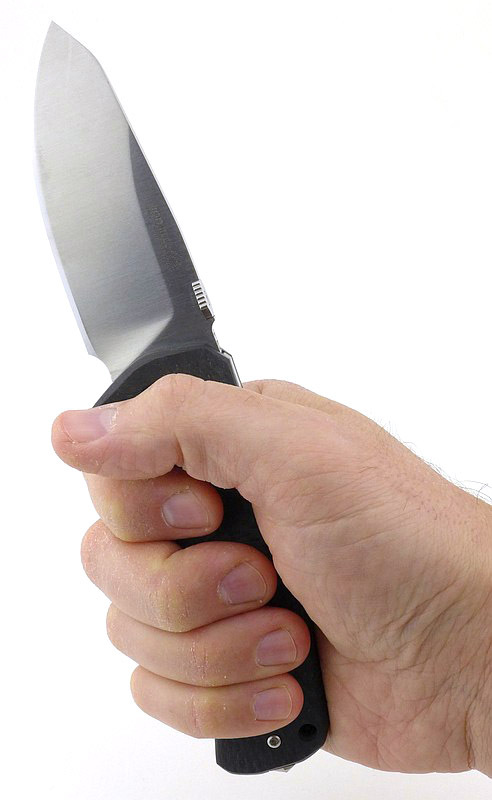 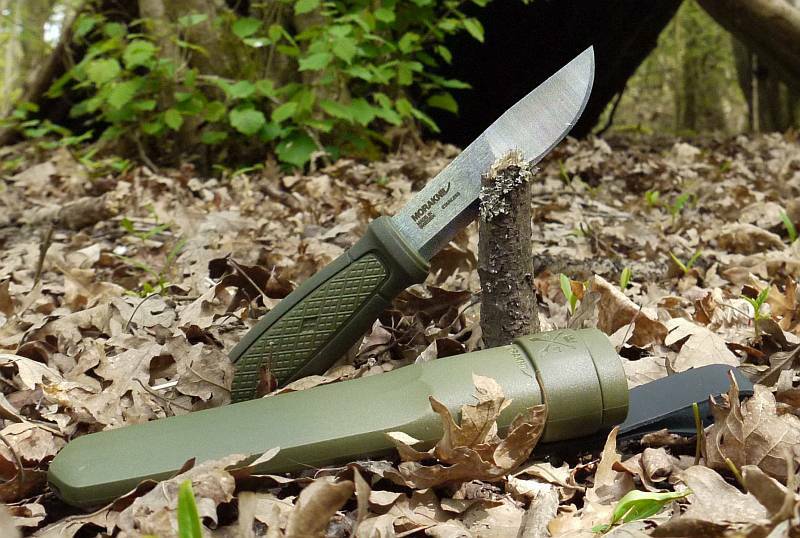 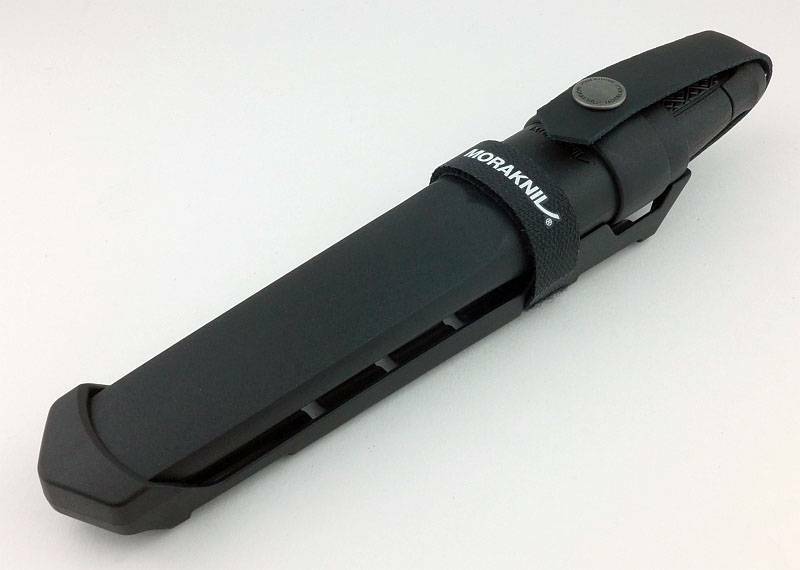 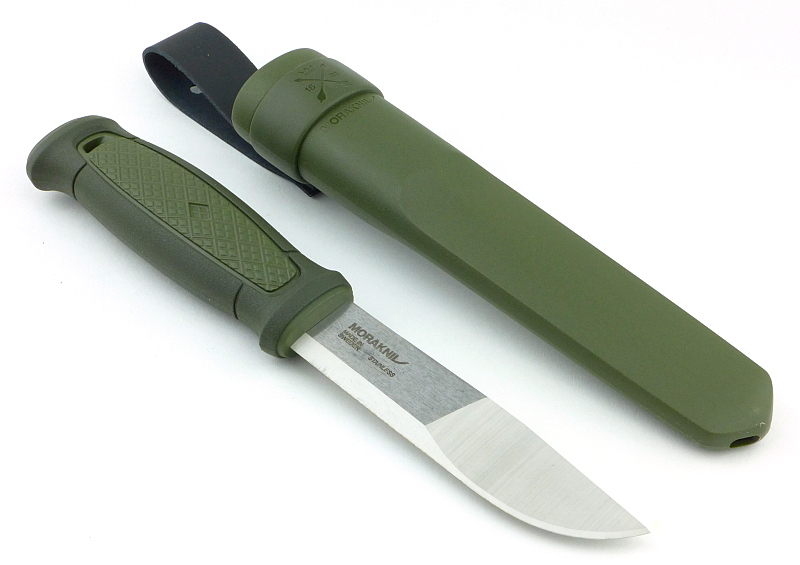 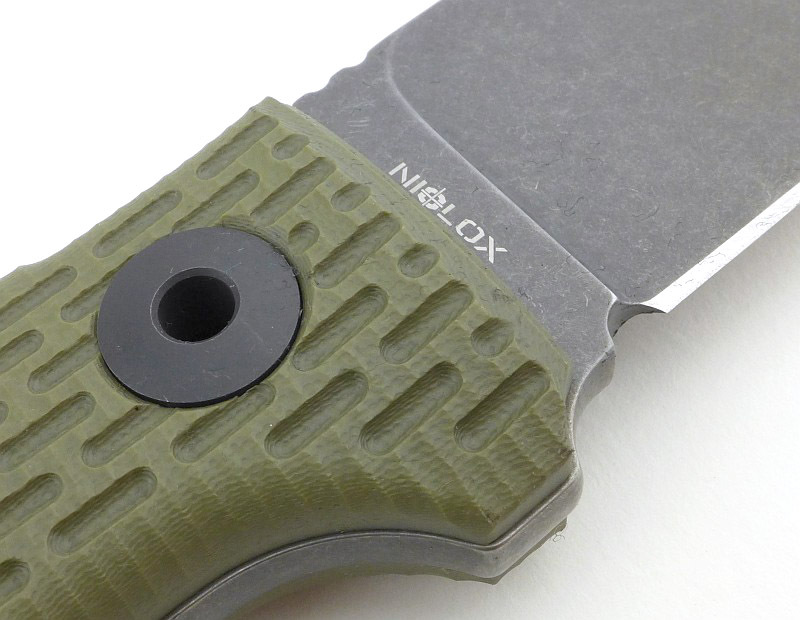 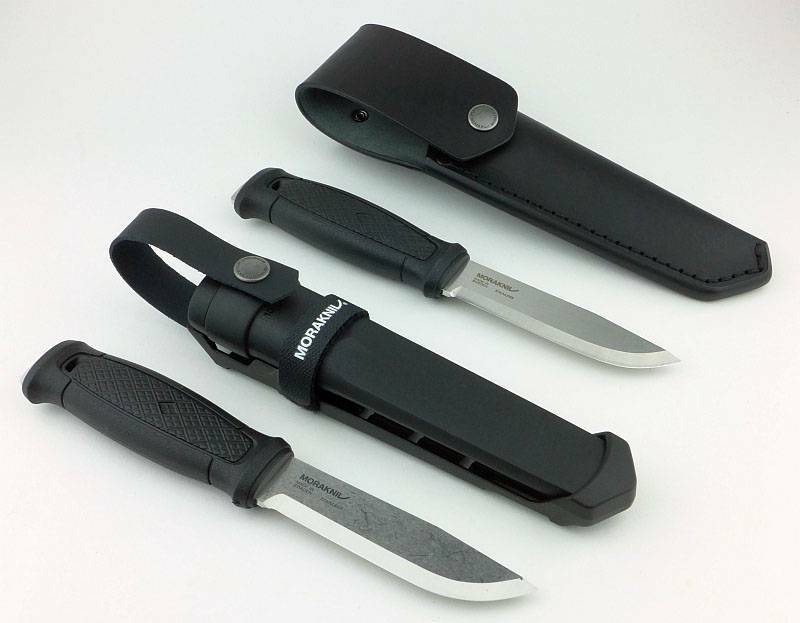 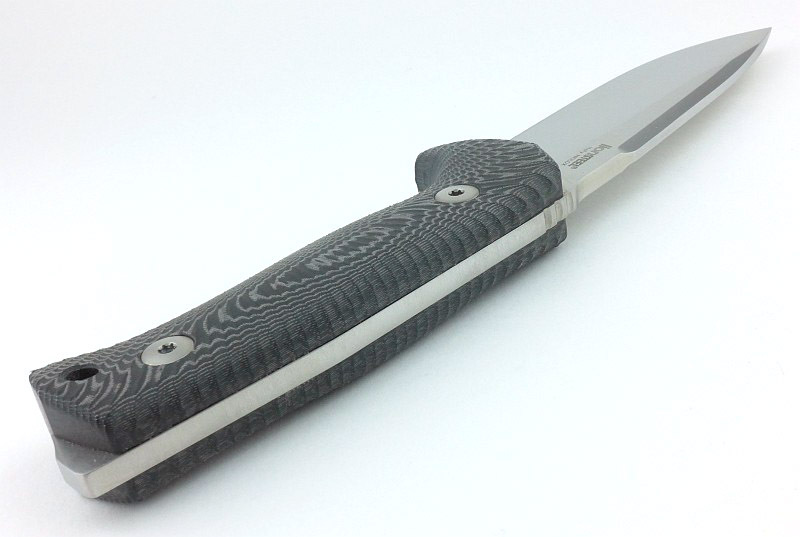 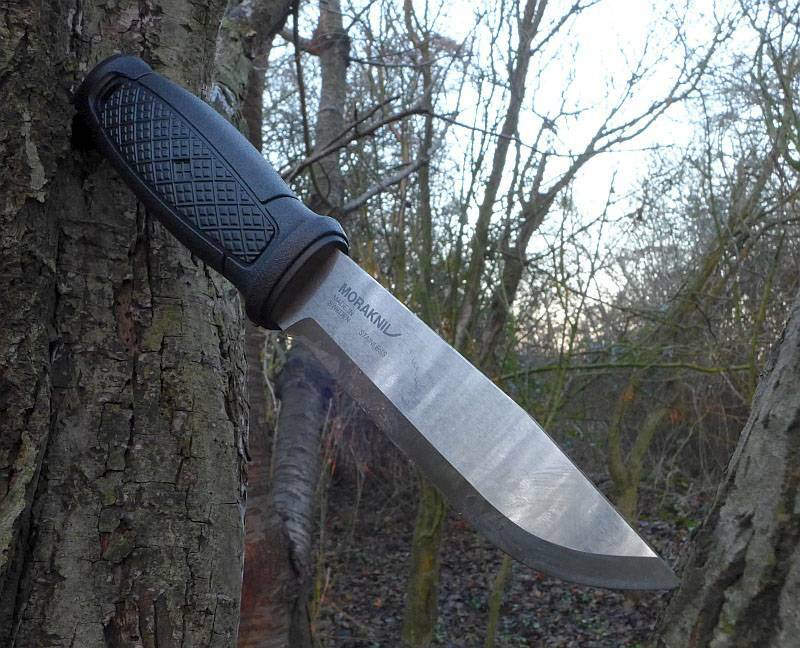 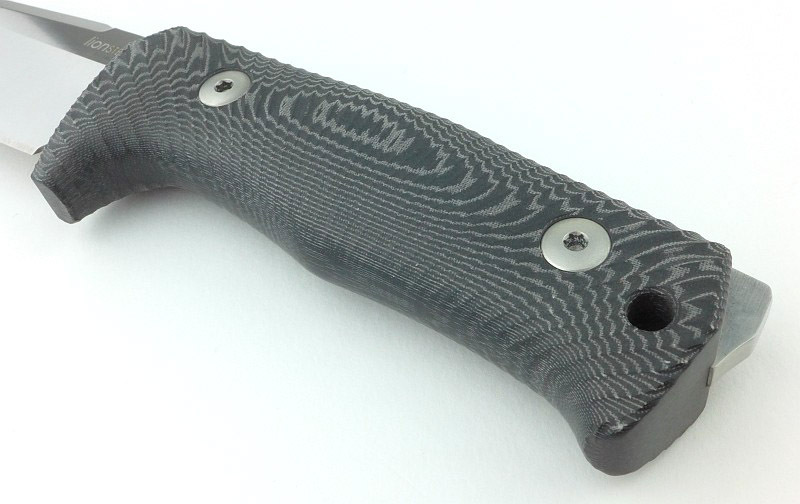 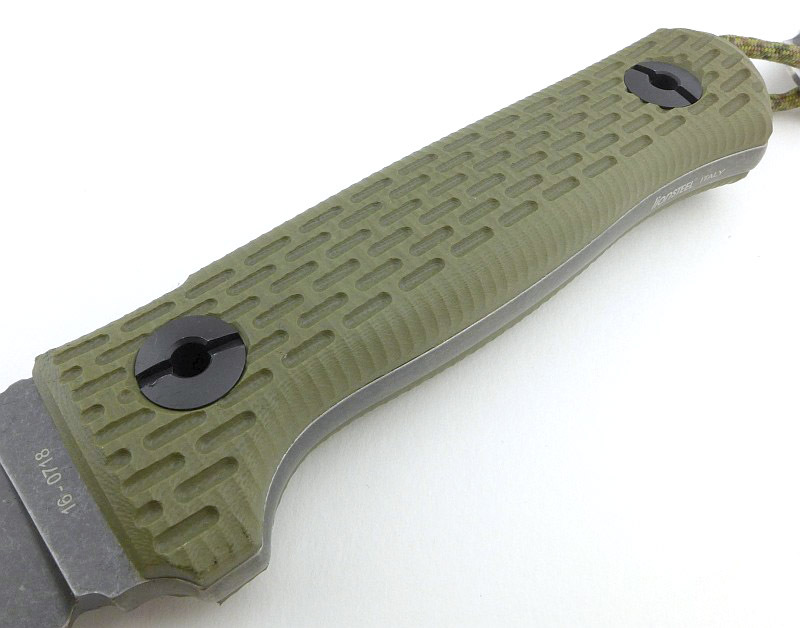 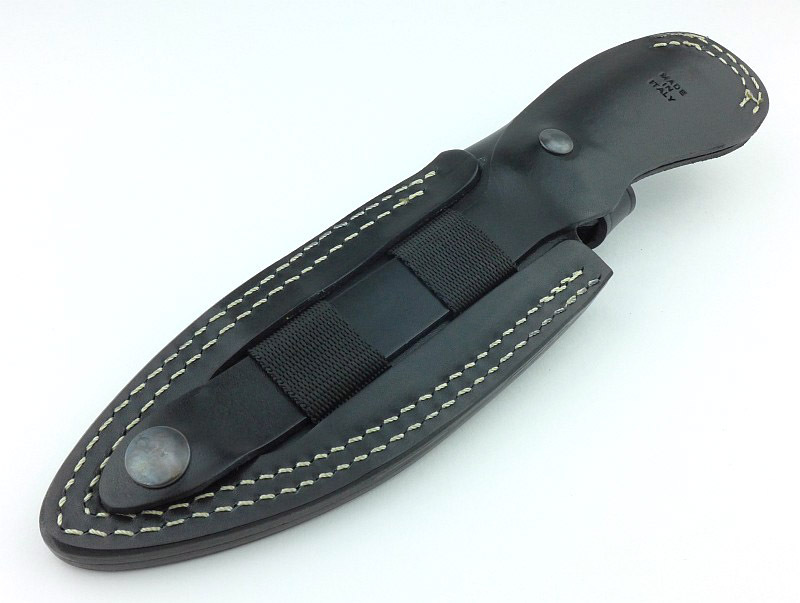 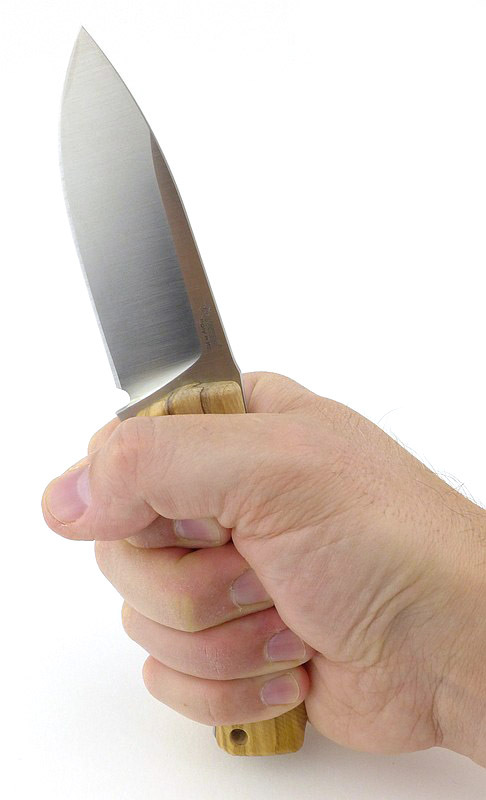 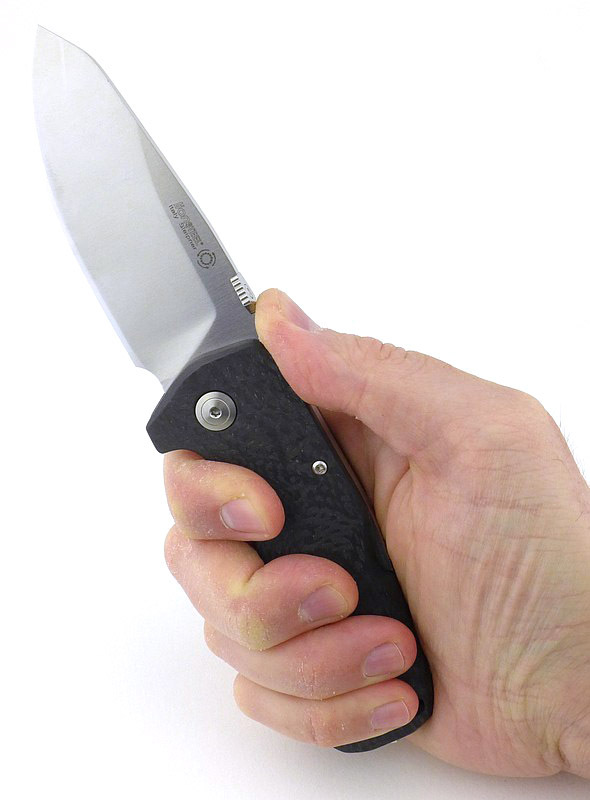 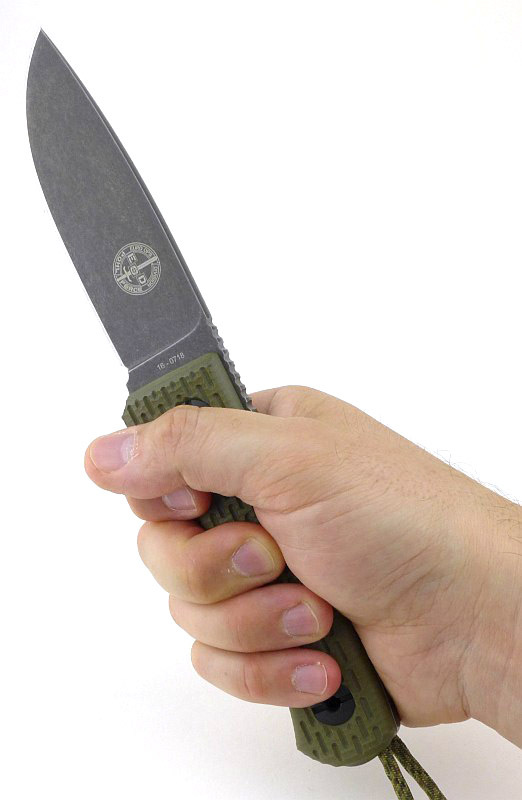 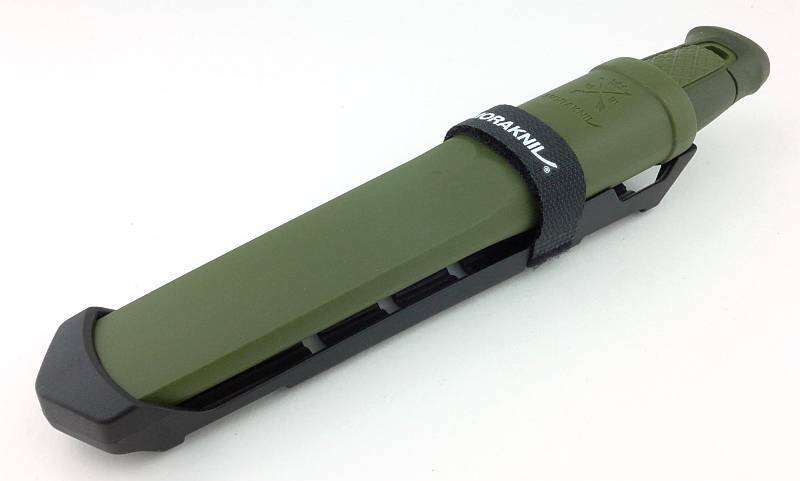 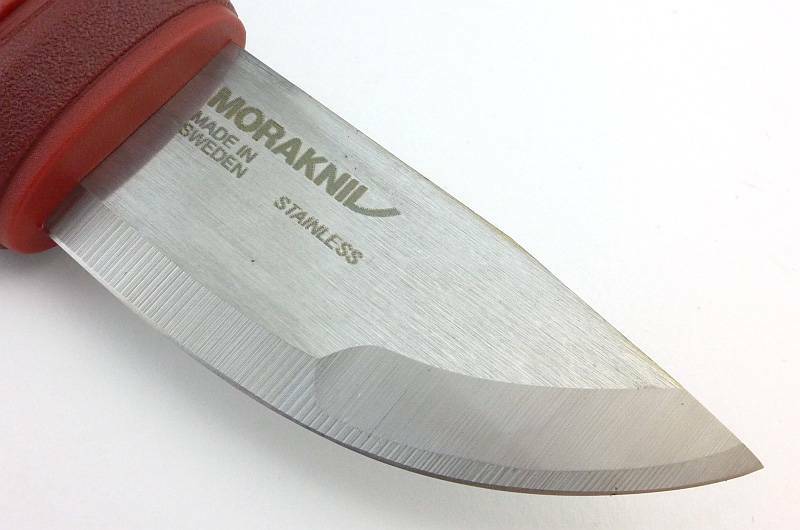 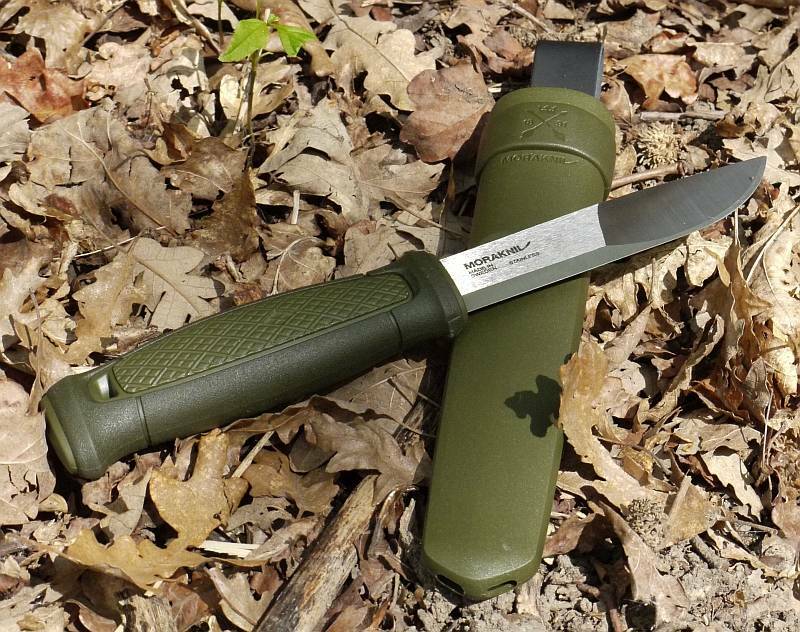 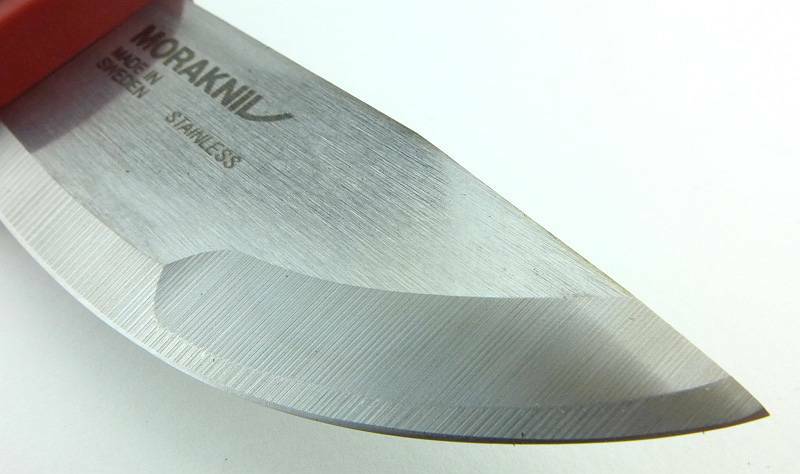 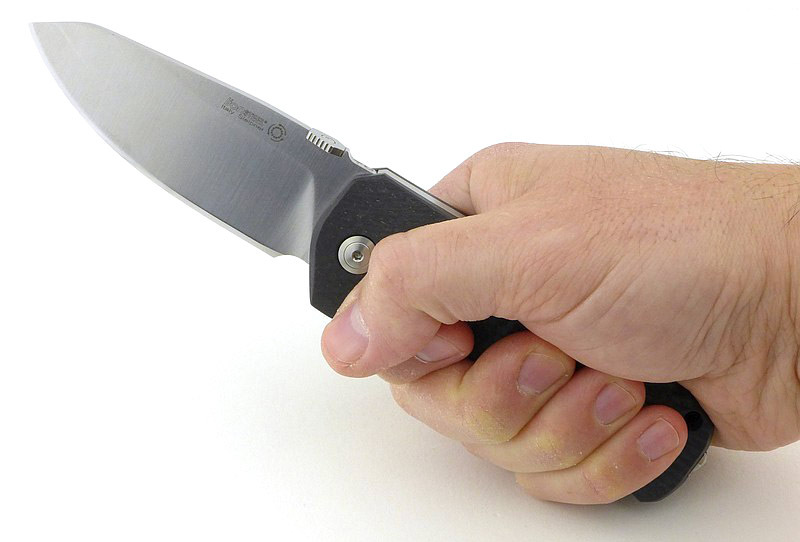 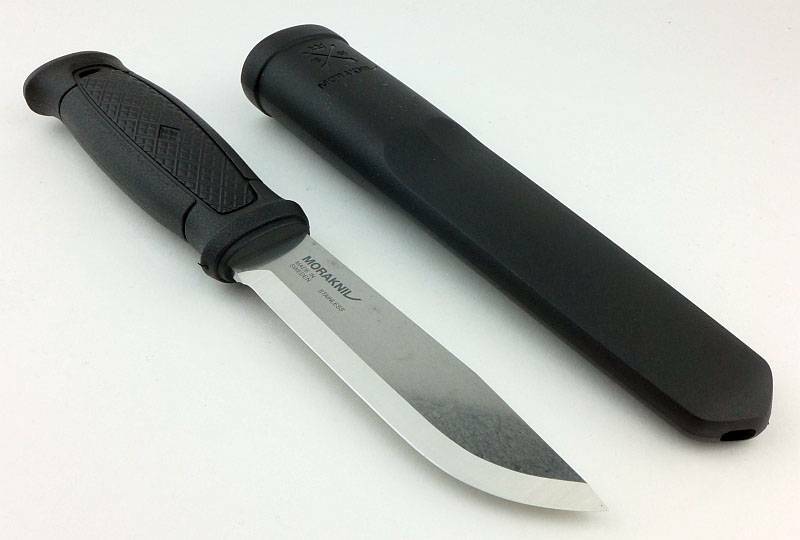 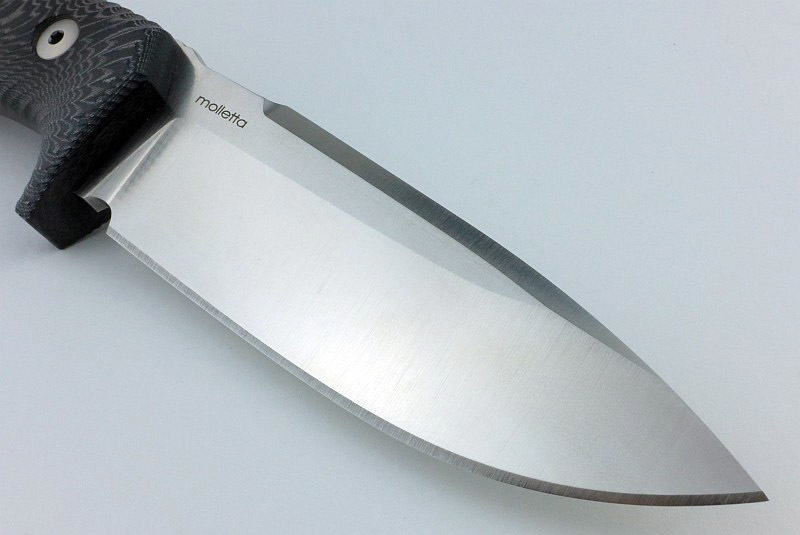 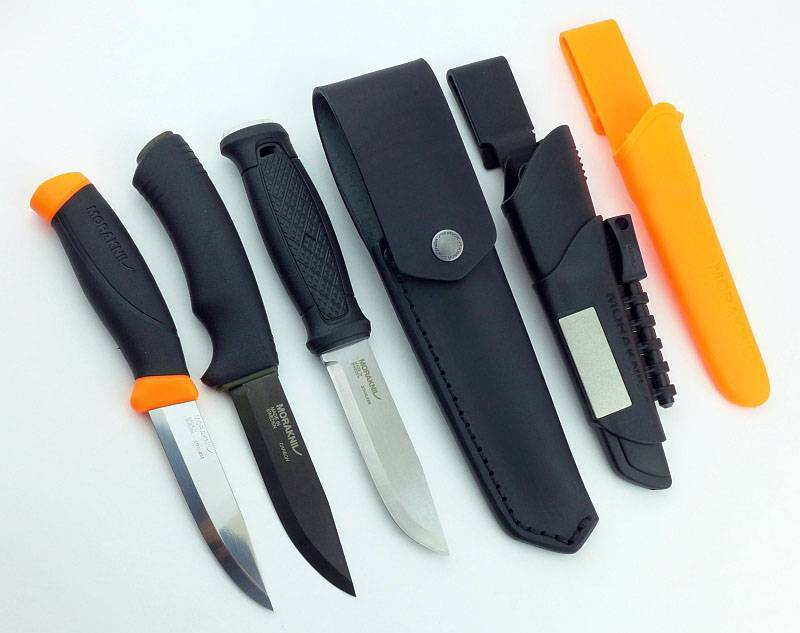 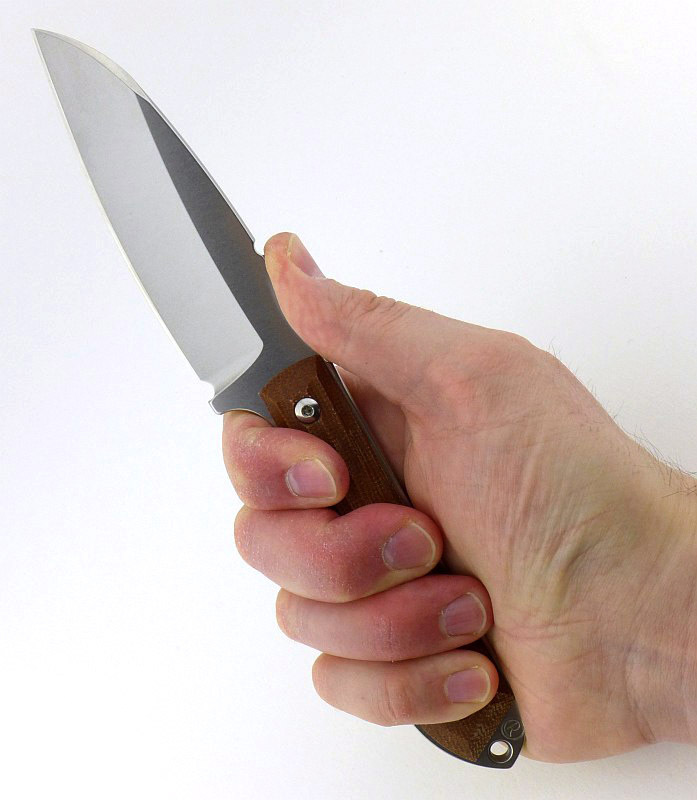 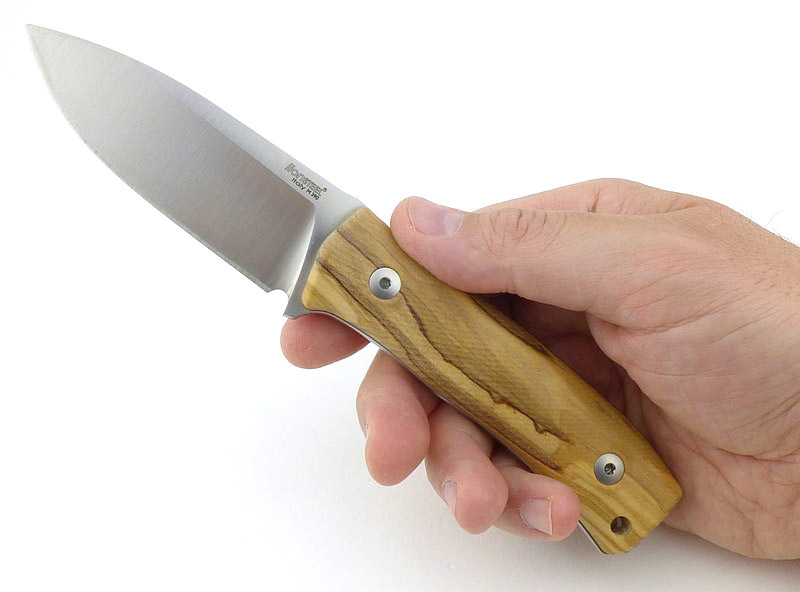 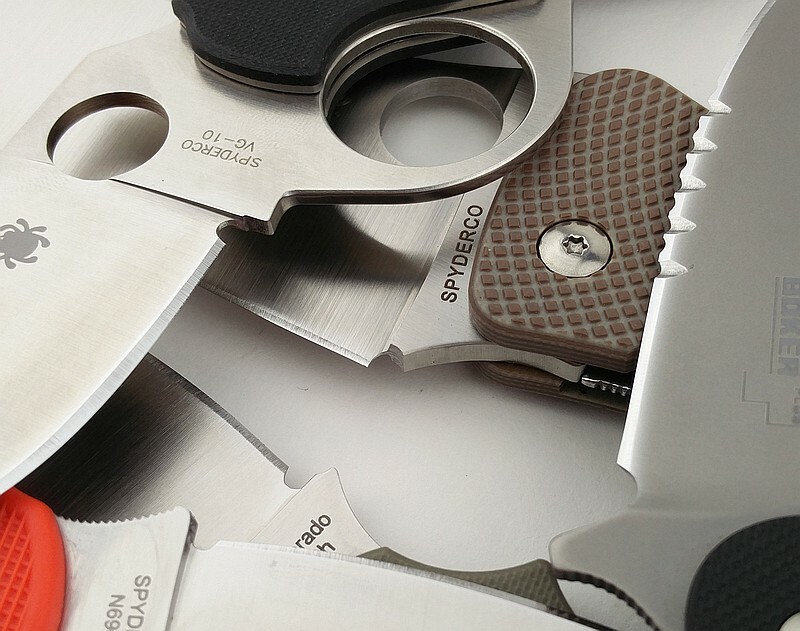 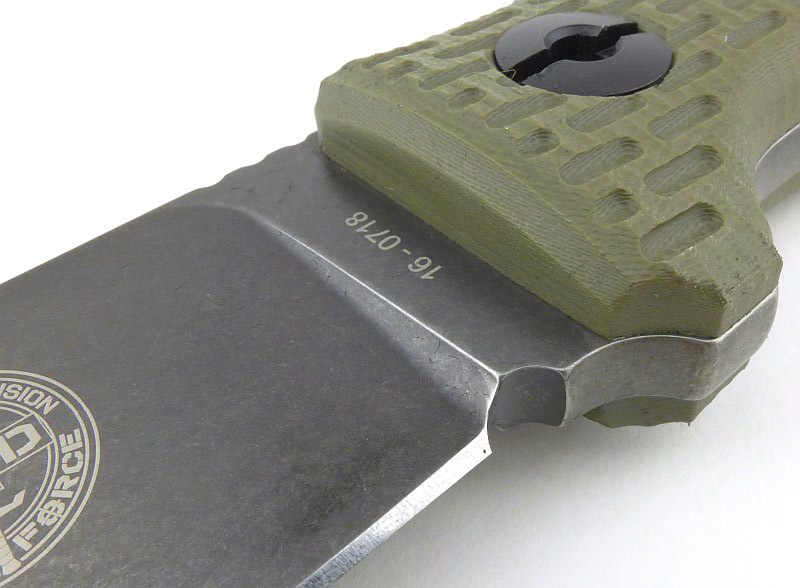 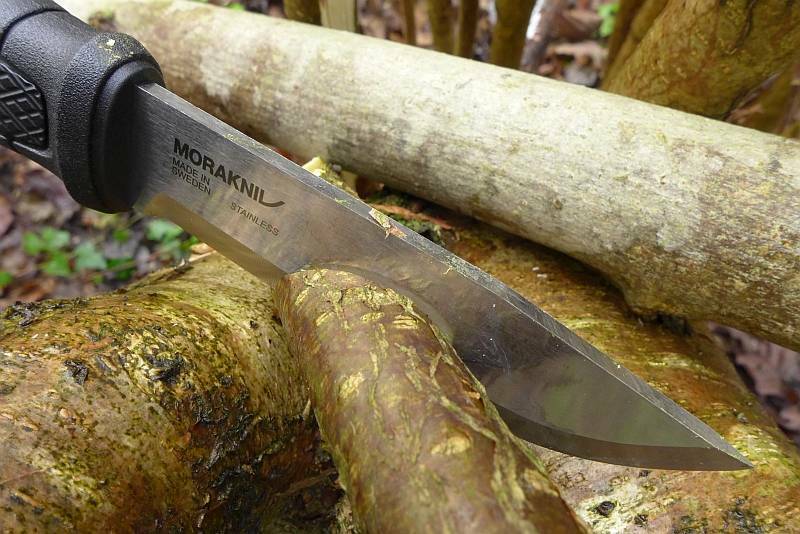 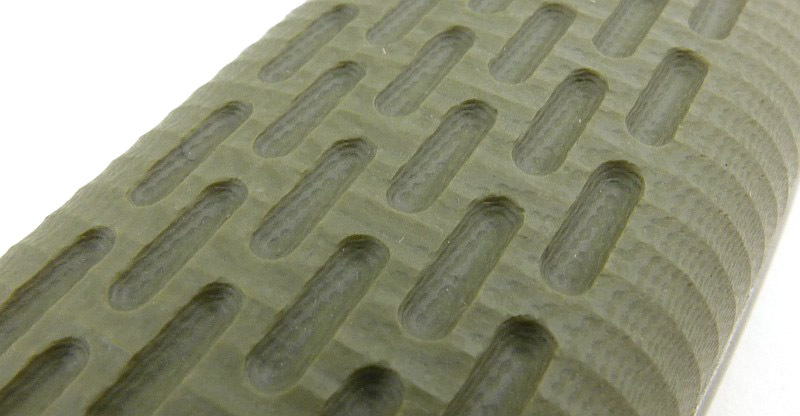 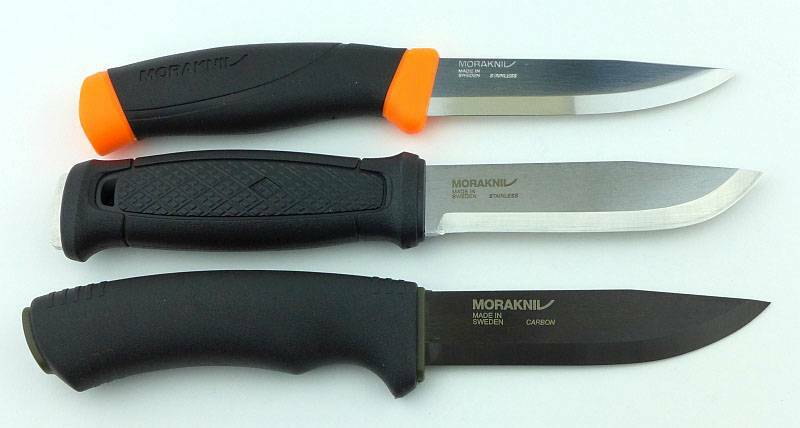 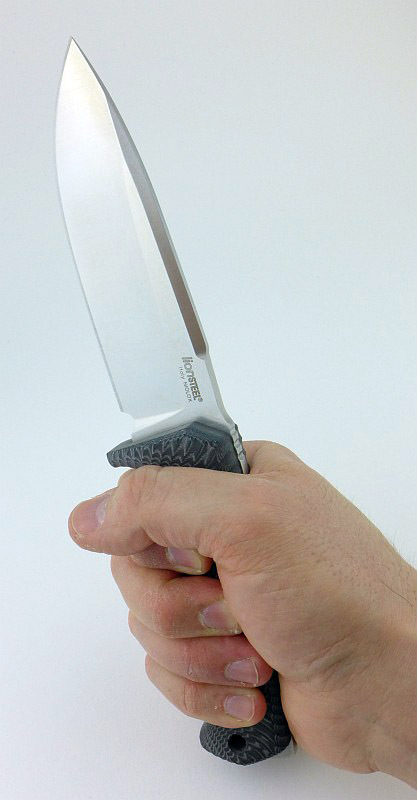 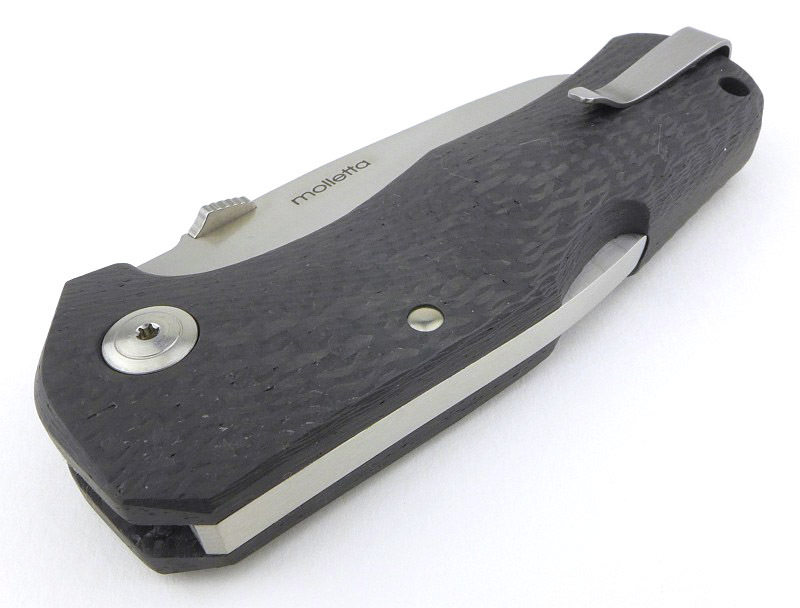 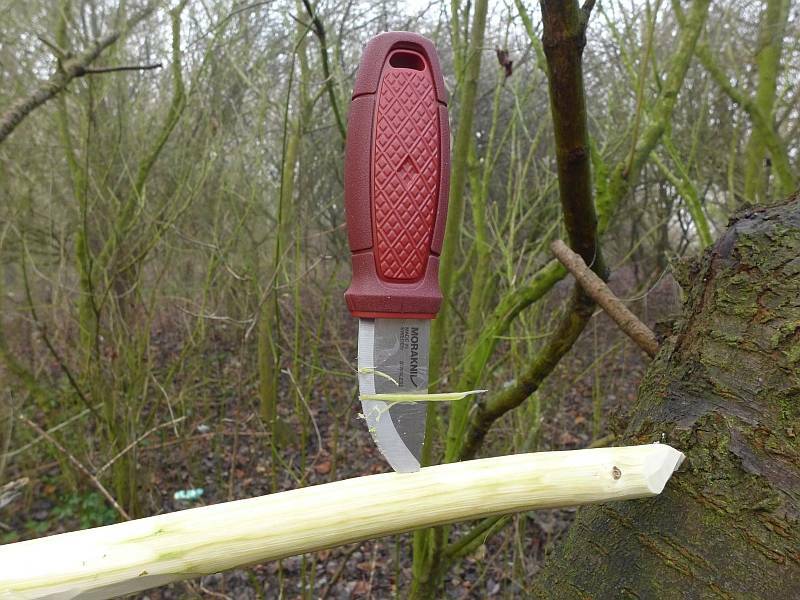 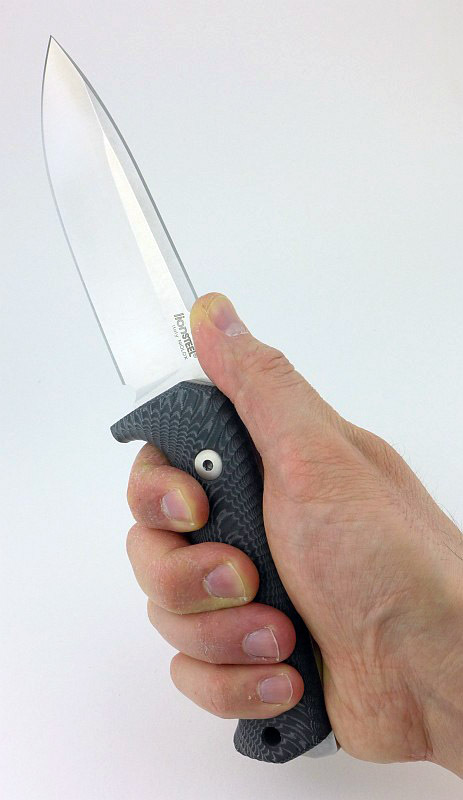 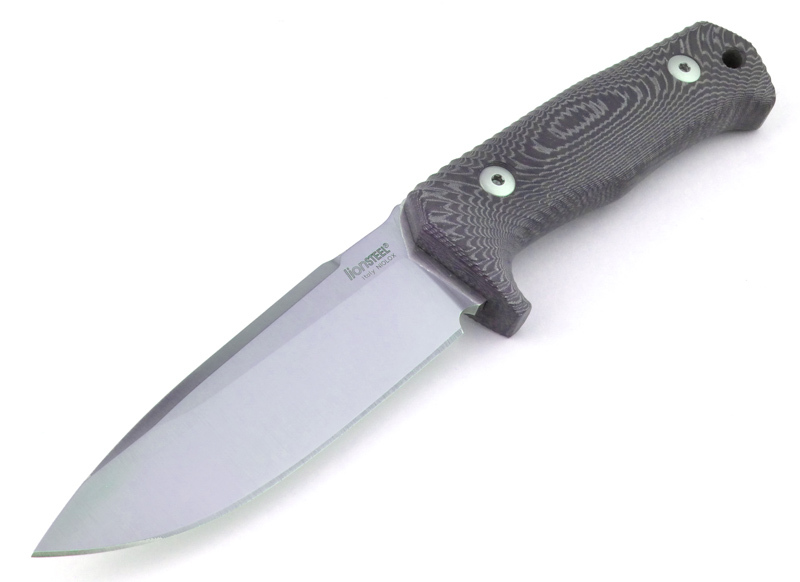 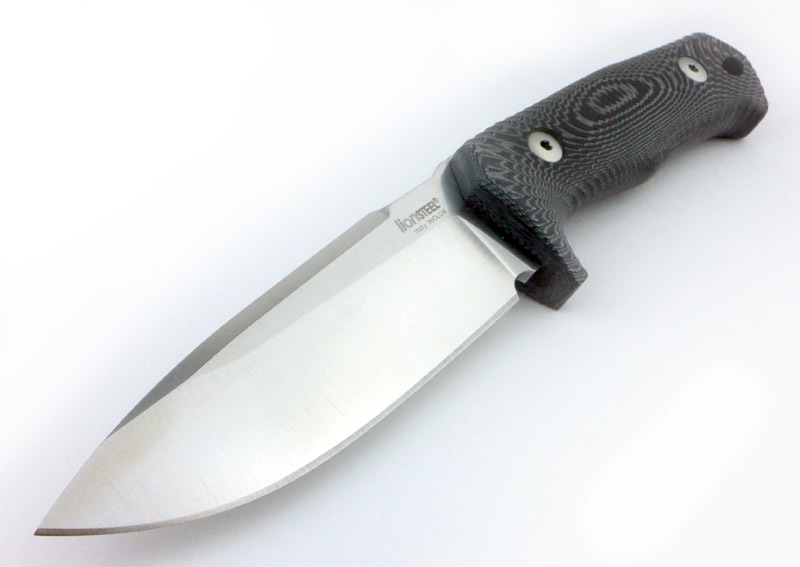 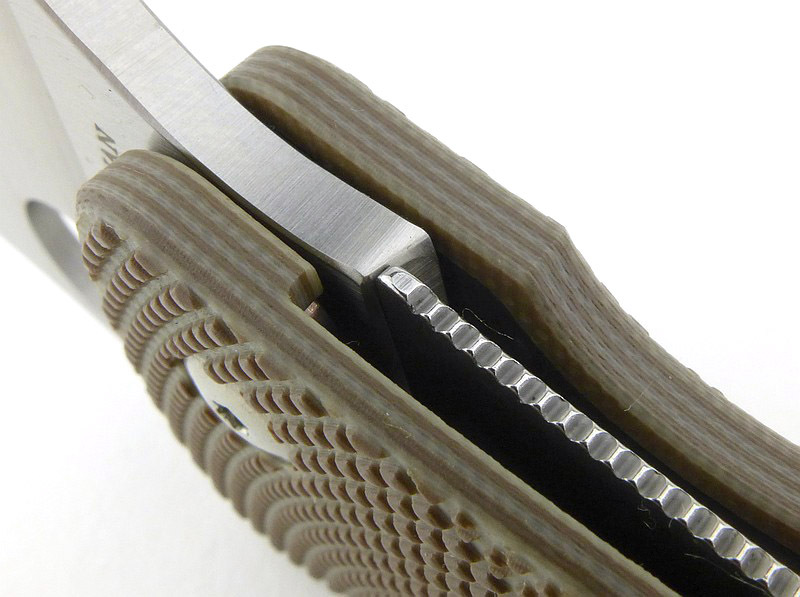 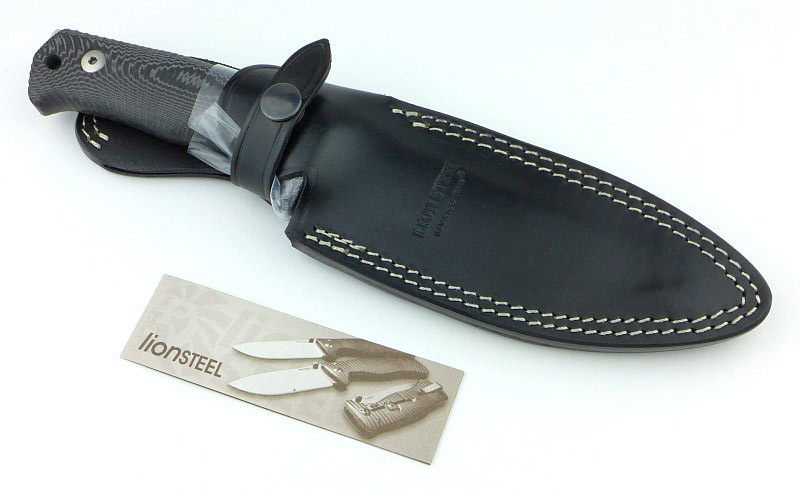 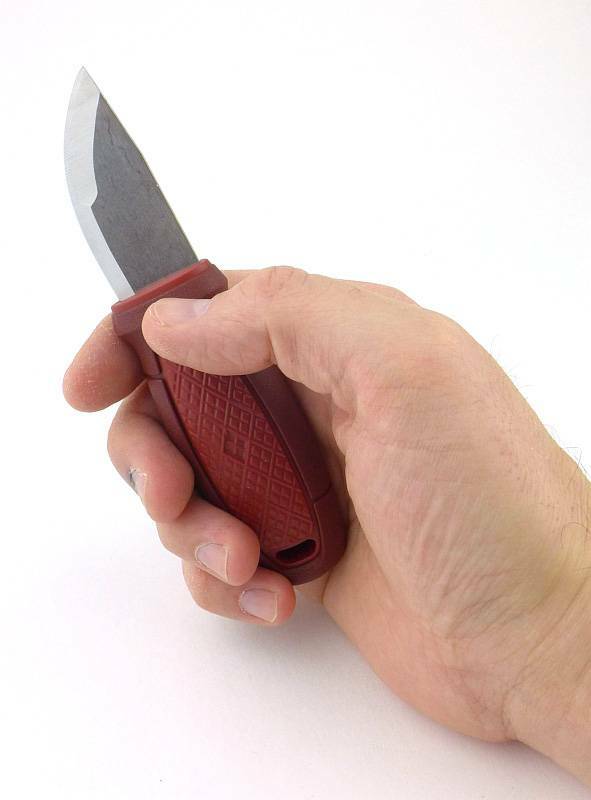 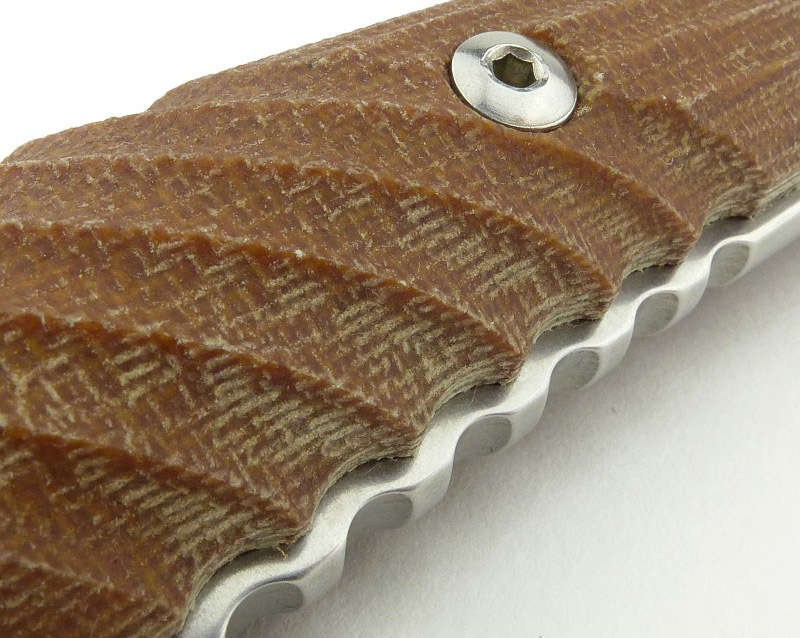 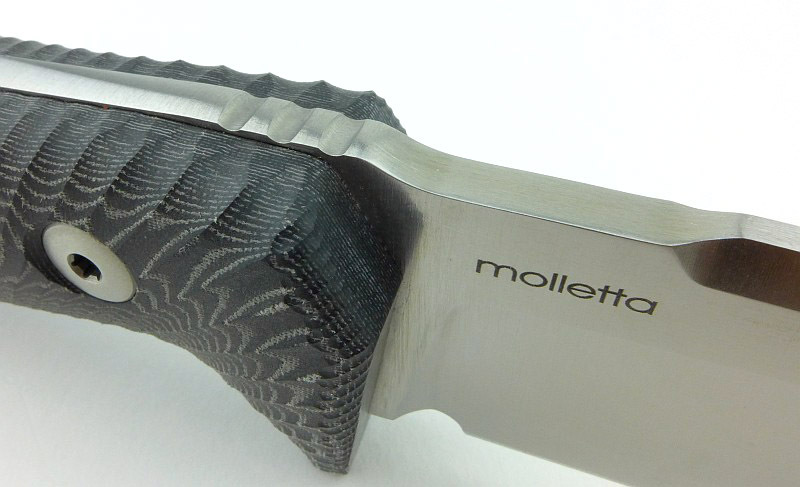 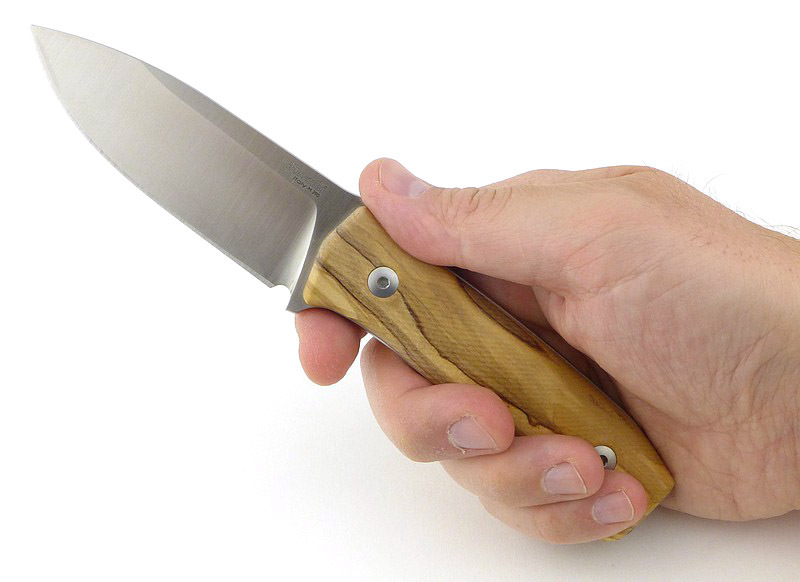 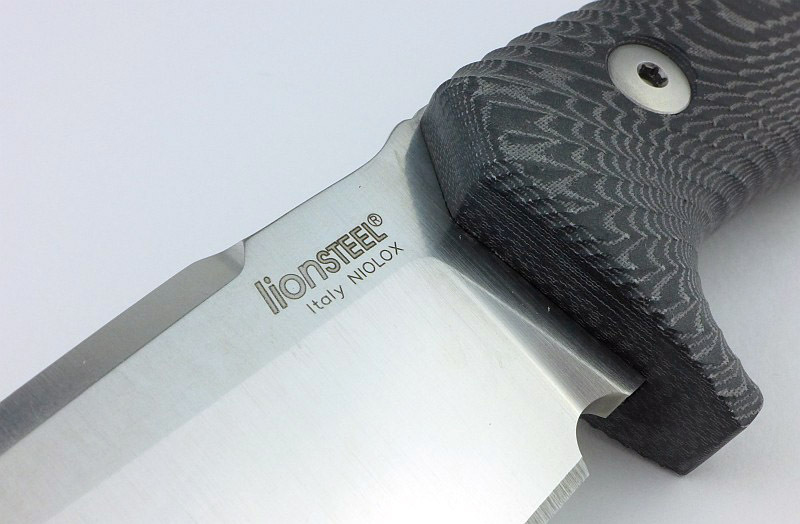 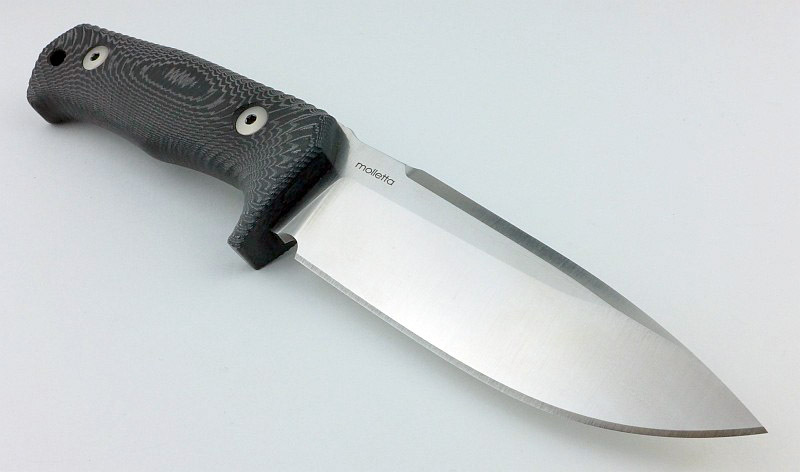 Headlined as Morakniv’s “Primary All Round Knife” – meet Kansbol. 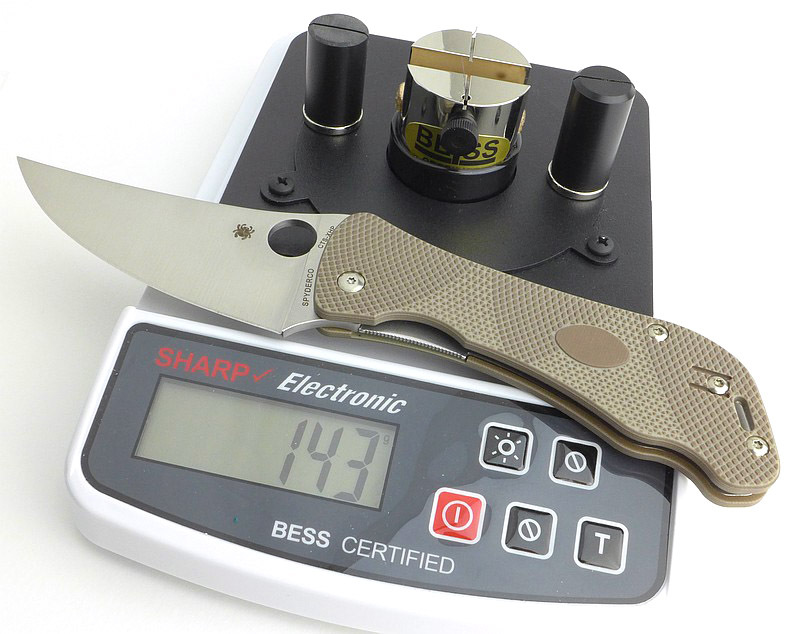 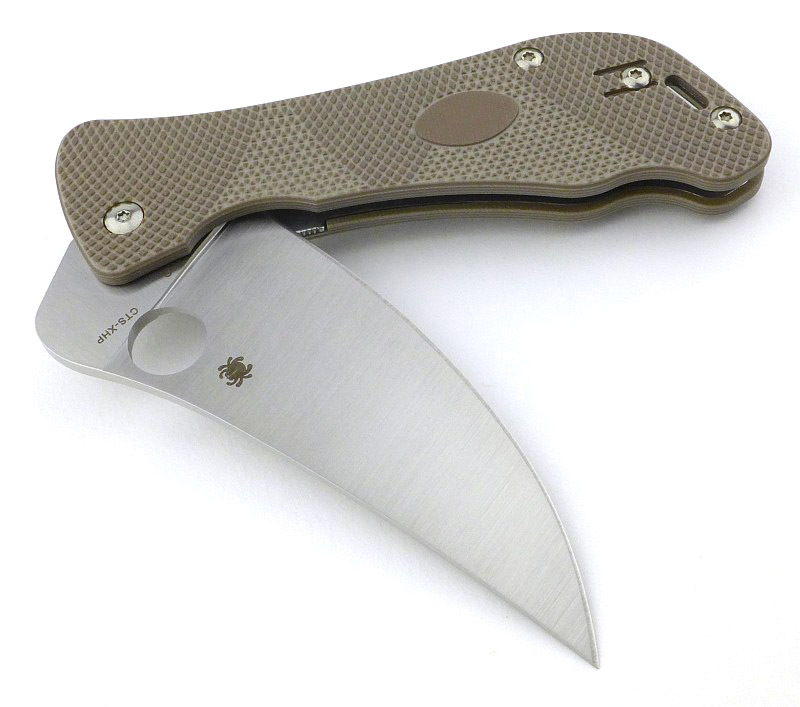 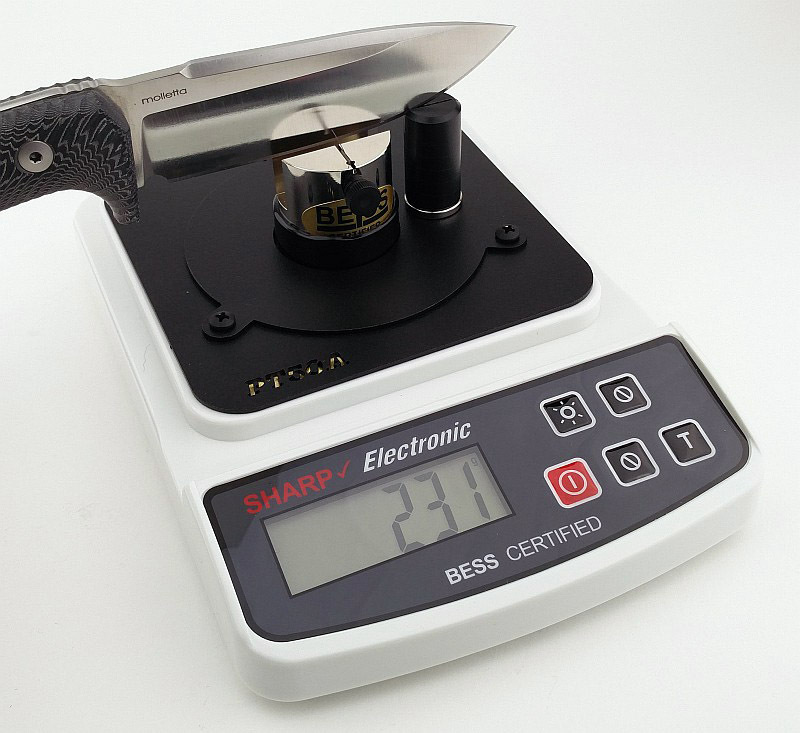 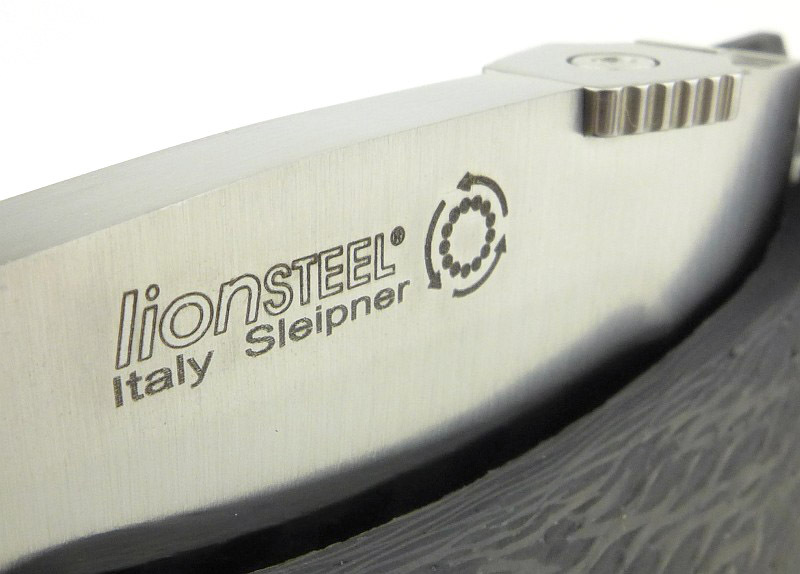 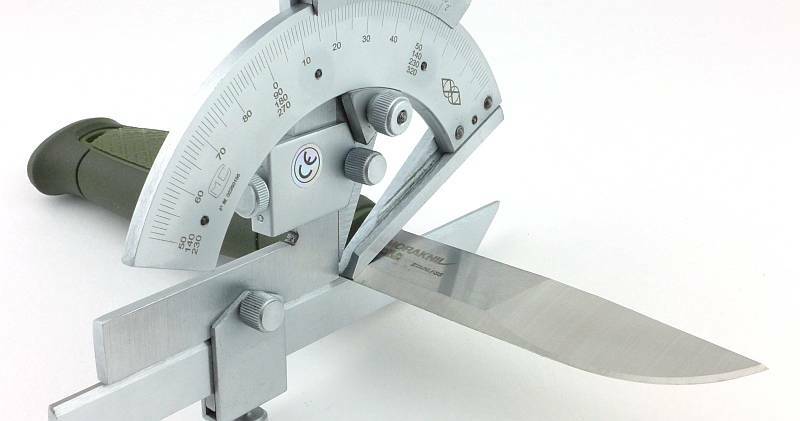 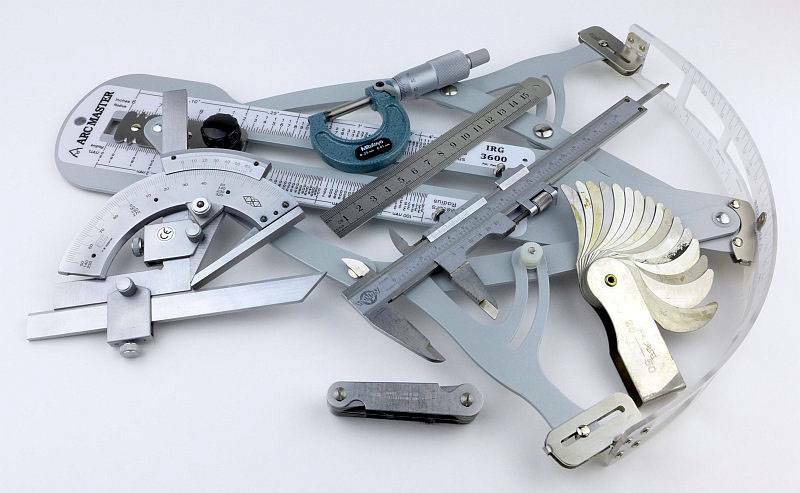 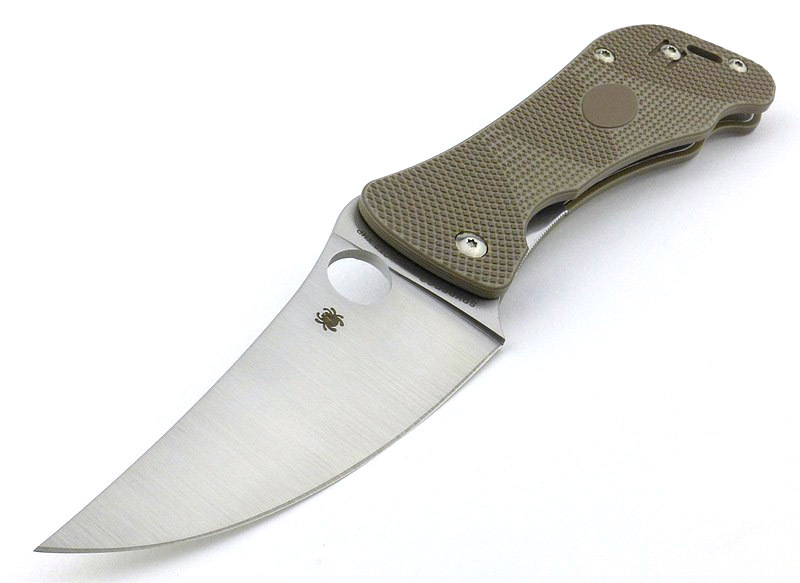 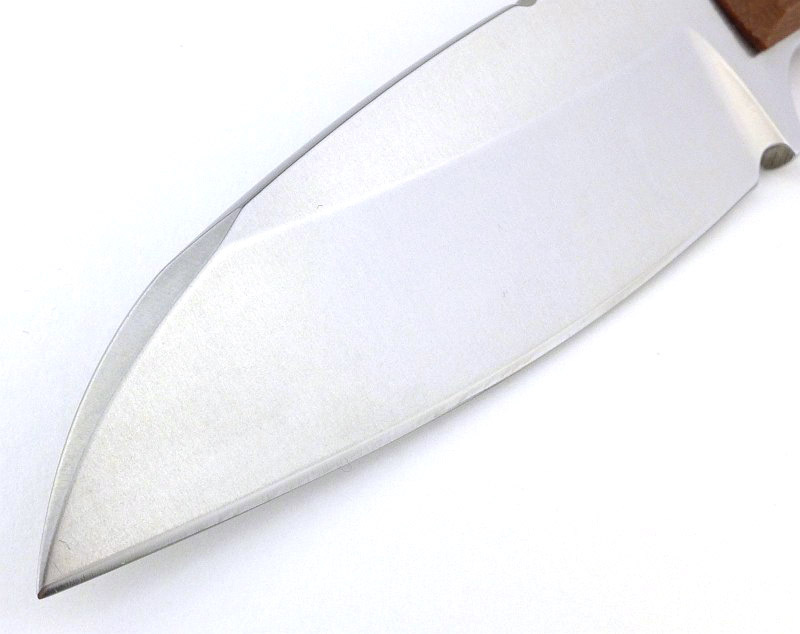 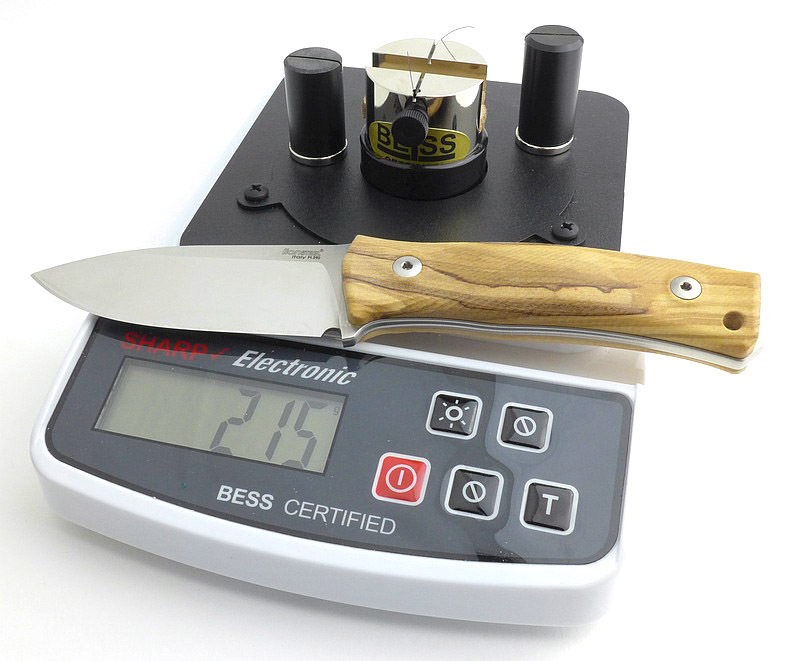 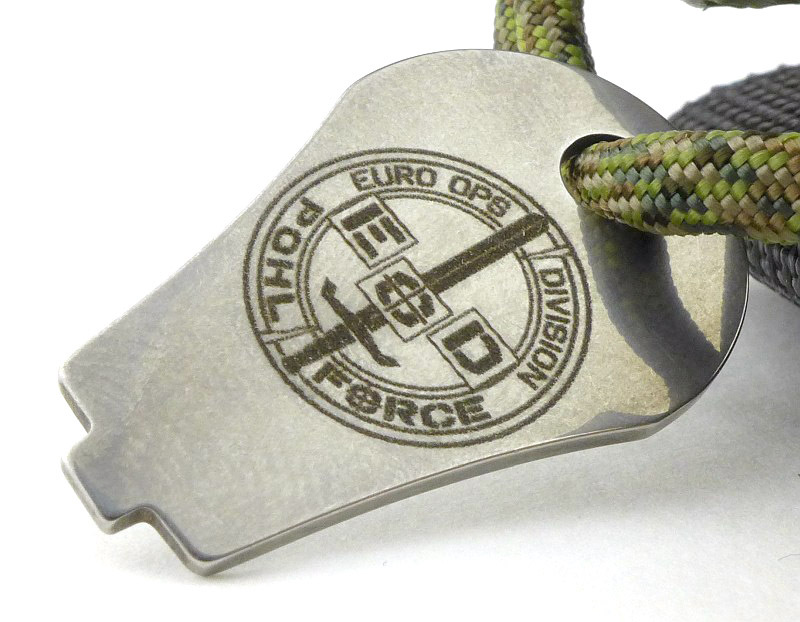 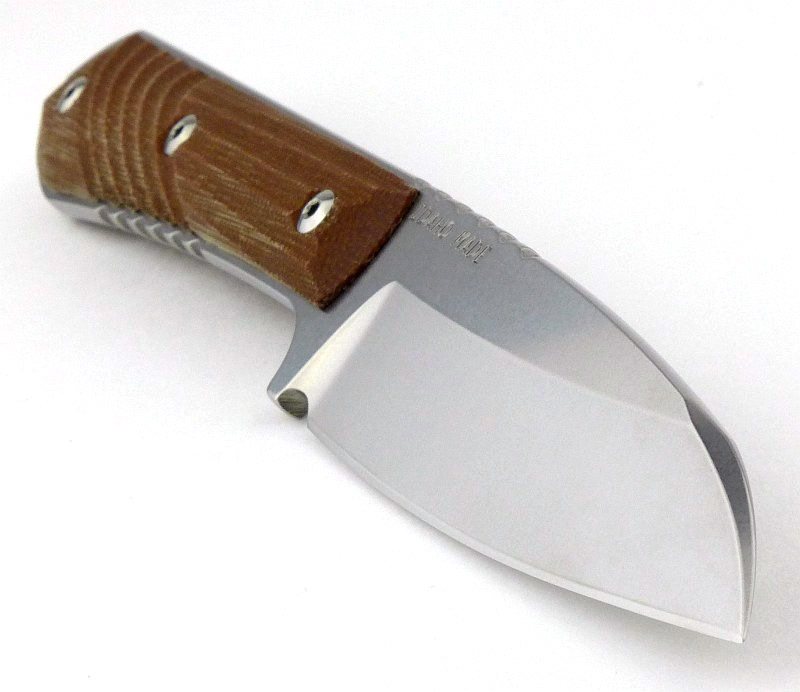 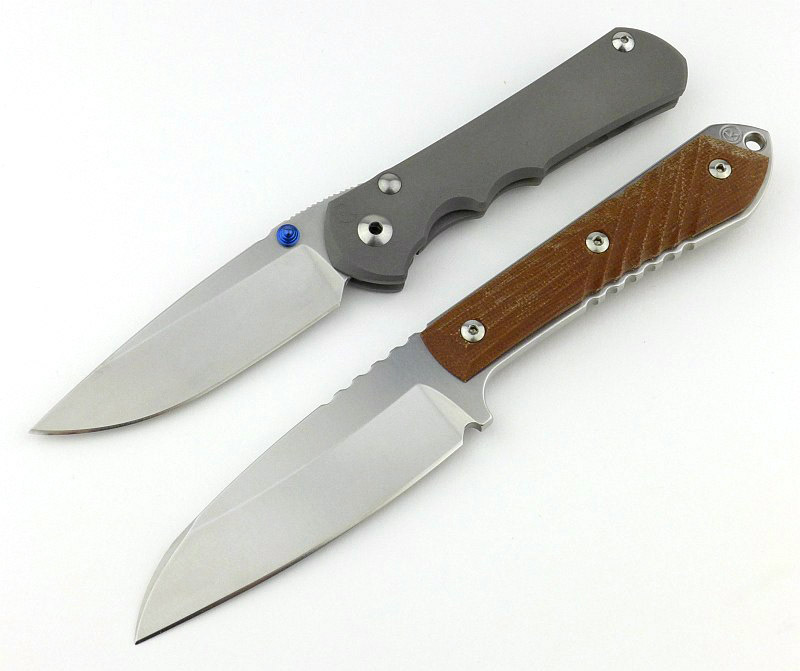 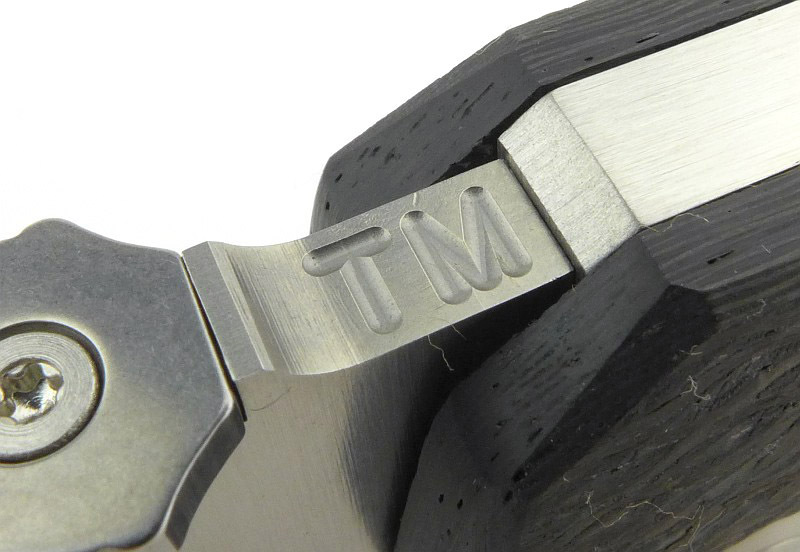 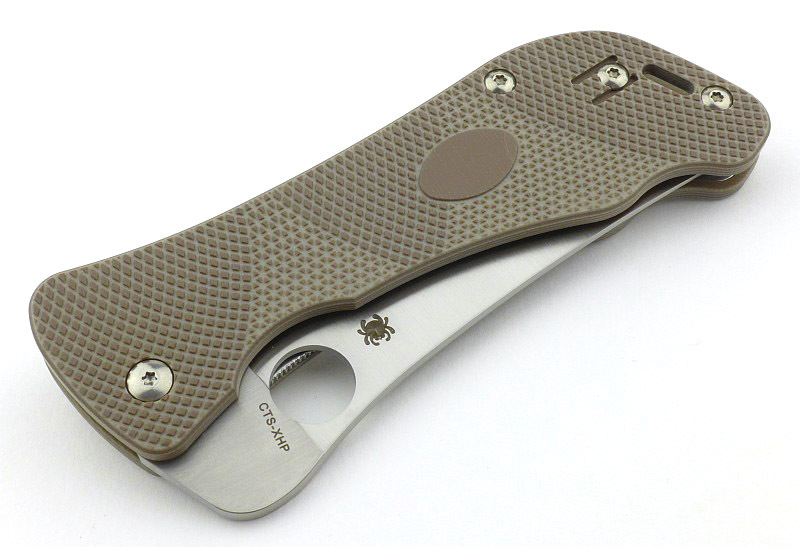 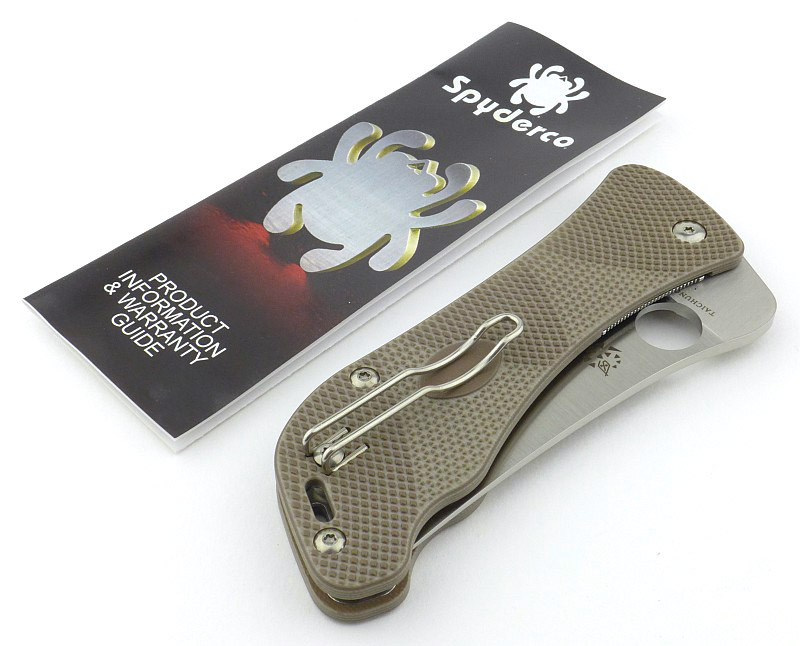 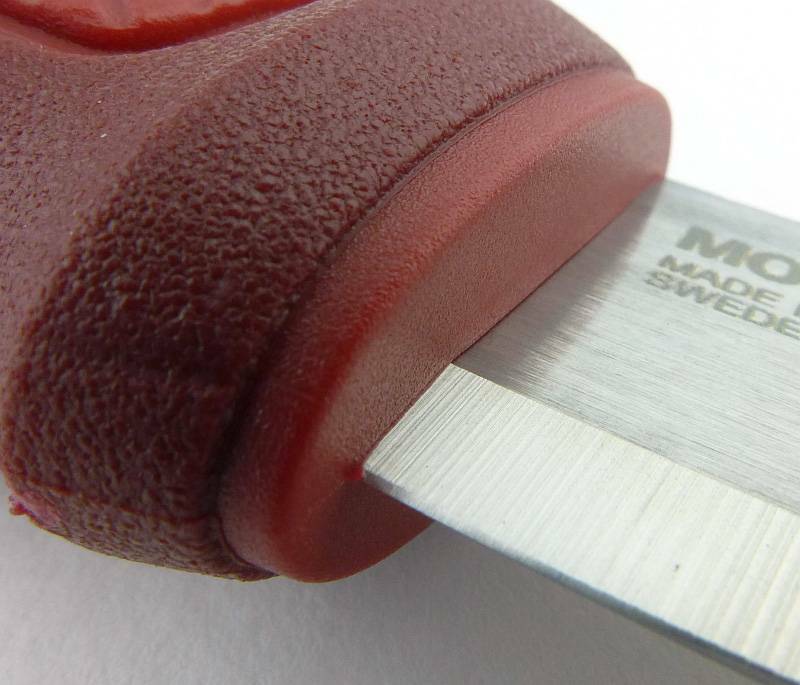 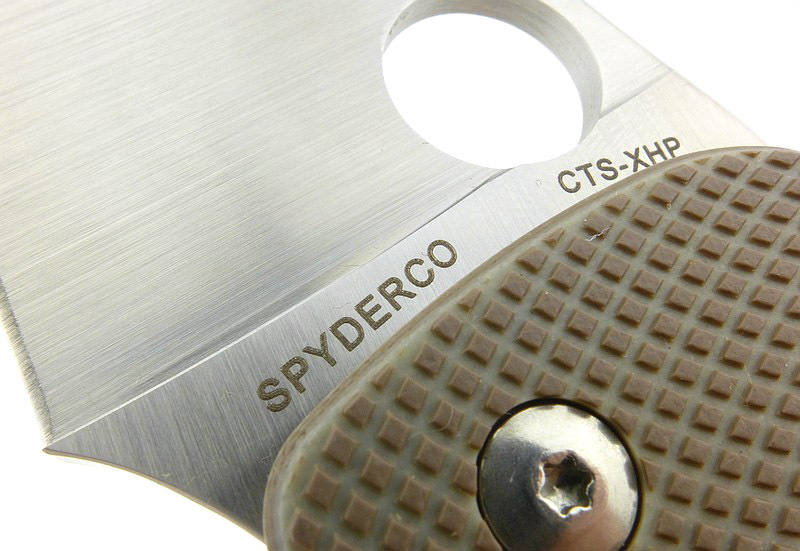 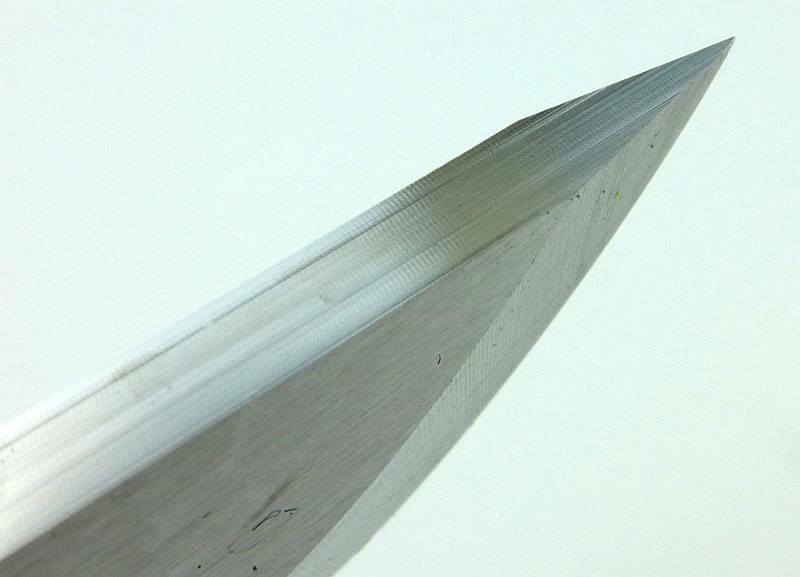 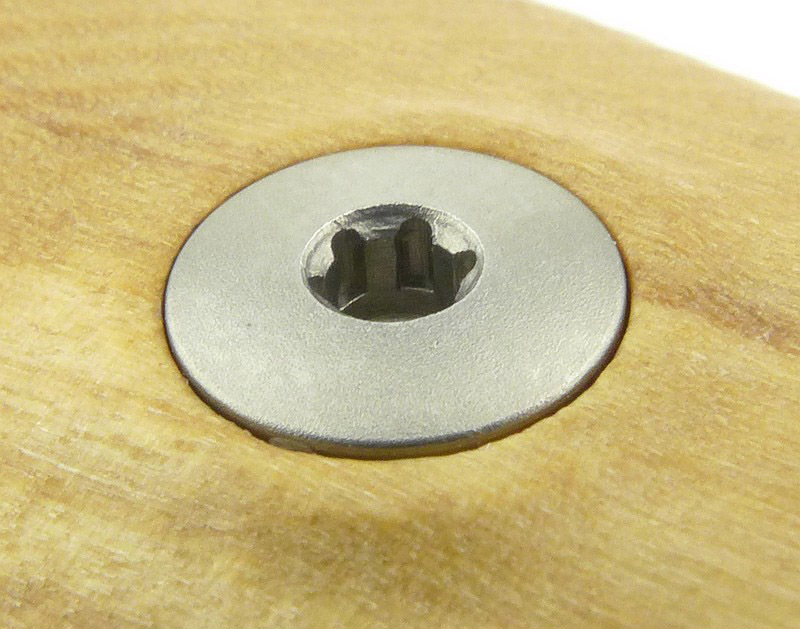 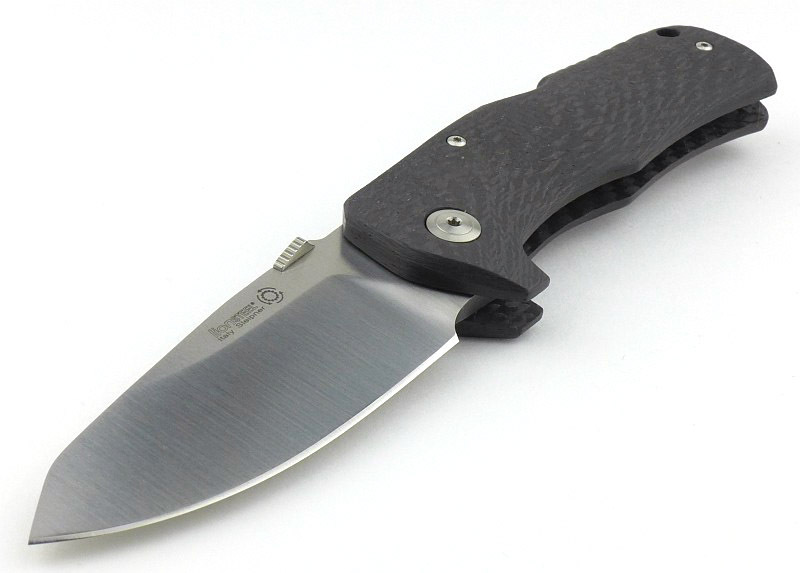 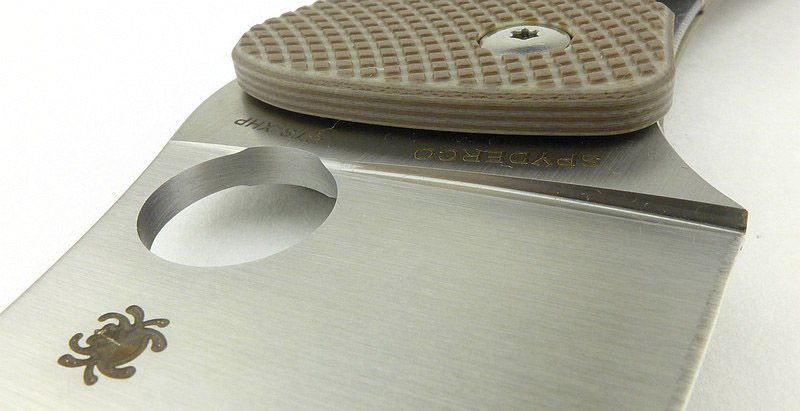 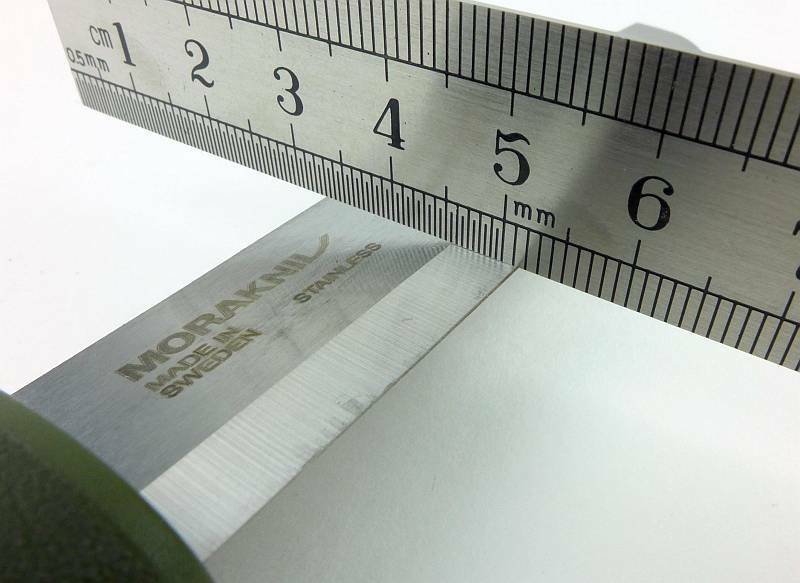 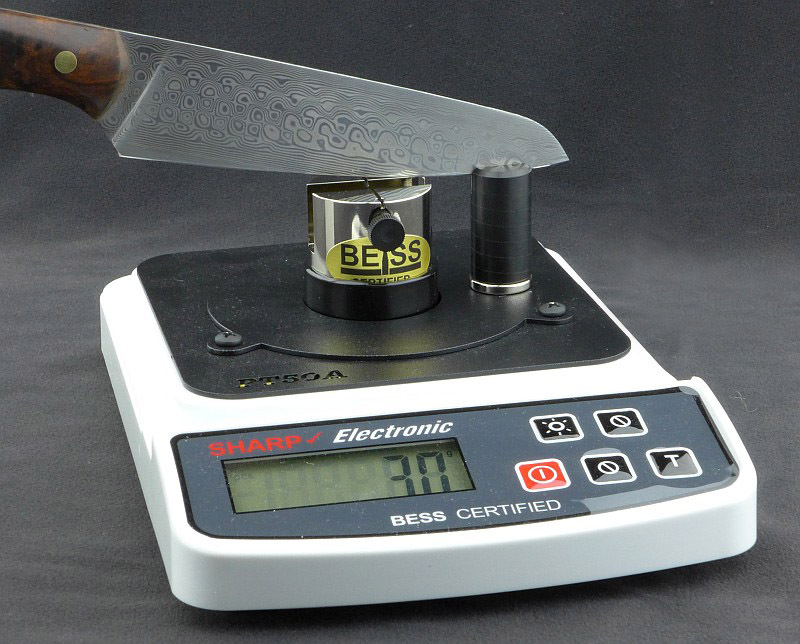 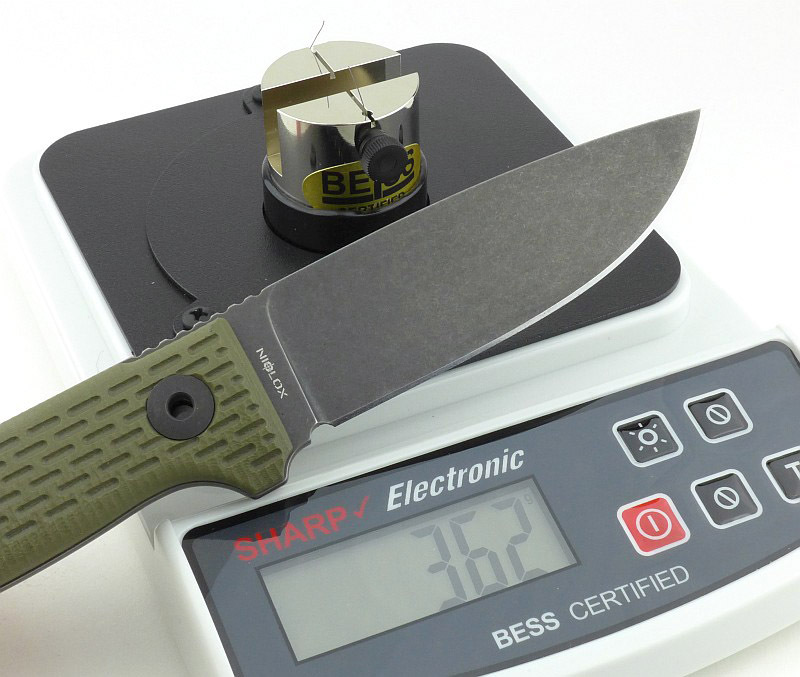 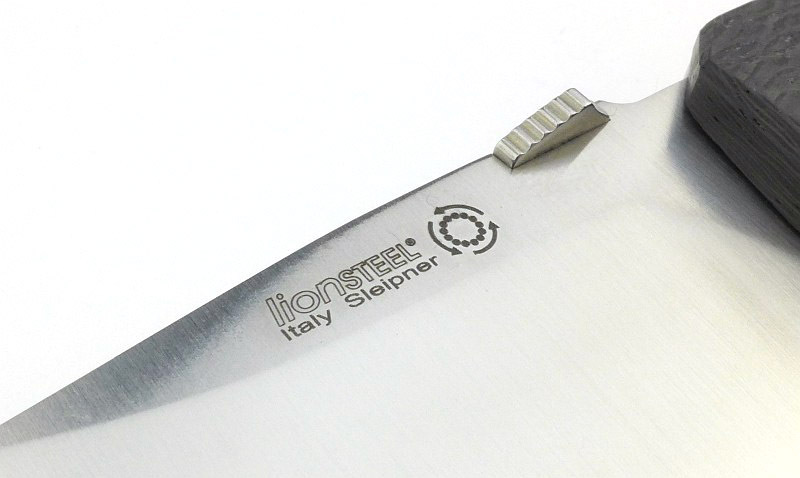 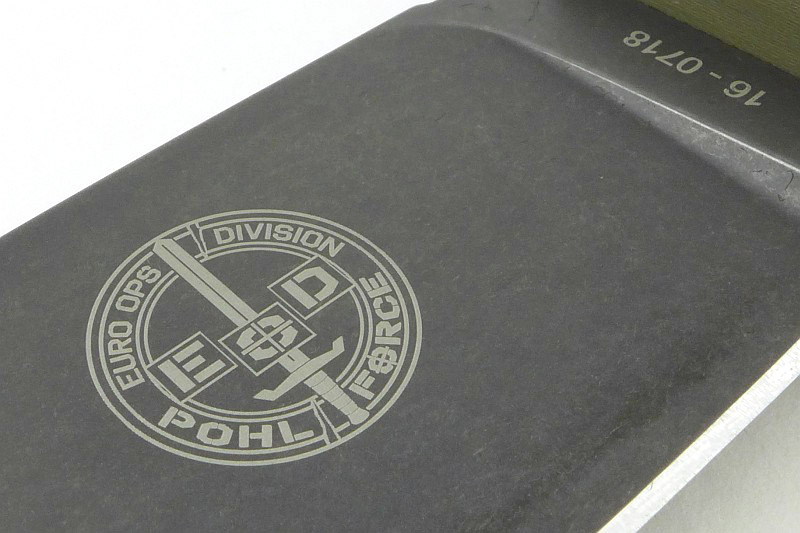 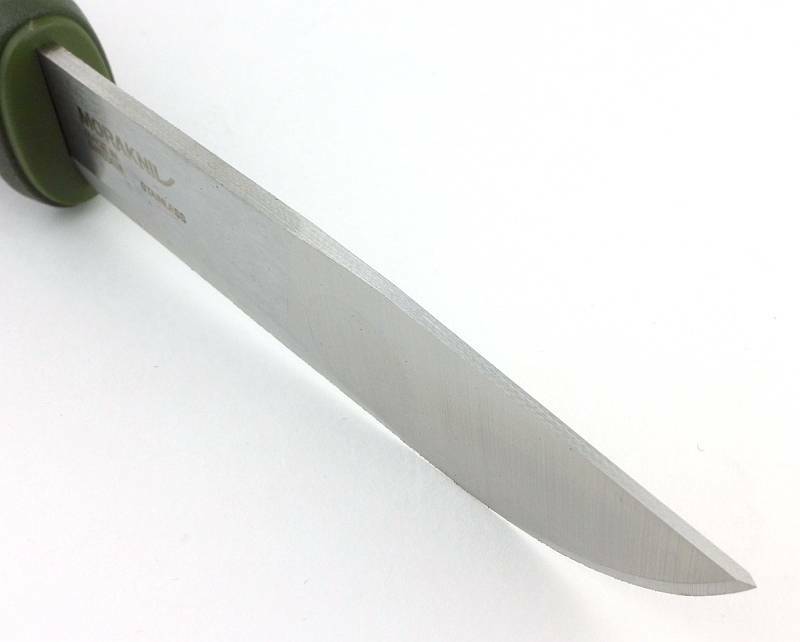 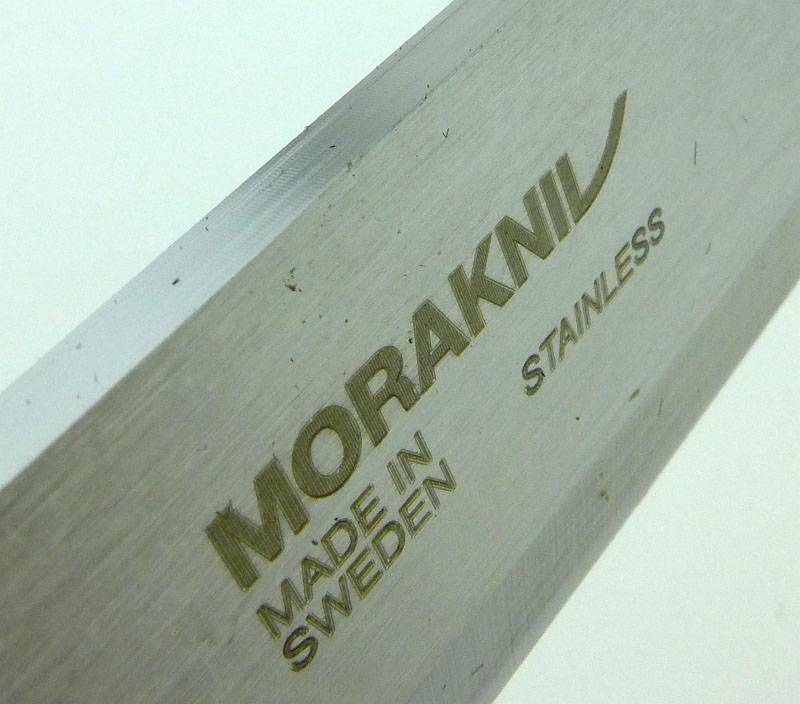 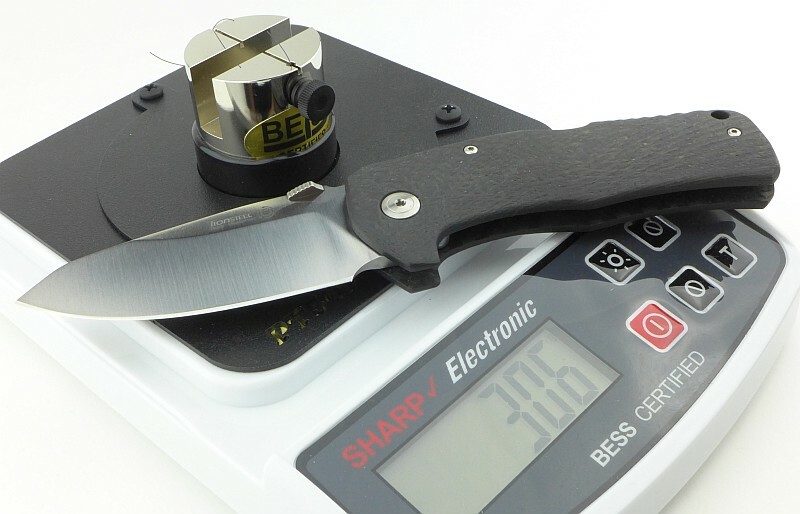 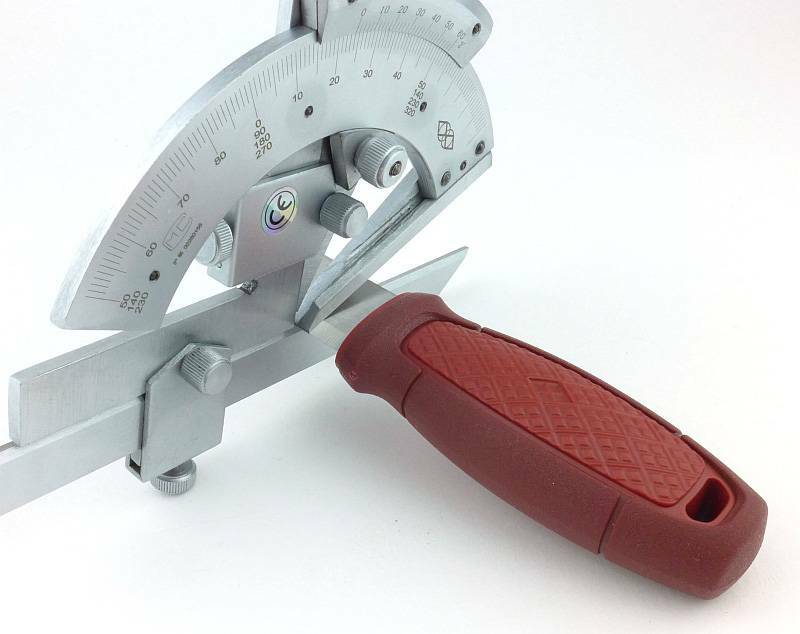 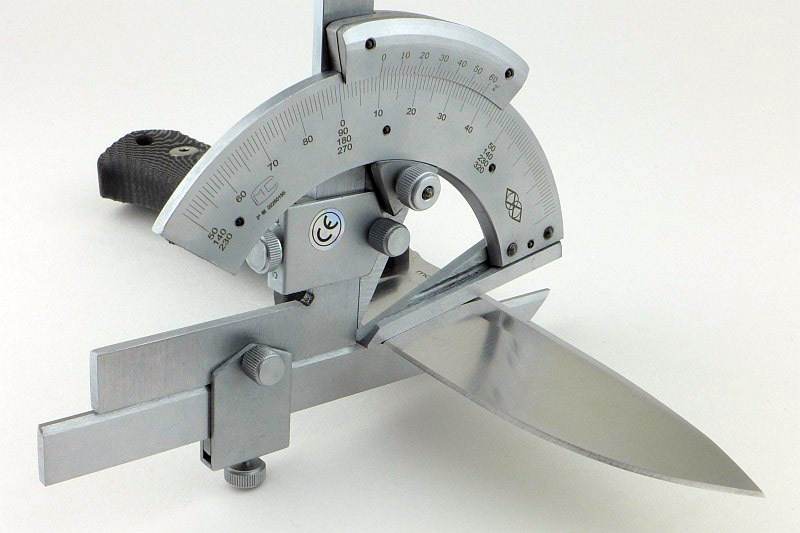 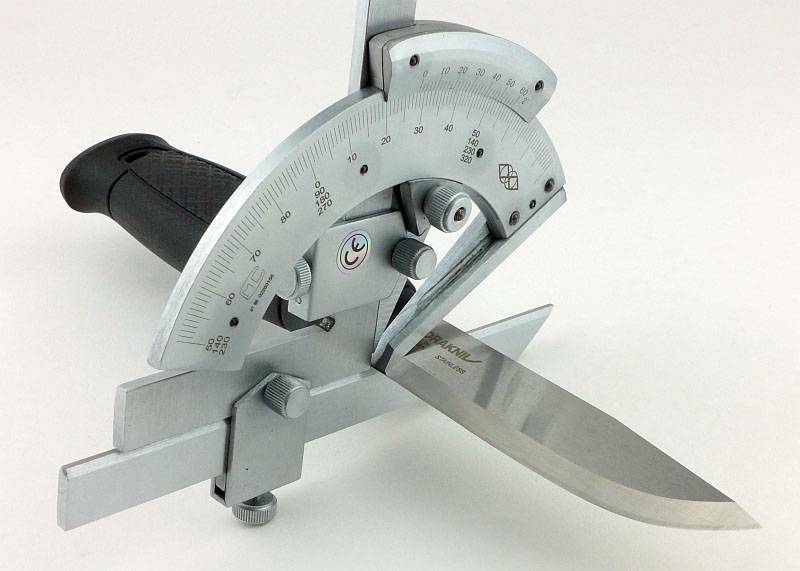 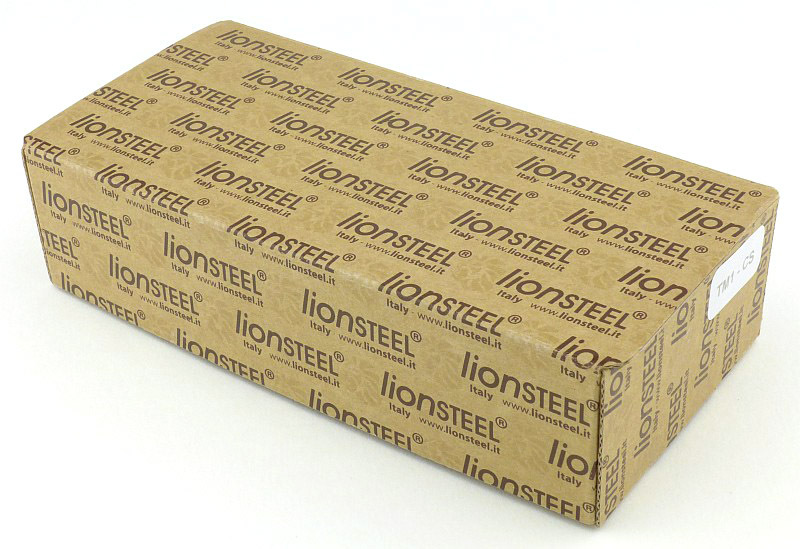 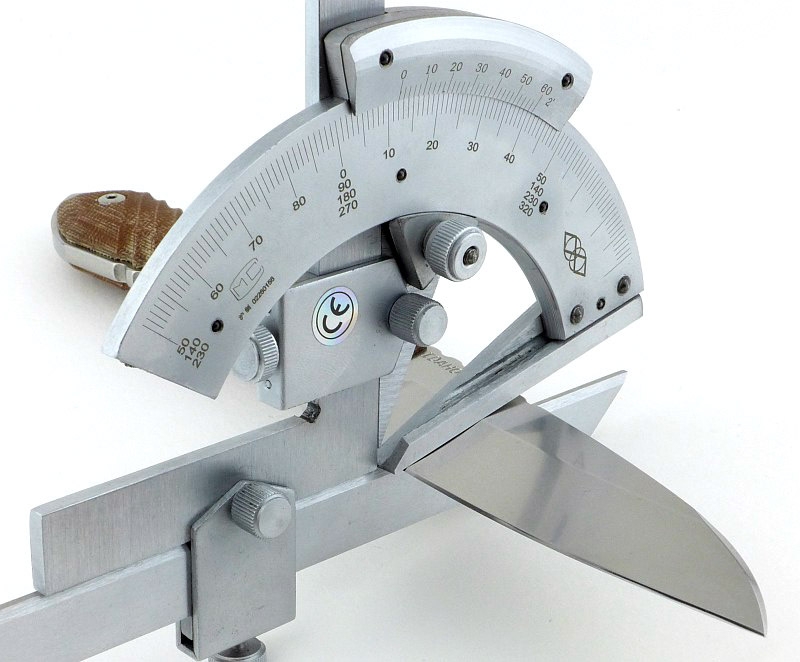 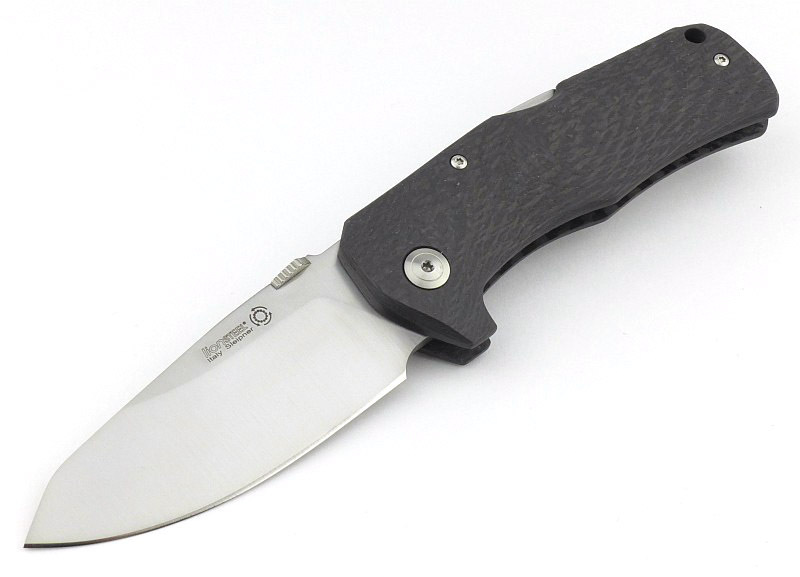 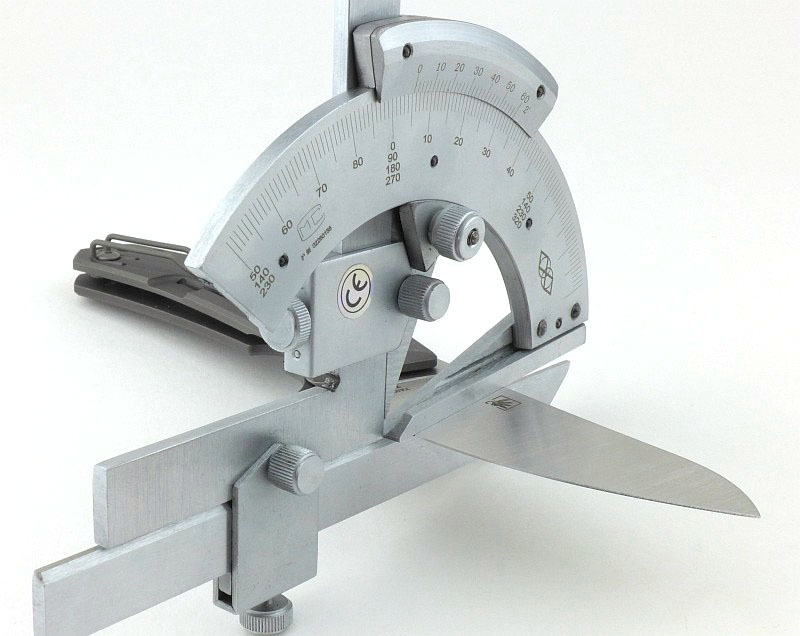 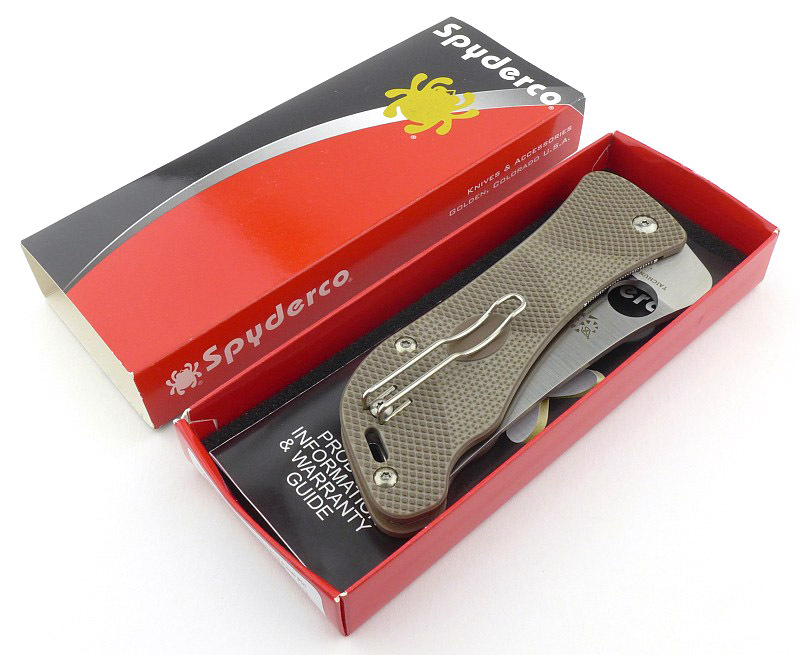 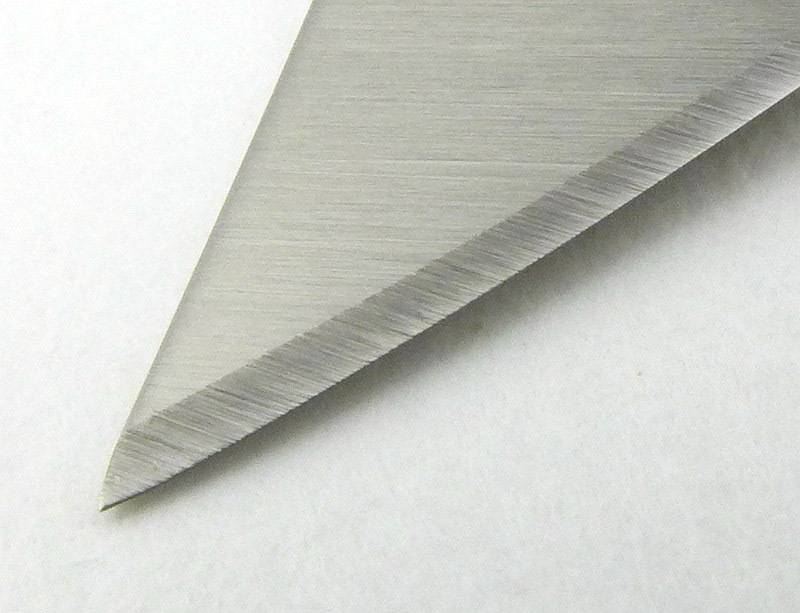 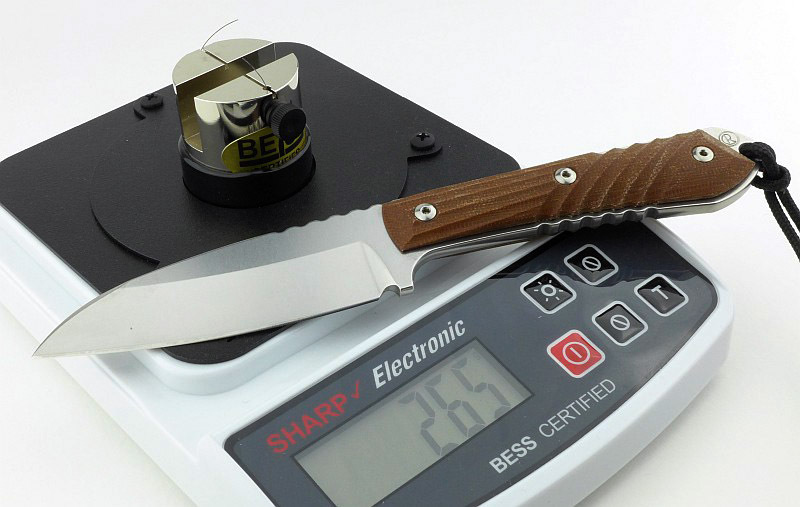 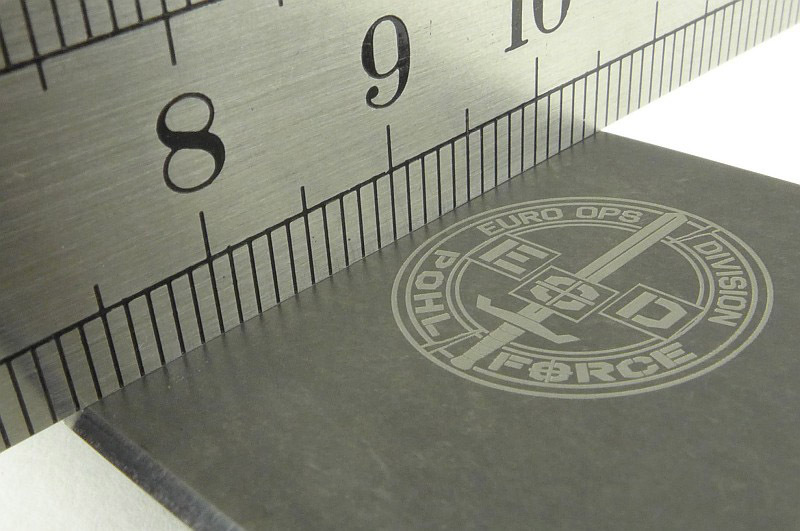 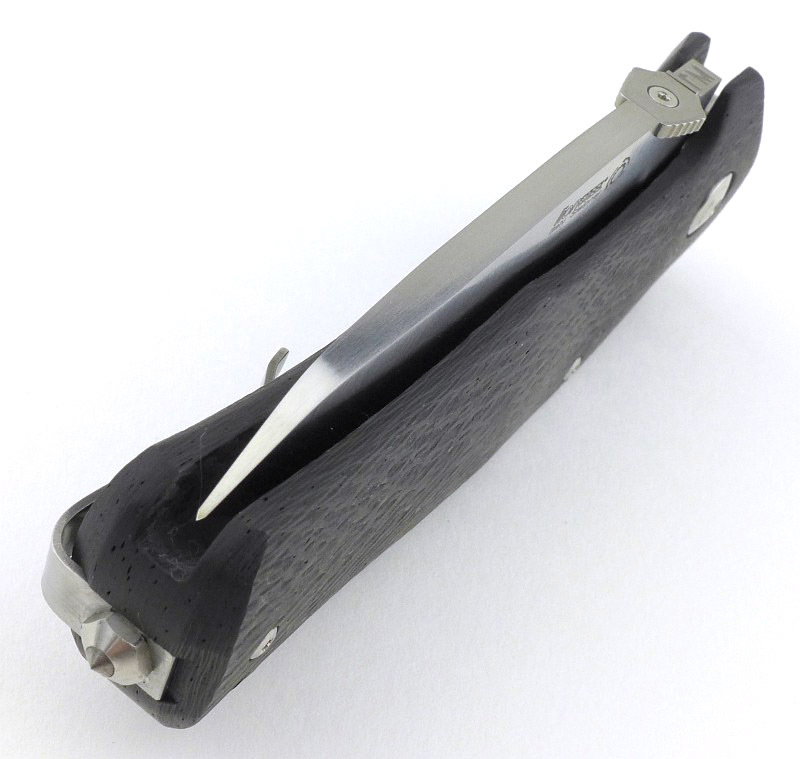 The blade is made from 2.5mm Swedish stainless steel 12C27. 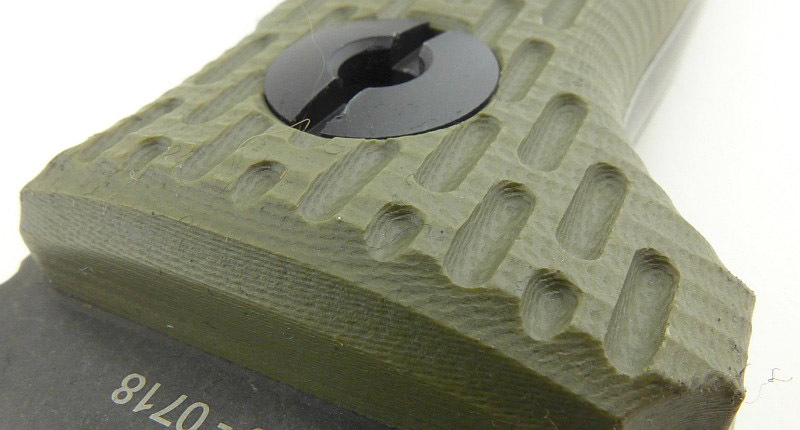 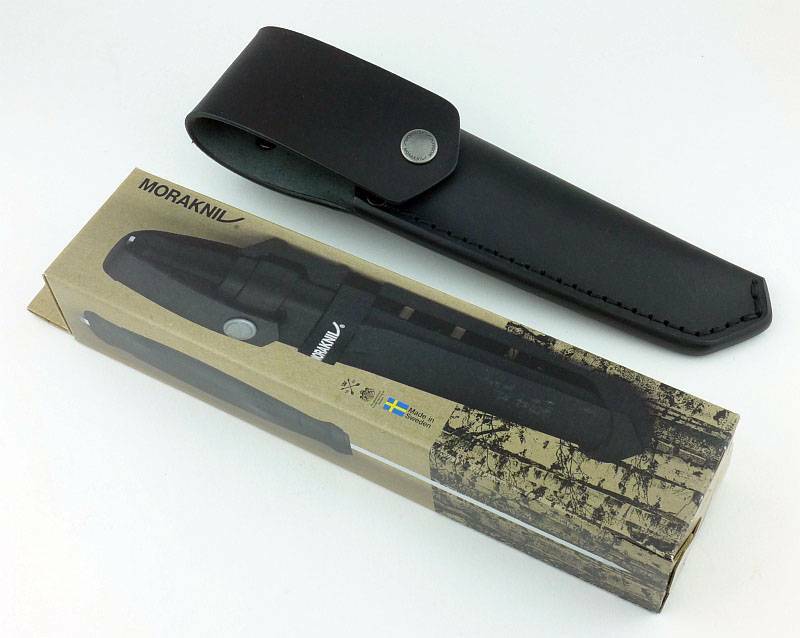 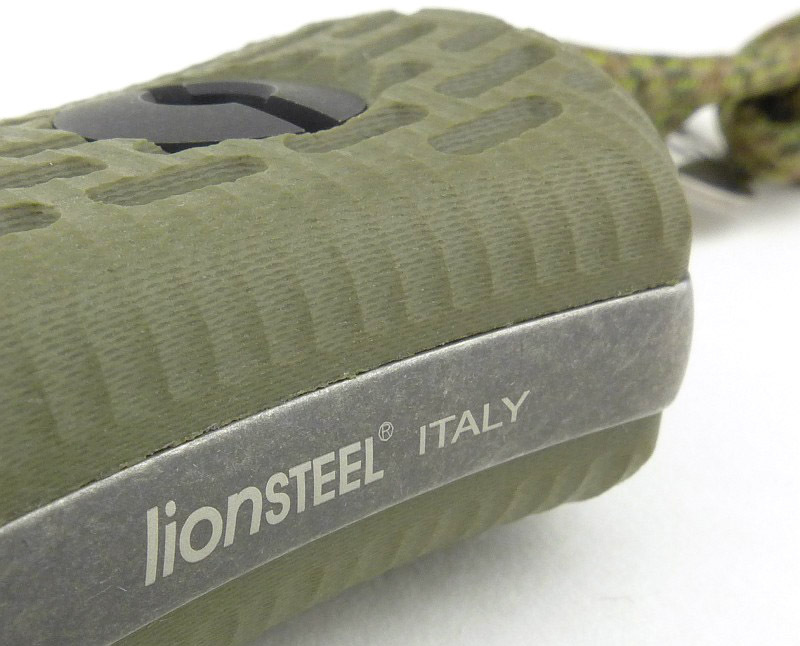 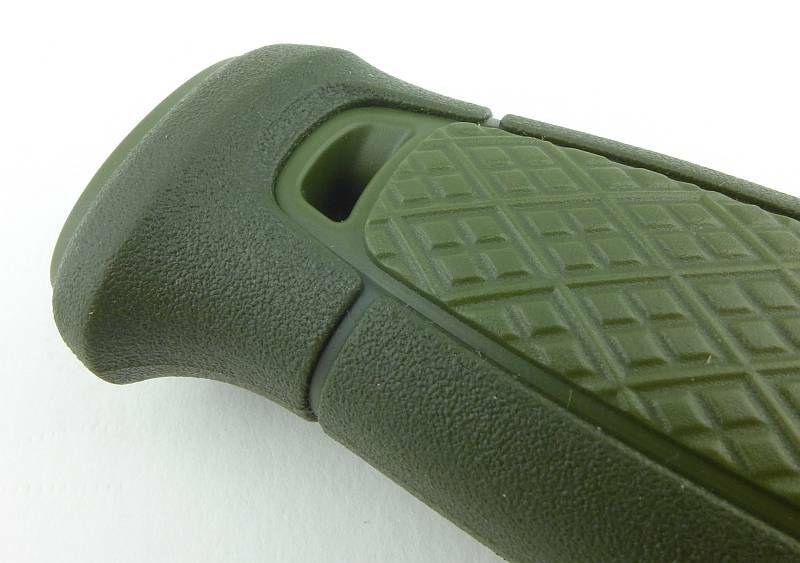 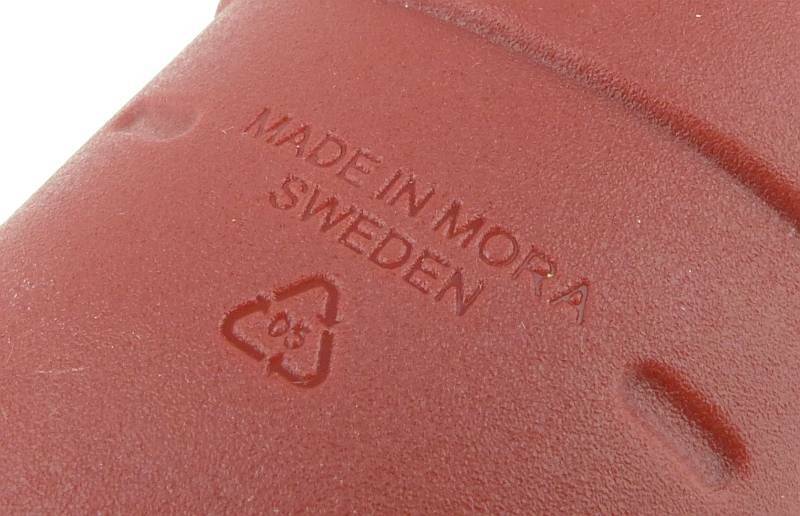 This is an interview by Tactical Reviews with ‘Head of Production’ at Morakniv, Thomas Eriksson, from IWA 2017. 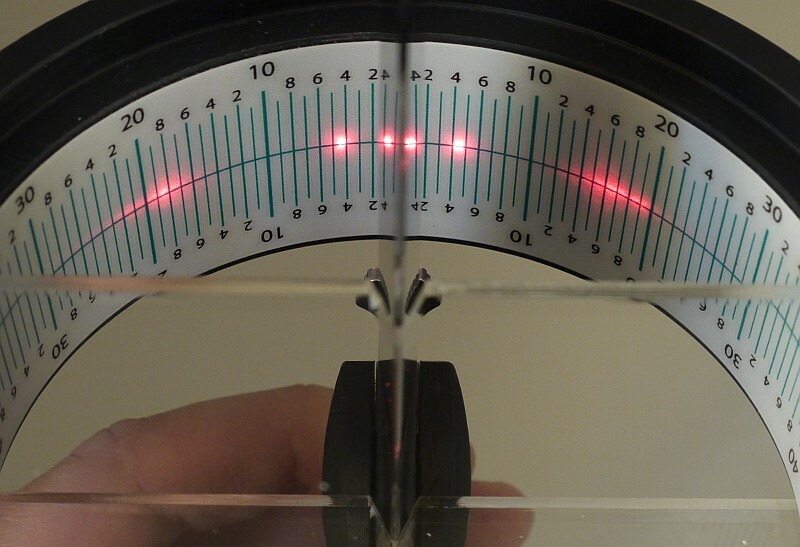 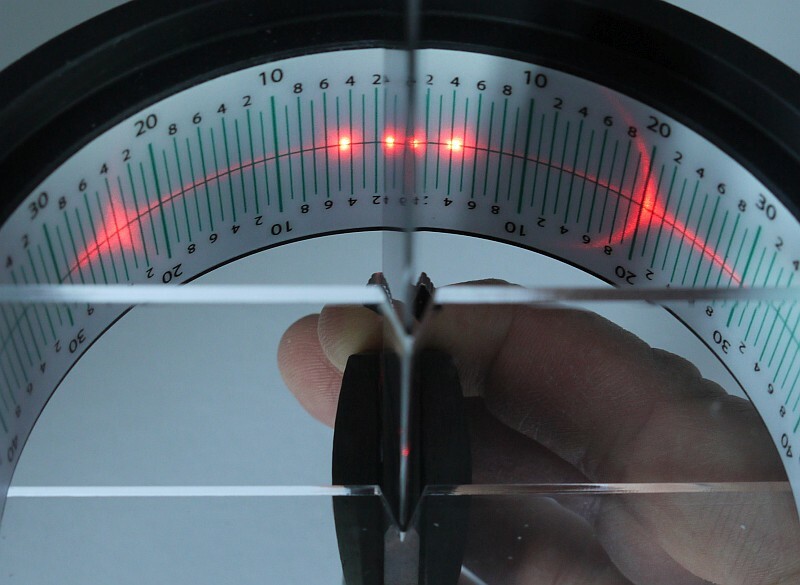 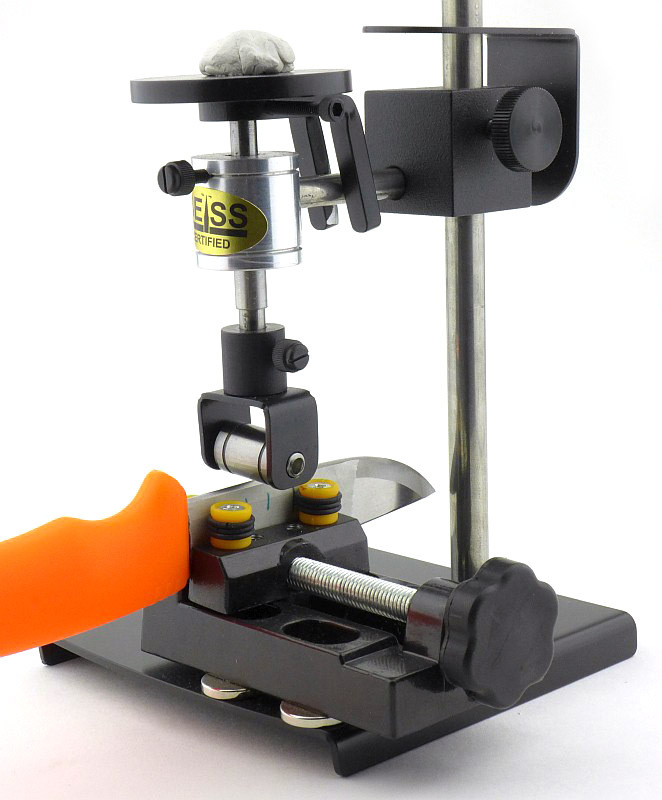 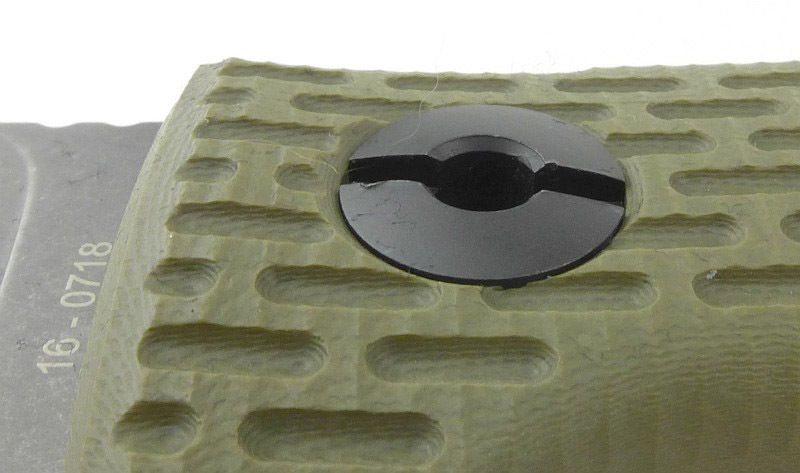 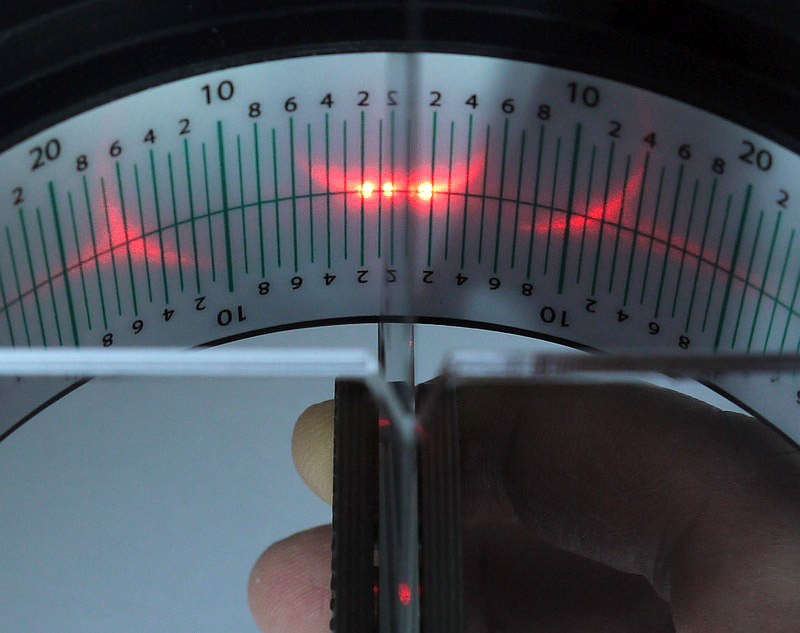 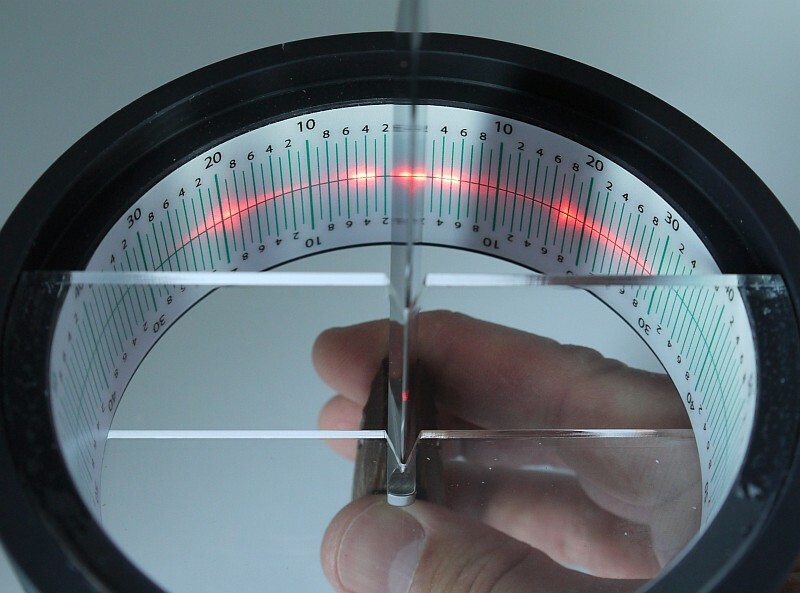 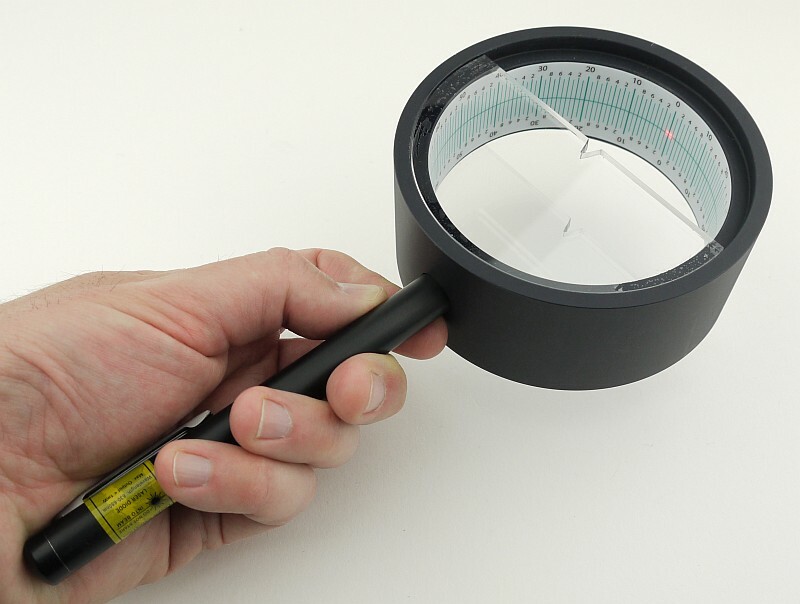 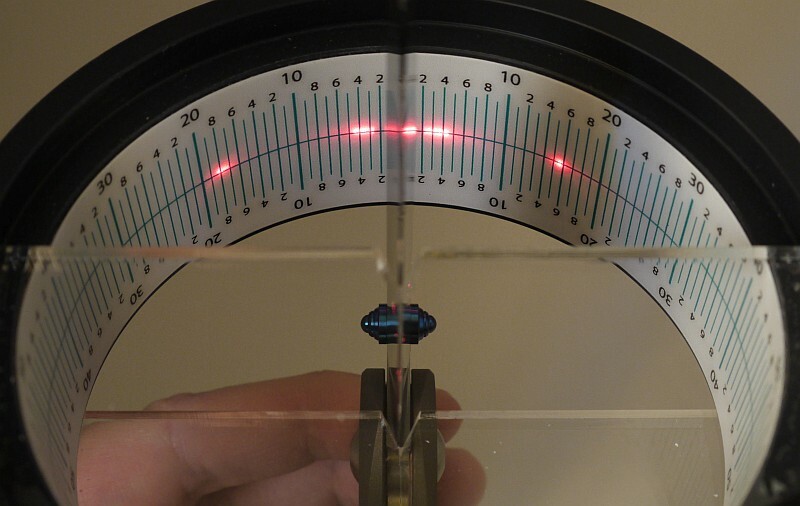 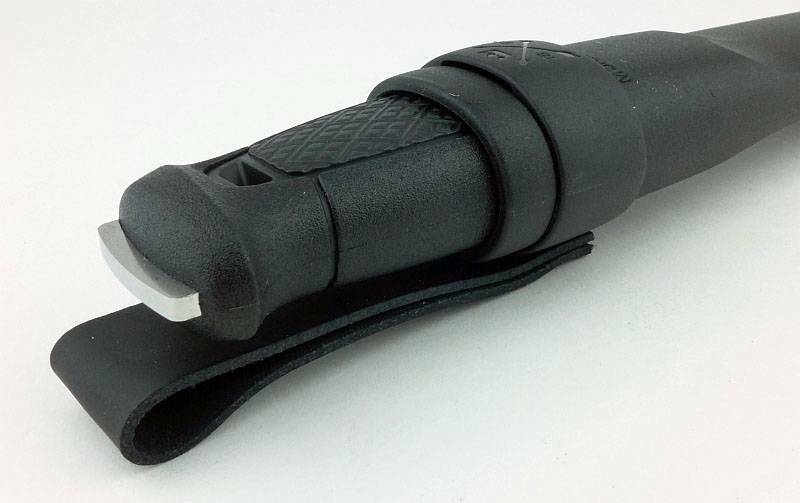 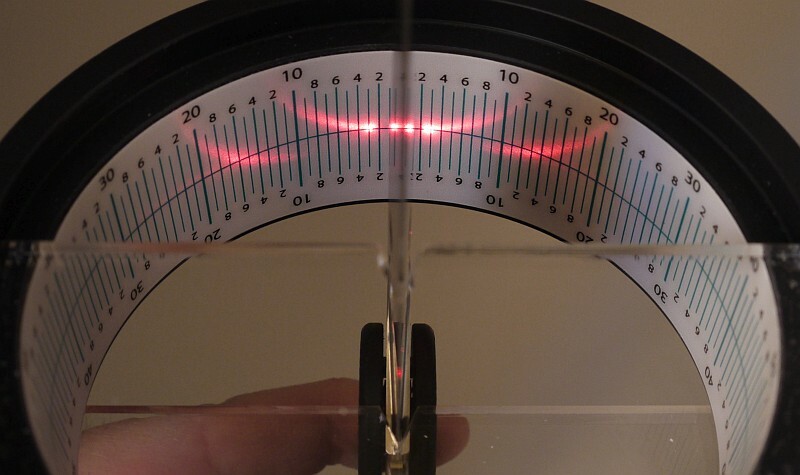 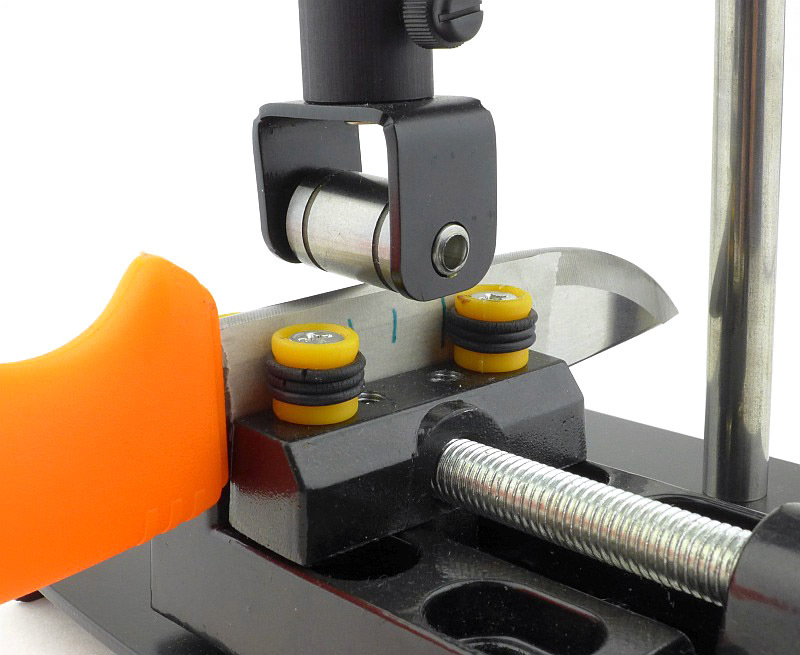 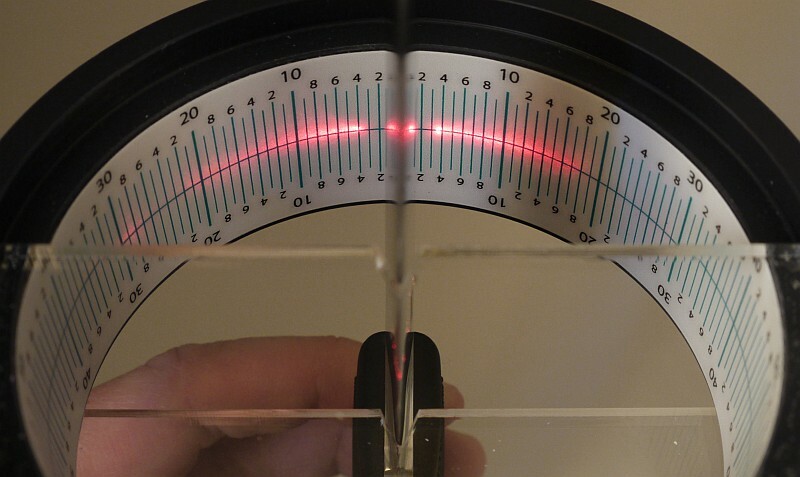 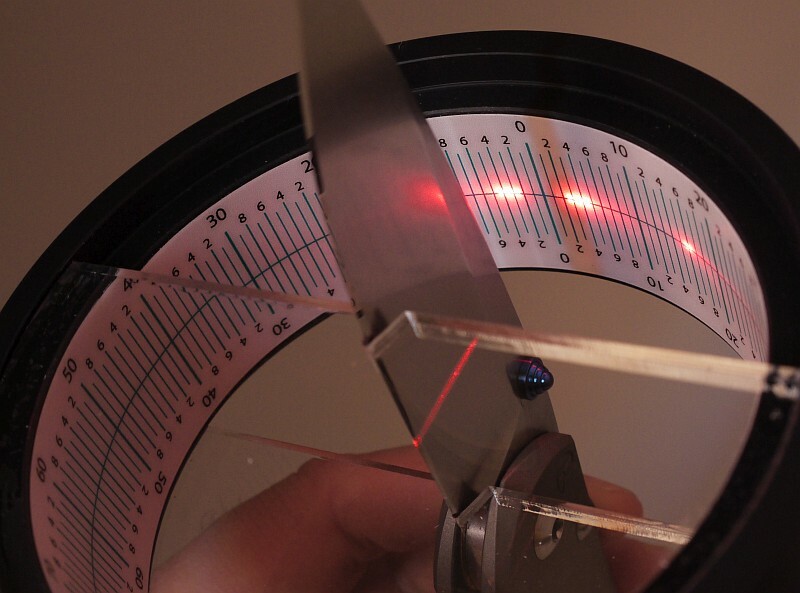 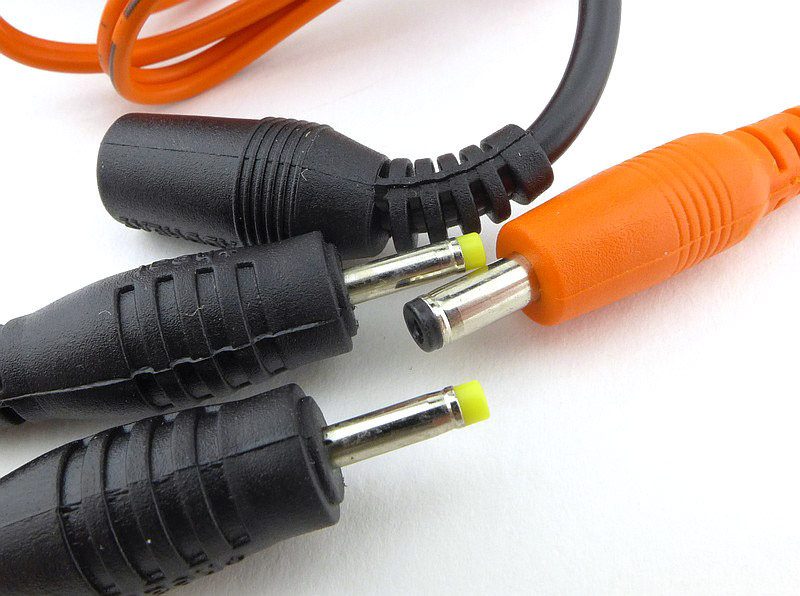 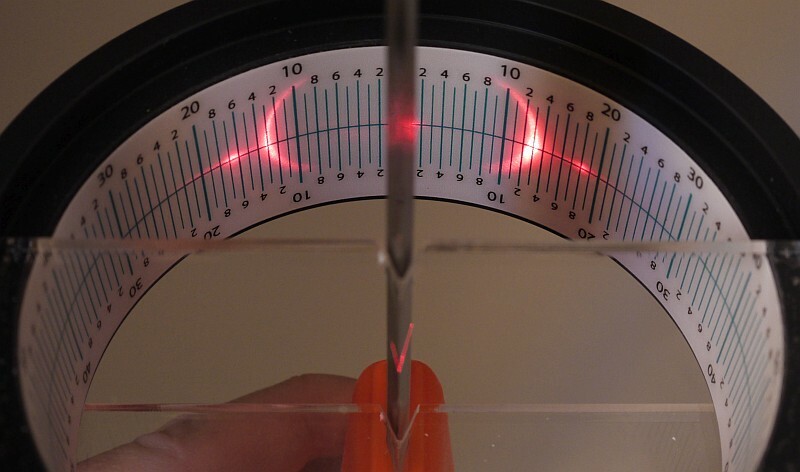 As with the recently reviewed Garberg the Kansbol has a standard , and Multi-Mount version. 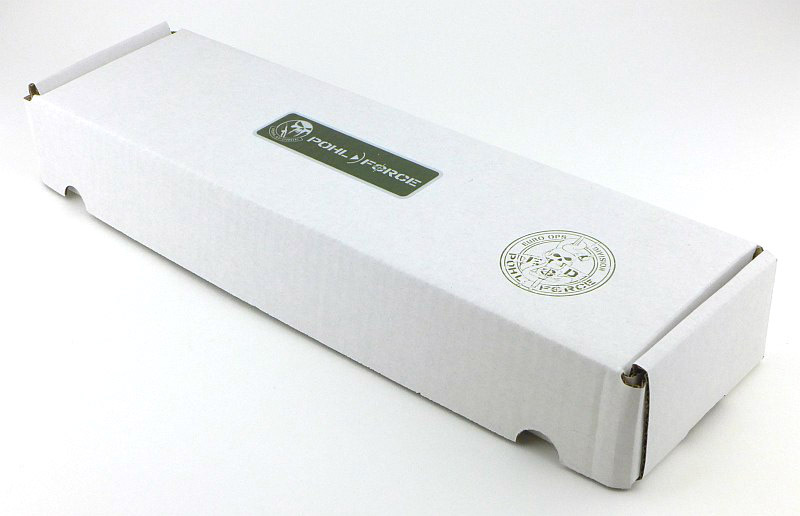 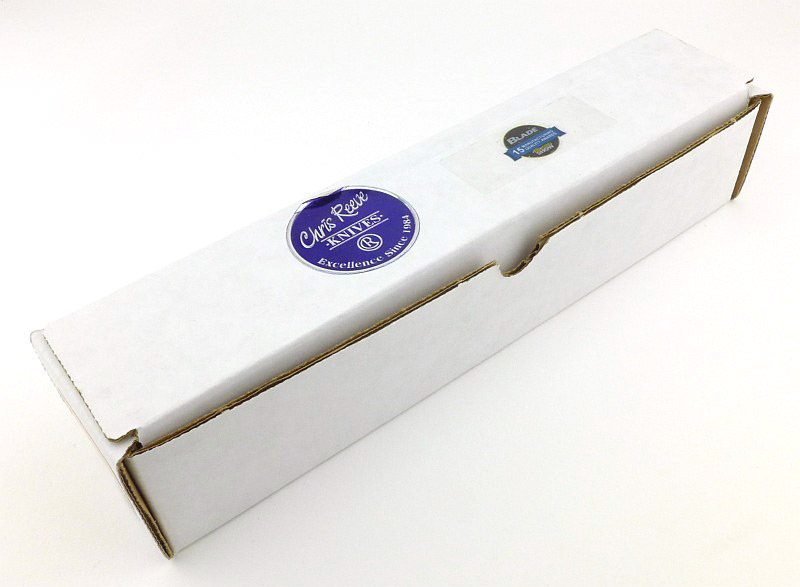 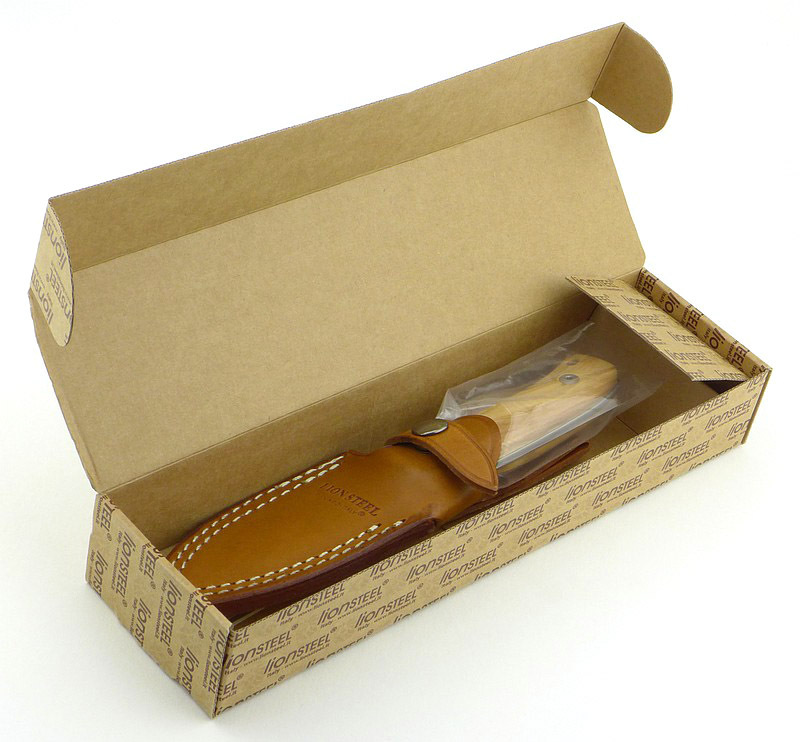 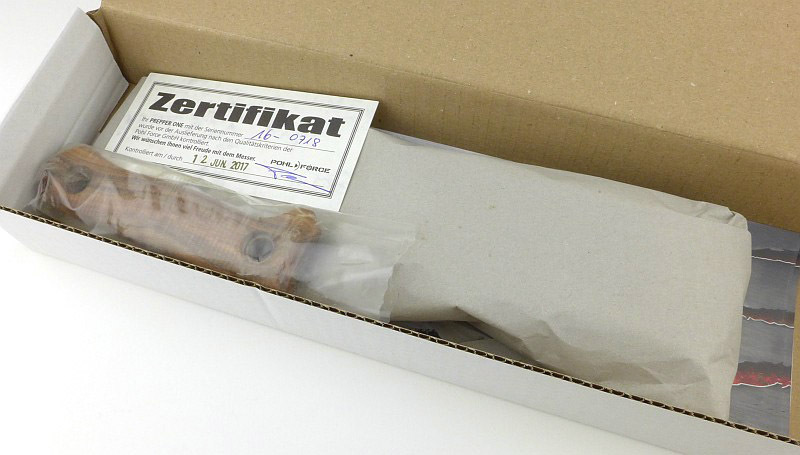 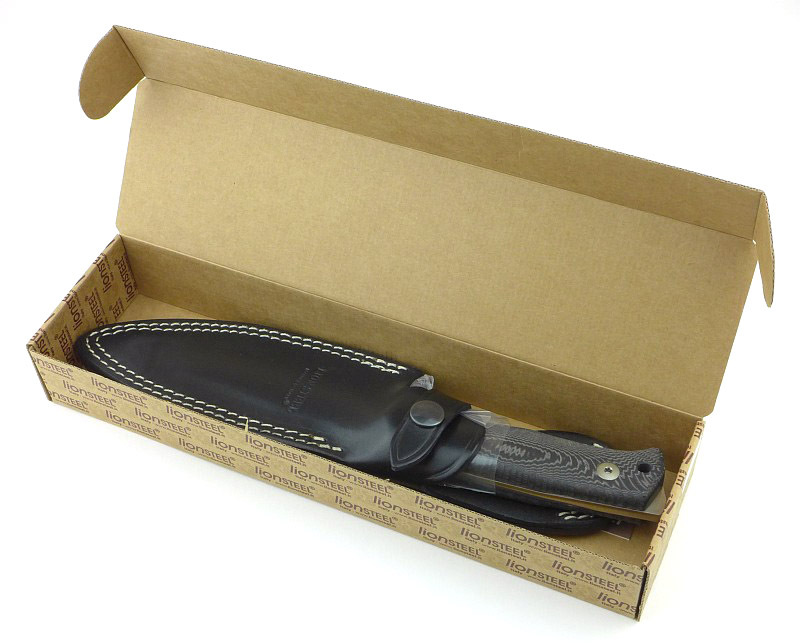 As before, the standard version shows the knife on the front of the box, and the Mulit-Mount version, the knife in its sheath and mount. 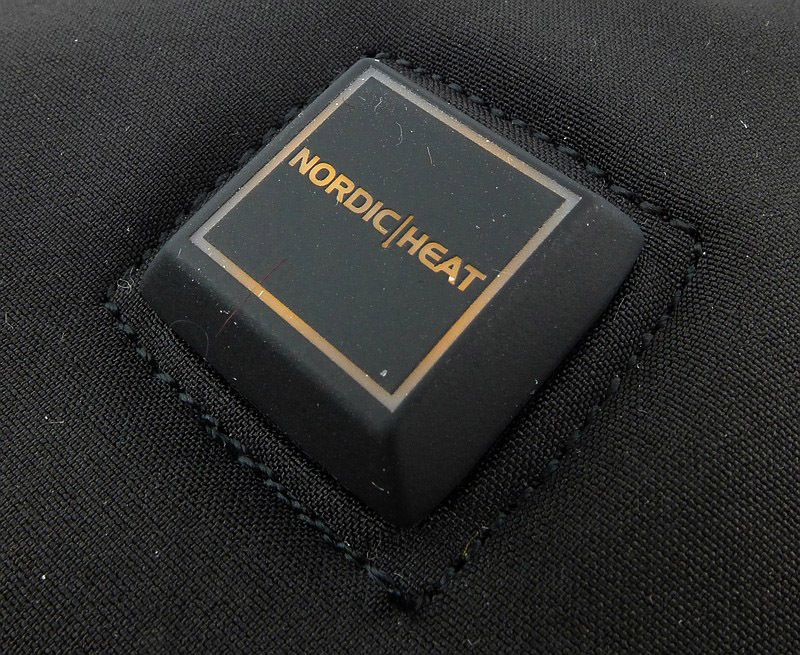 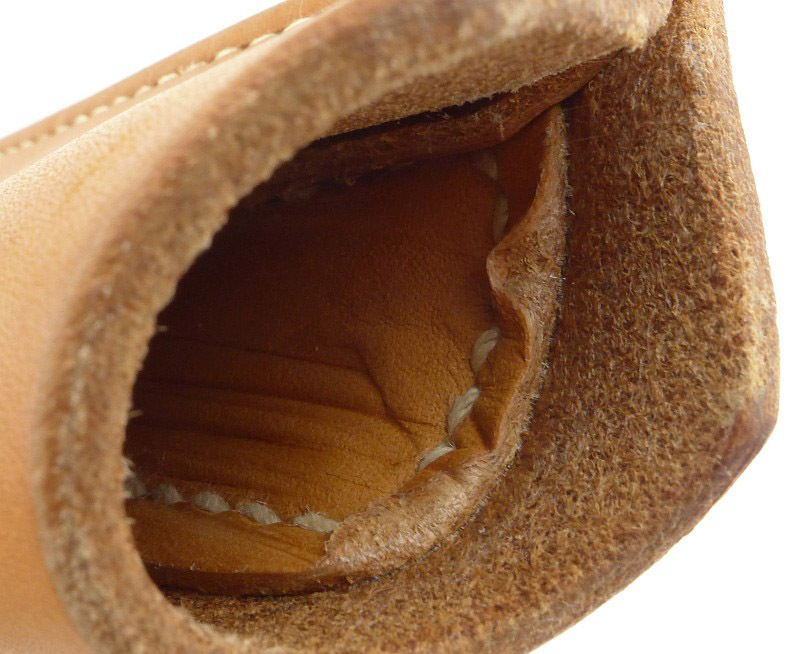 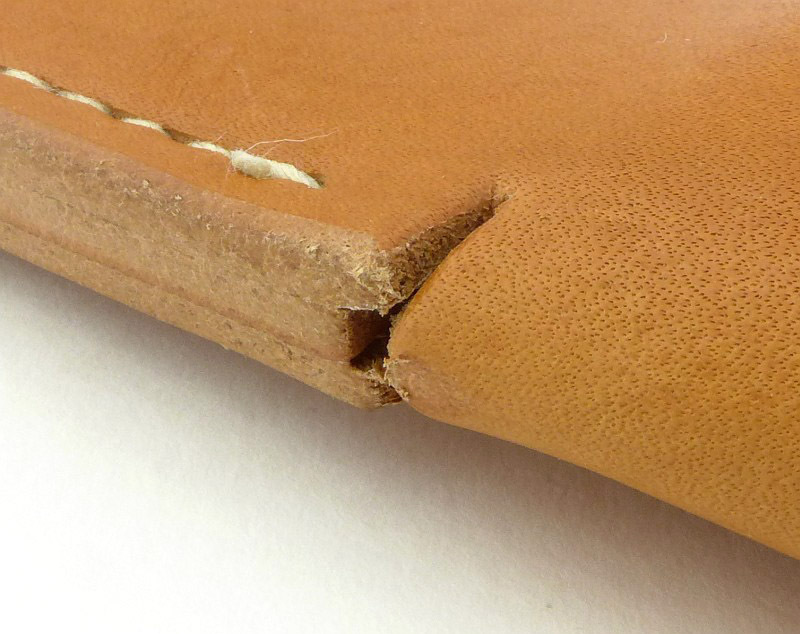 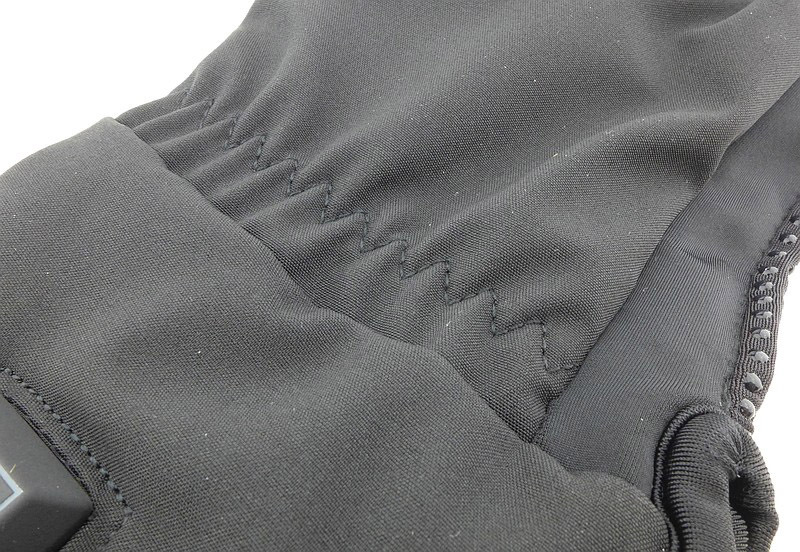 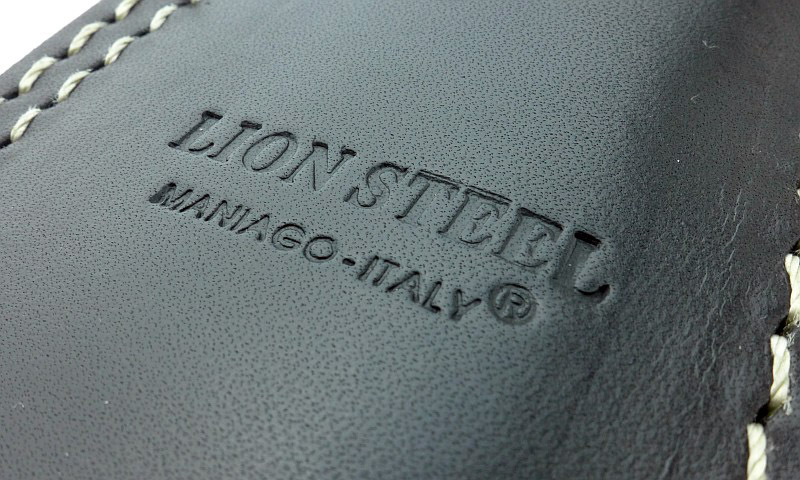 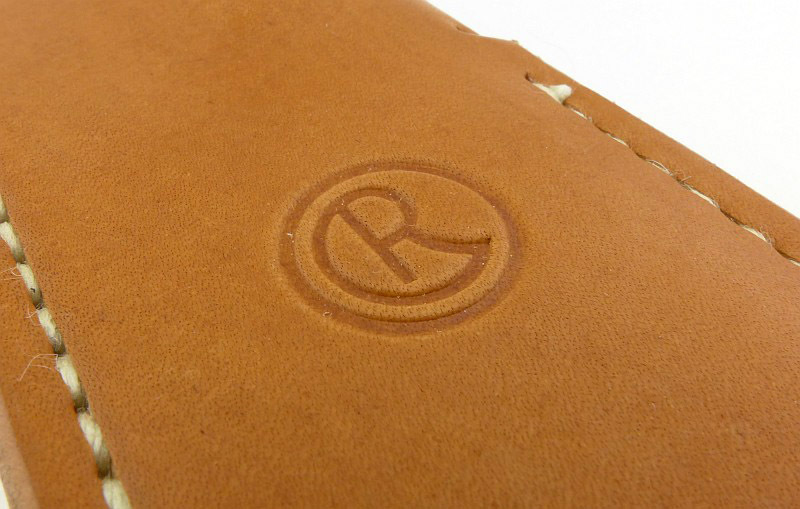 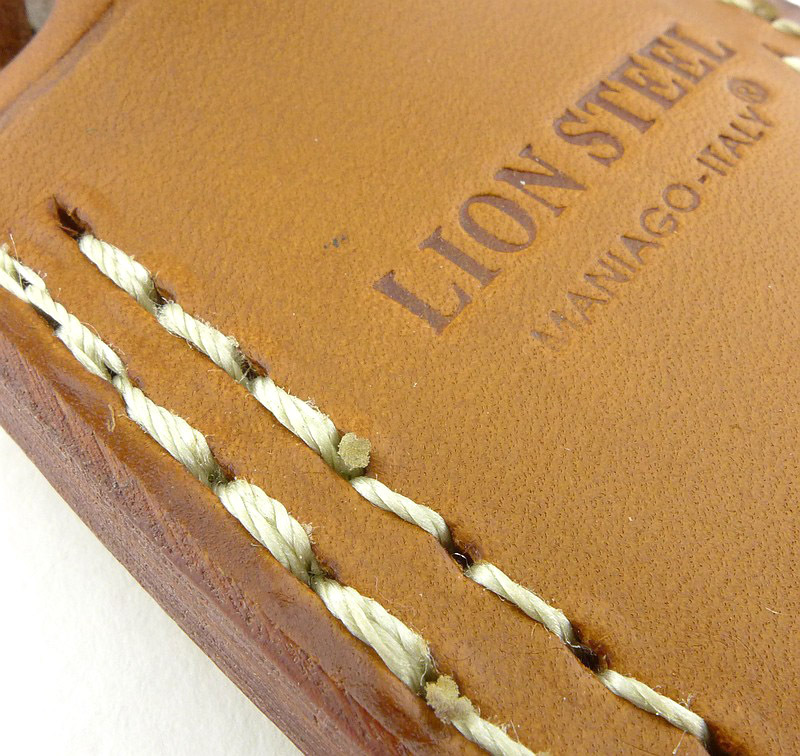 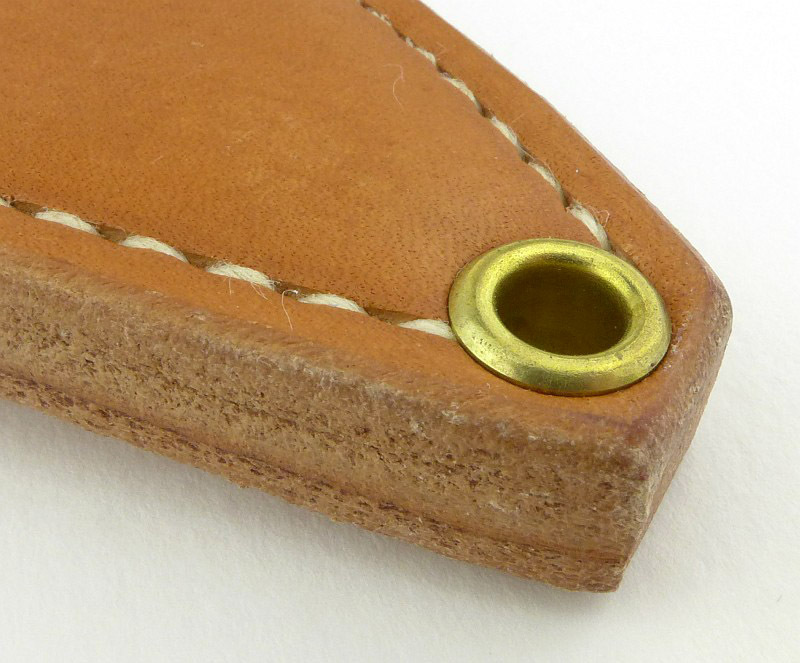 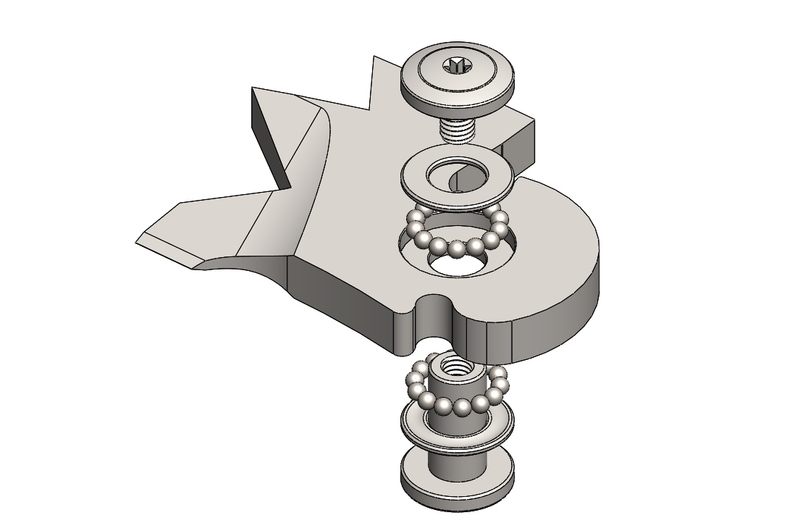 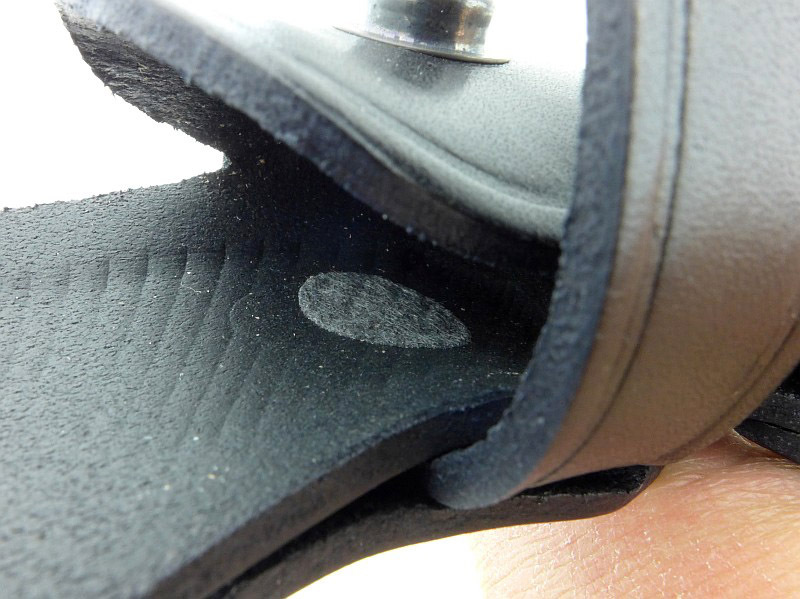 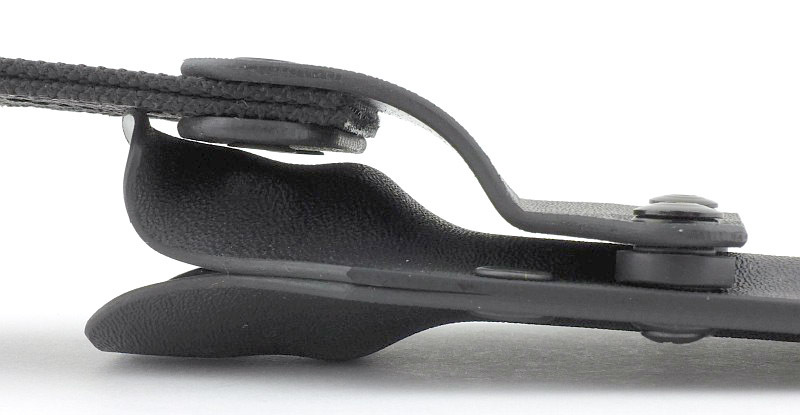 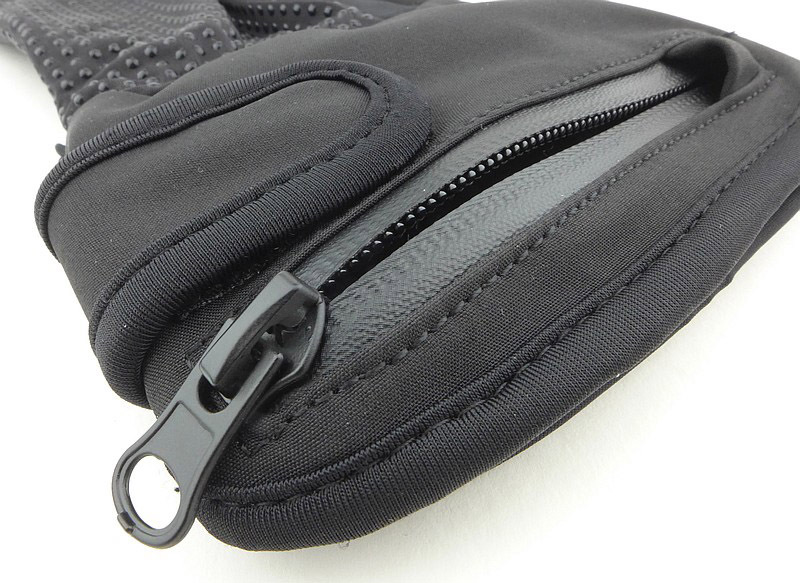 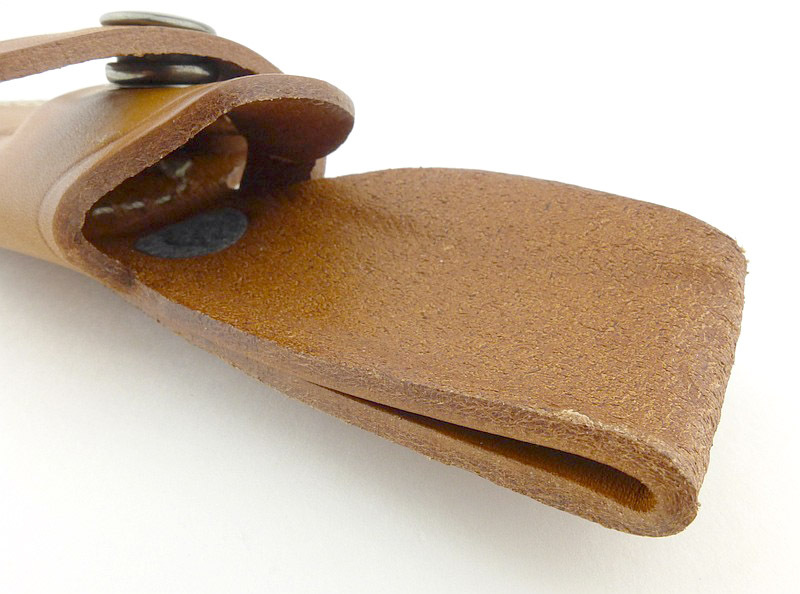 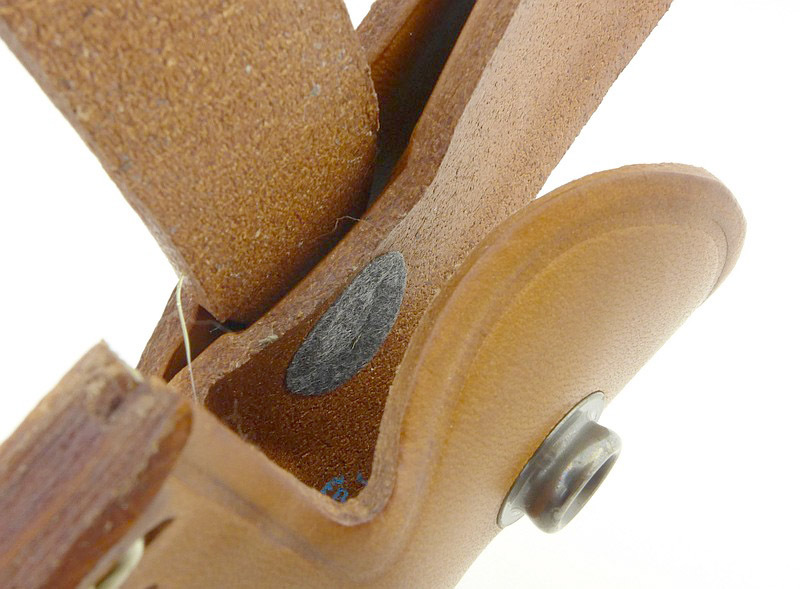 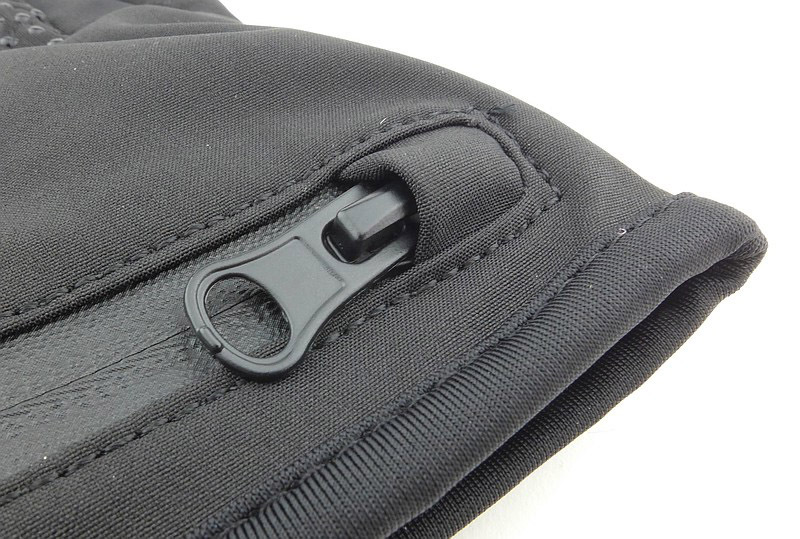 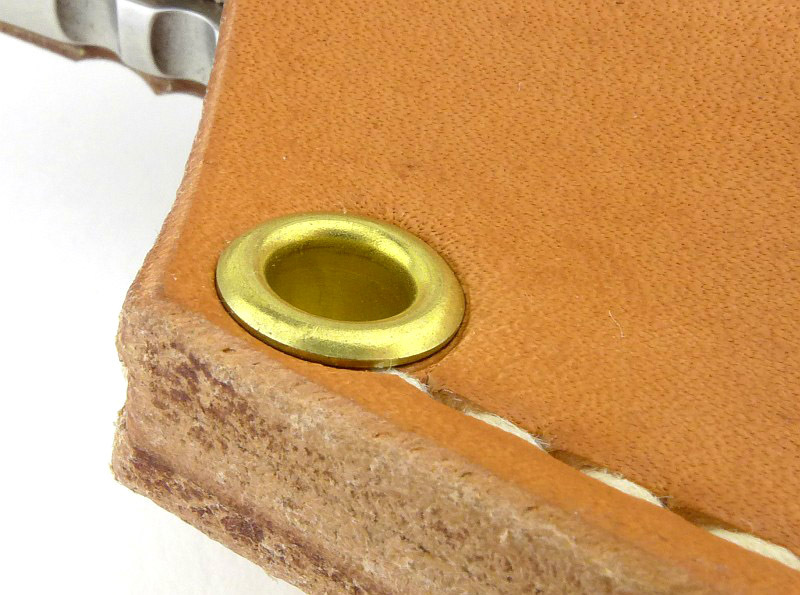 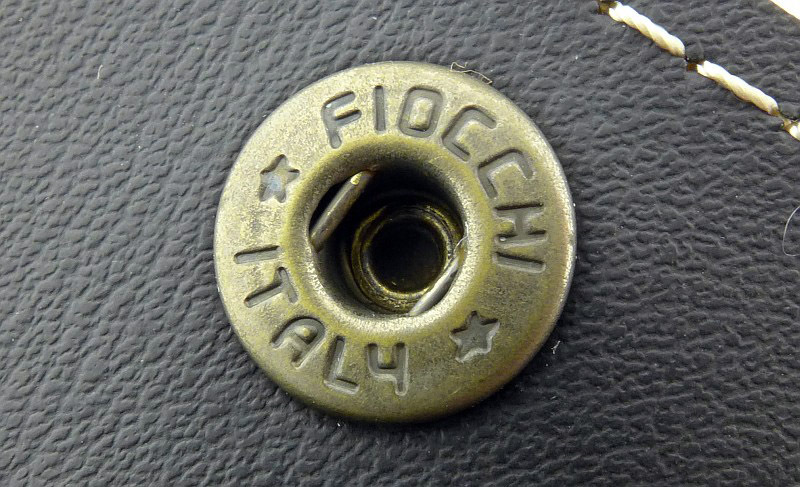 Starting with the standard version, out of the box, the belt loop is not locked into place. 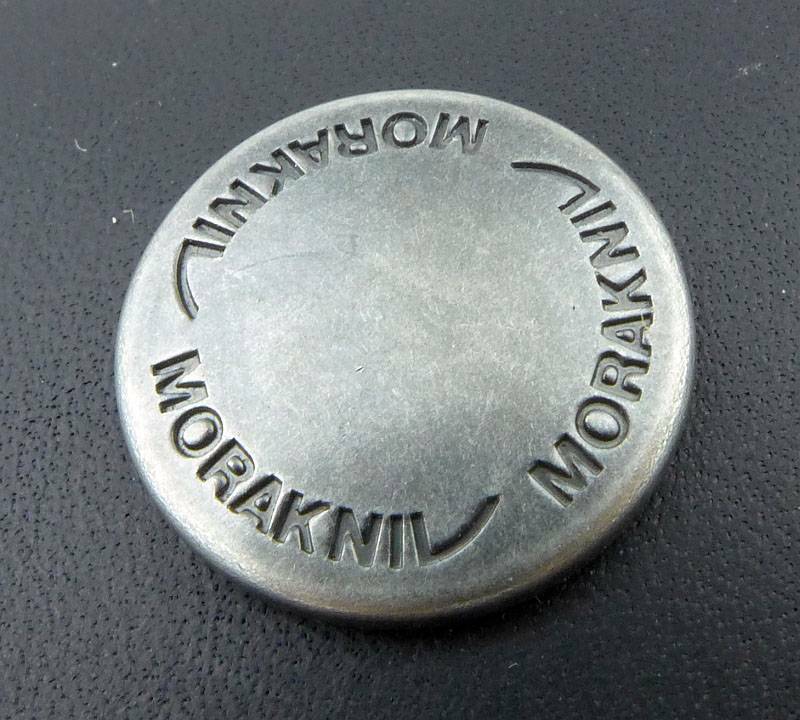 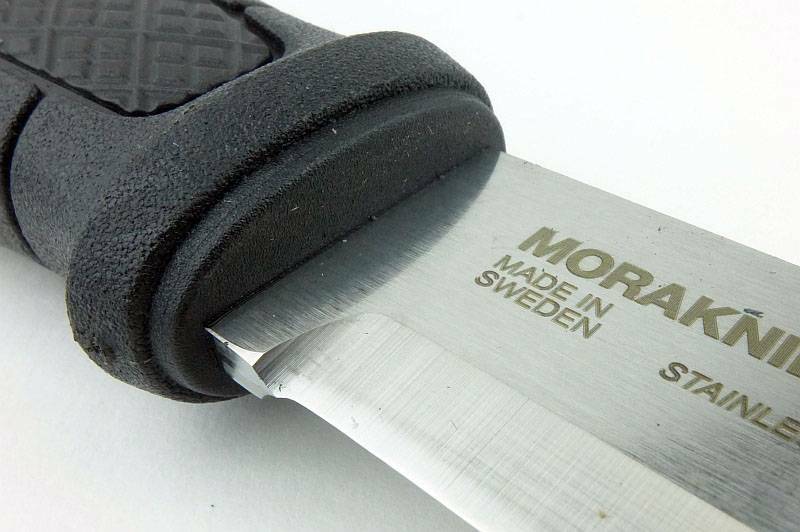 You can see the proudly displayed ‘1891’ (the date when it all started for Morakniv). 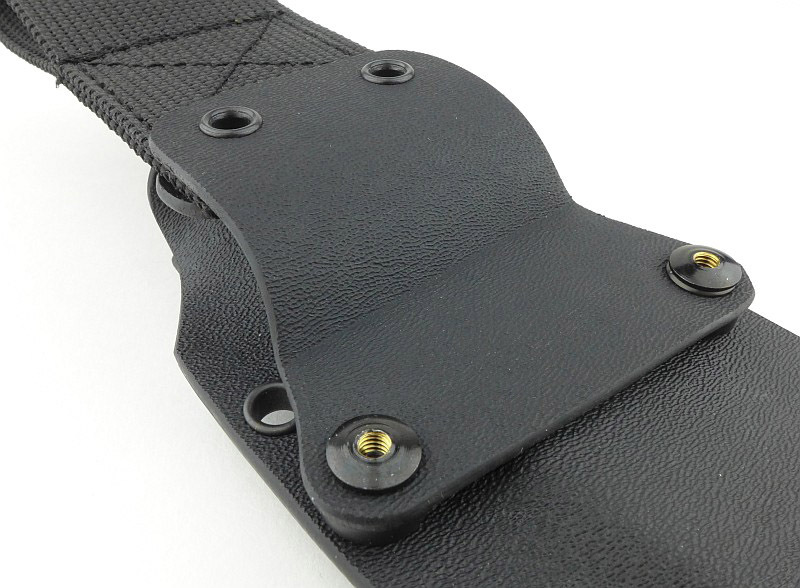 For normal belt mounting, just push the belt loop all the way to the top until it clicks into place. 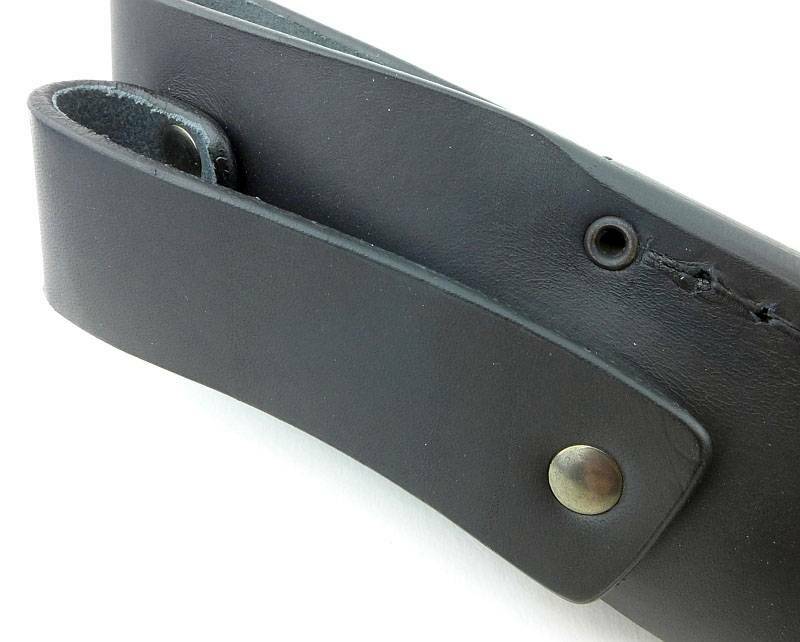 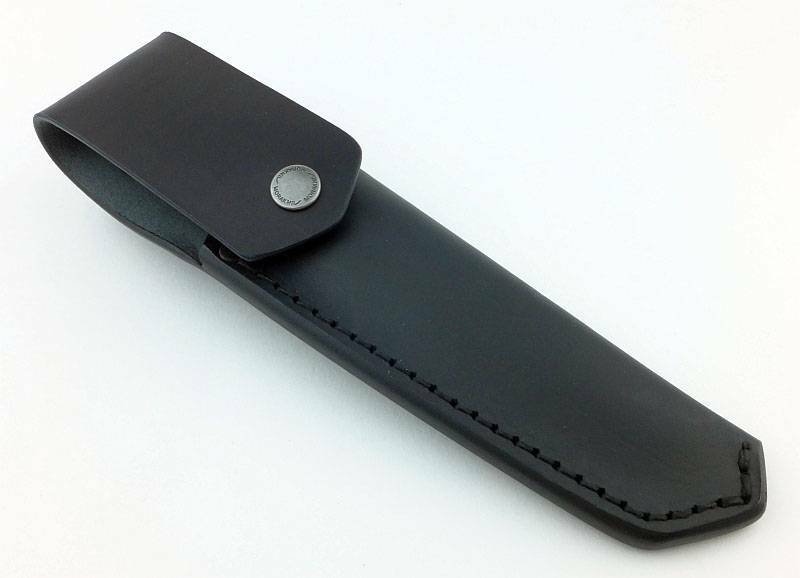 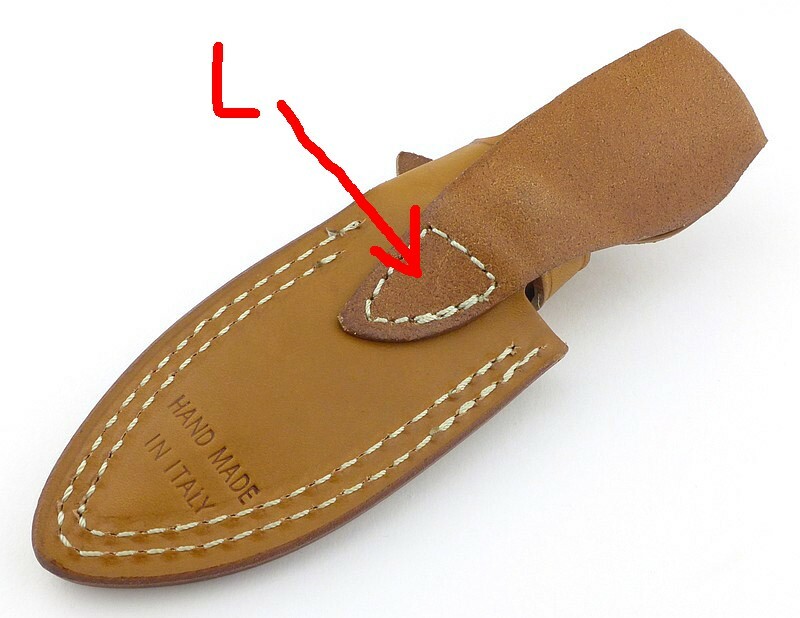 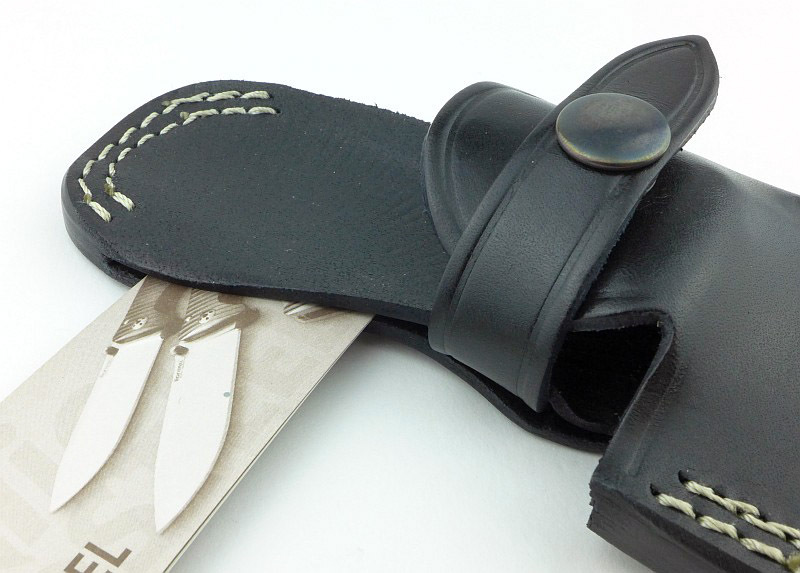 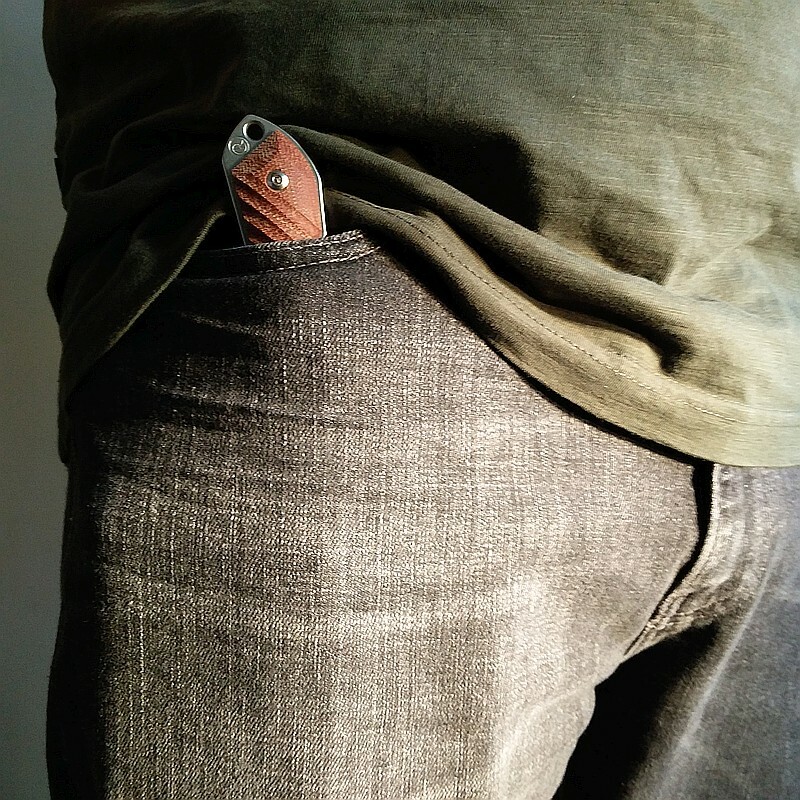 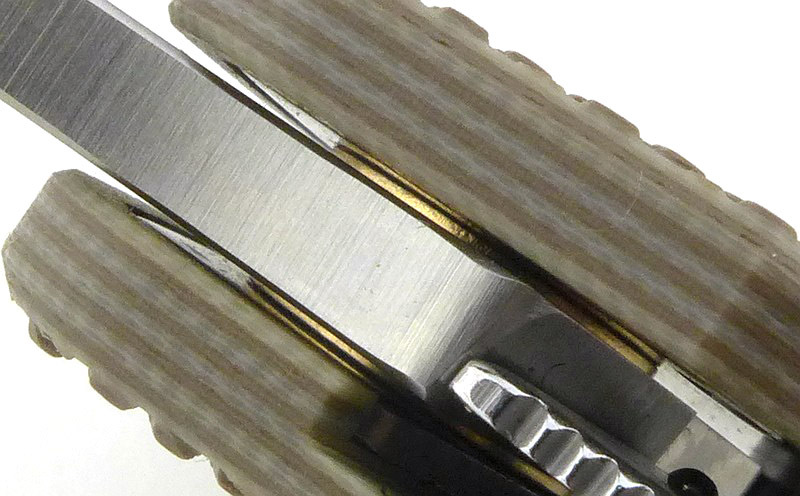 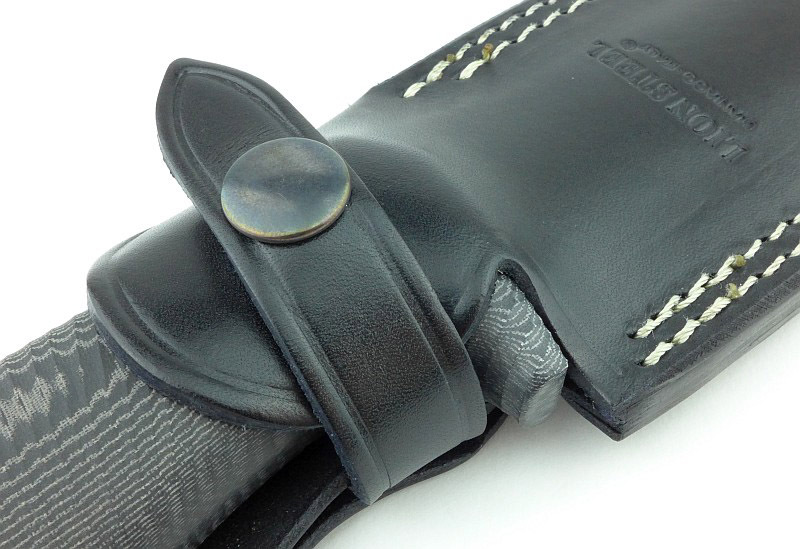 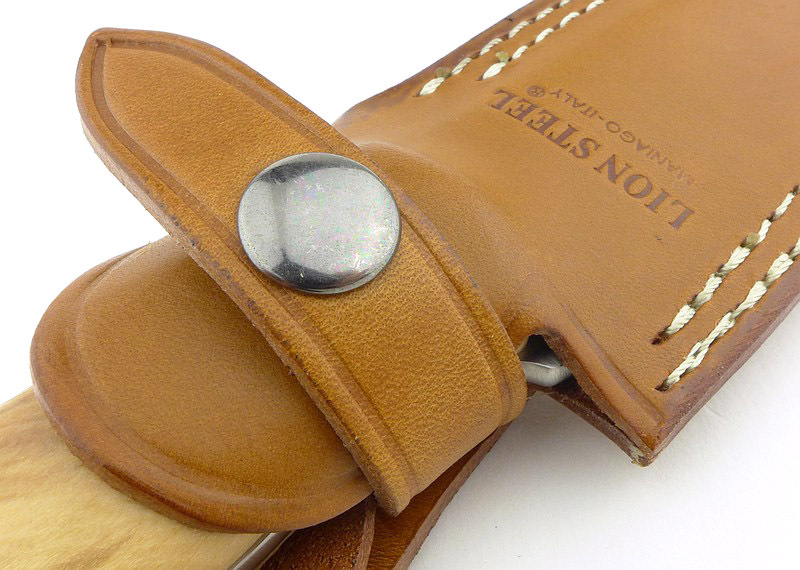 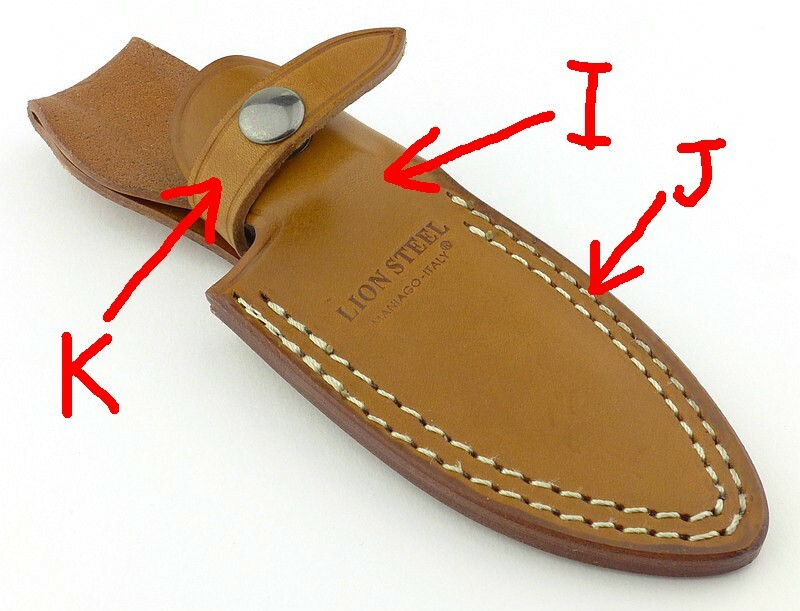 Once fitted to your belt, you can pop the sheath out of the belt-loop ring leaving the belt loop on your belt so you can stow the knife elsewhere. 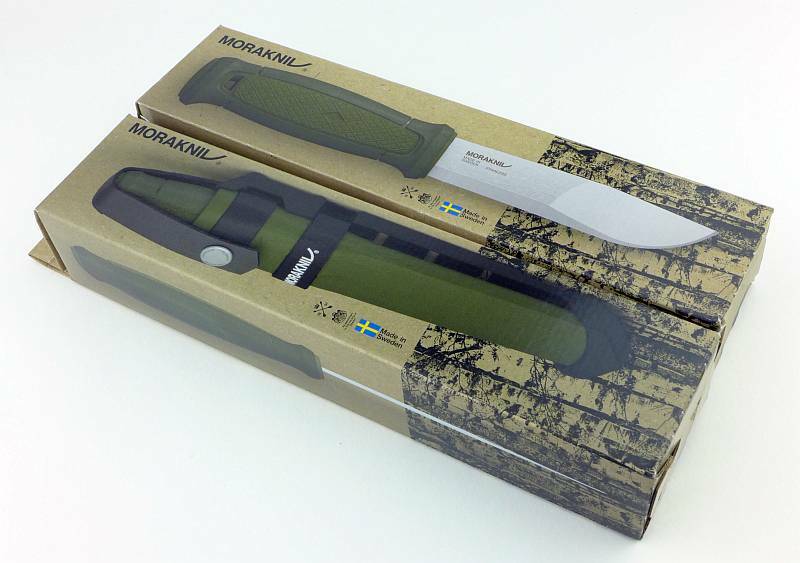 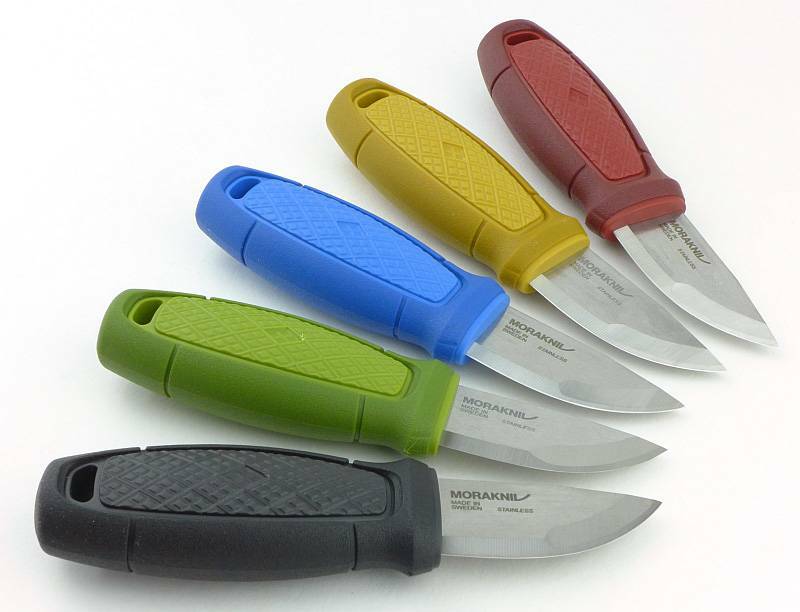 Immediately distinctive, even within the Morakniv range, the dual-grind all-round blade of the Kansbol. 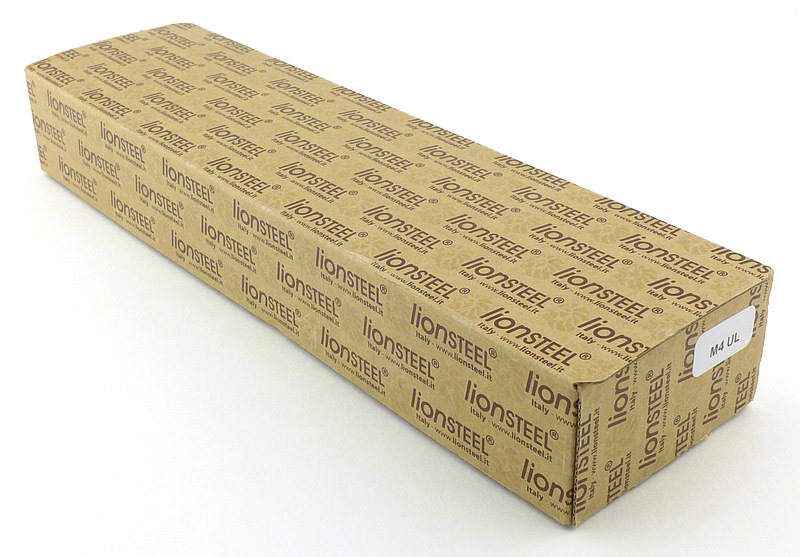 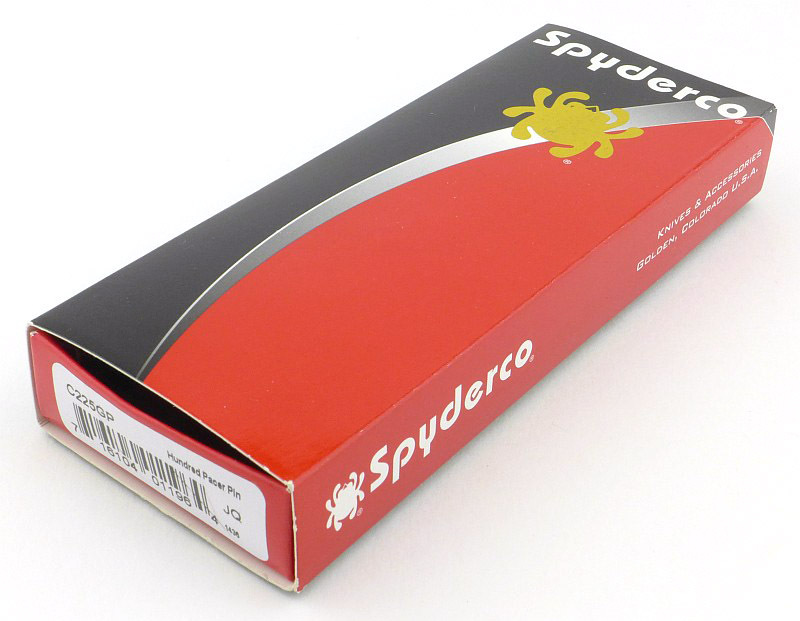 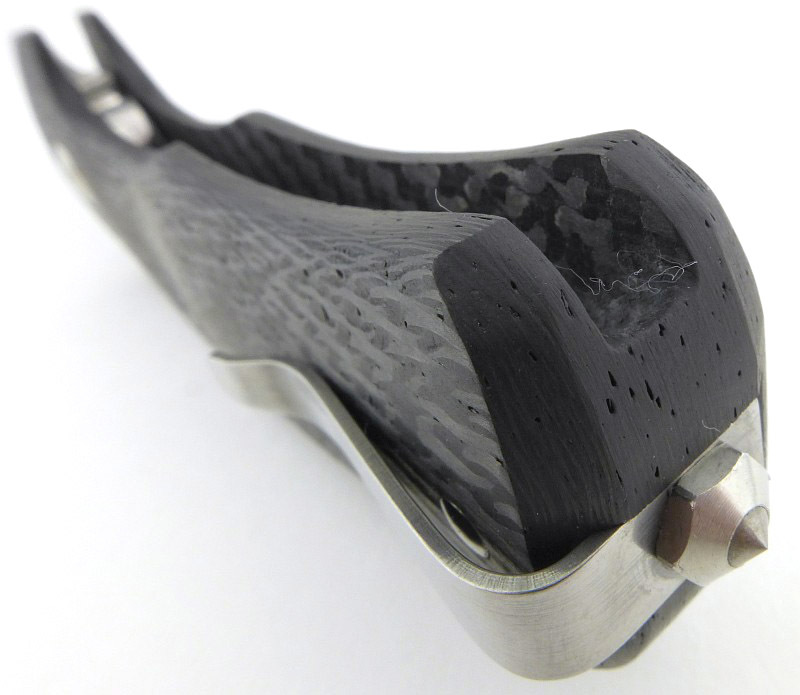 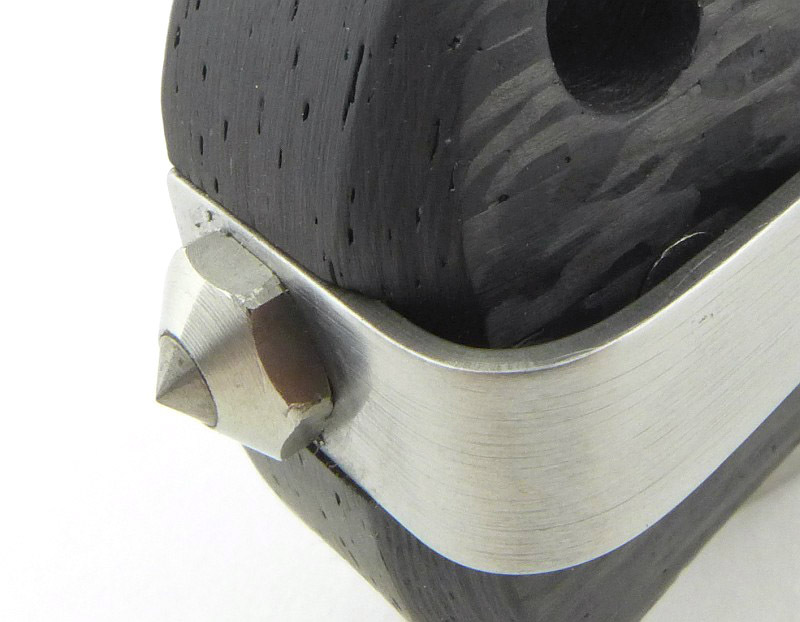 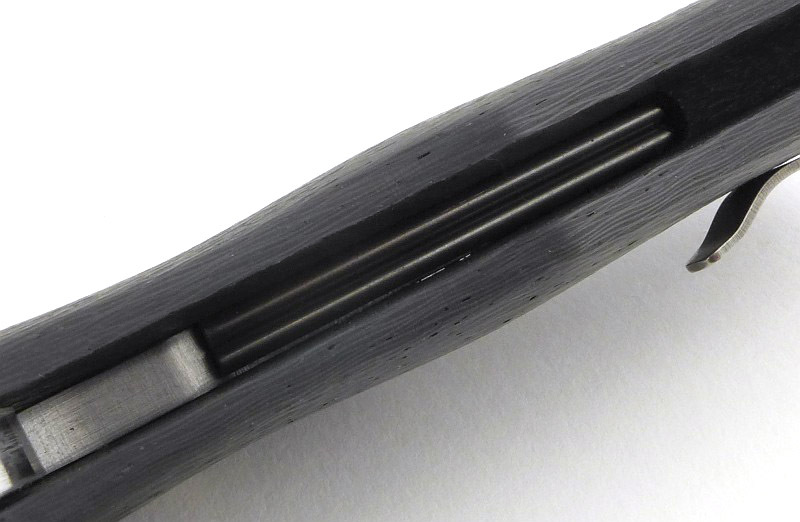 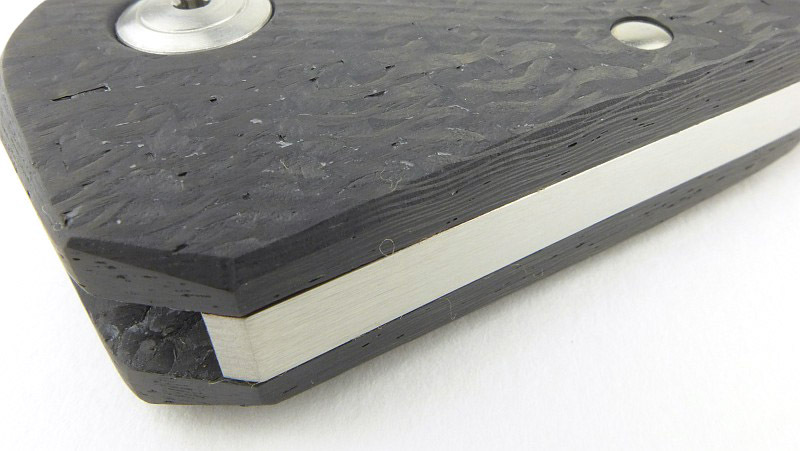 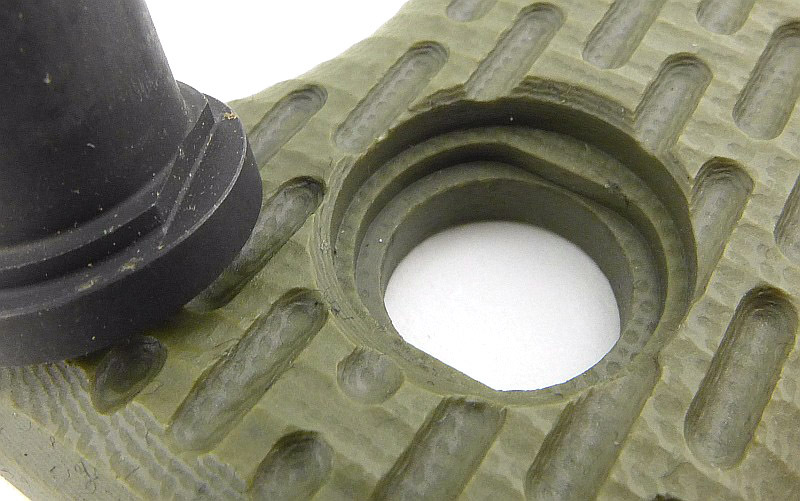 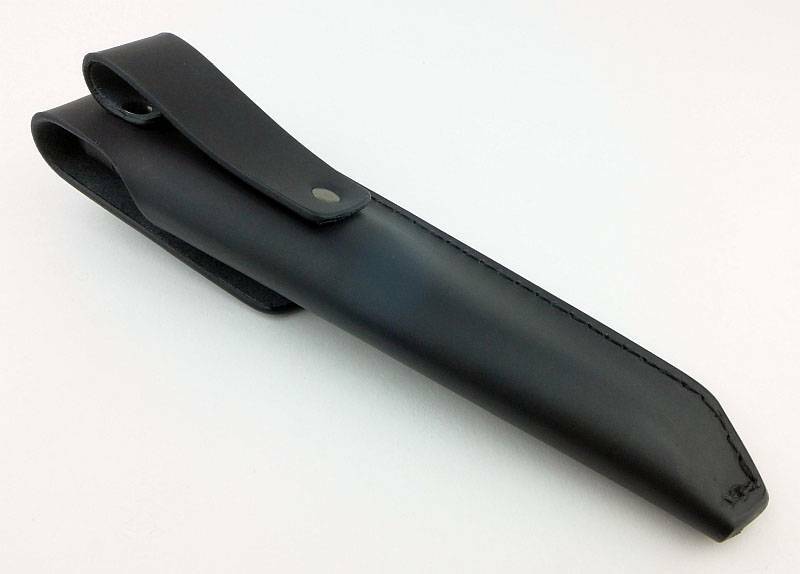 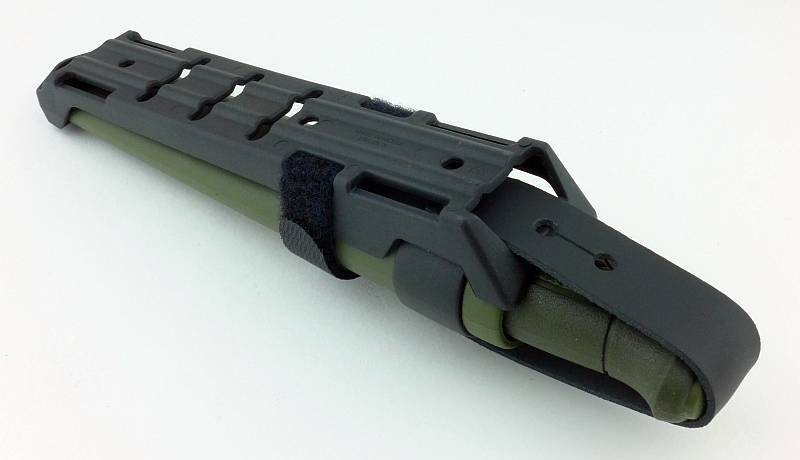 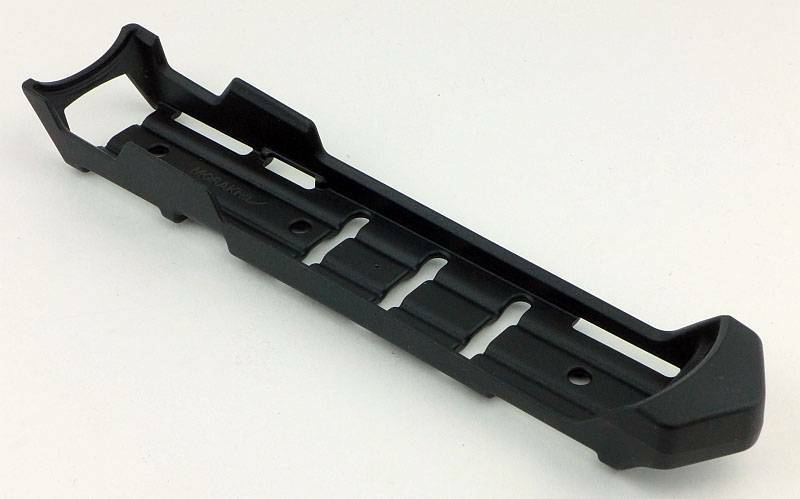 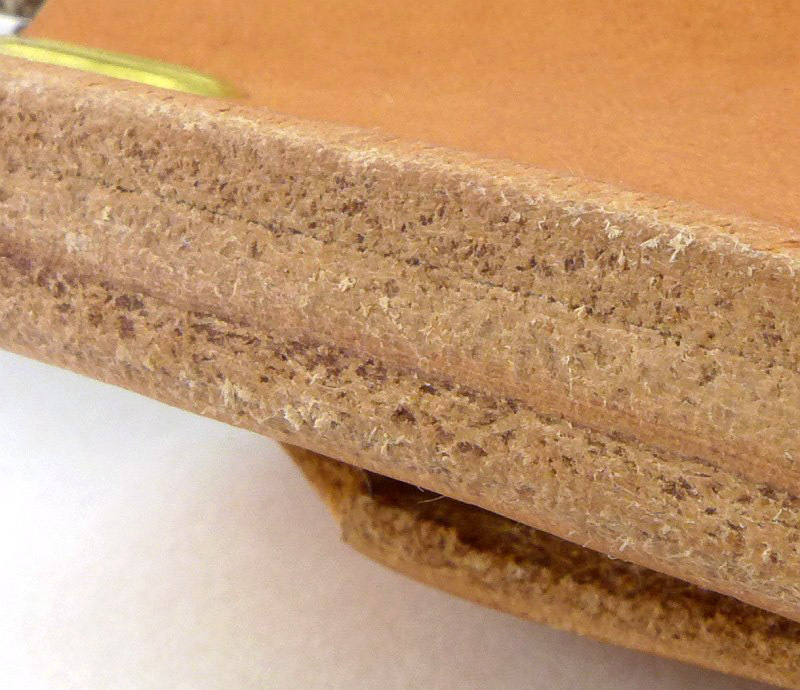 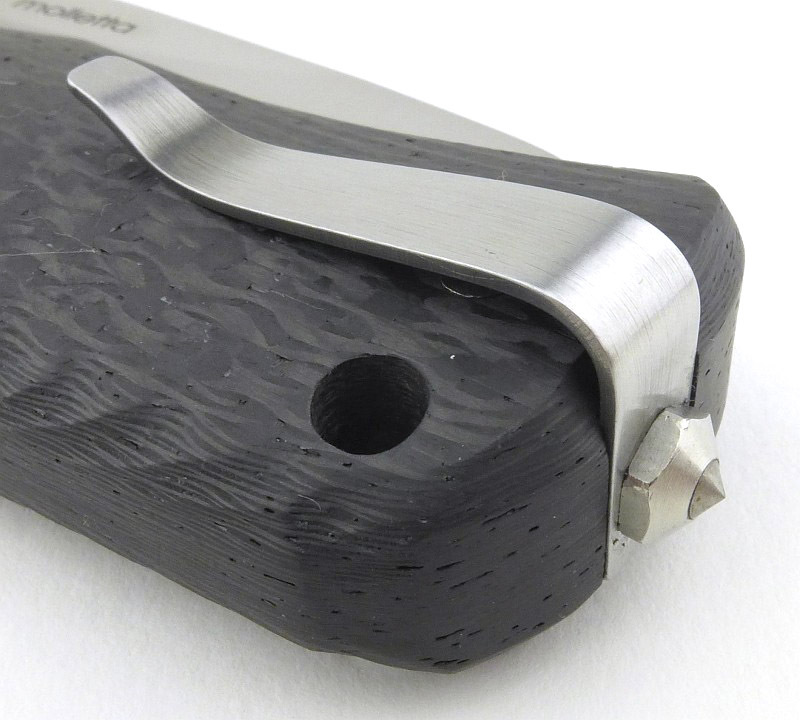 The spine has been ground to have sharp corners for striking sparks from ferrocerium rods. 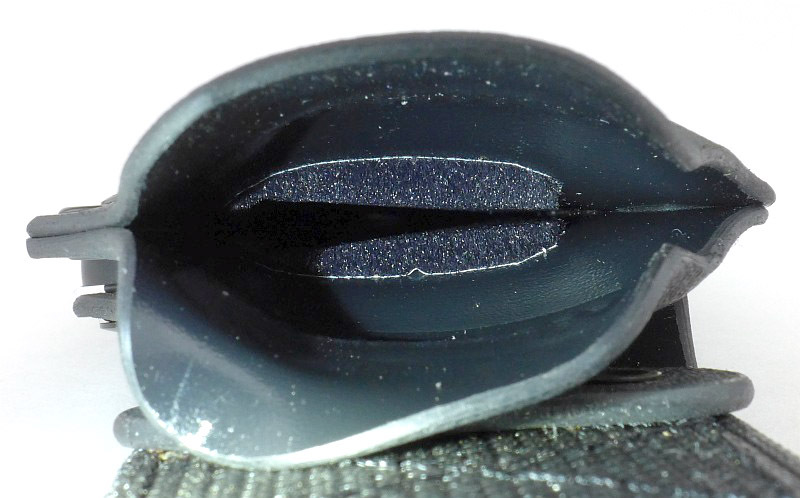 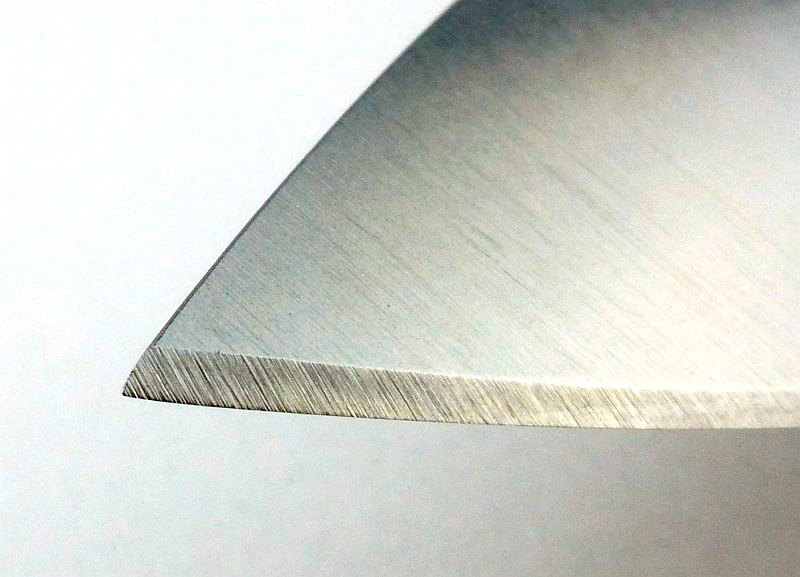 With its Scandi-grind, thanks to the additional profiling that thins the front section of blade, it gives the blade a very different appearance to the standard Scandi-grind blade we are used to. 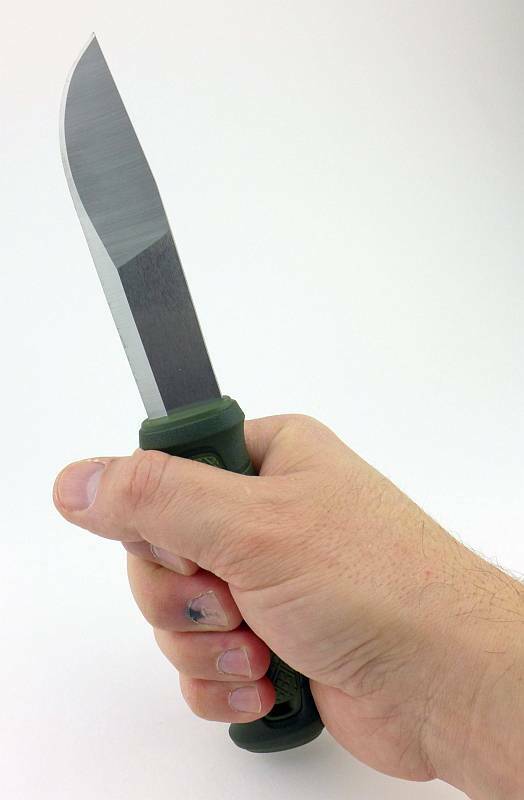 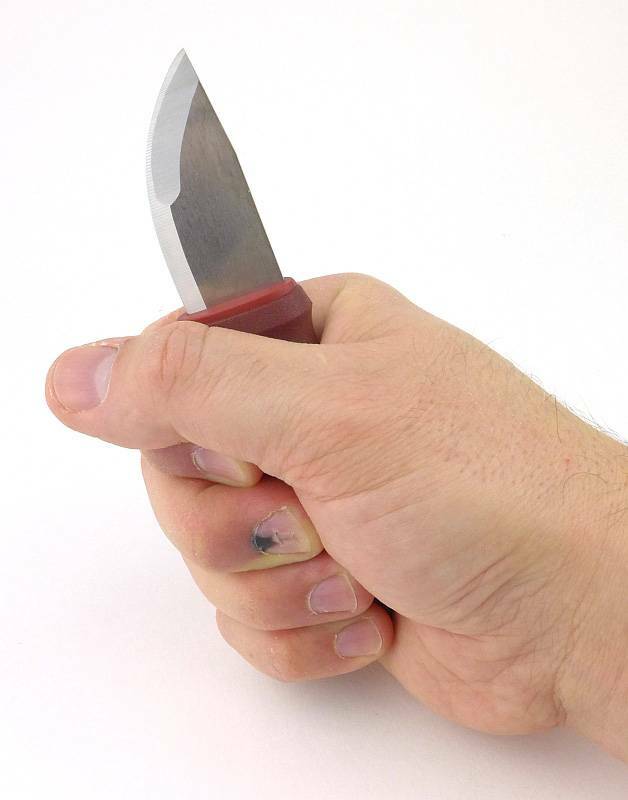 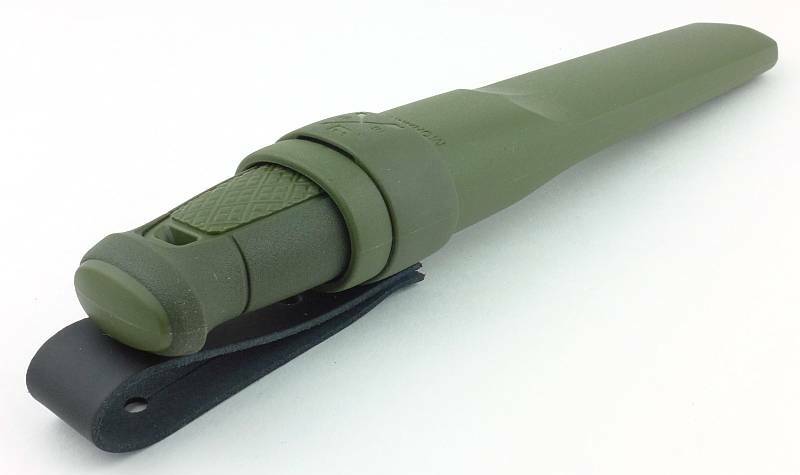 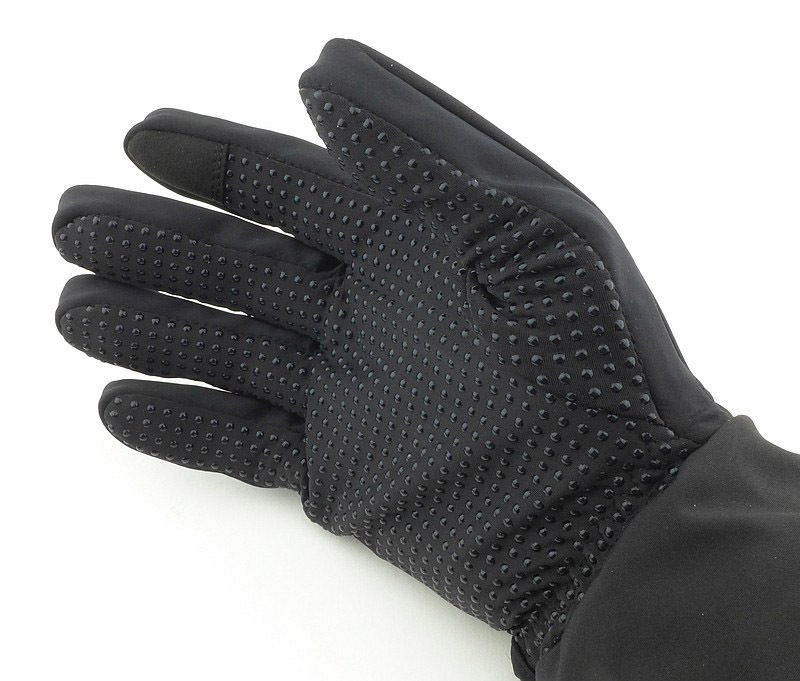 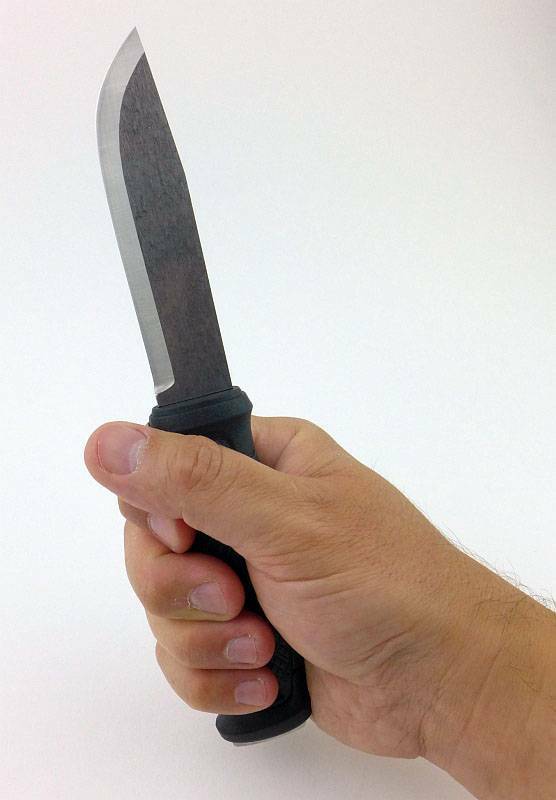 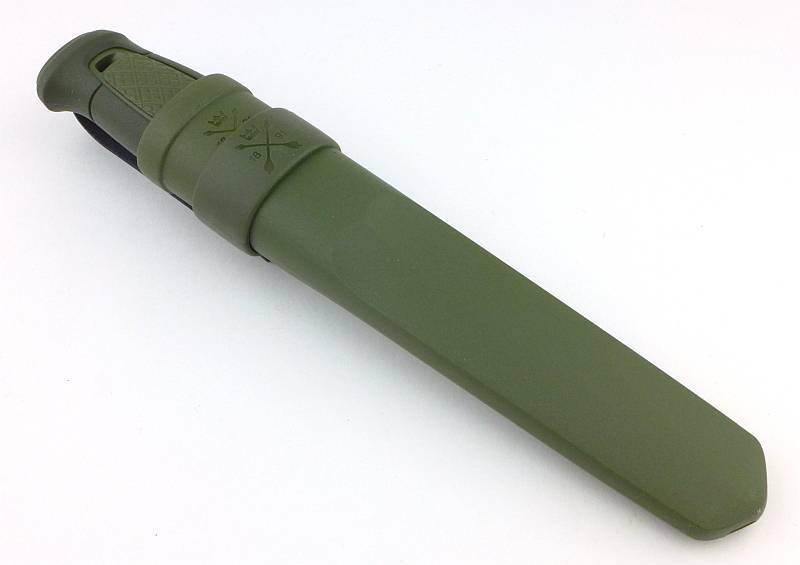 Much like the Garberg, the Kansbol has the symmetrical handle that allows for forward or reverse grips, but the Kansbol also has a TPE (a rubbery polymer) coating over the polypropylene handle core. 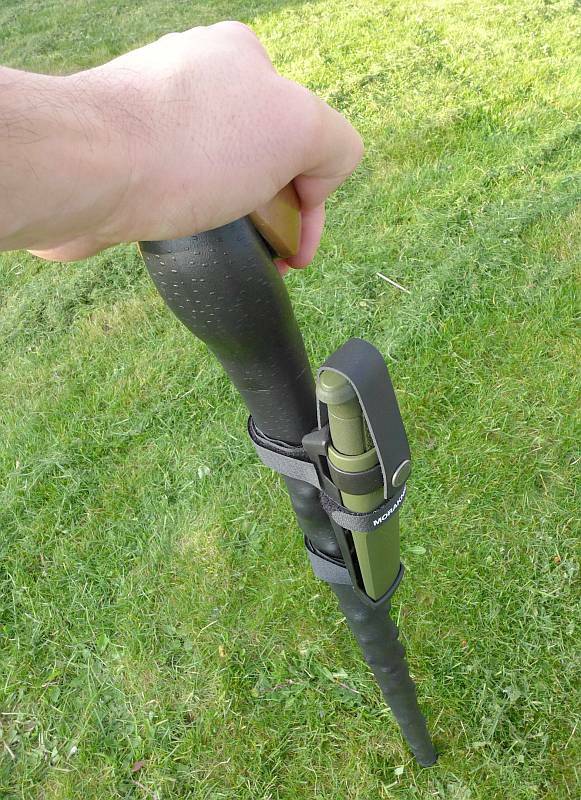 Next up is the Multi-Mount version. 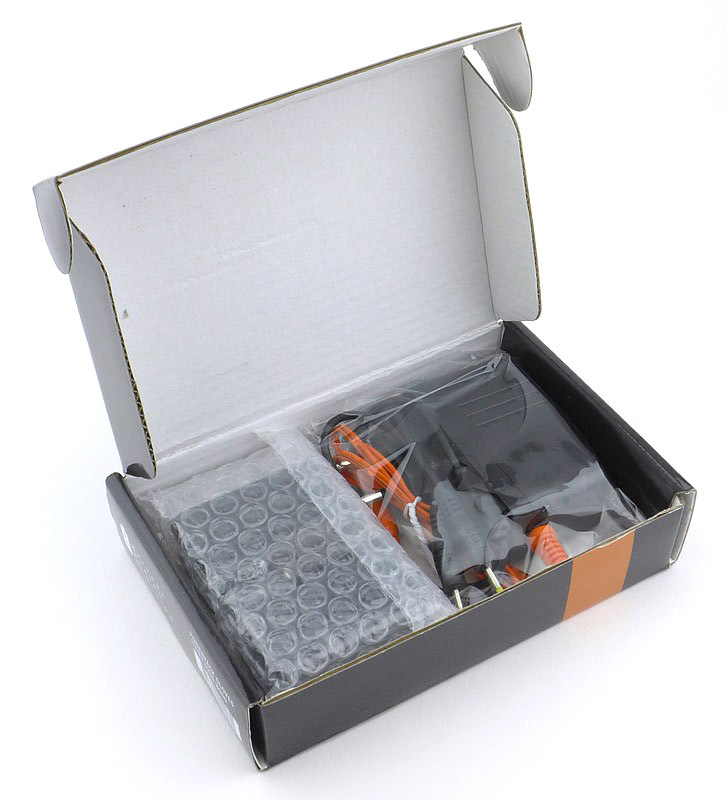 In the box, all the components are slotted together. 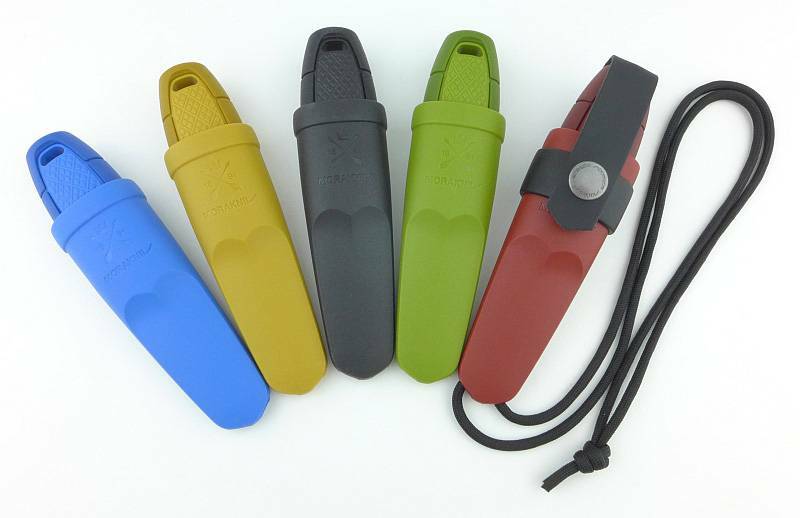 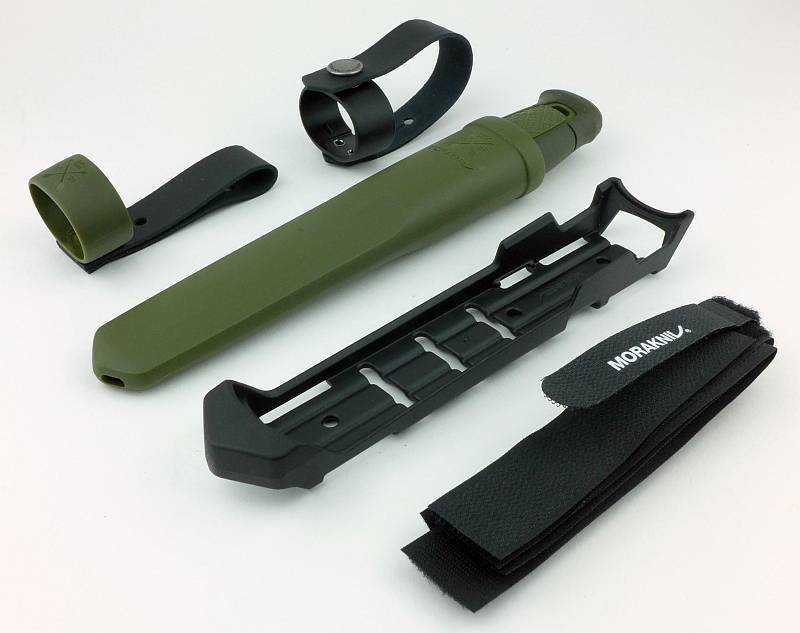 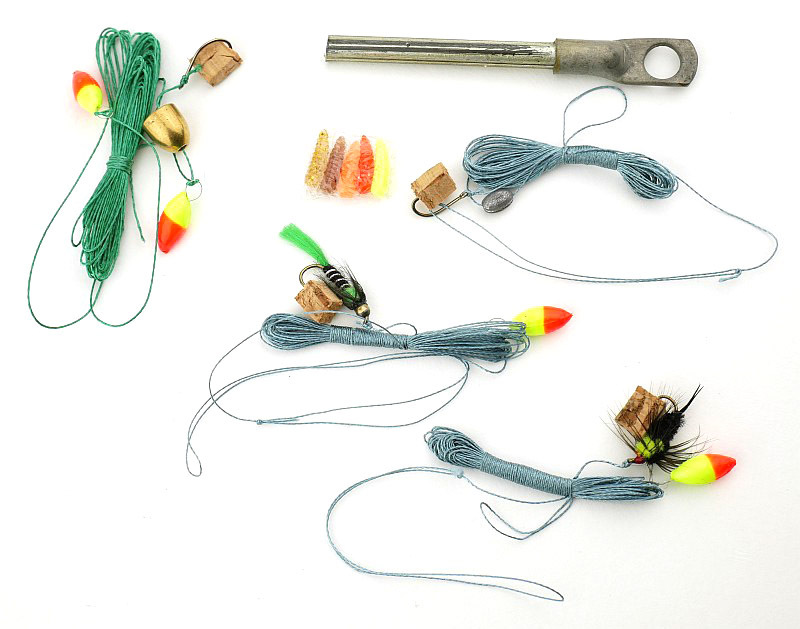 Included are the plastic holster, a belt loop, a locking strap, three hook and loop straps and the multi-mount itself. 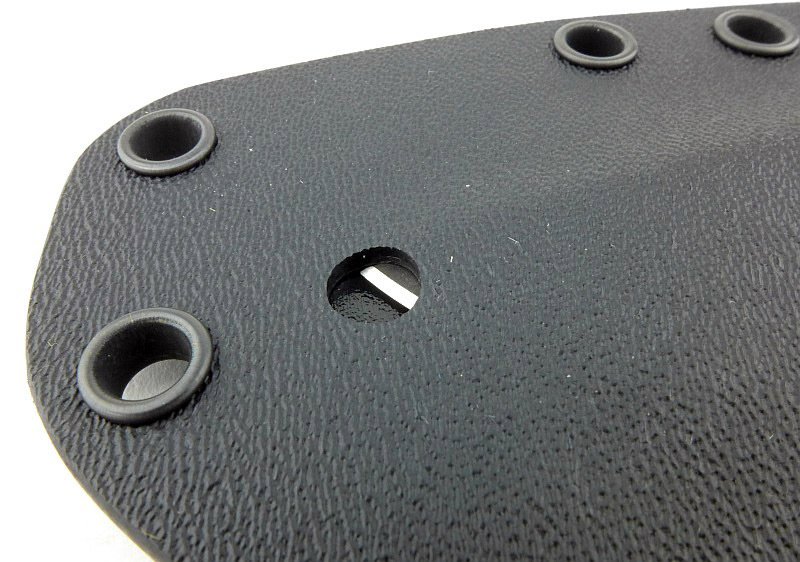 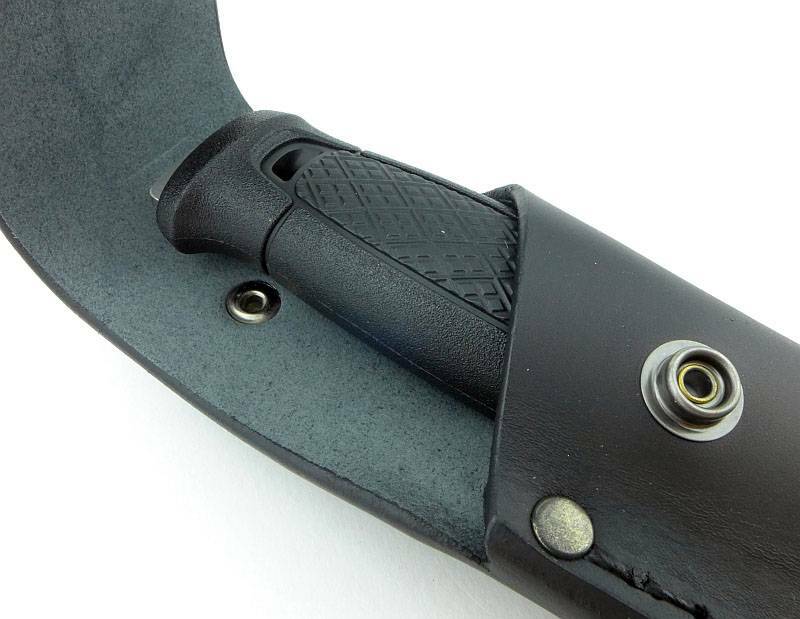 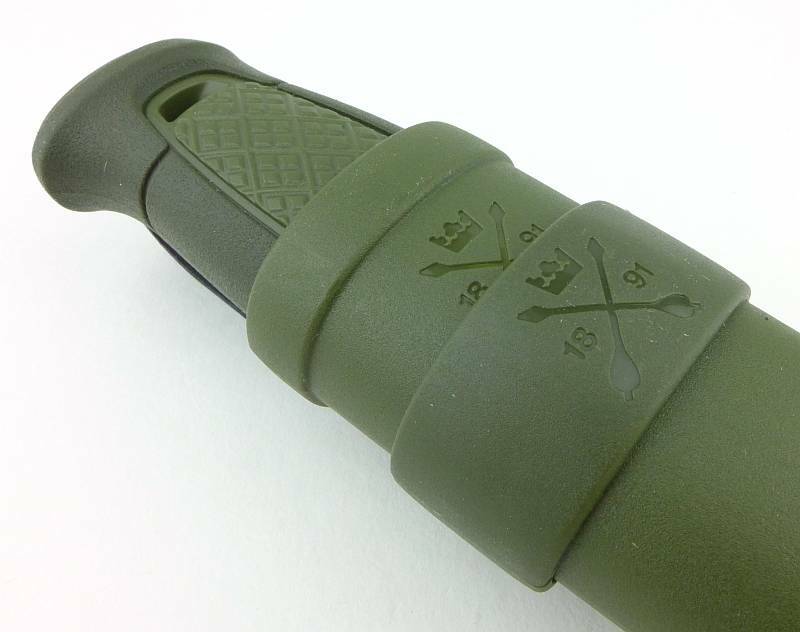 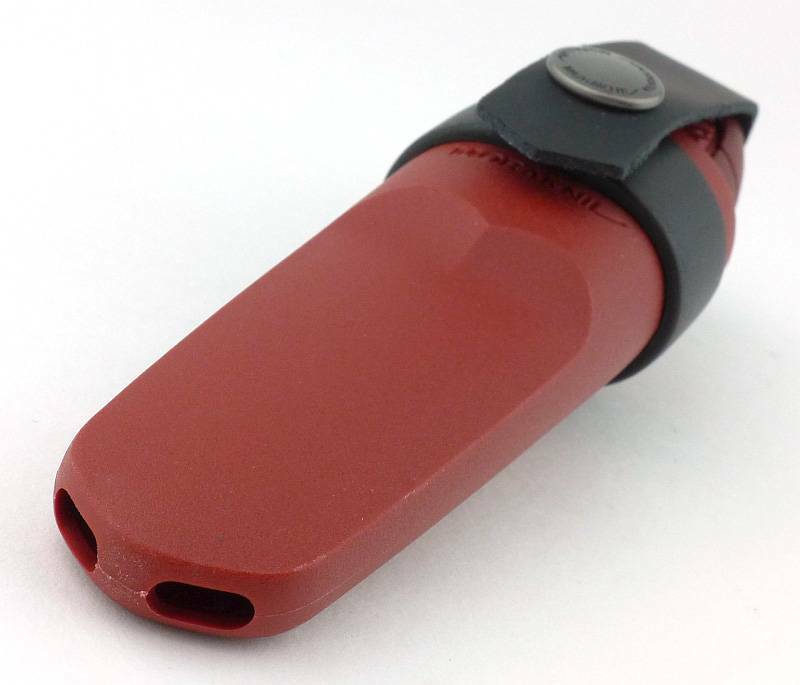 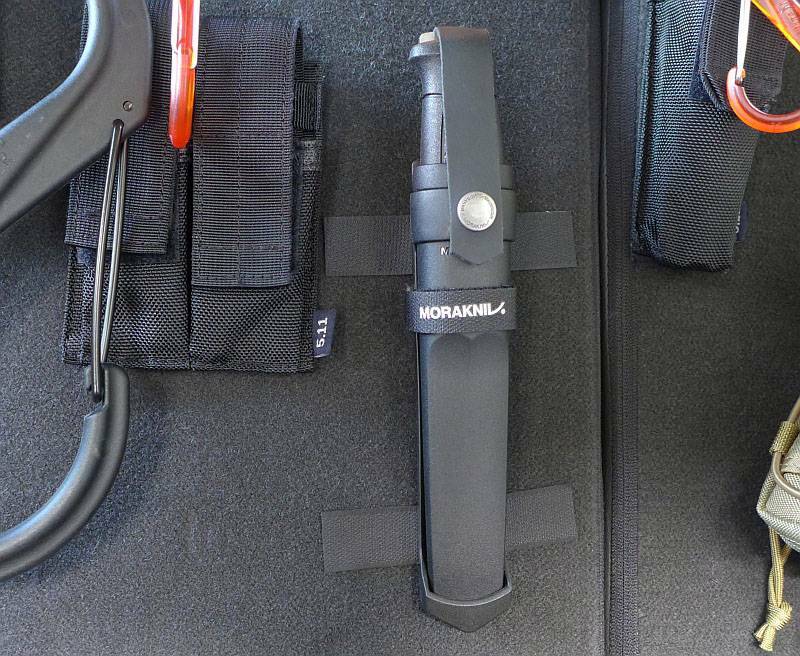 The simplest configuration you can use the Multi-Mount, is to have the bare sheath held in the mount with a hook and loop strap. 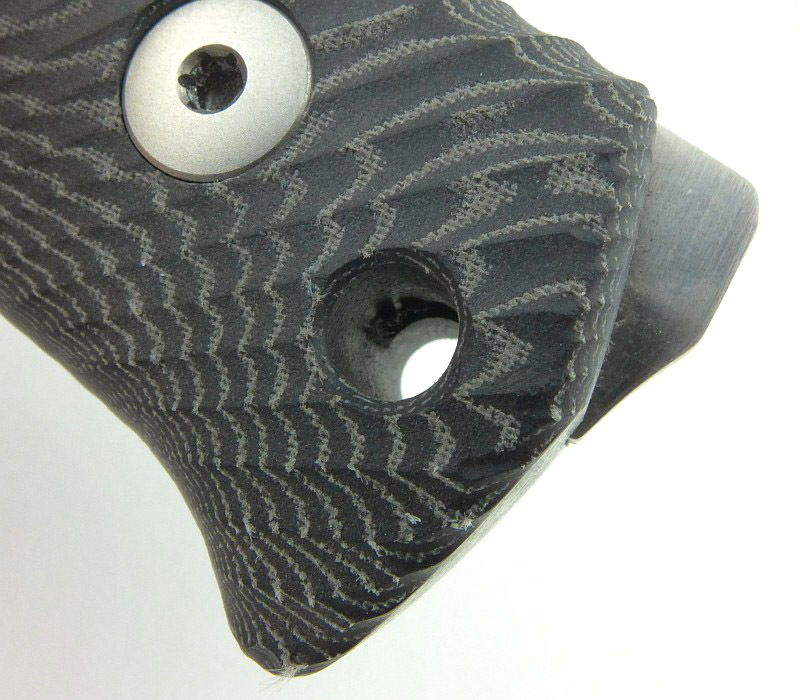 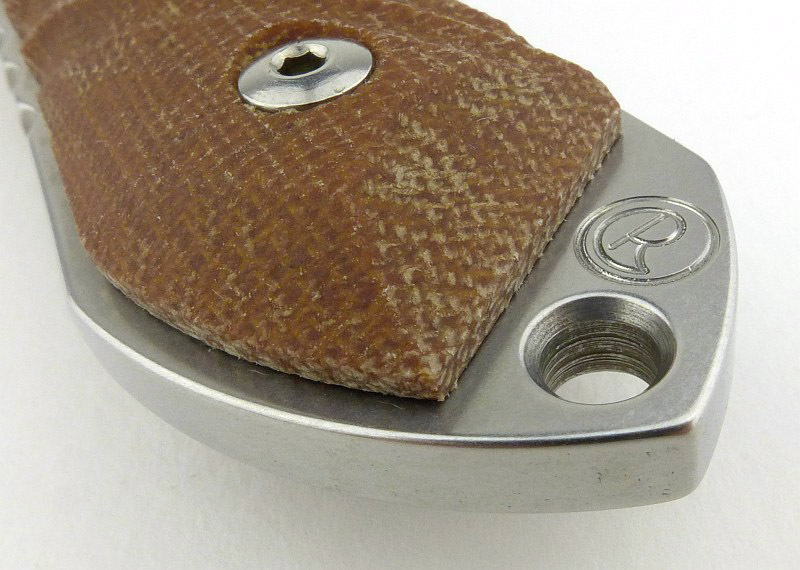 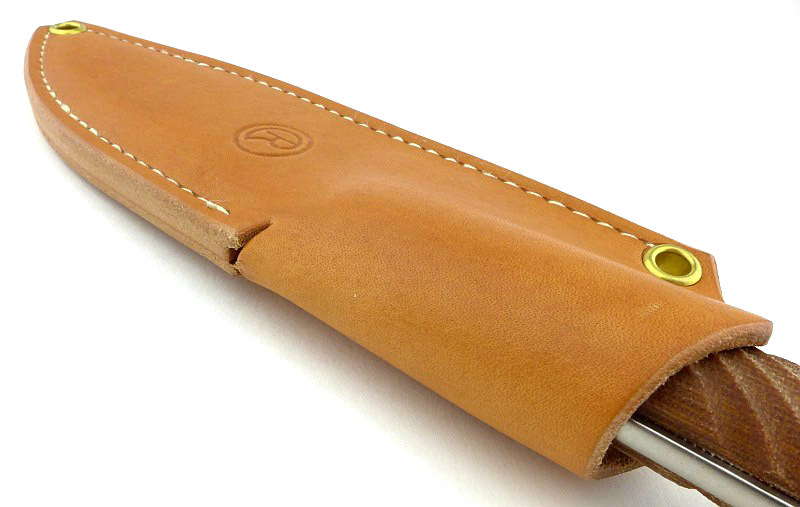 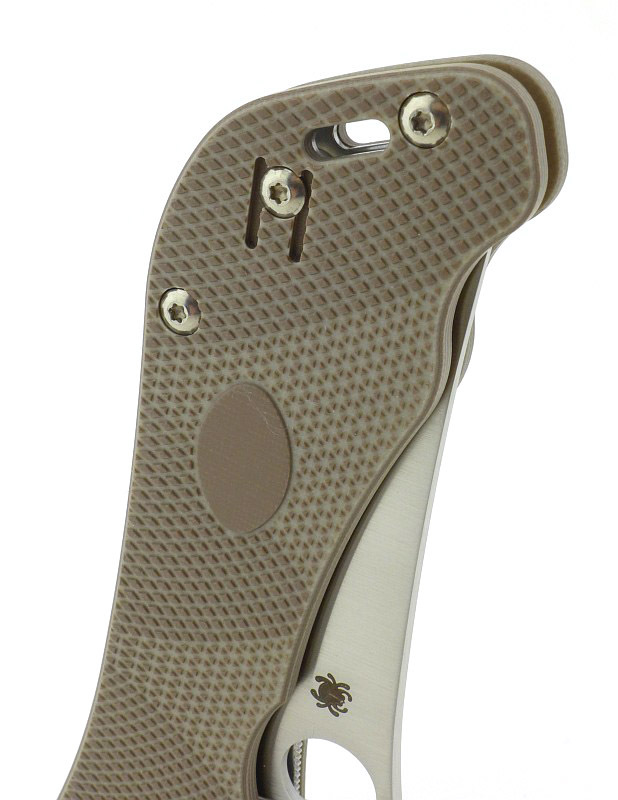 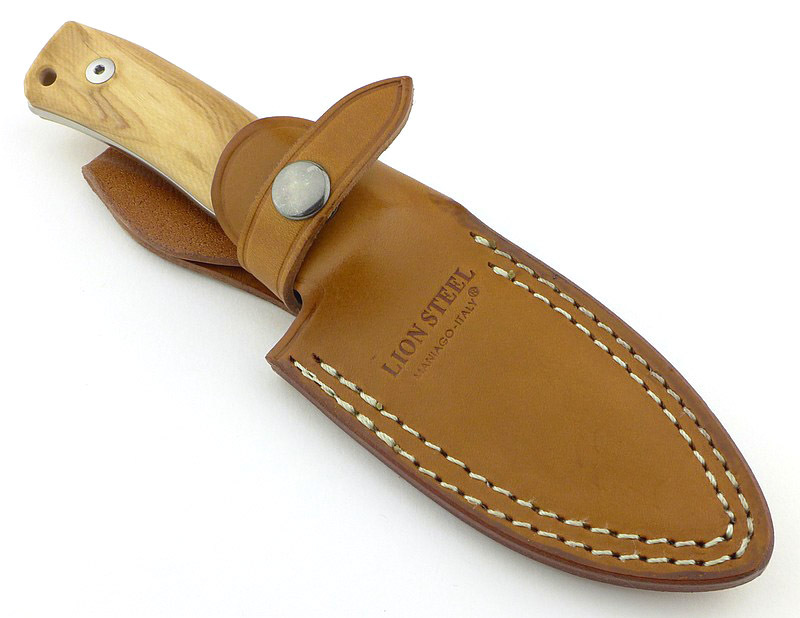 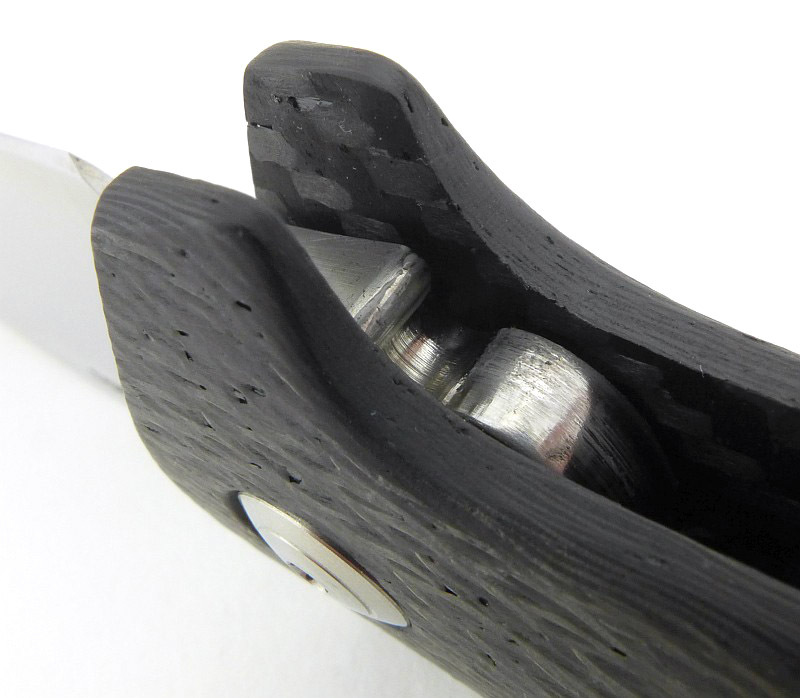 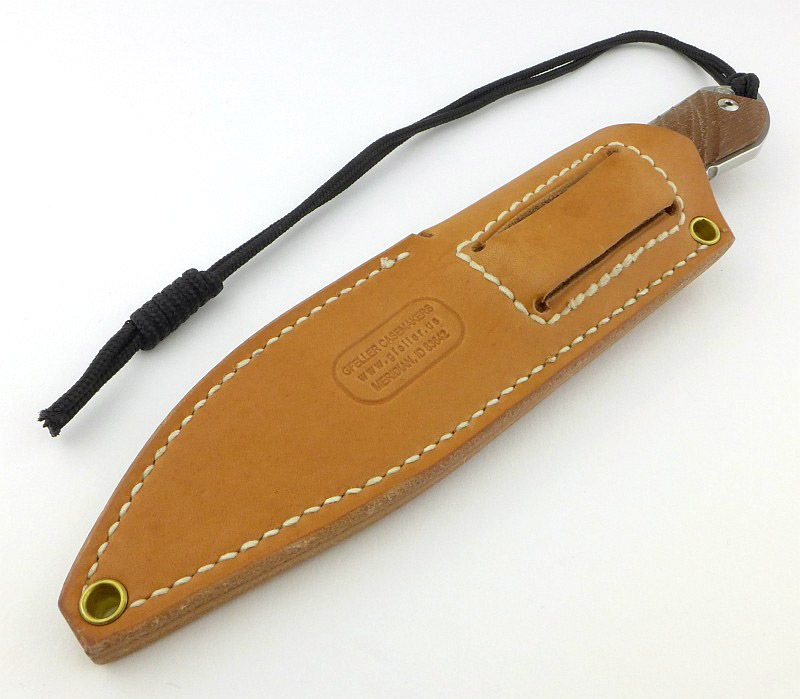 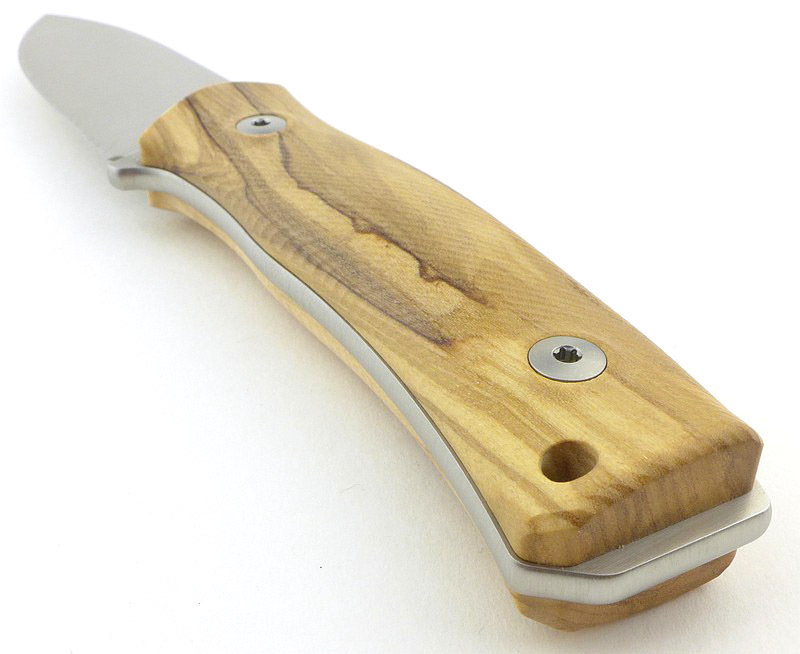 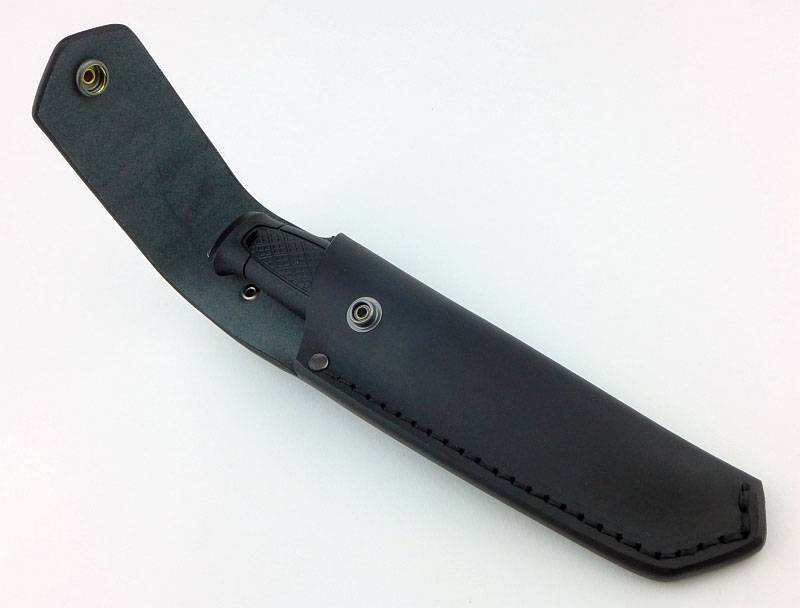 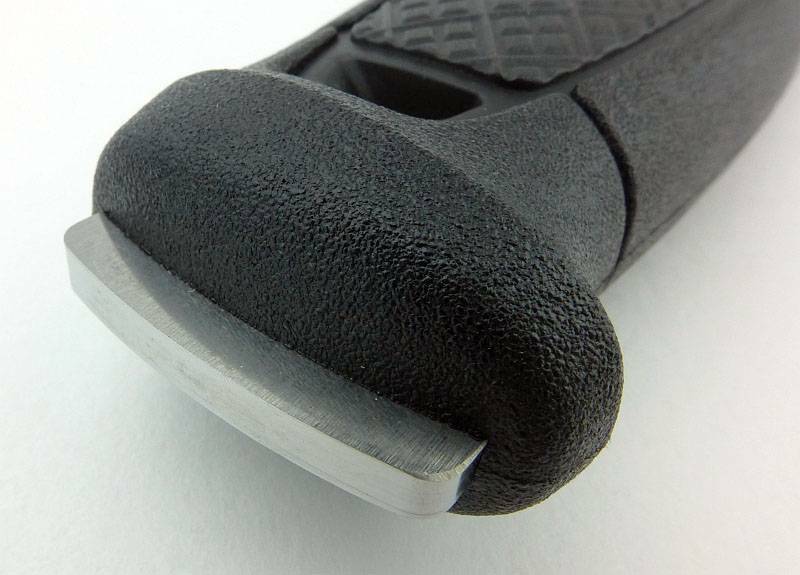 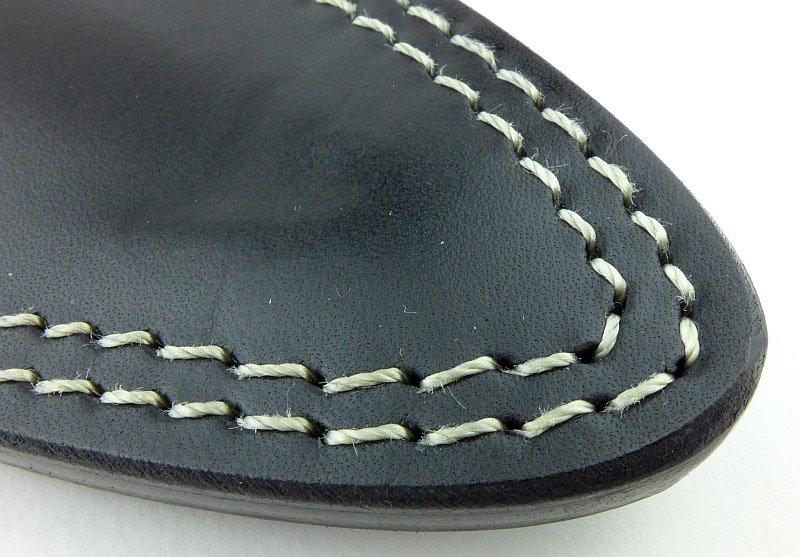 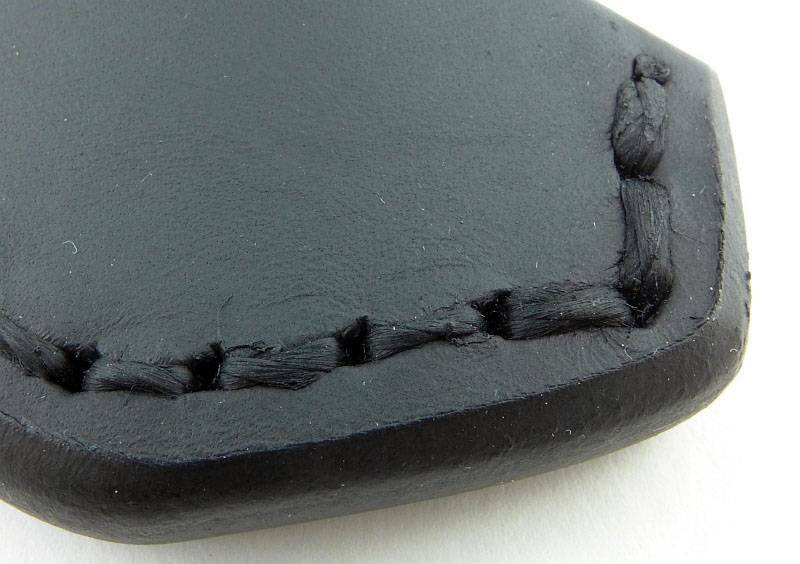 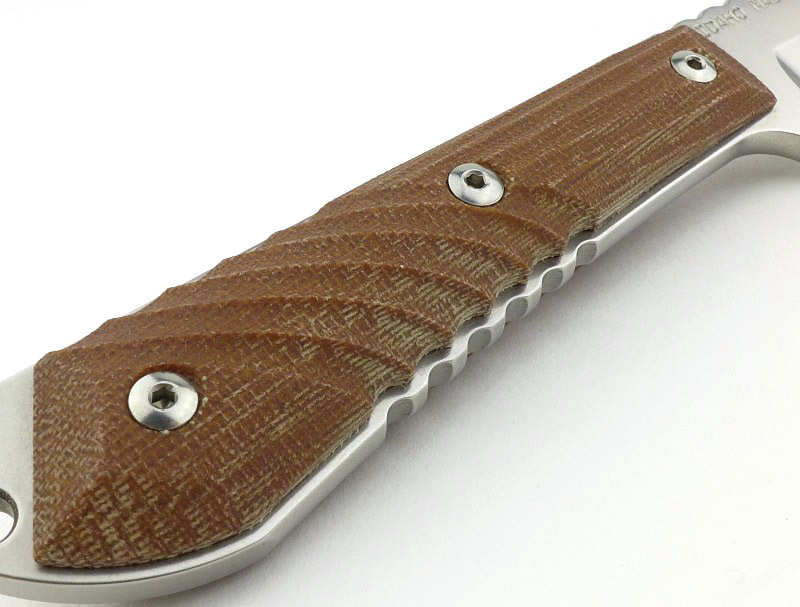 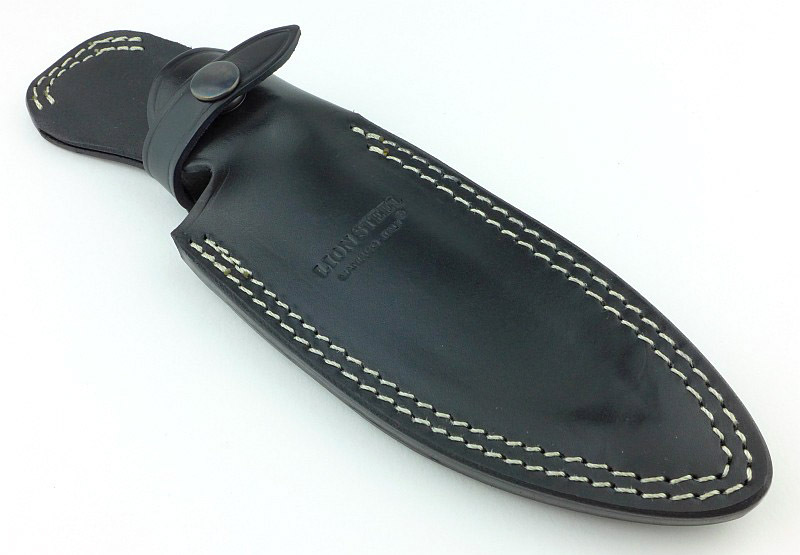 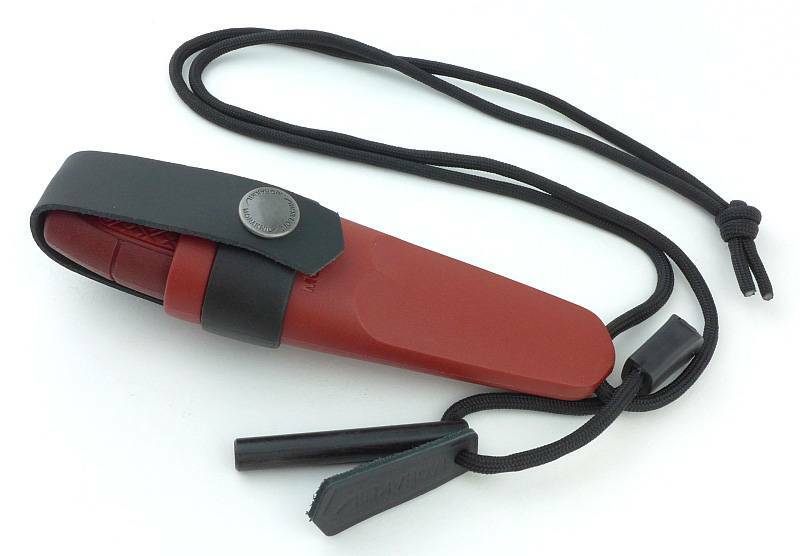 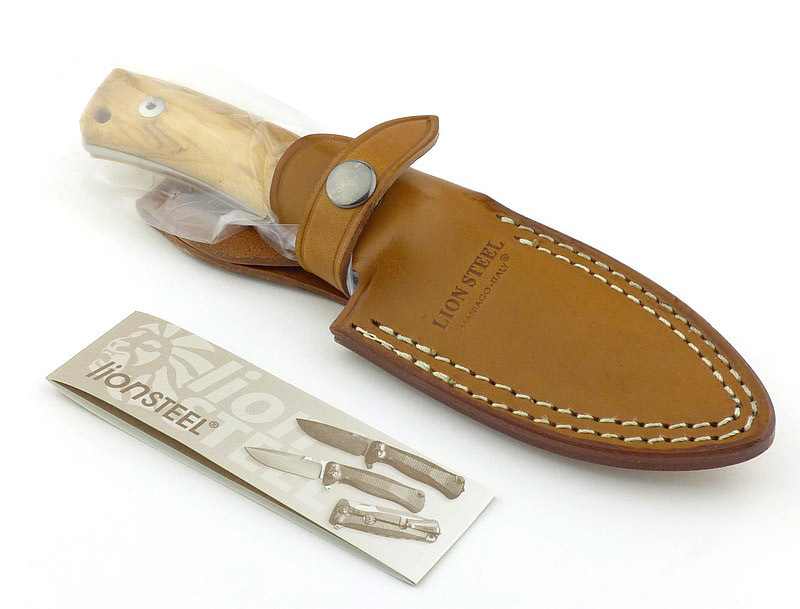 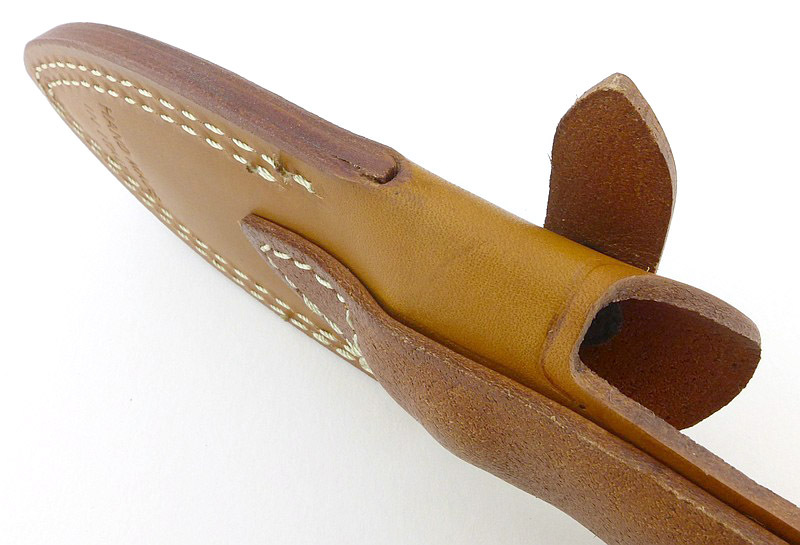 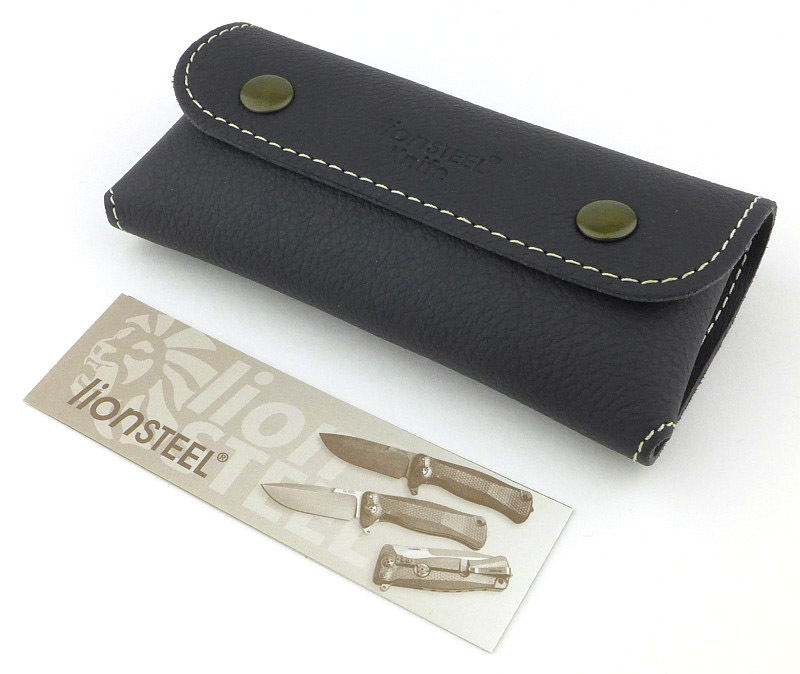 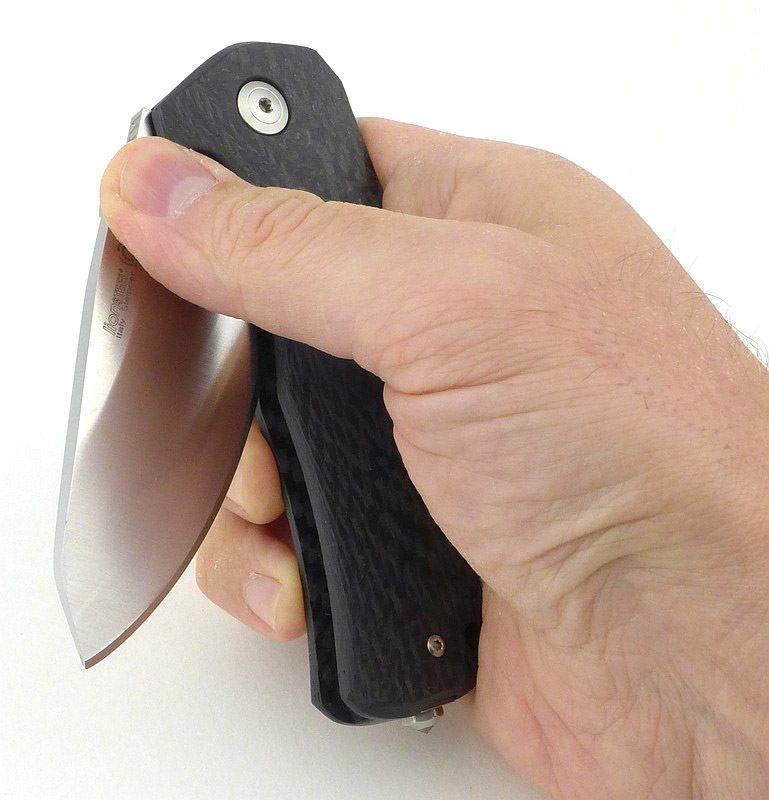 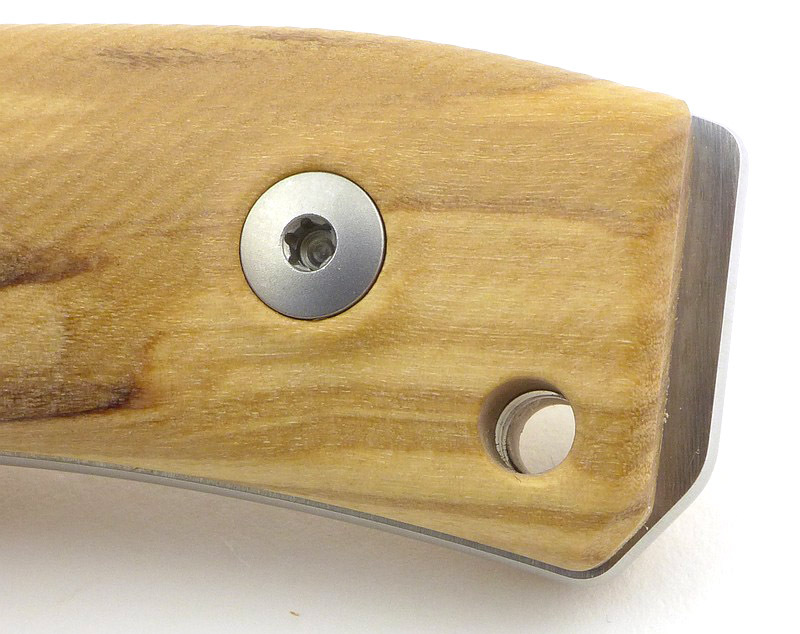 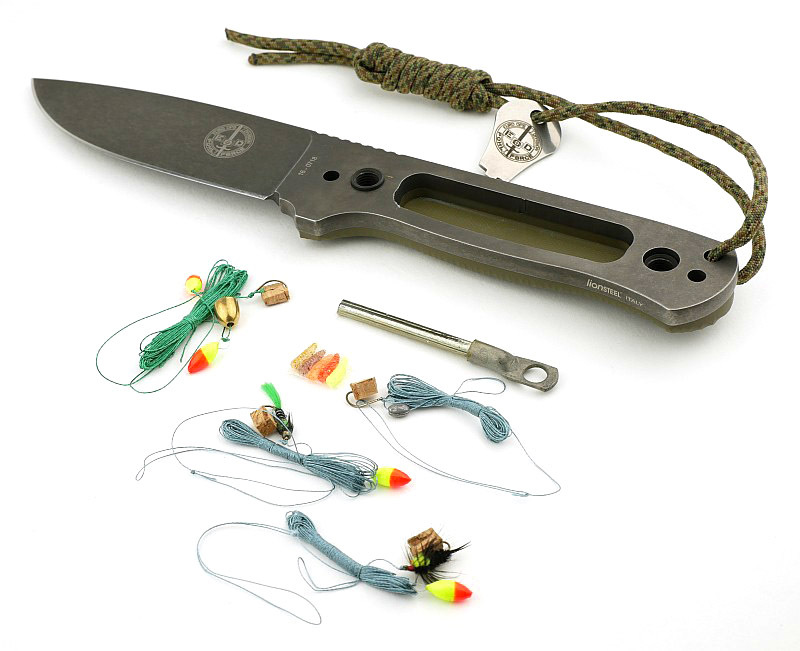 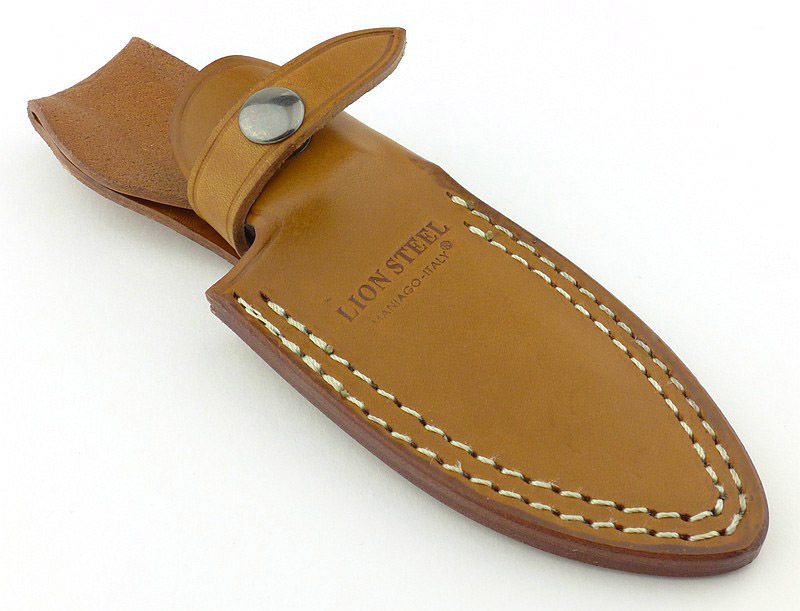 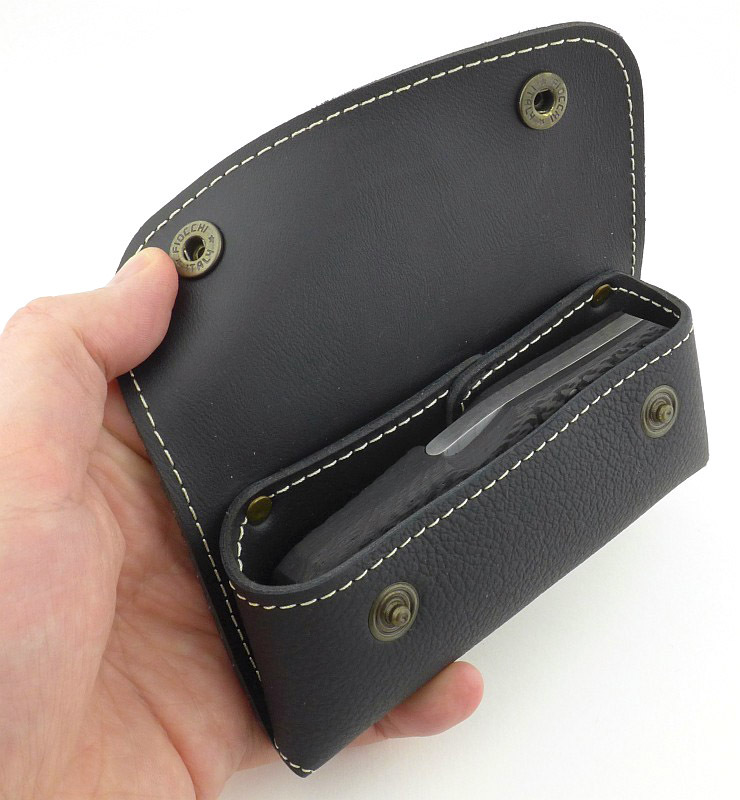 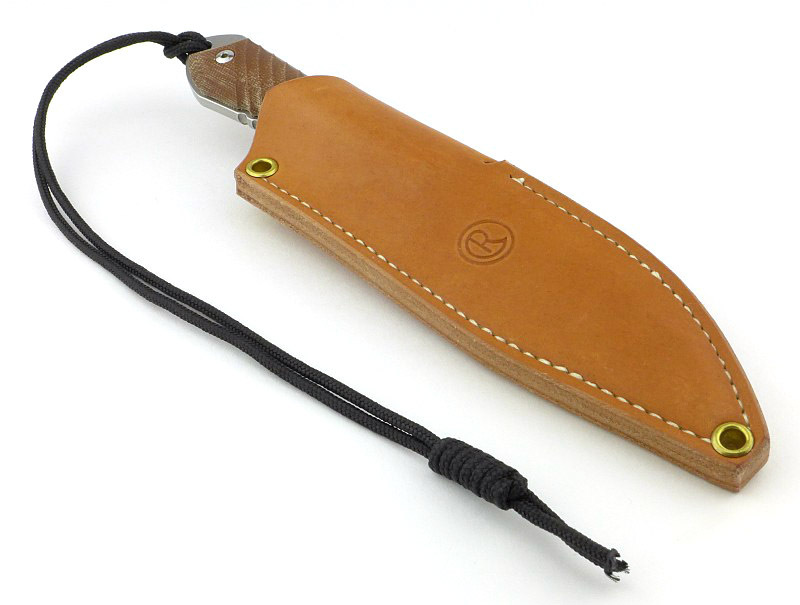 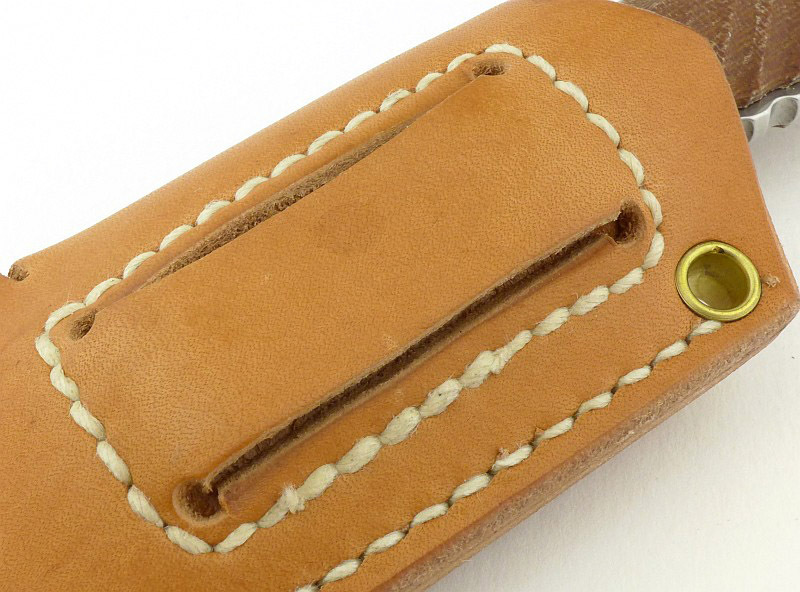 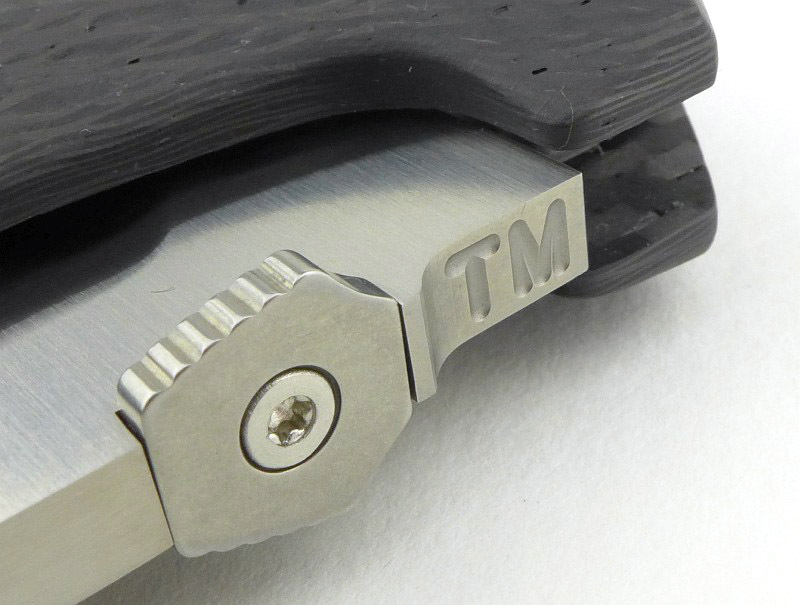 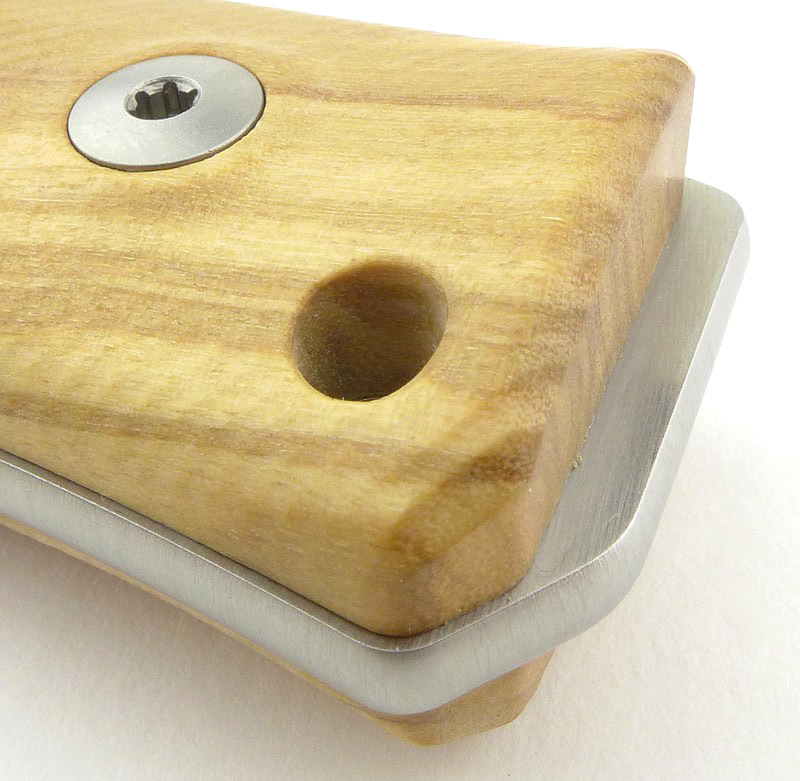 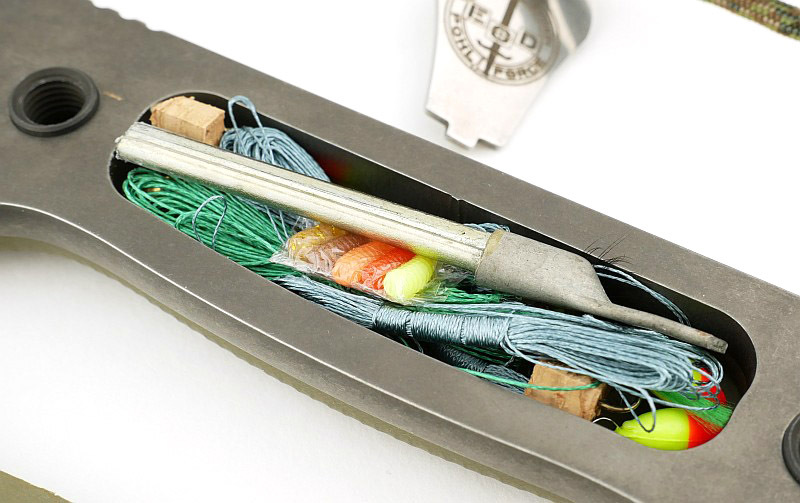 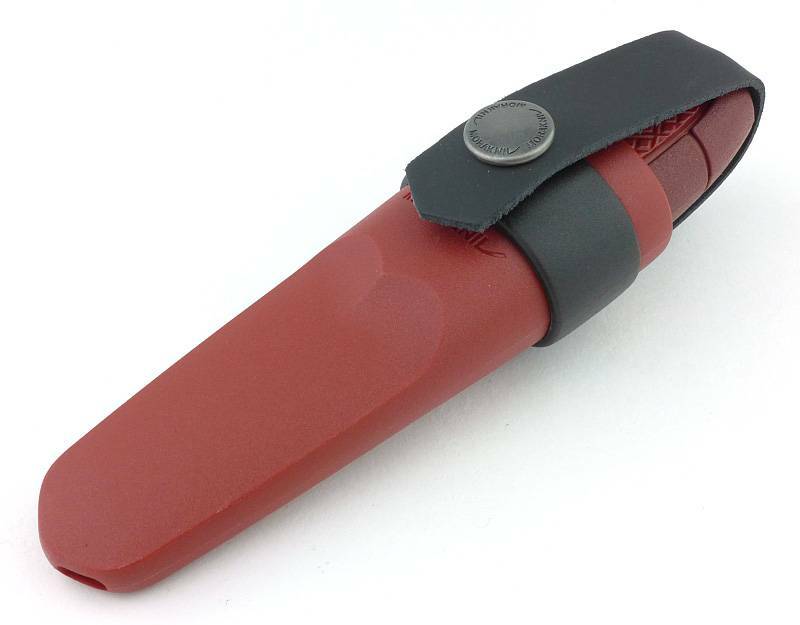 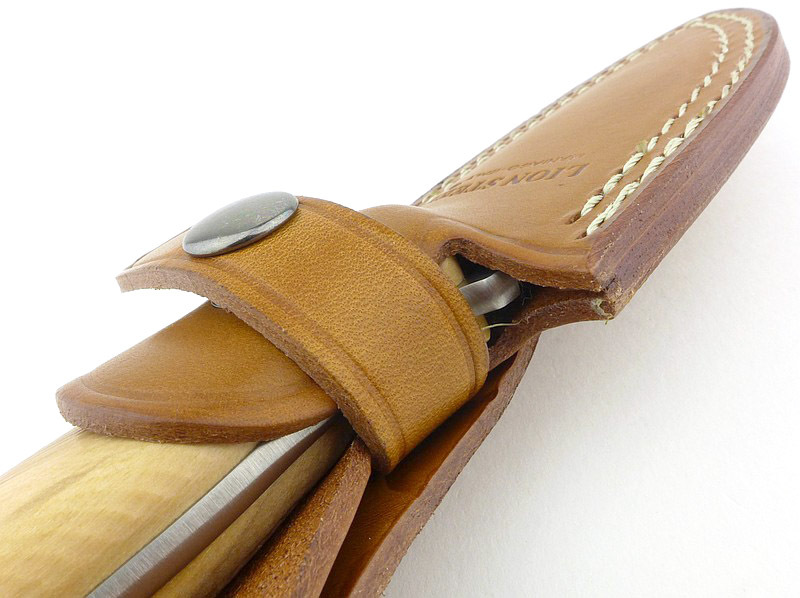 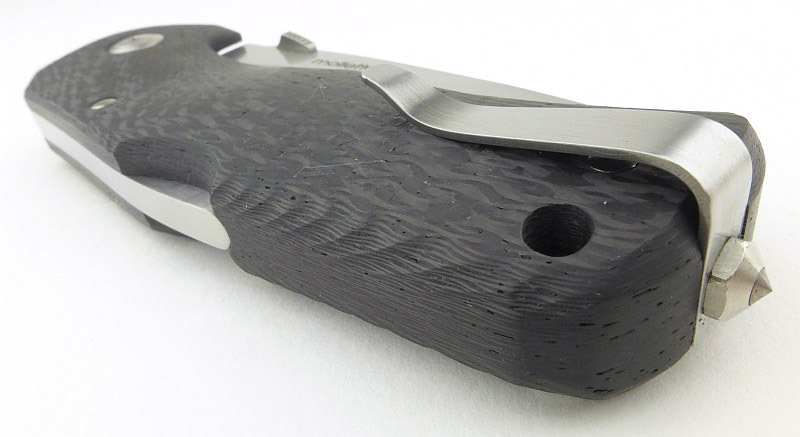 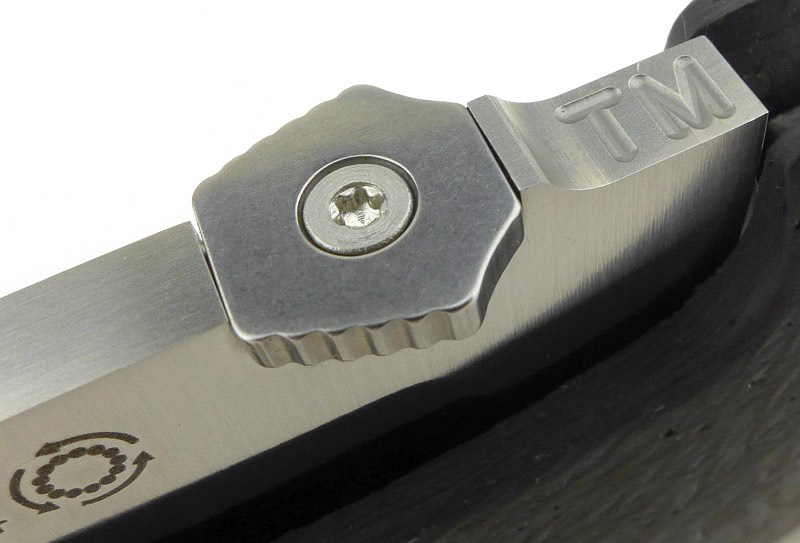 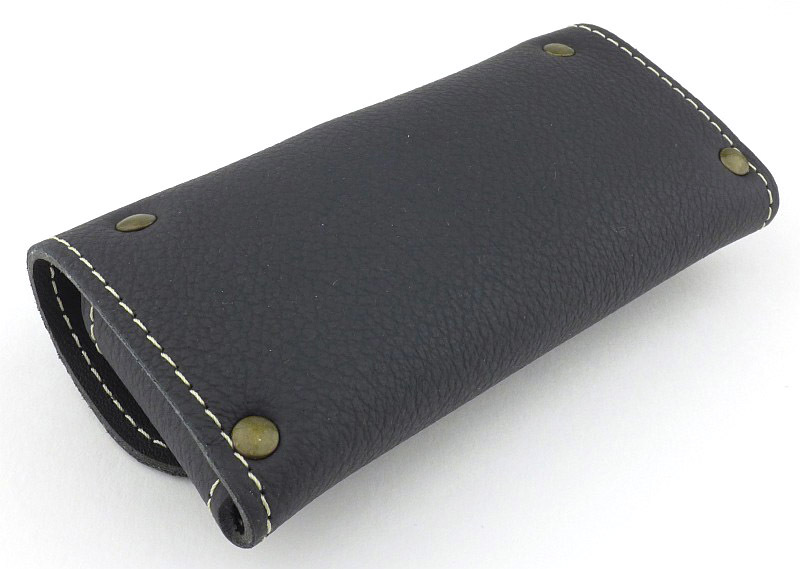 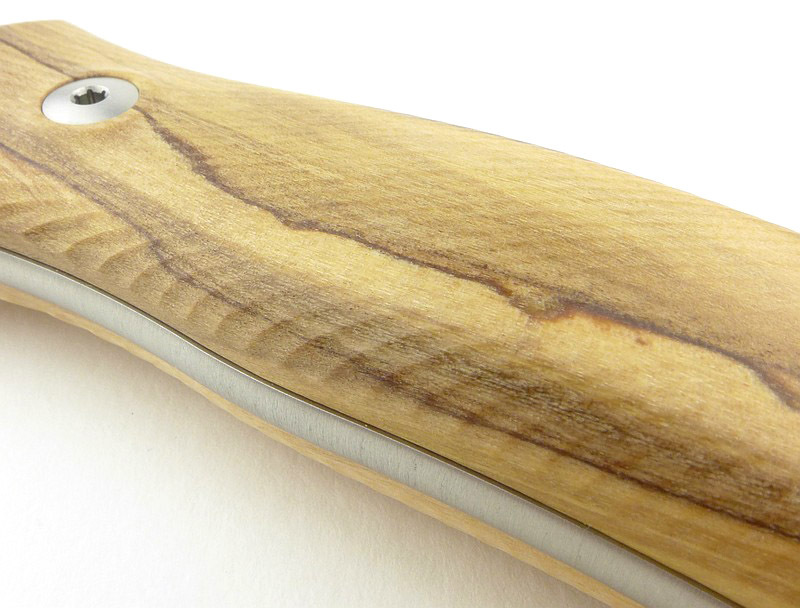 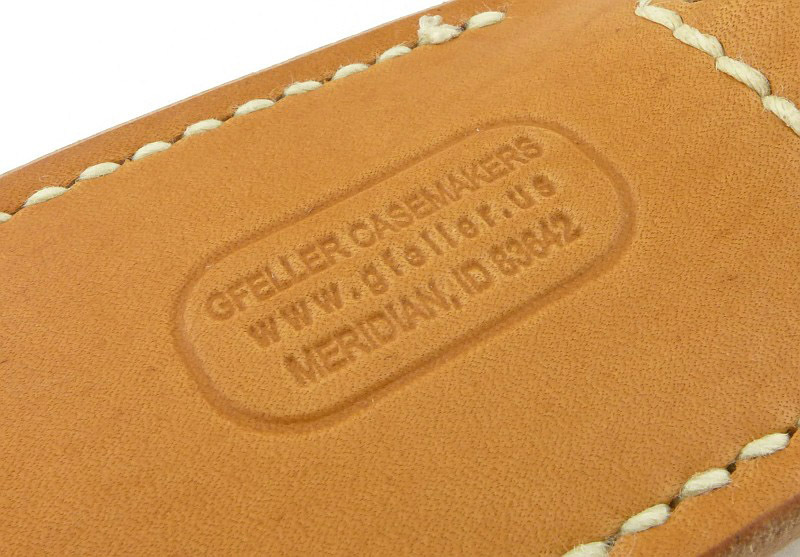 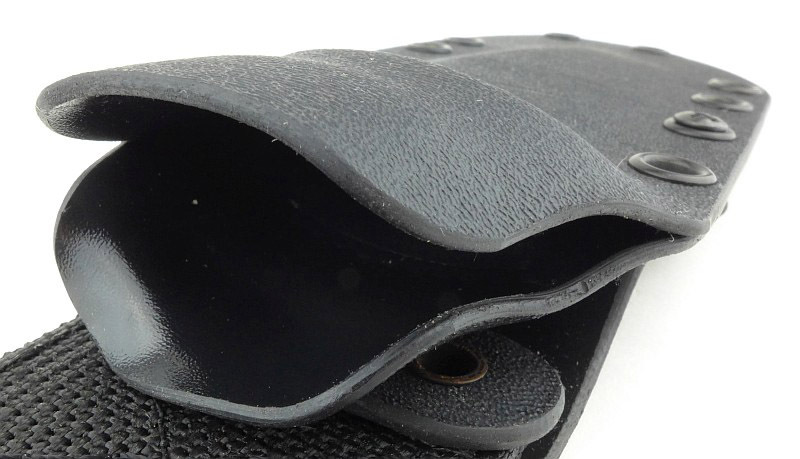 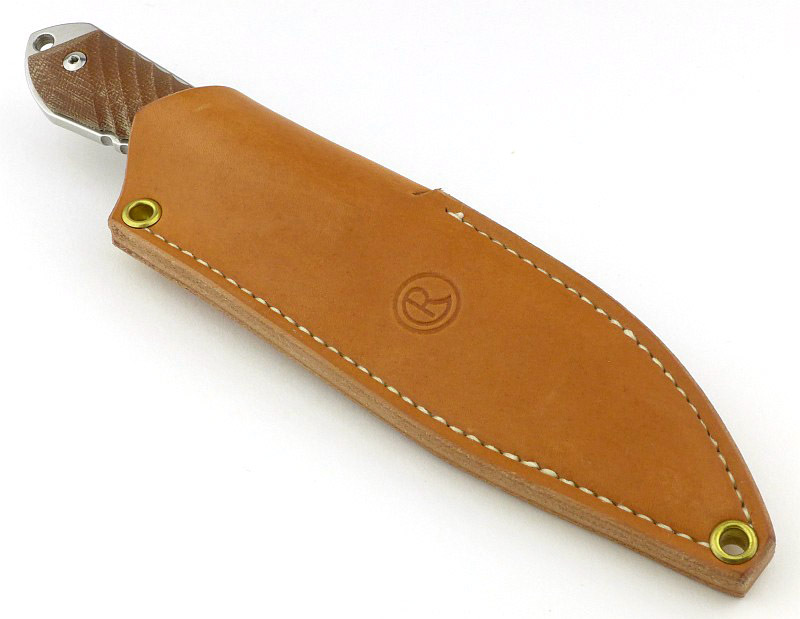 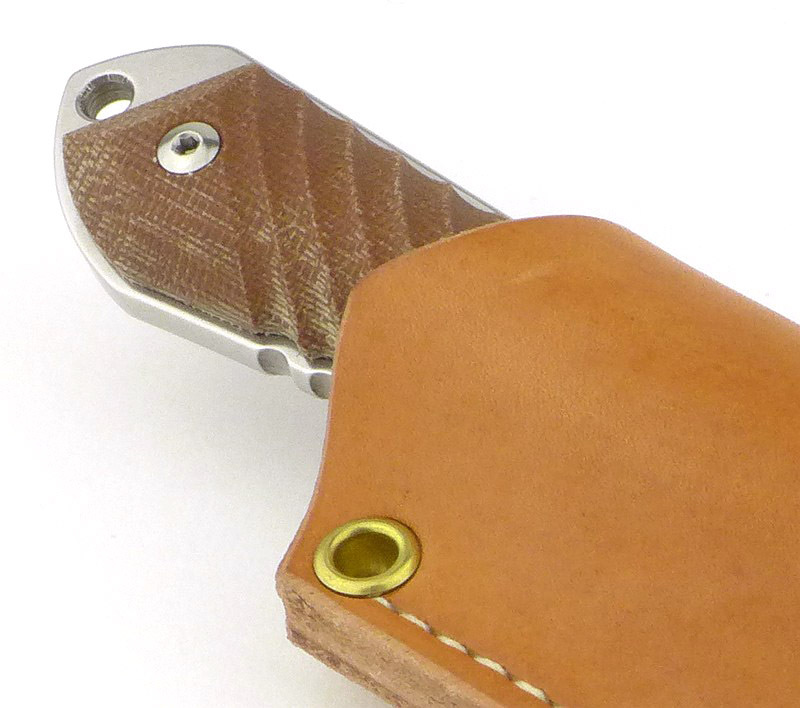 The click-lock of the sheath keeps the knife in place. 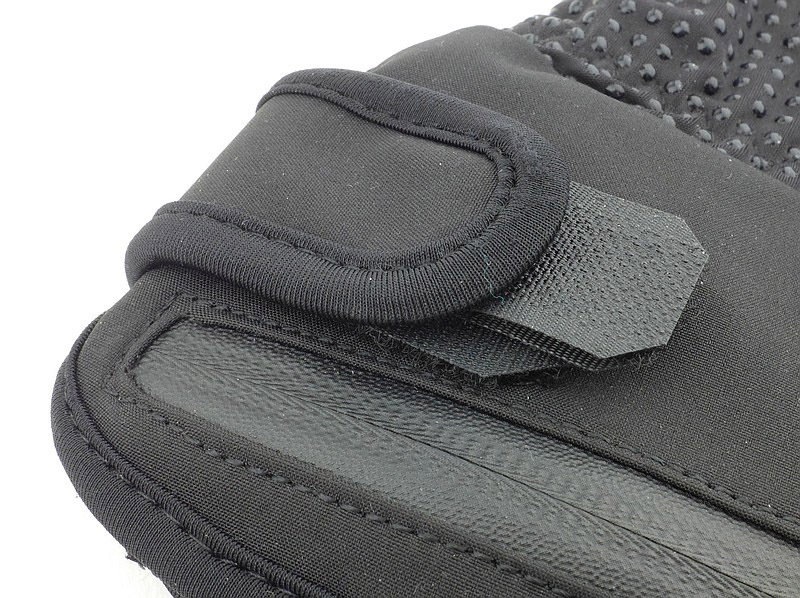 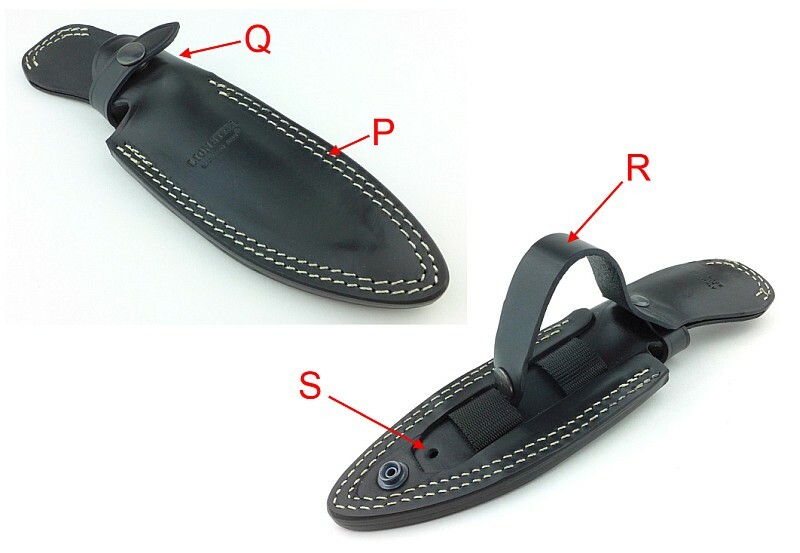 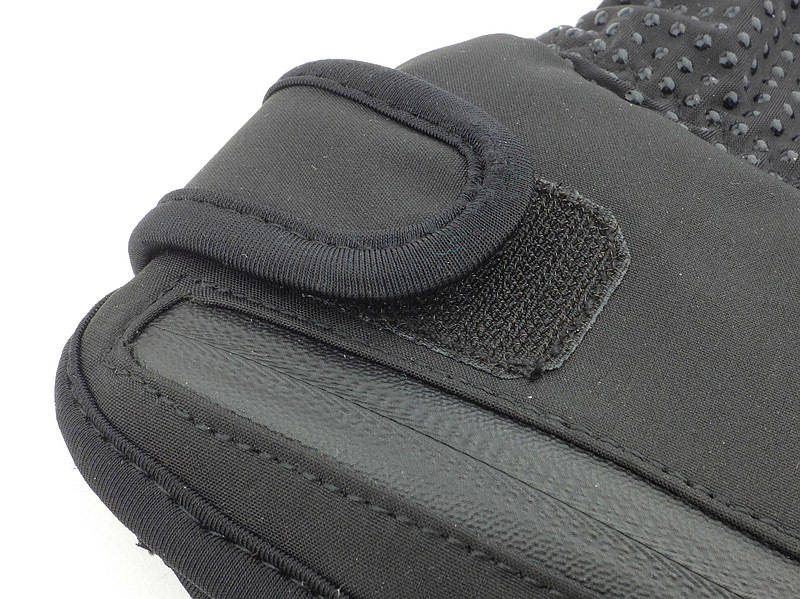 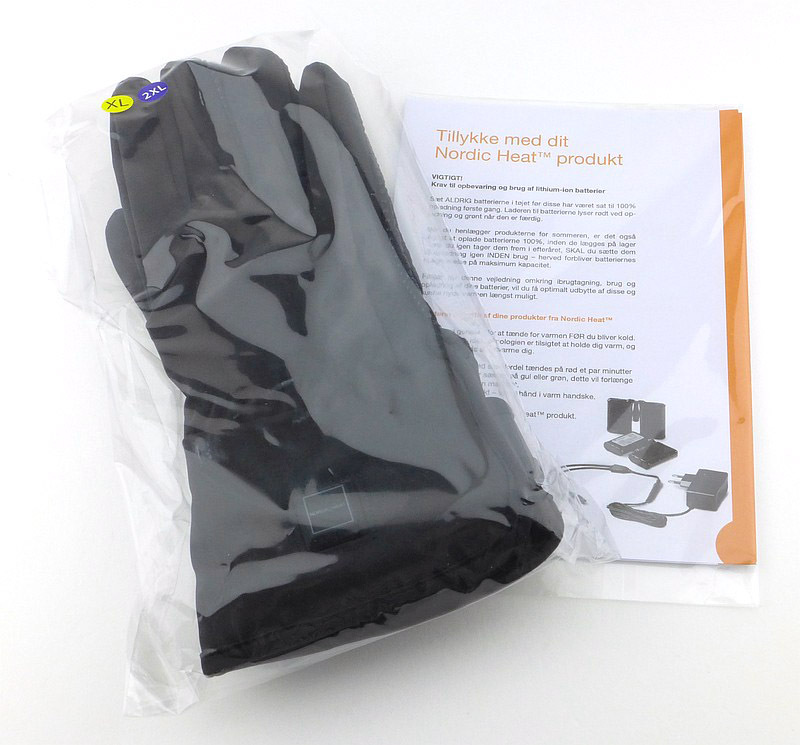 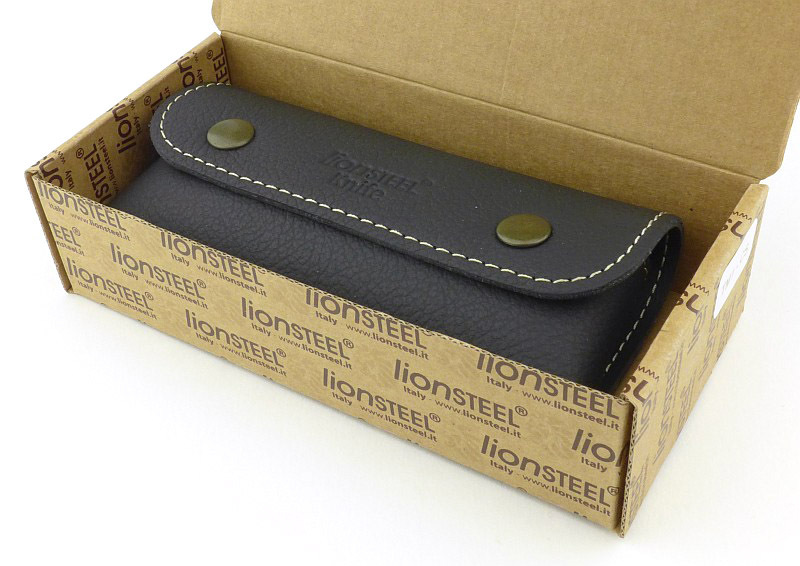 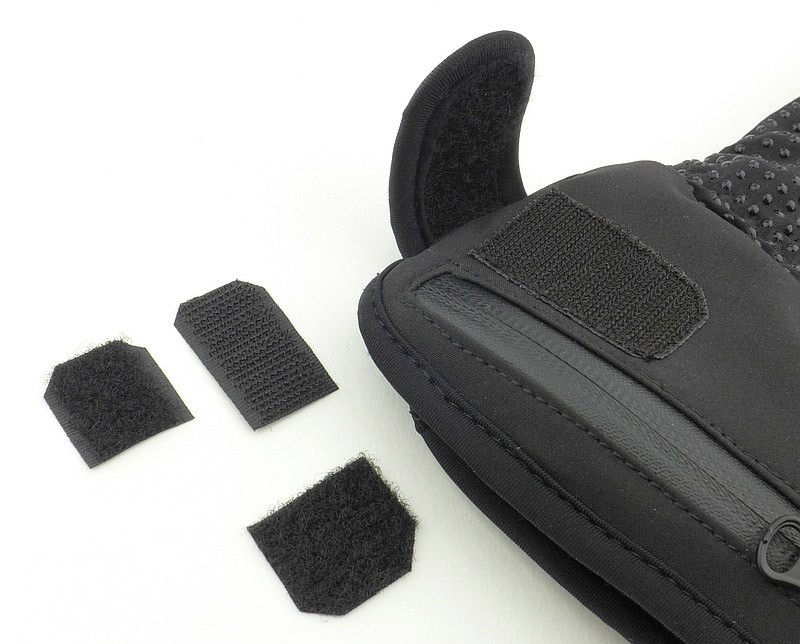 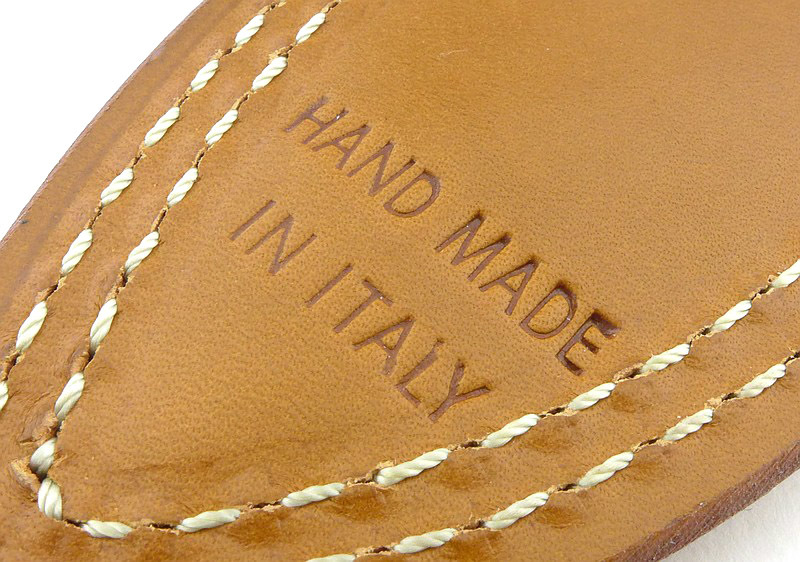 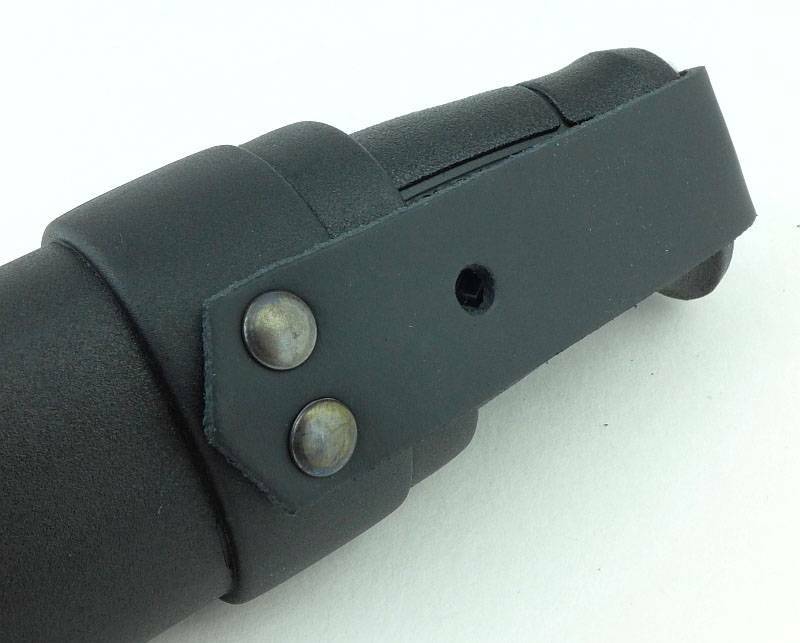 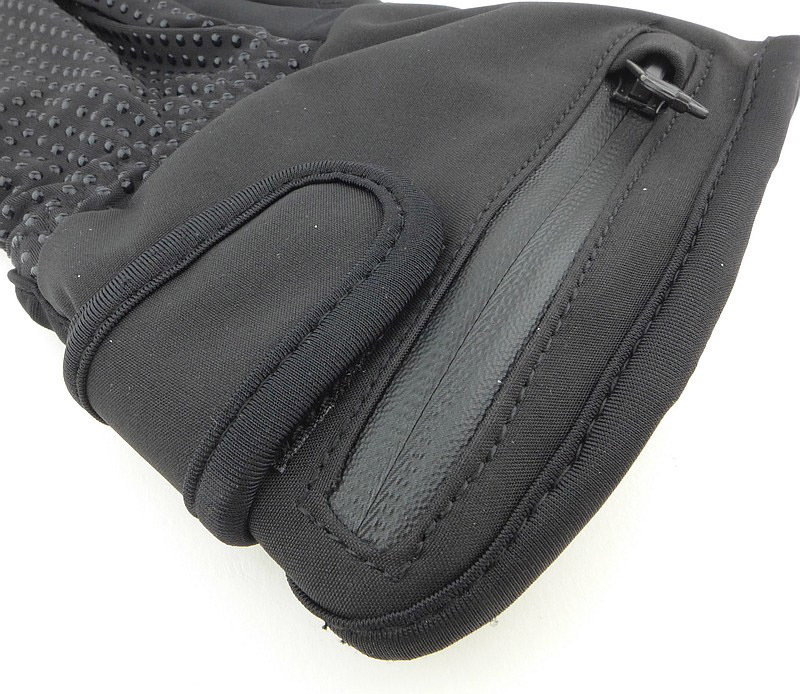 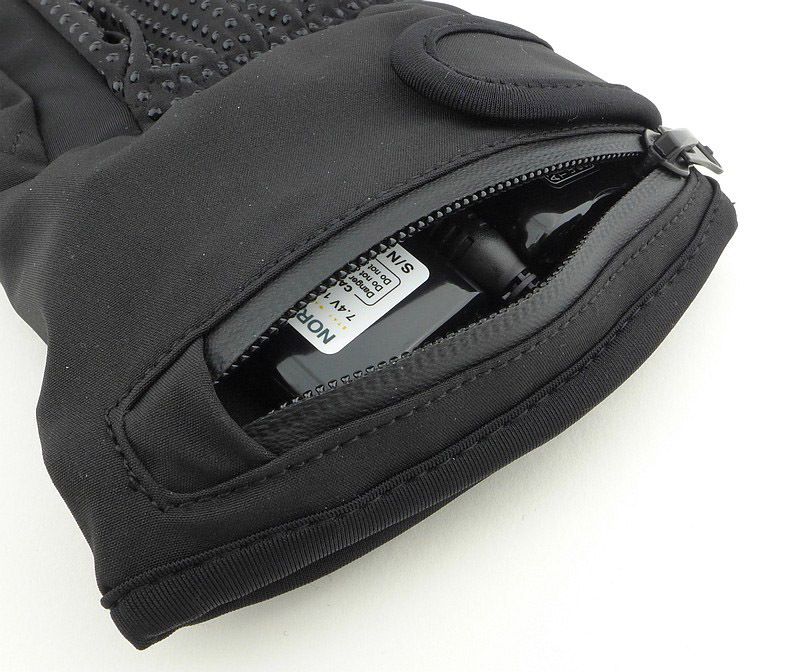 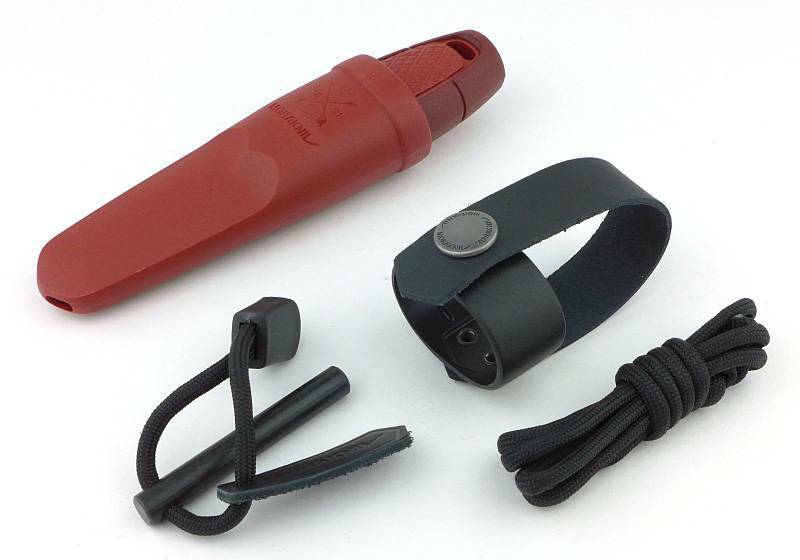 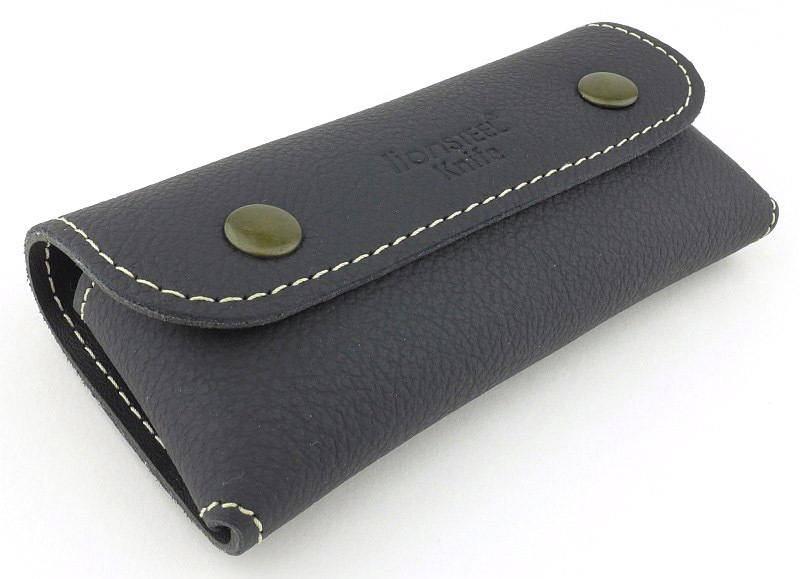 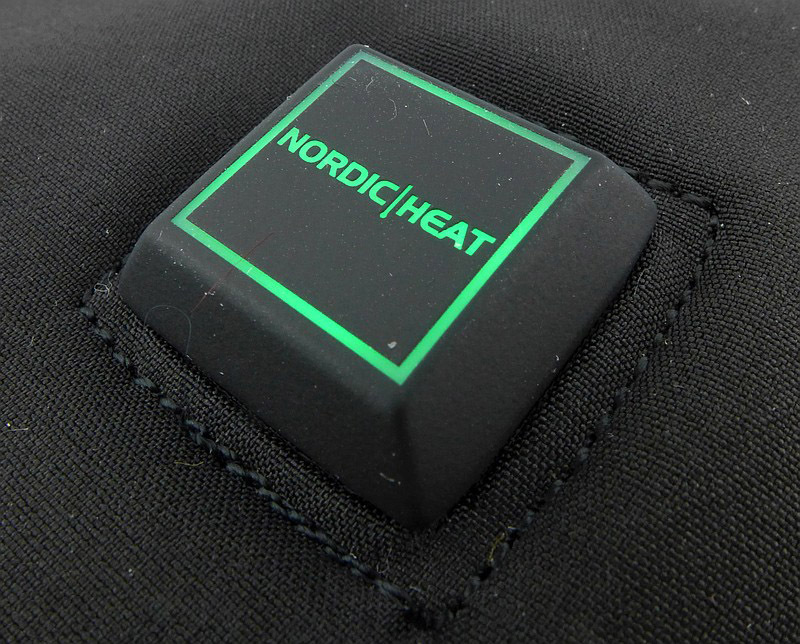 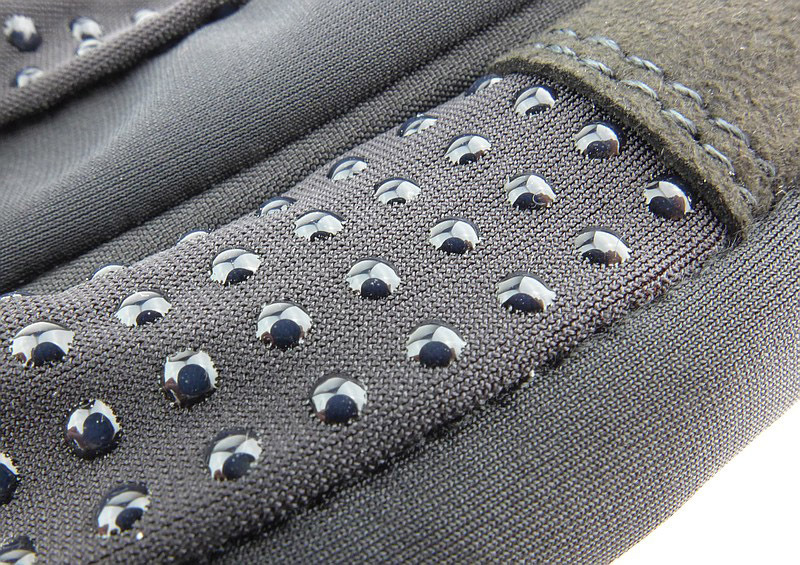 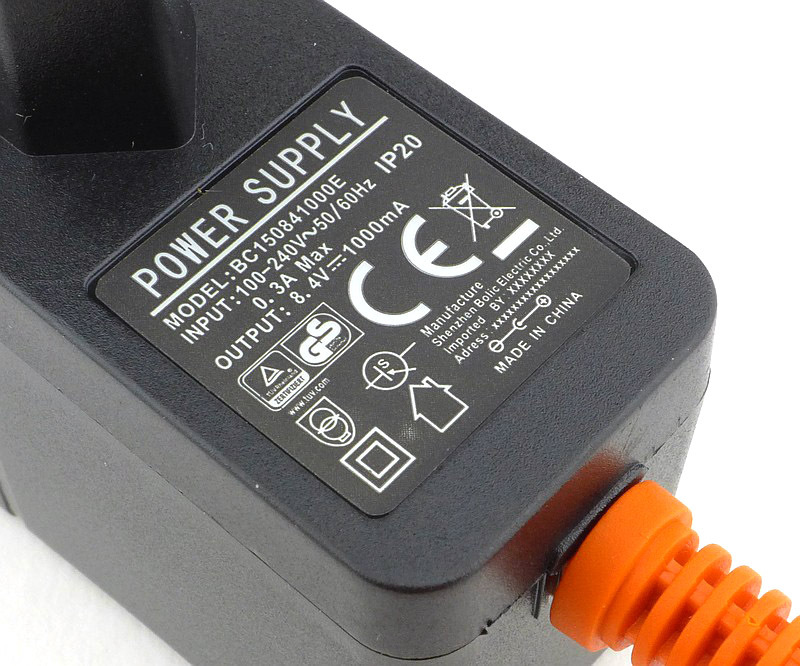 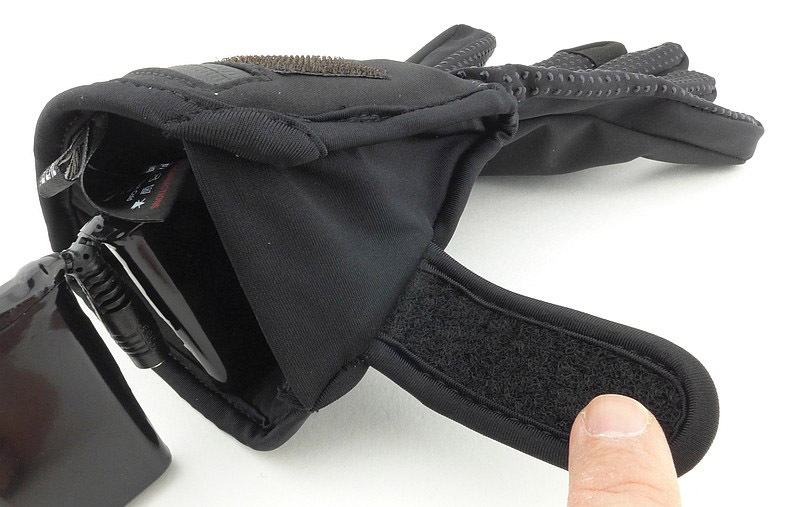 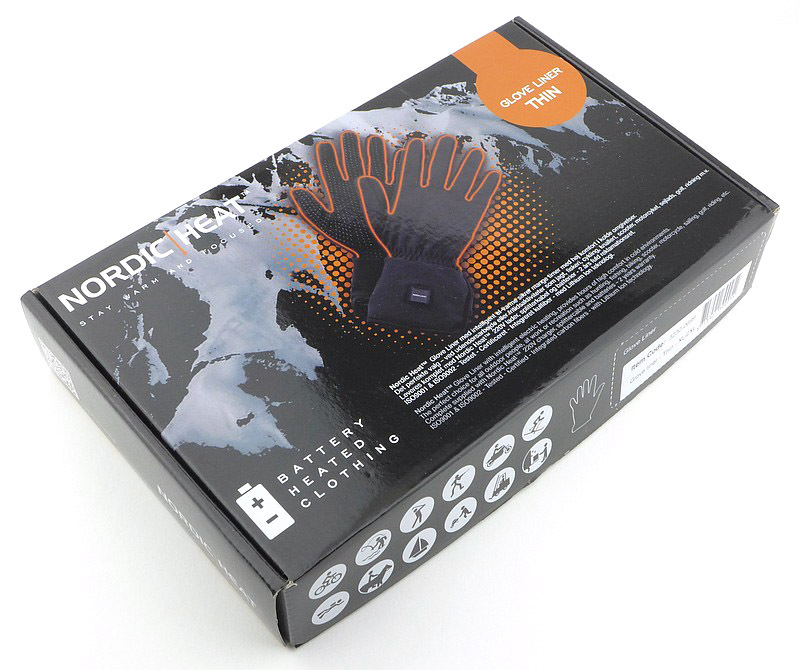 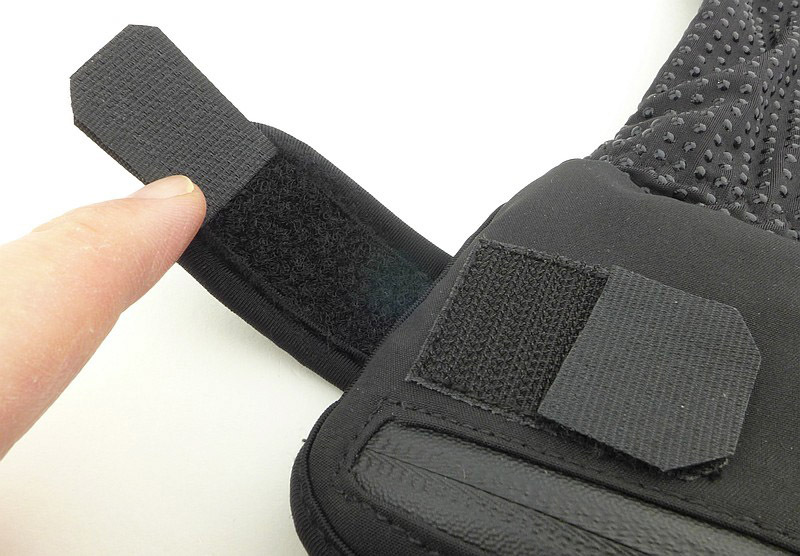 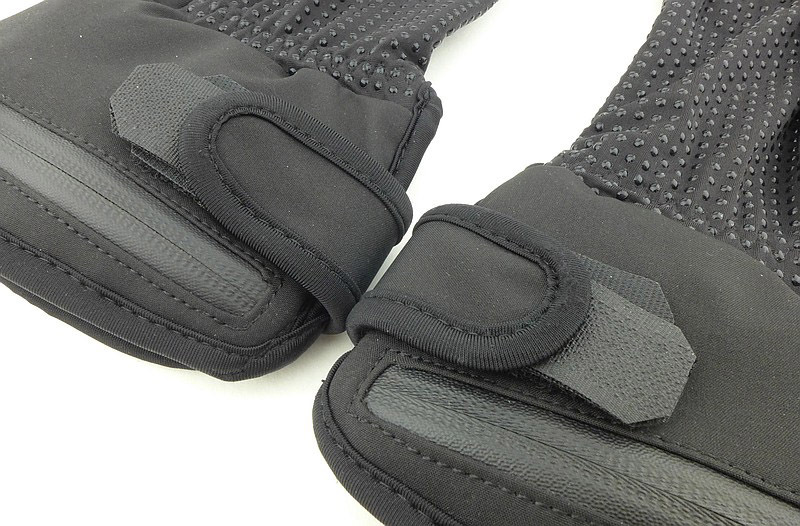 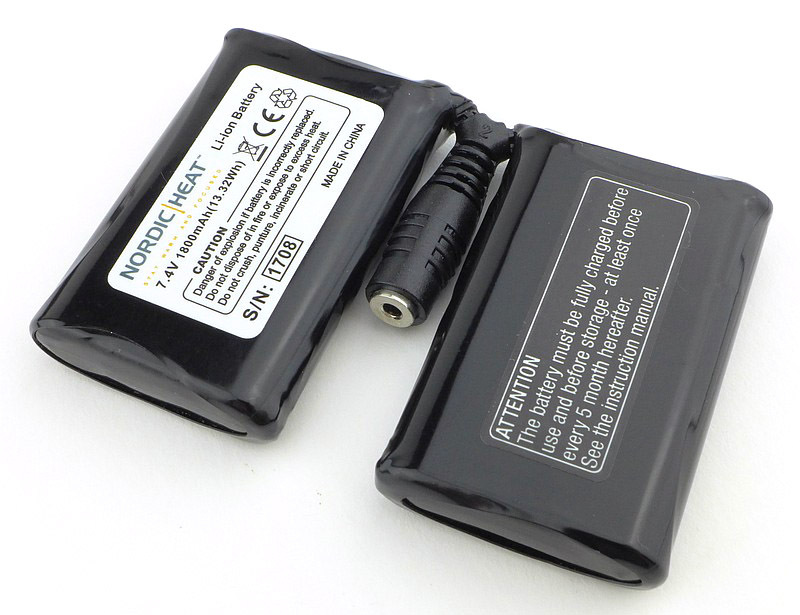 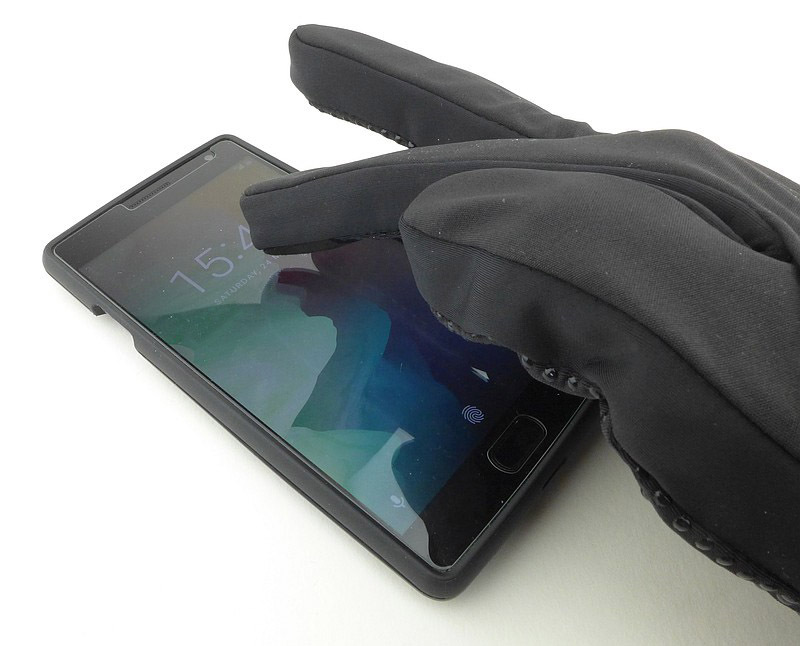 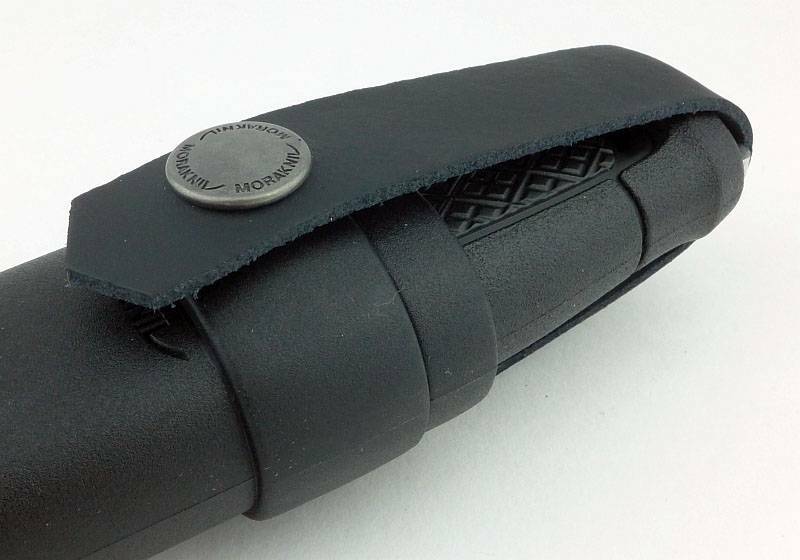 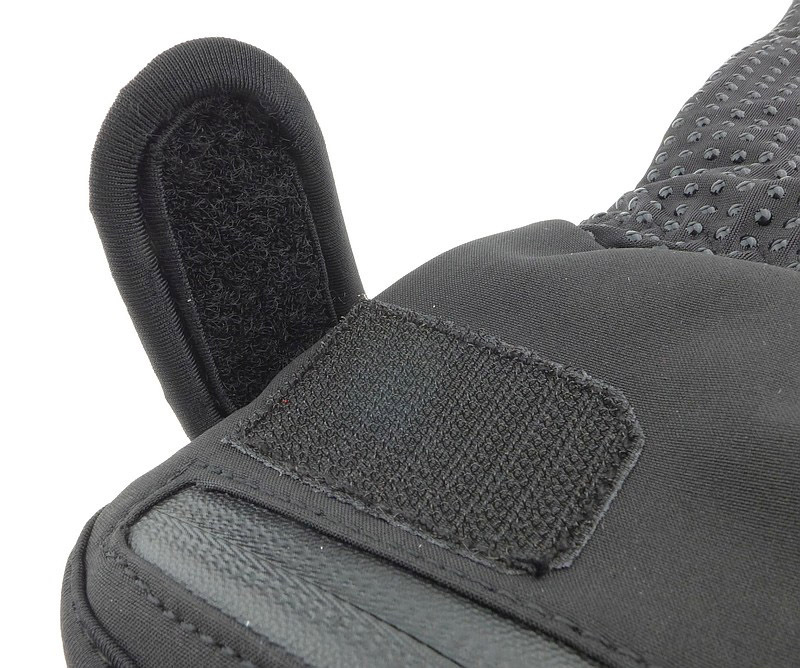 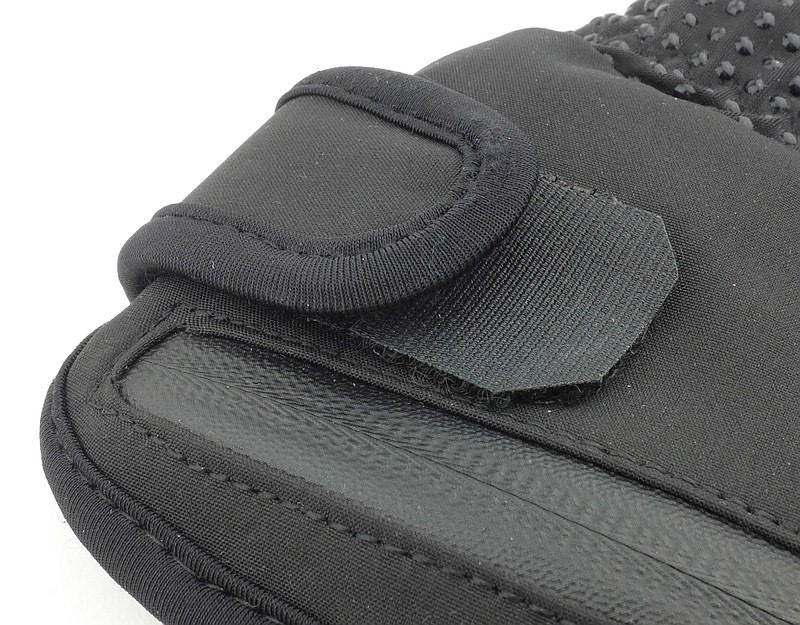 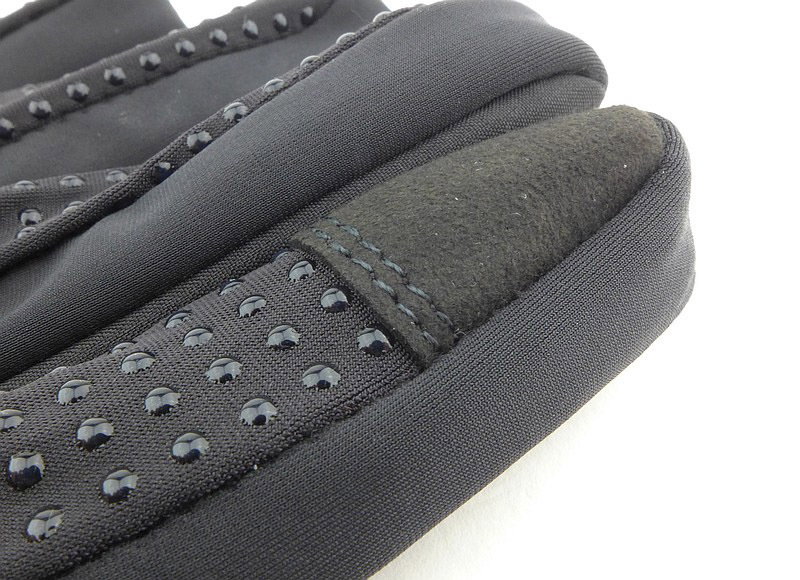 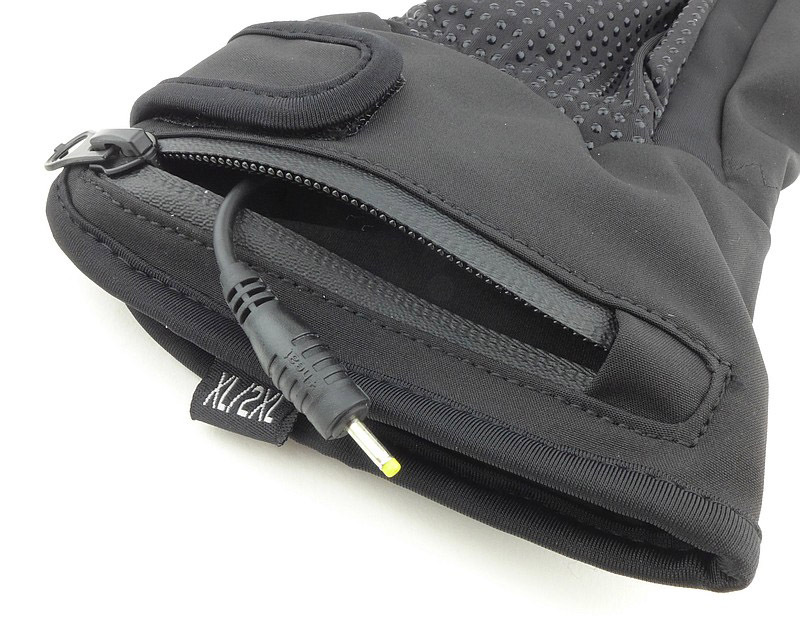 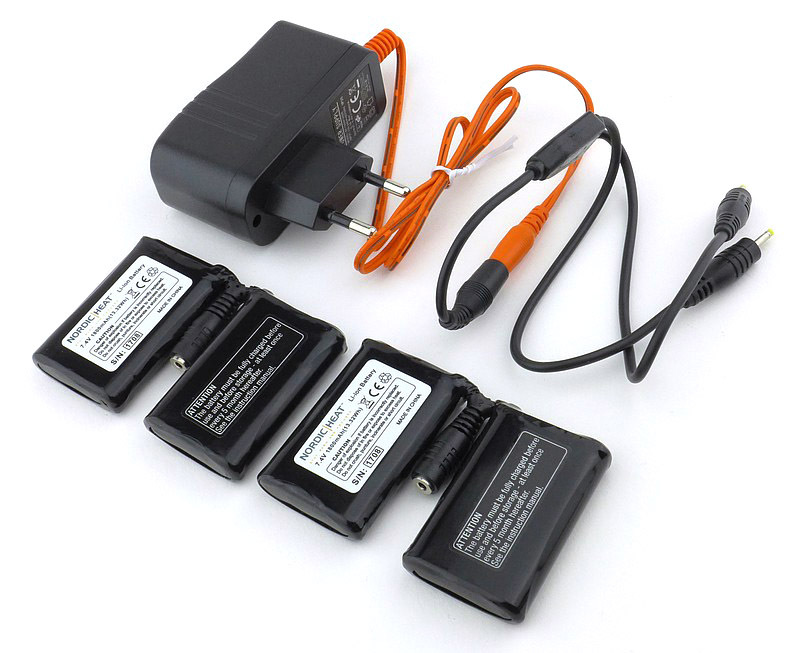 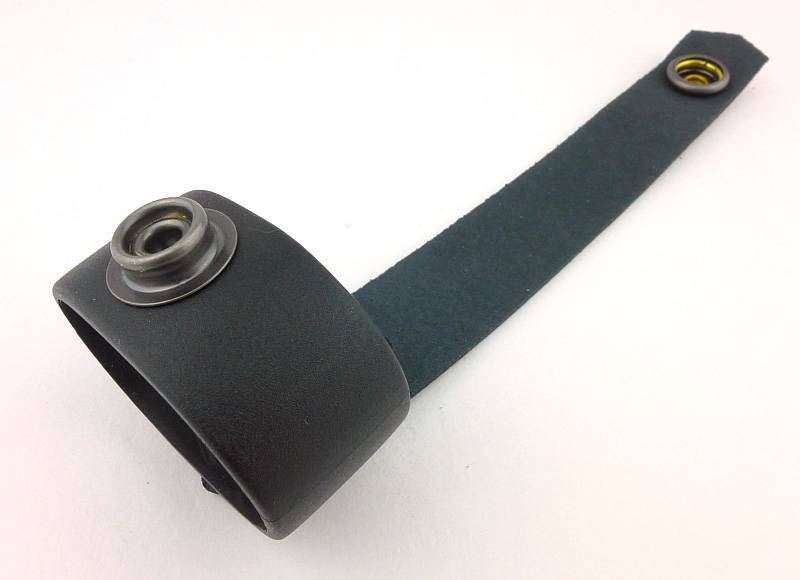 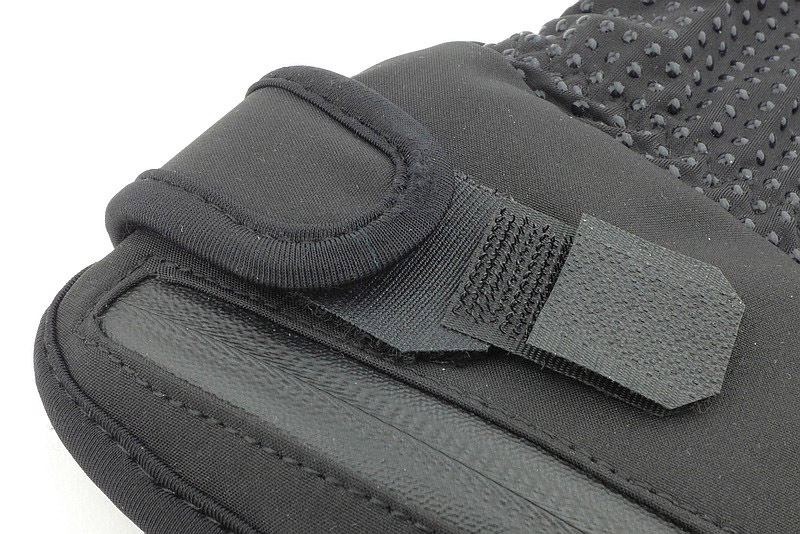 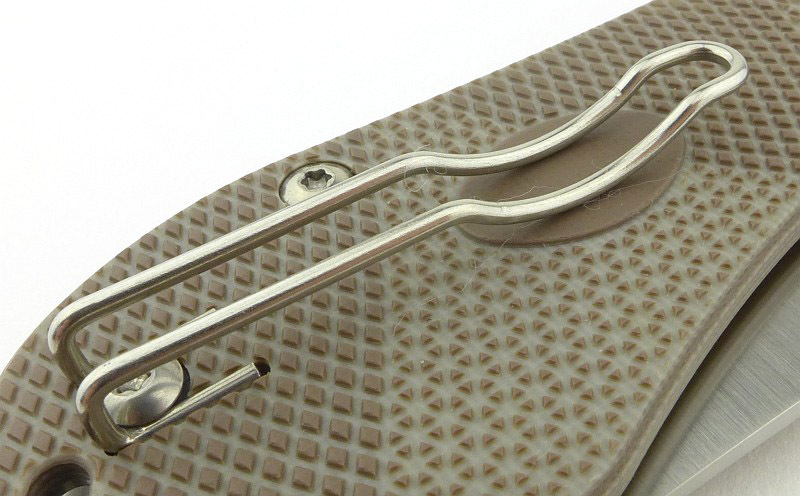 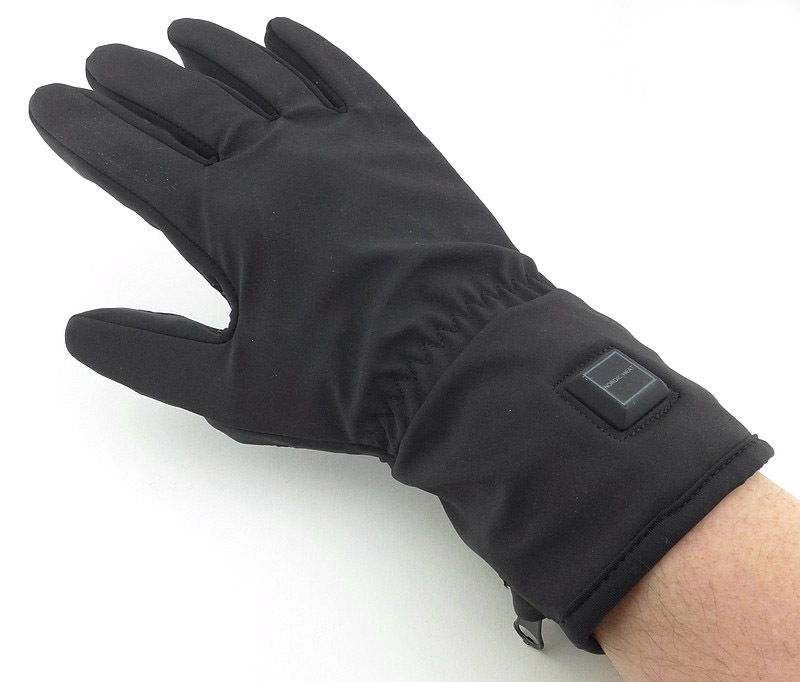 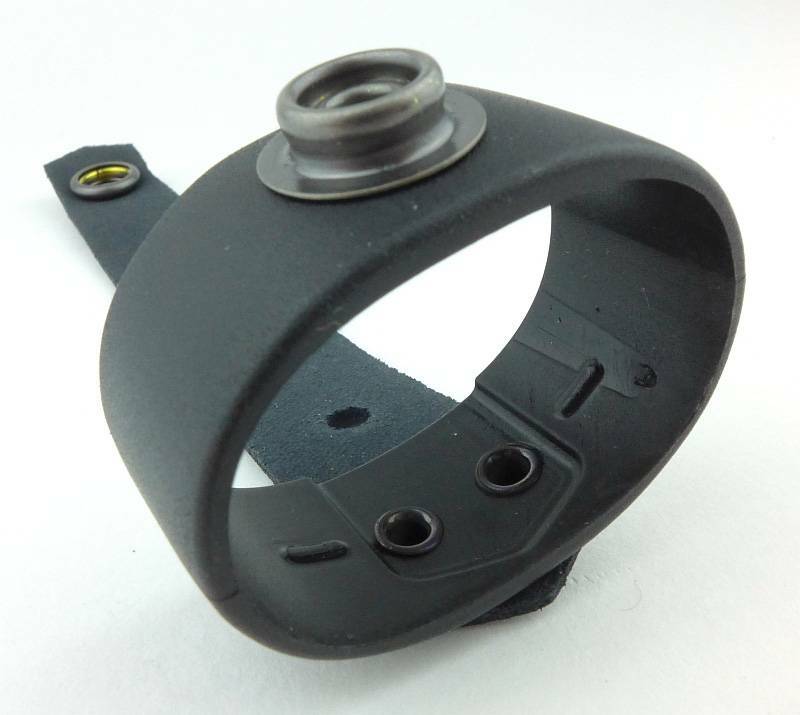 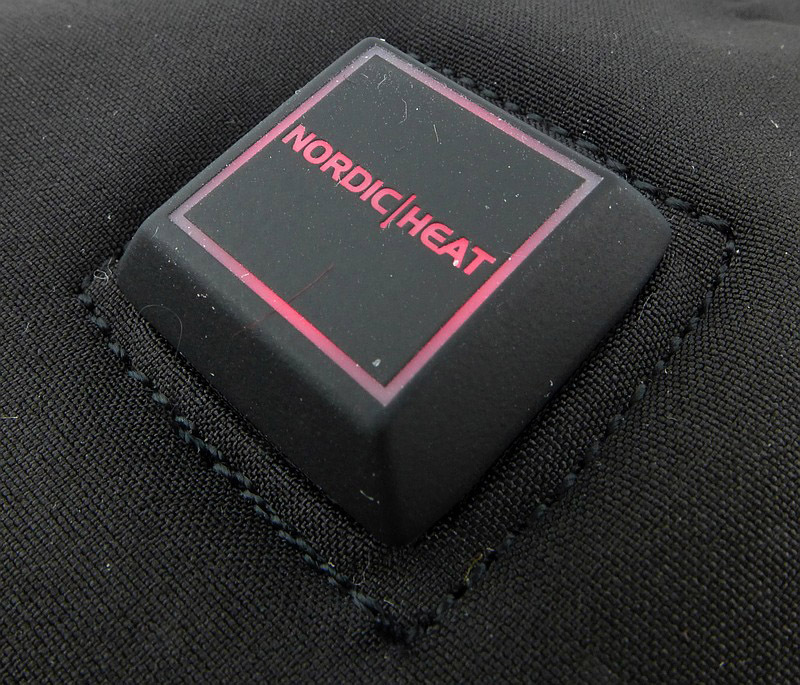 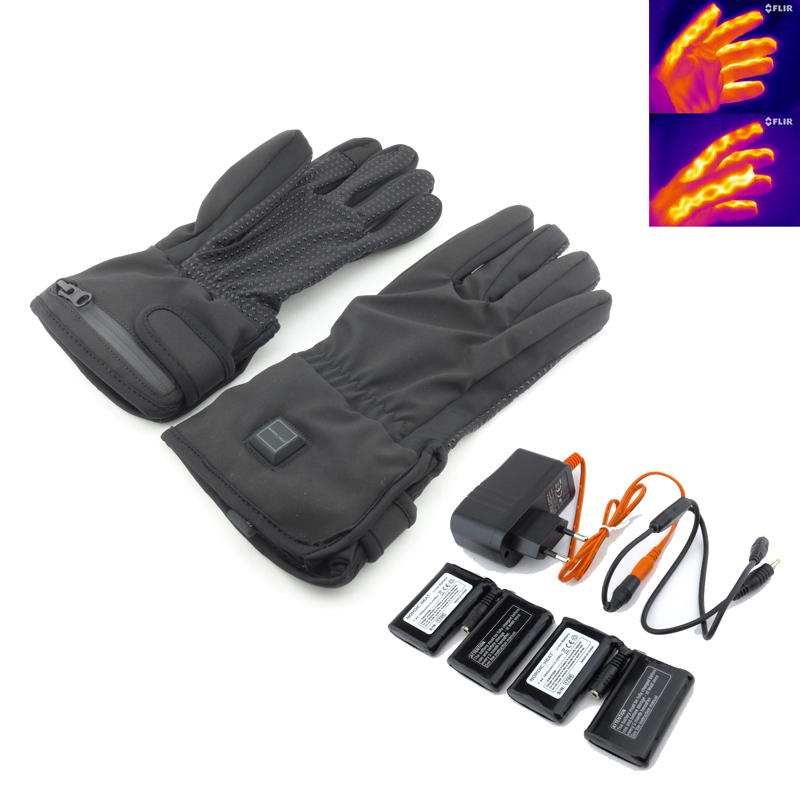 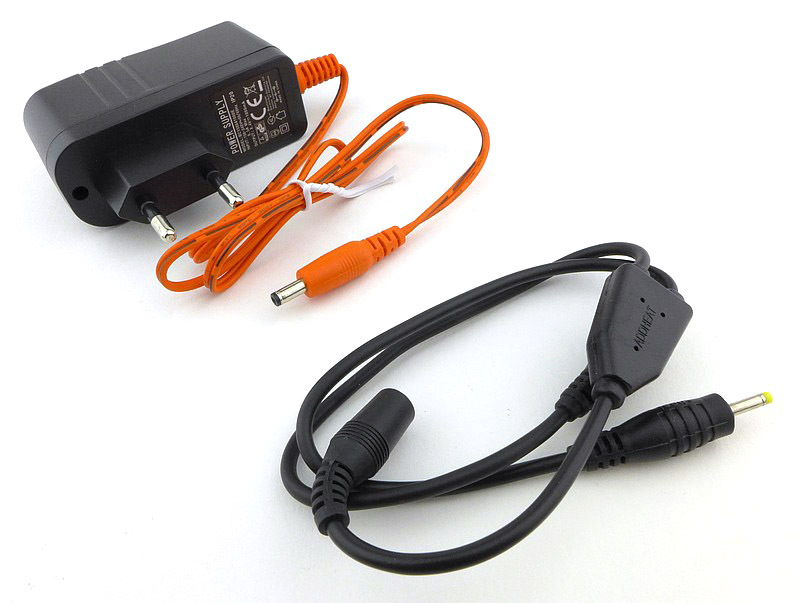 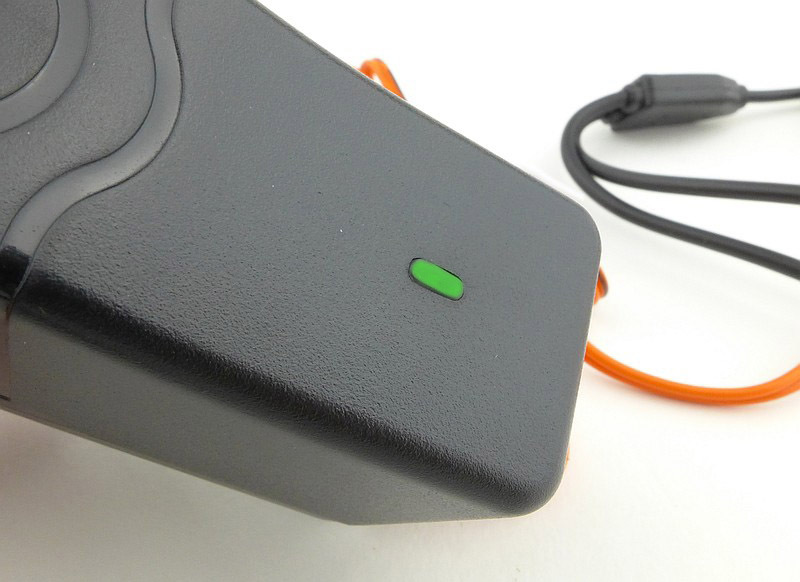 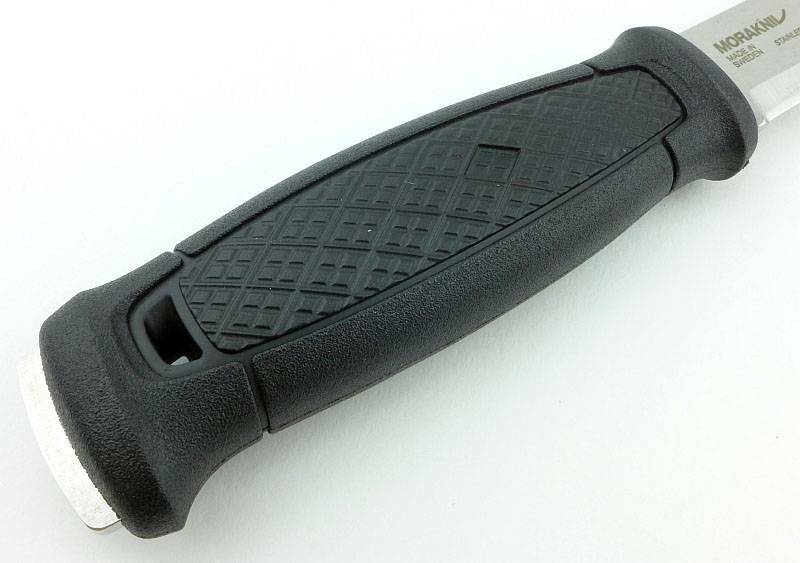 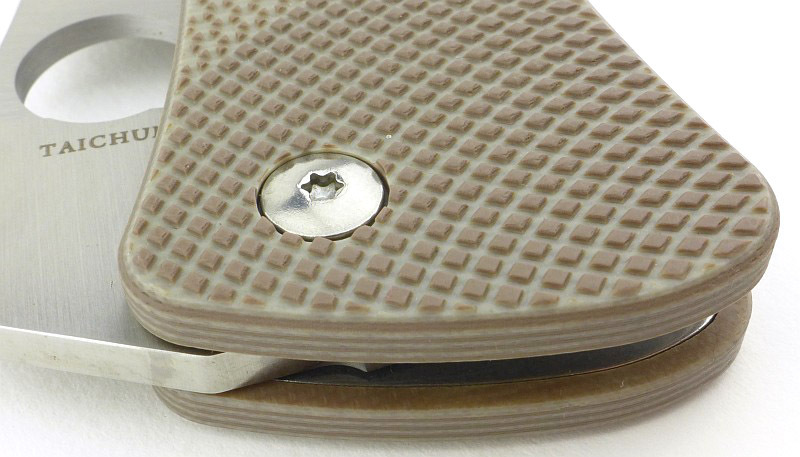 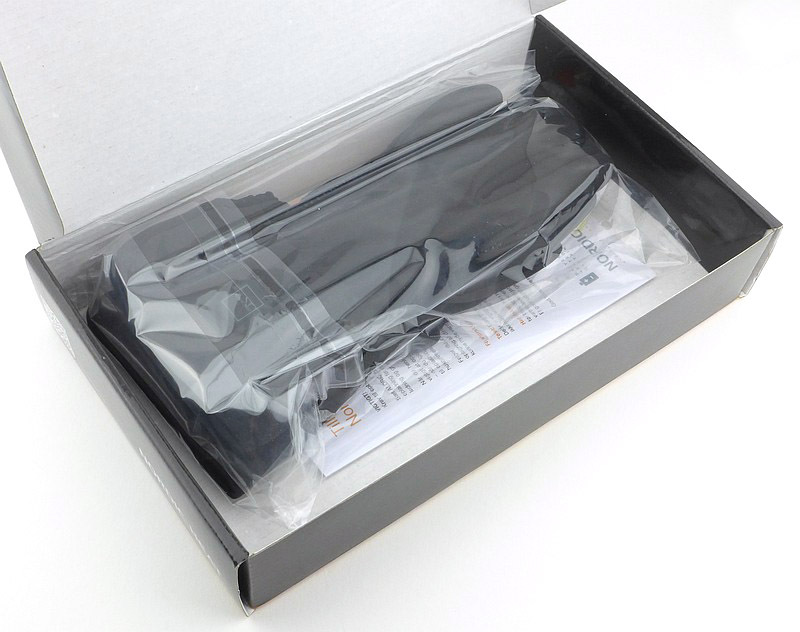 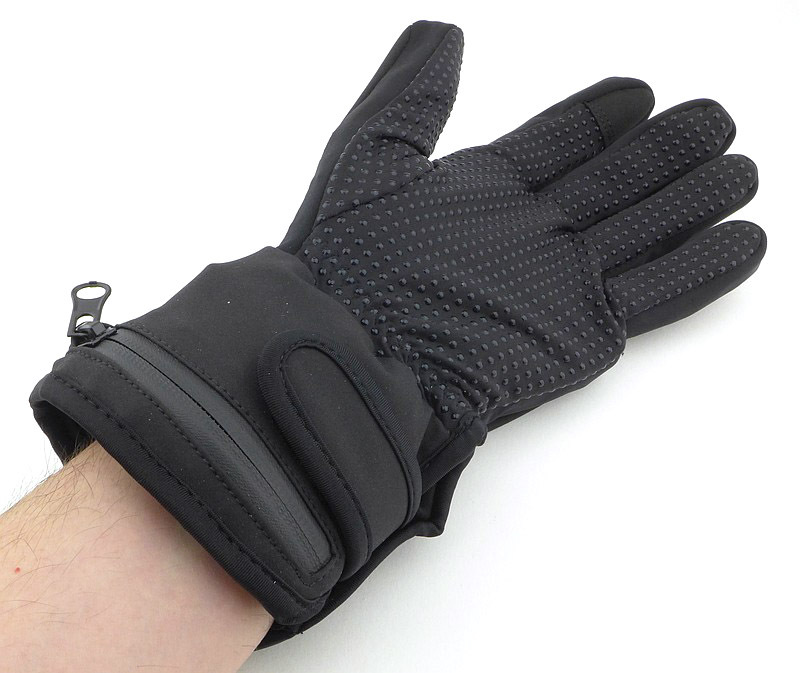 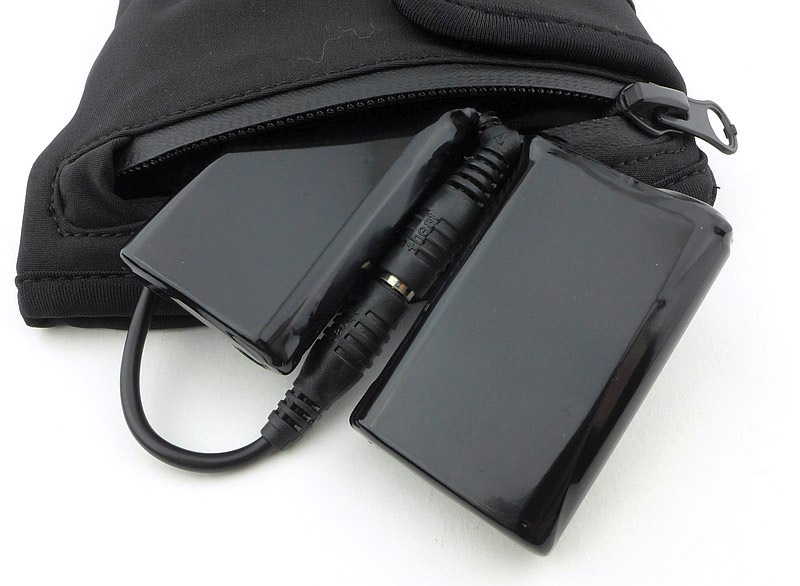 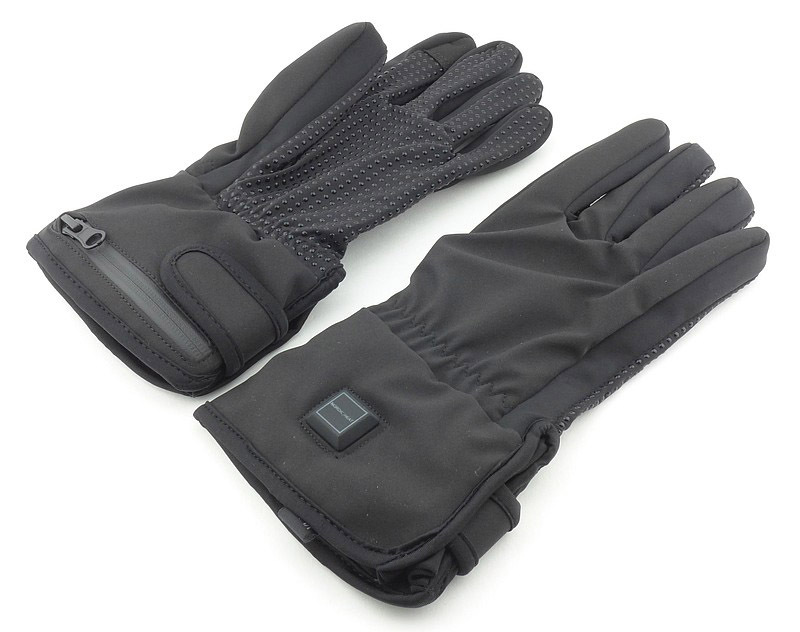 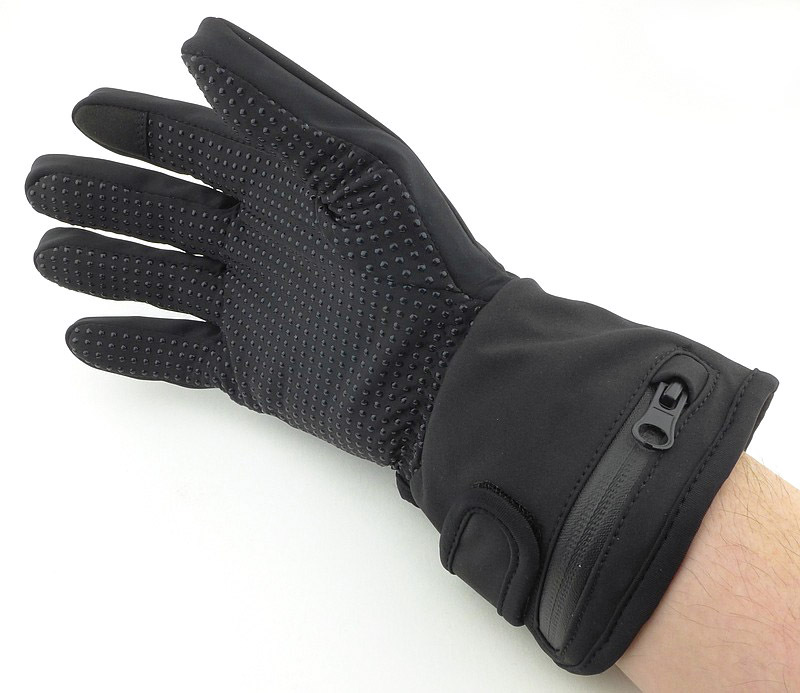 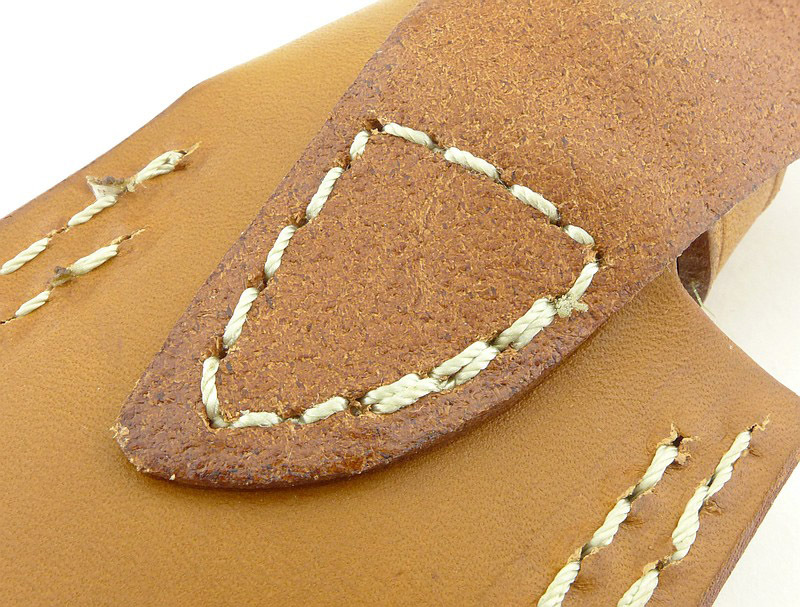 For total security, the locking strap can be added. 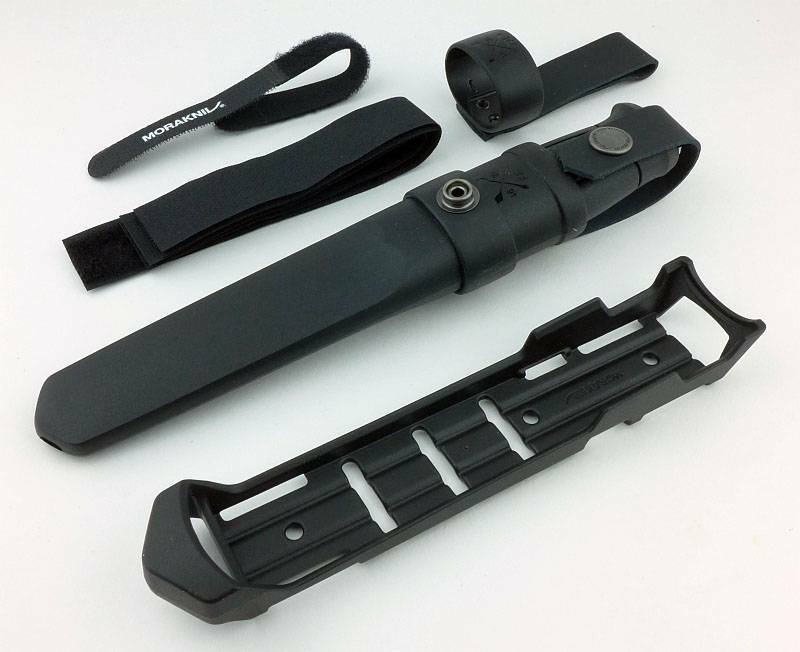 Turning the Multi-Mount over, you can see how the locking strap is fed through the mount and will keep everything in place even if the hook and loop strap failed. 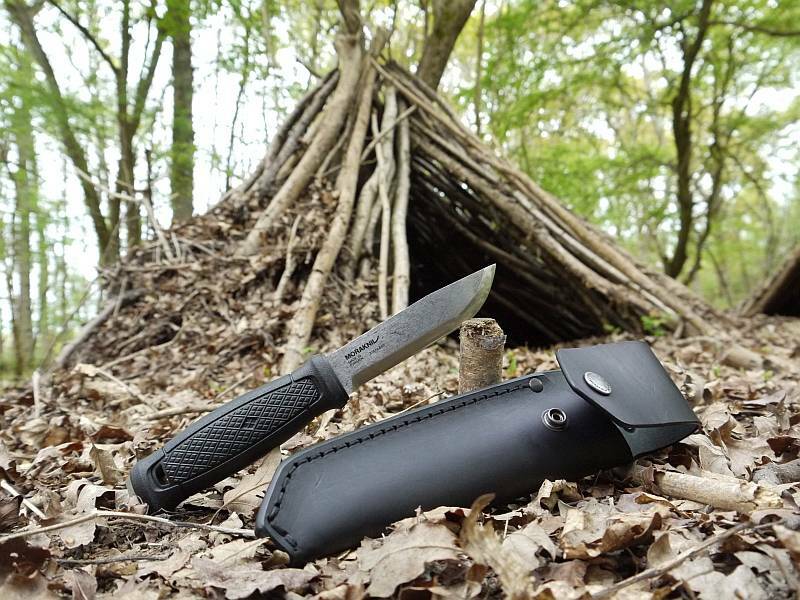 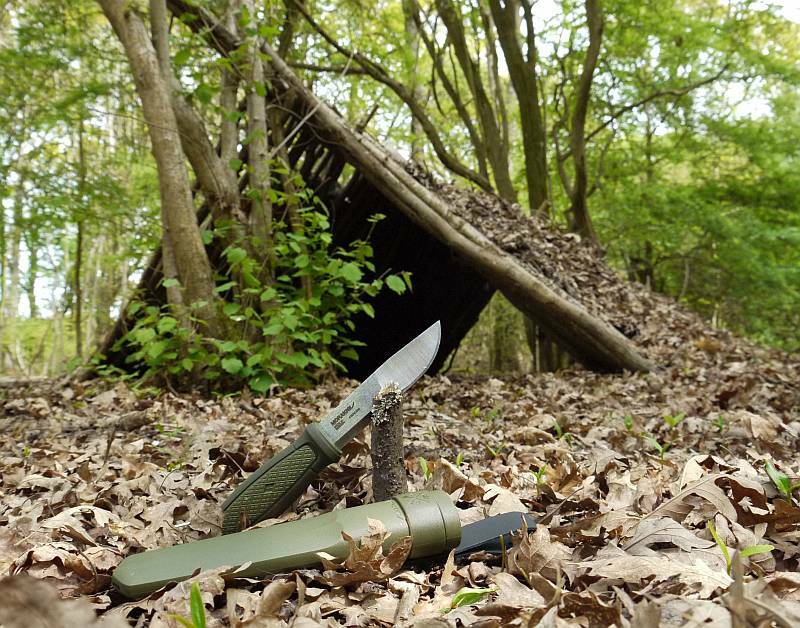 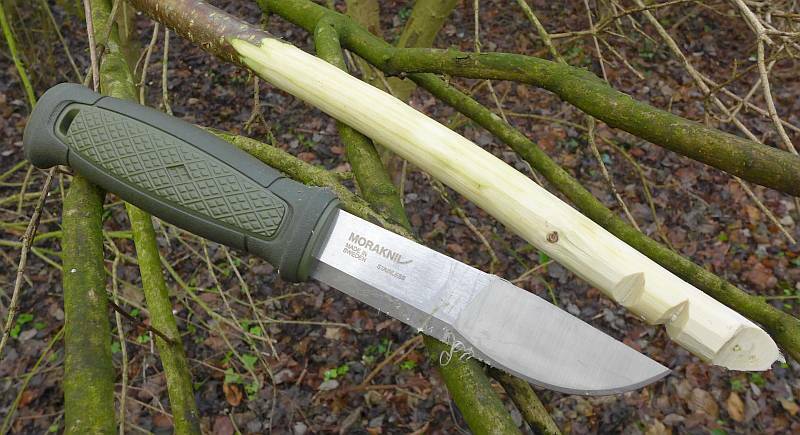 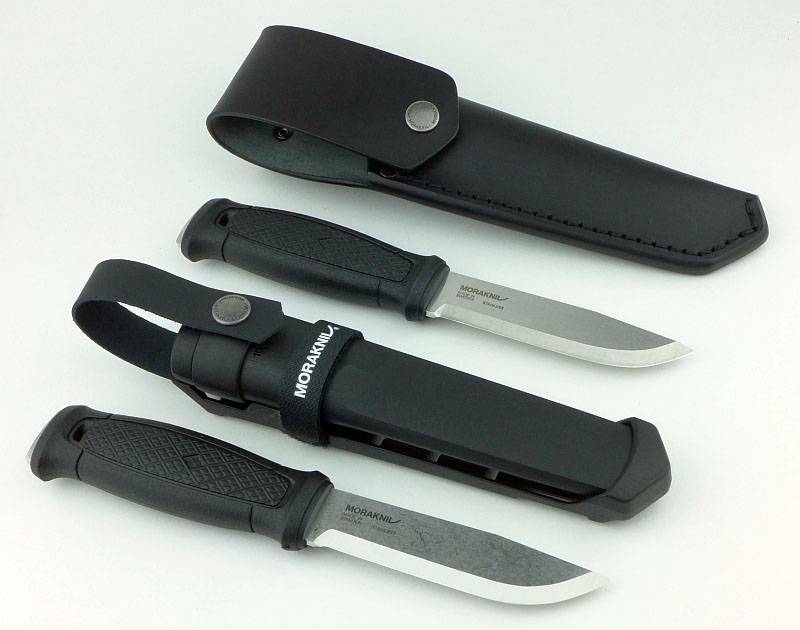 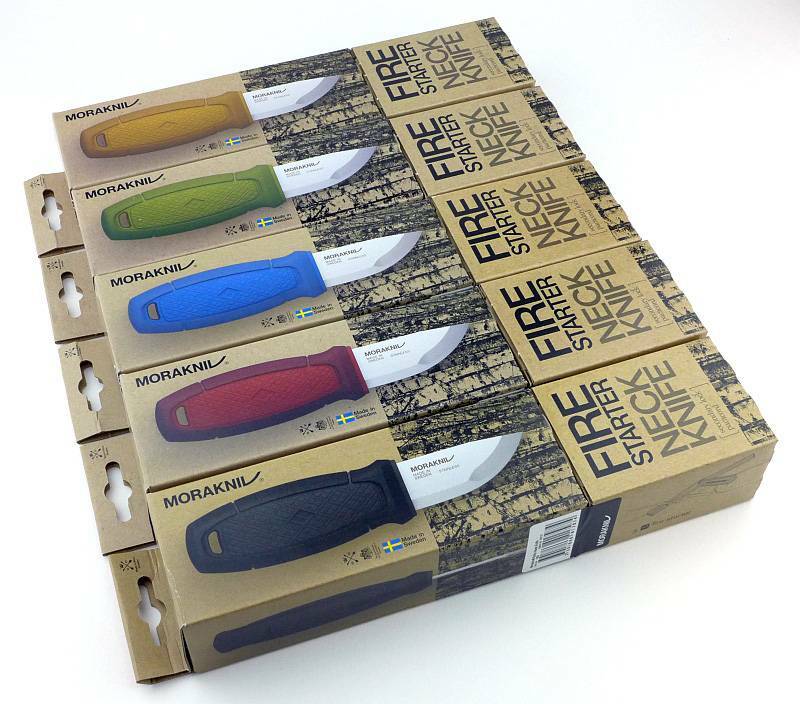 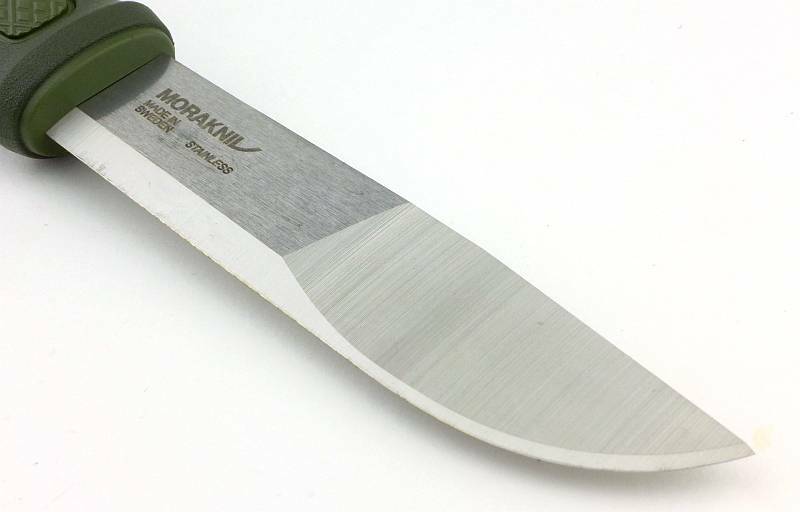 Morakniv are extremely good at making comfortable knives, and though the Kansbol’s handle is not shaped in the way the Companion and Bushcraft models are, you can work with it for hours on end. 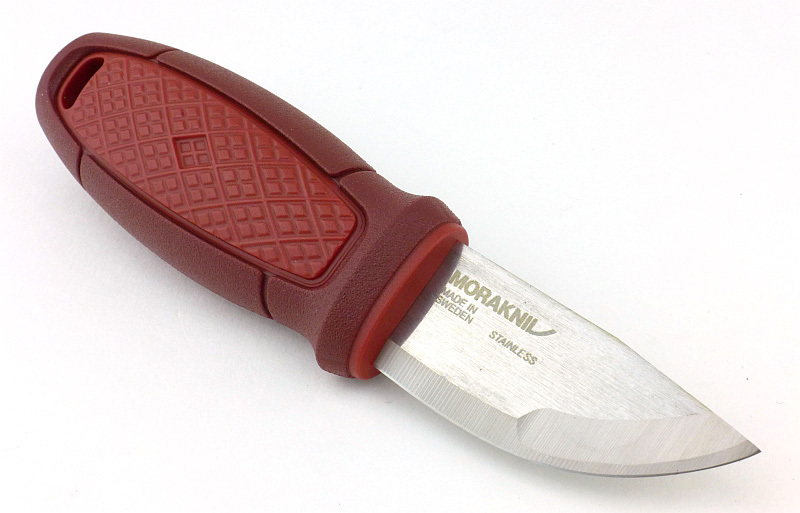 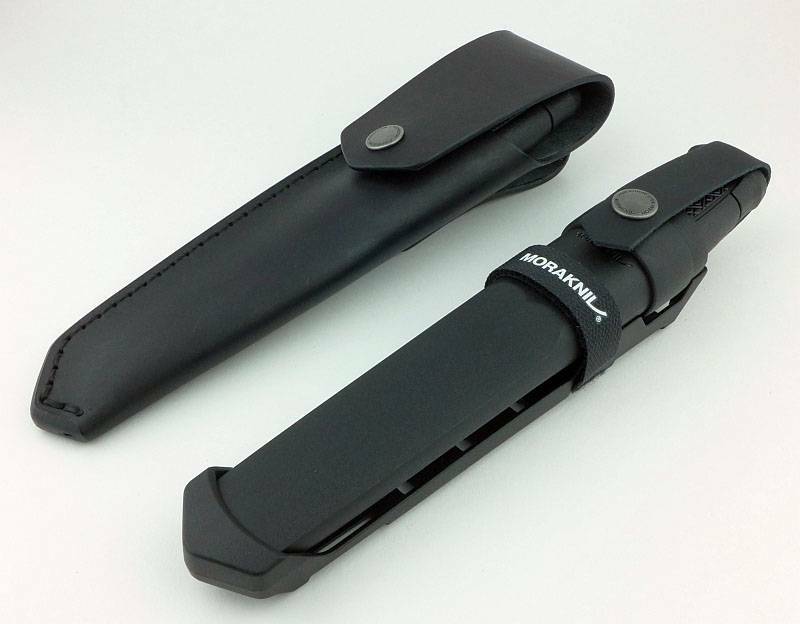 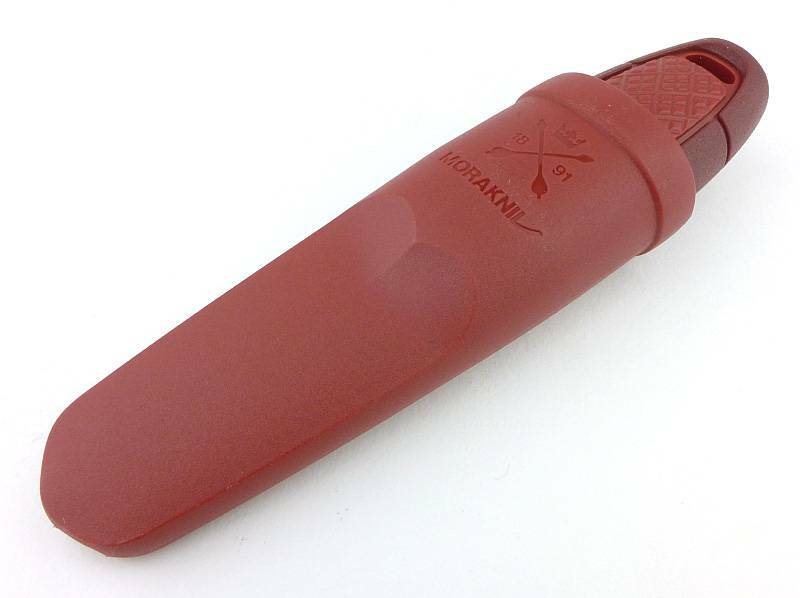 The handle is a size that will work well for almost anyone (I take XL size gloves), and in line with many of the other Morakniv knives, the blade length is easy to wield for all those every day tasks. 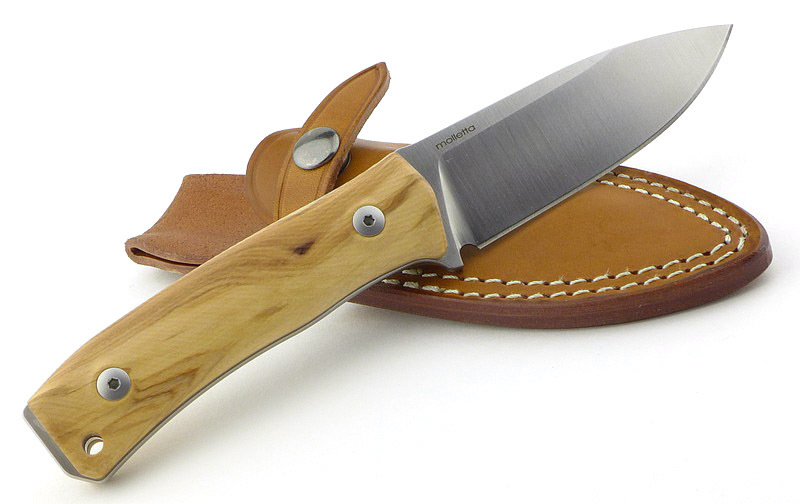 As you would expect, the Scandi-grind of the Kansbol takes all things wood related in its stride. 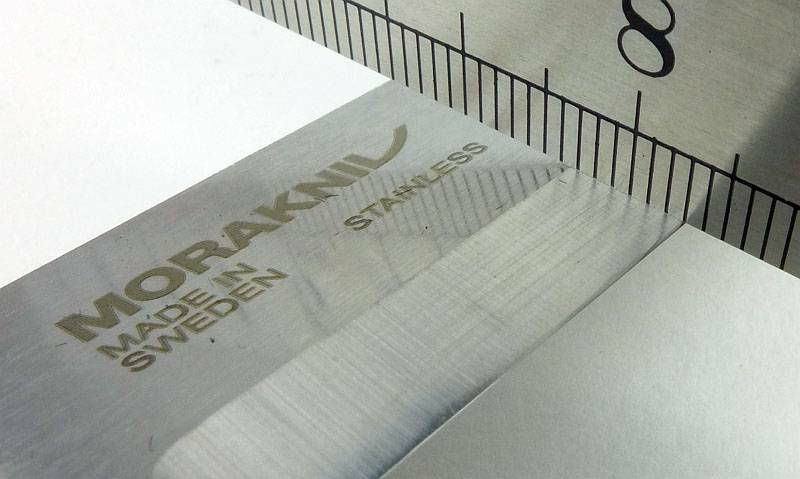 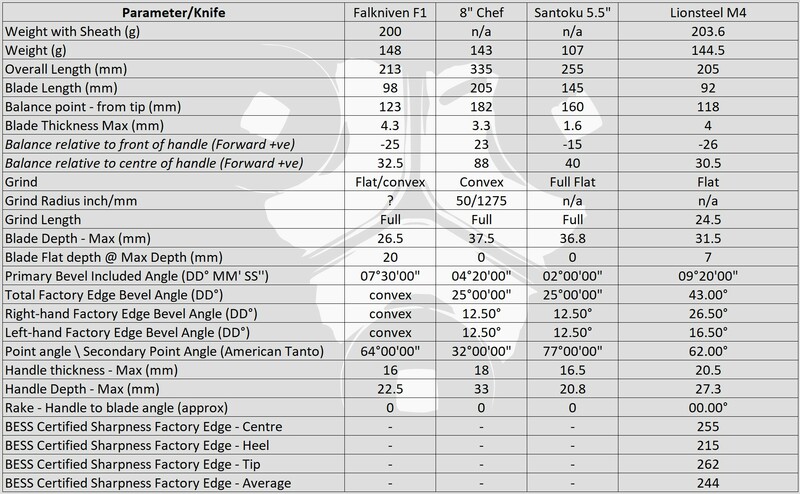 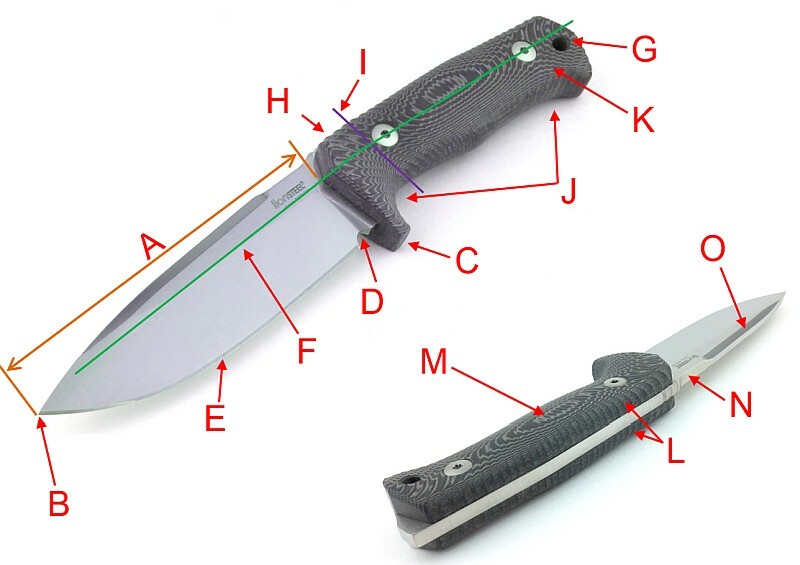 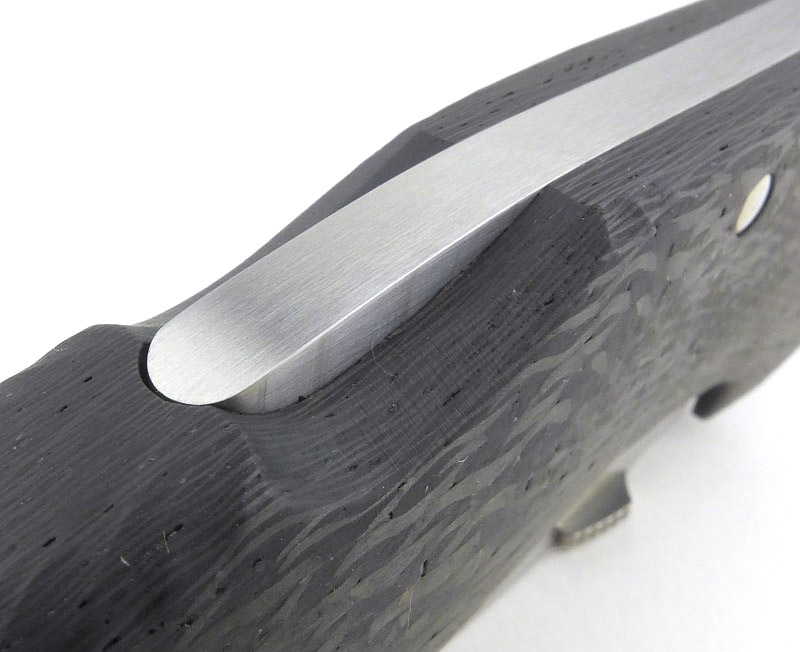 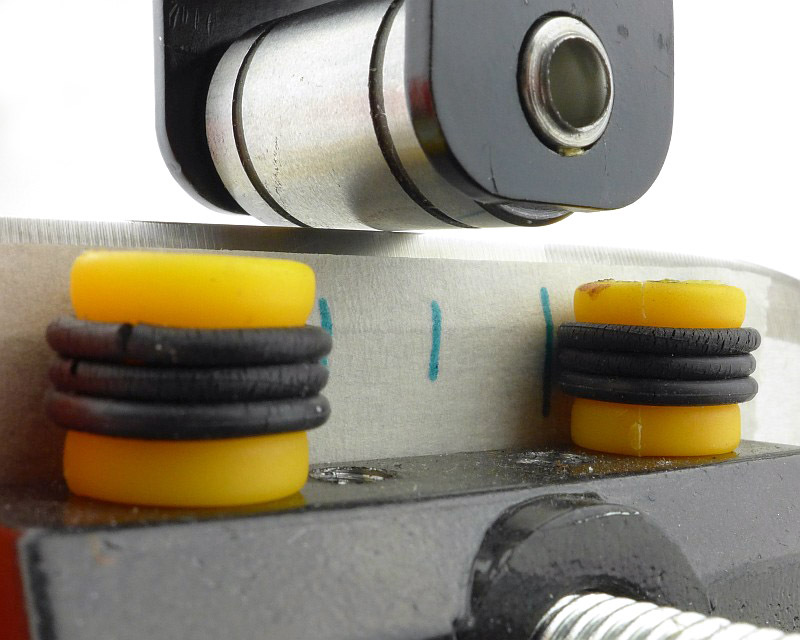 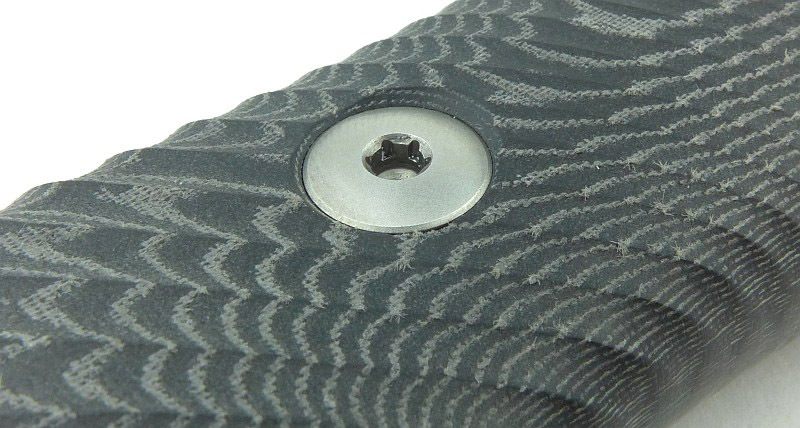 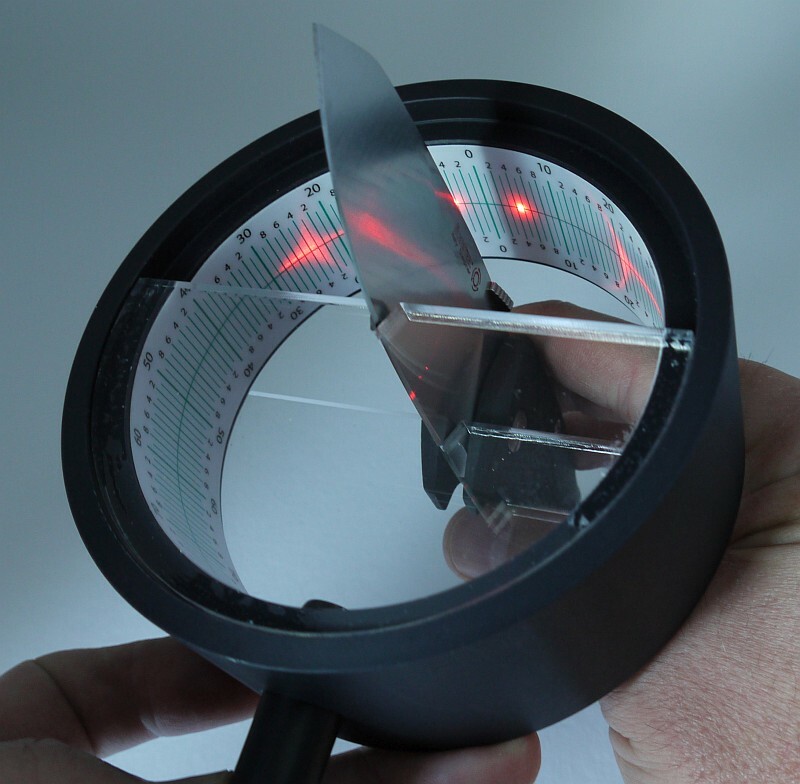 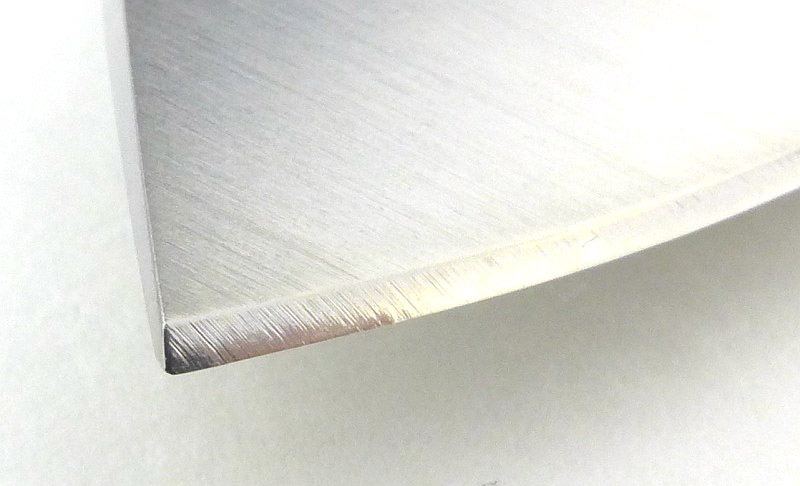 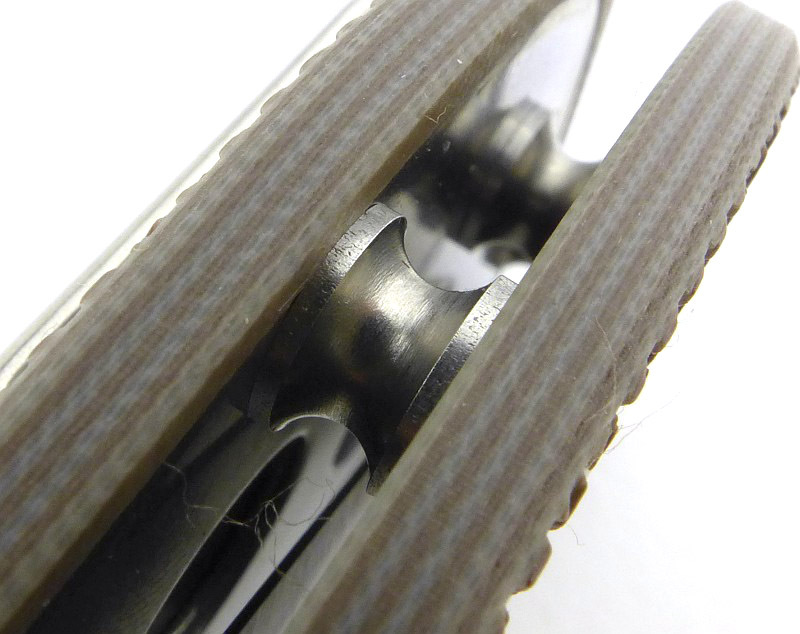 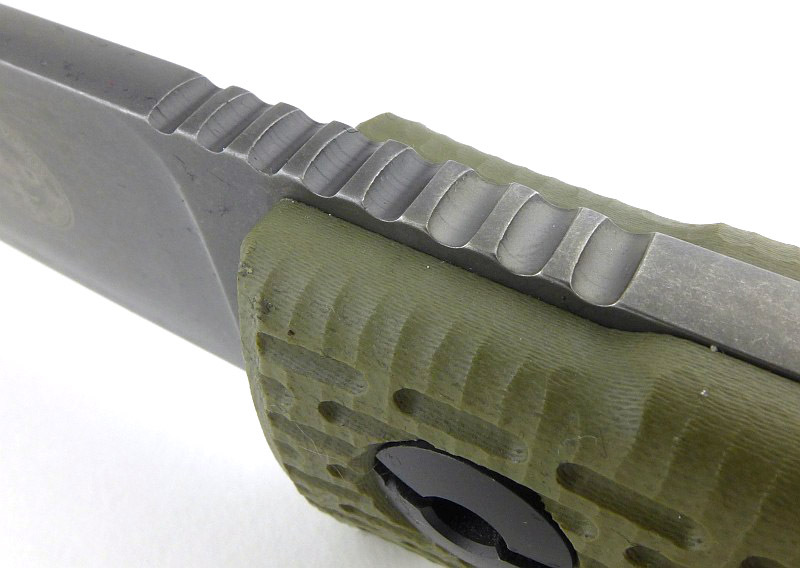 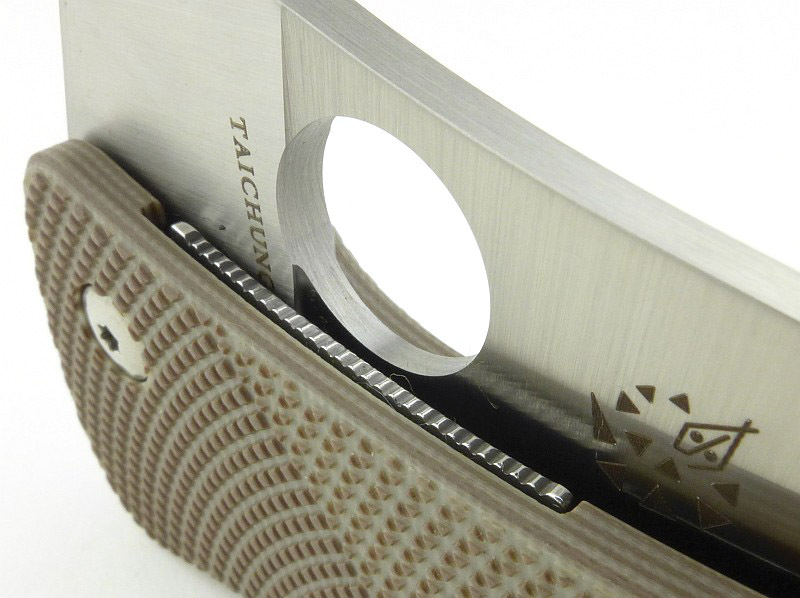 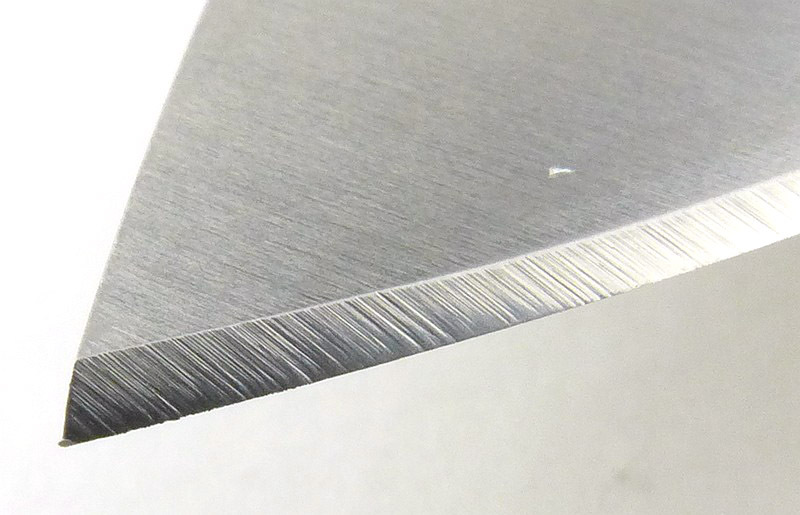 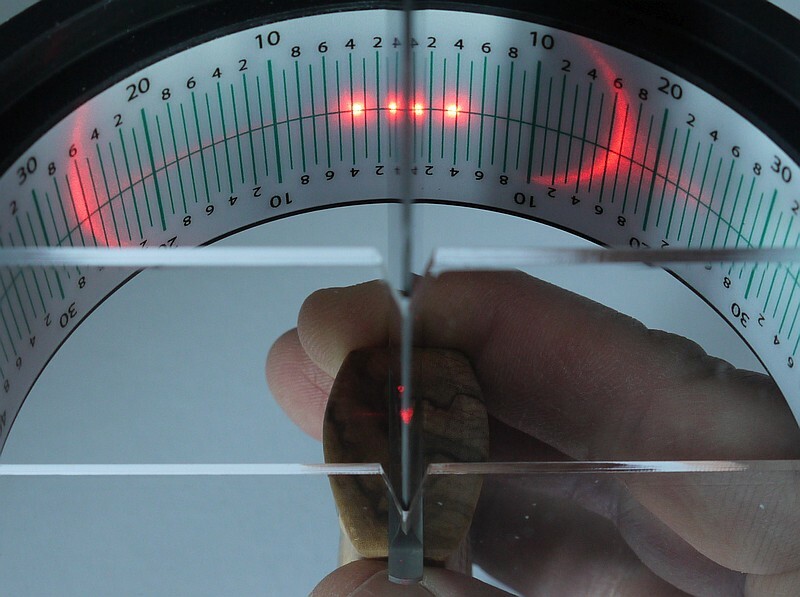 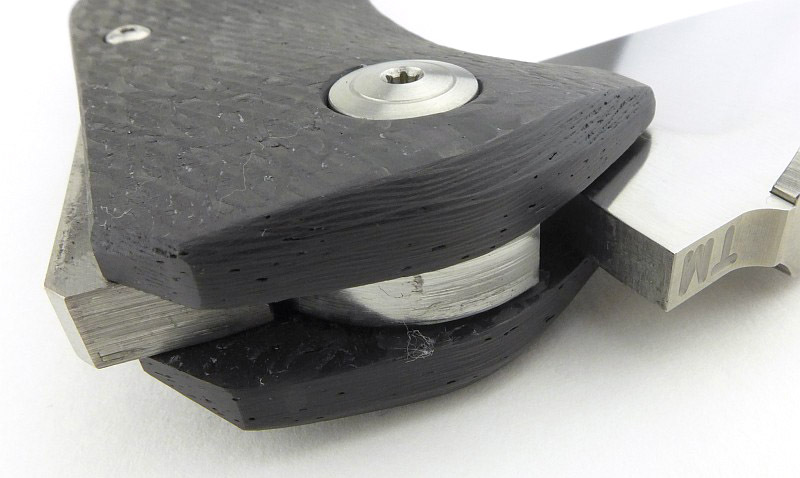 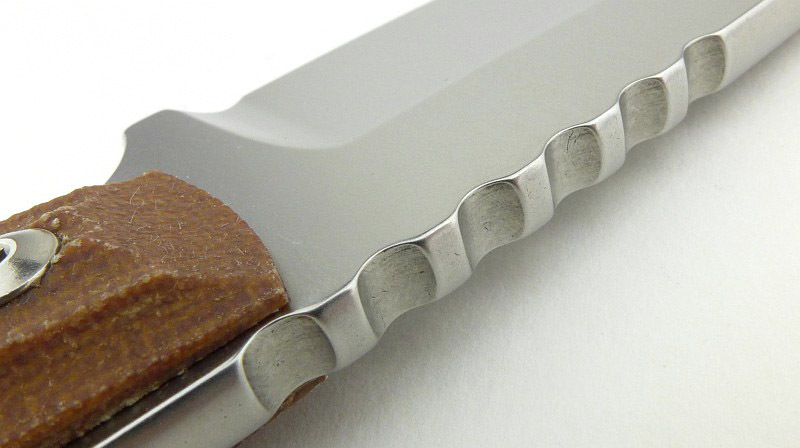 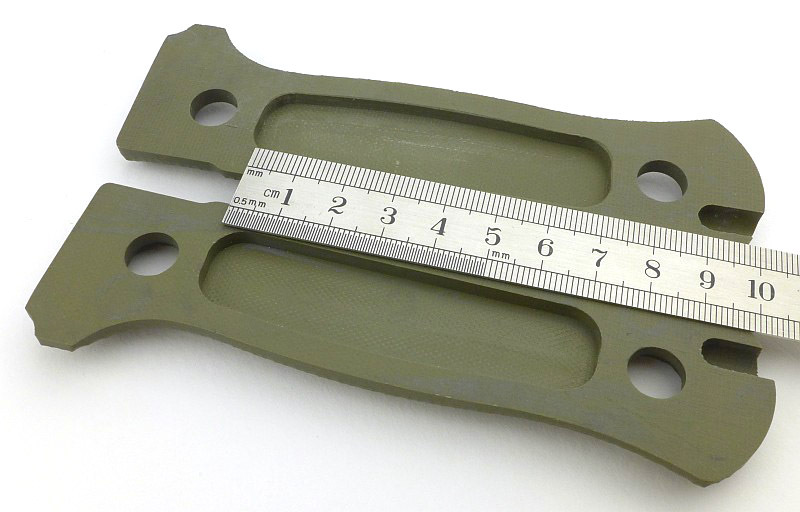 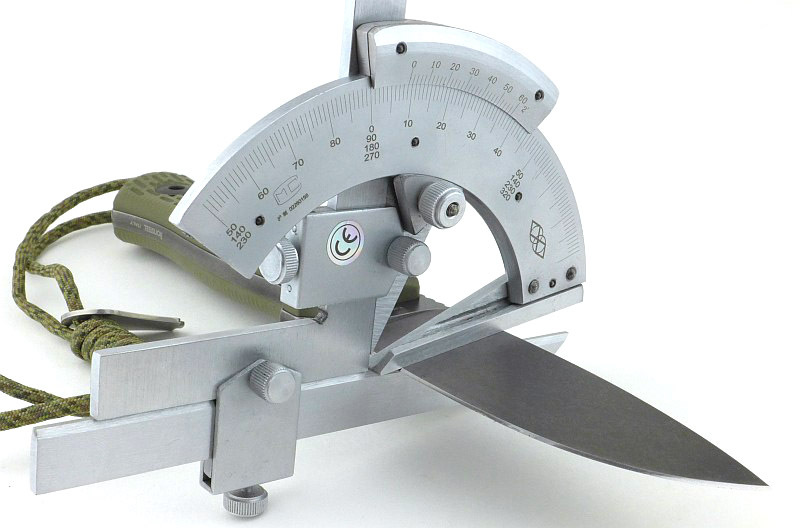 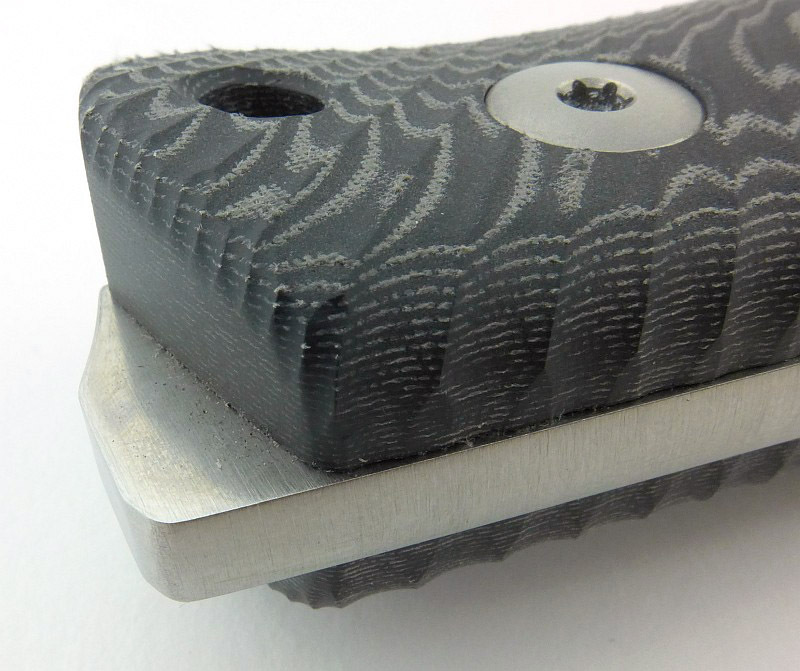 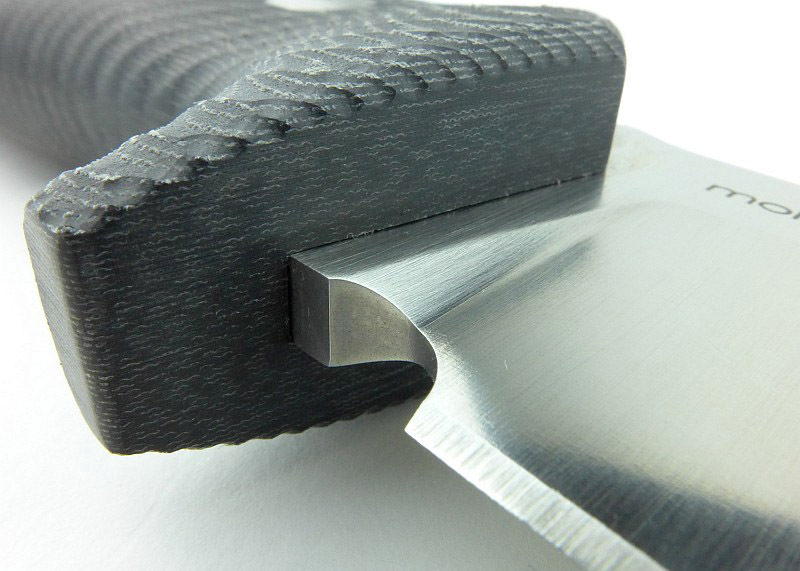 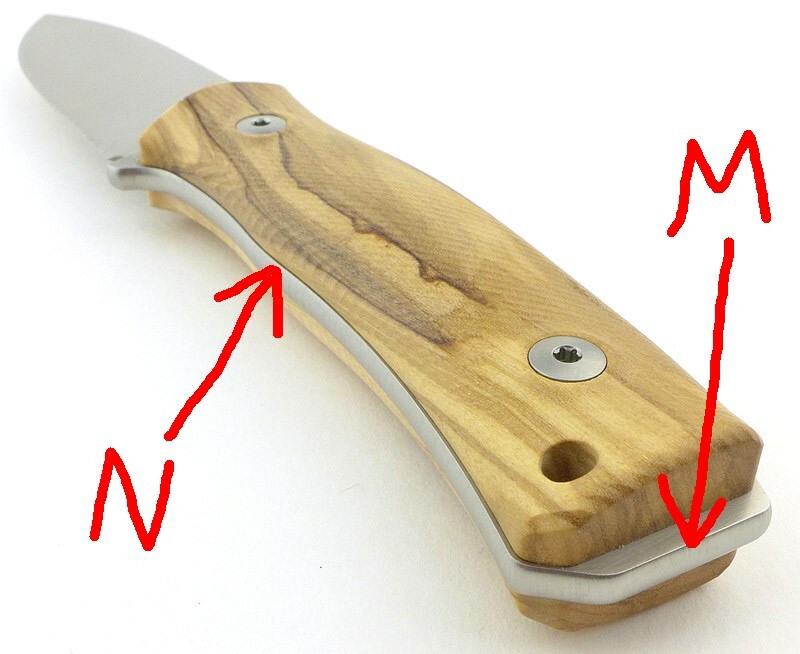 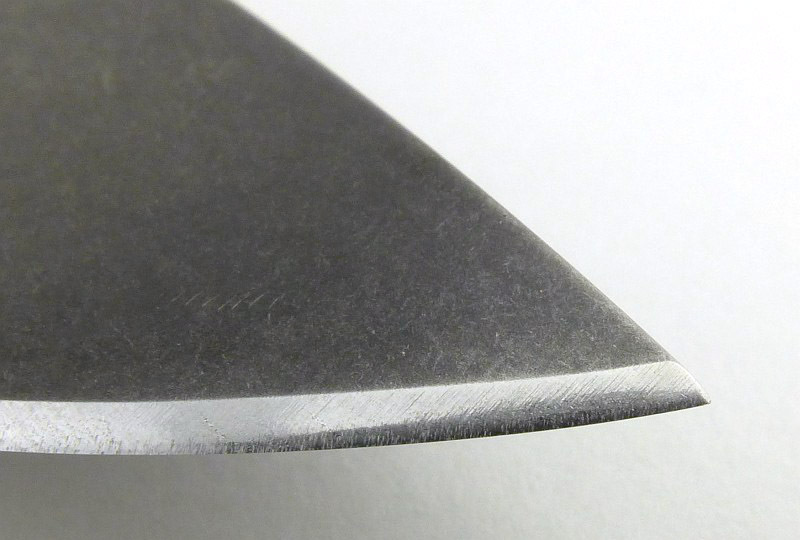 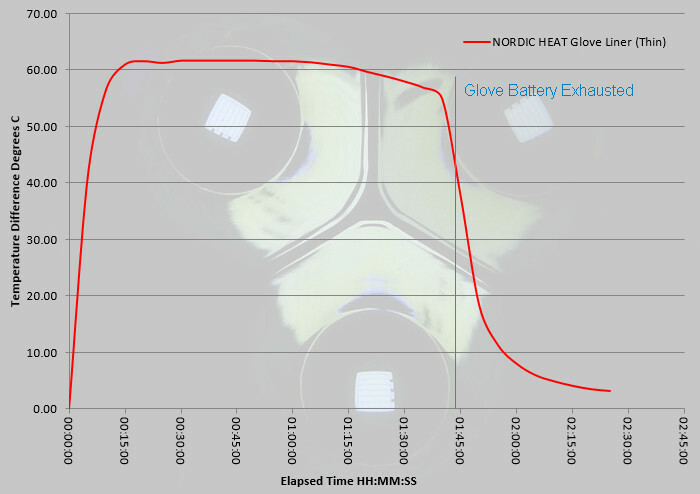 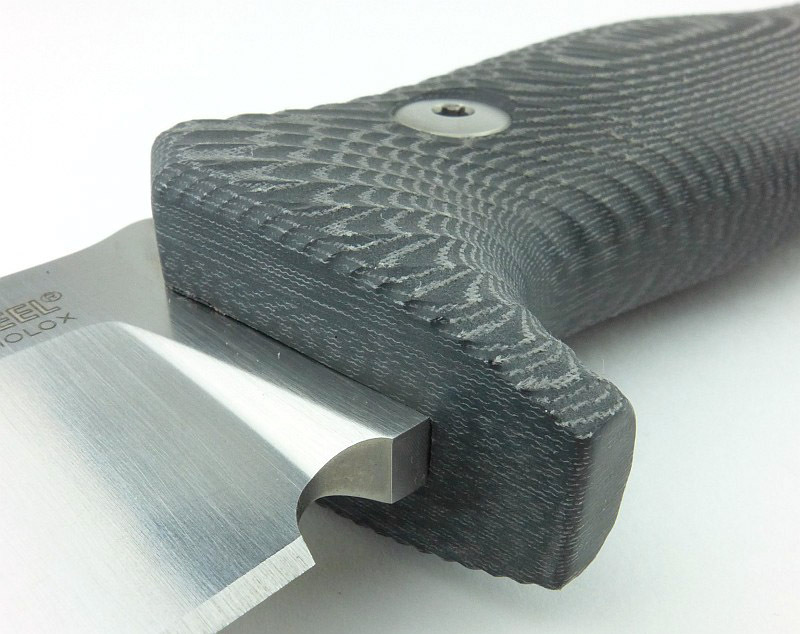 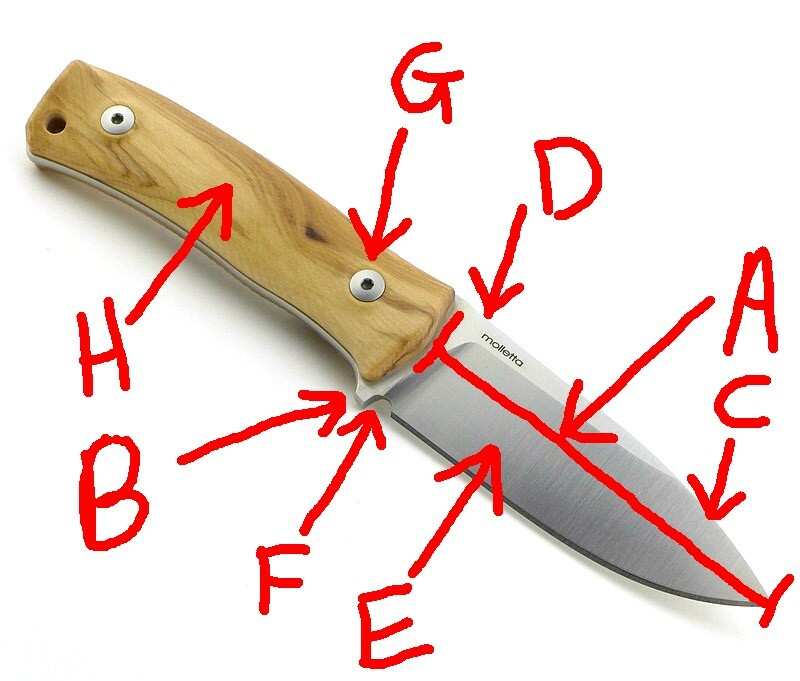 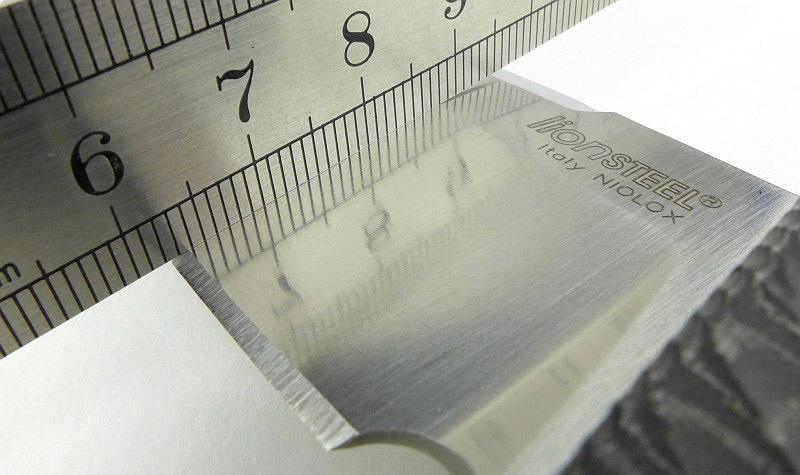 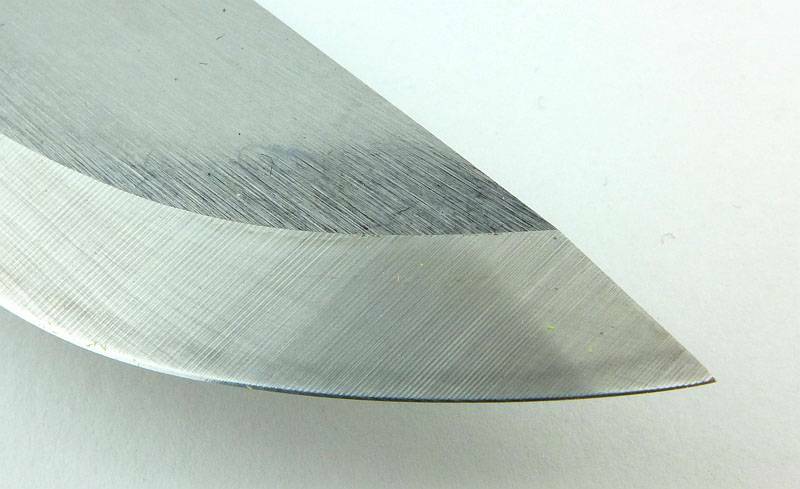 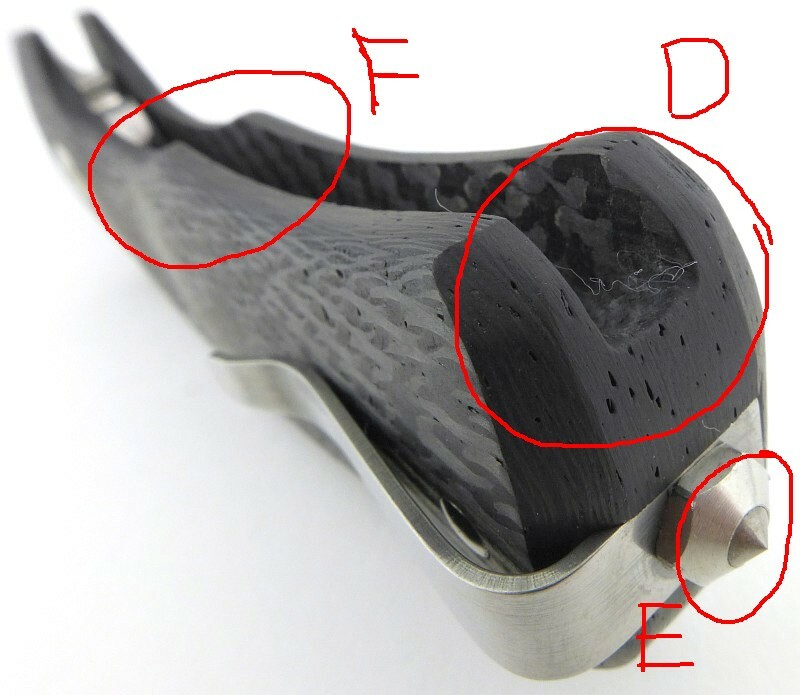 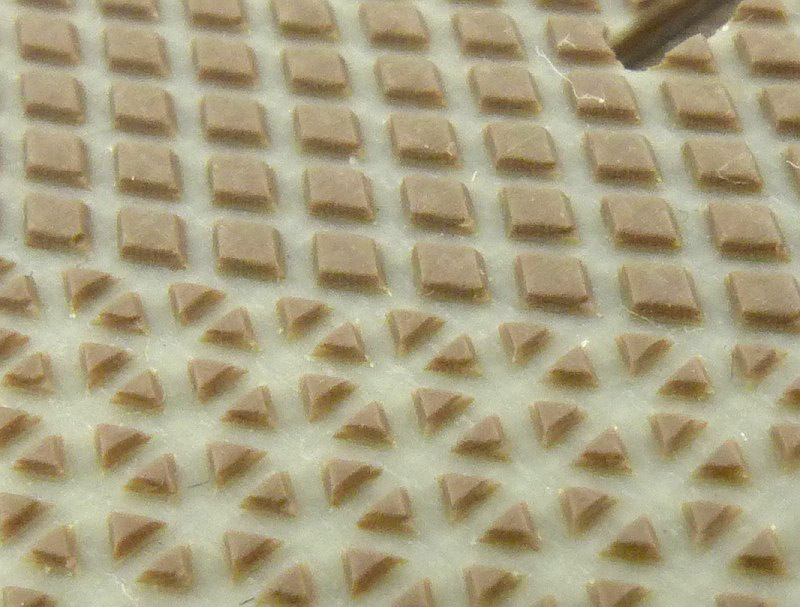 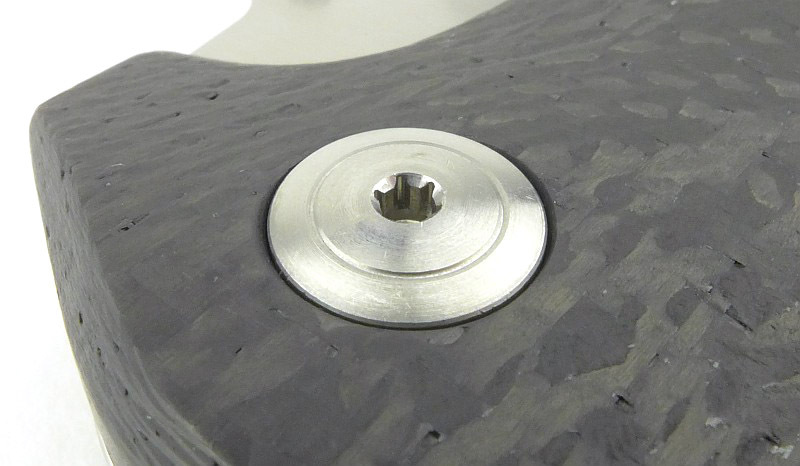 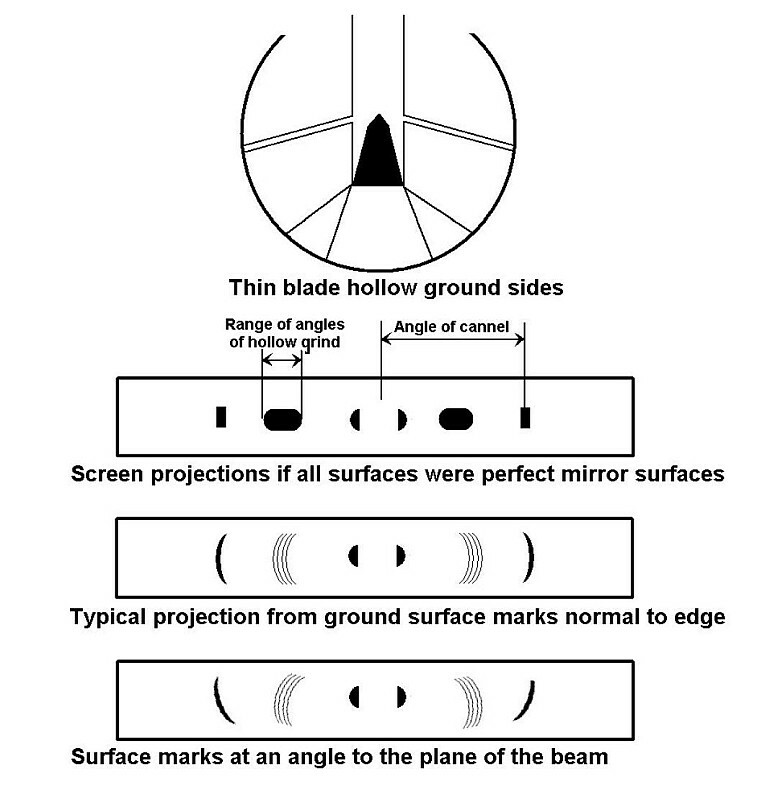 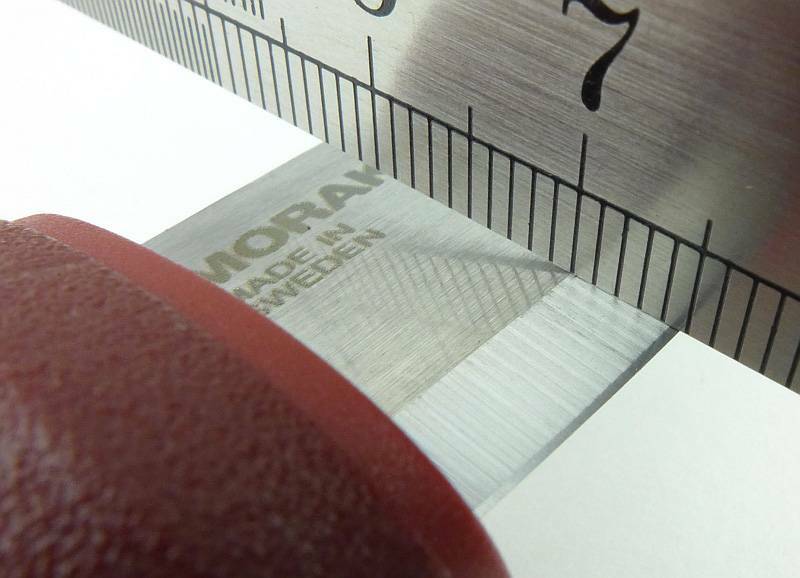 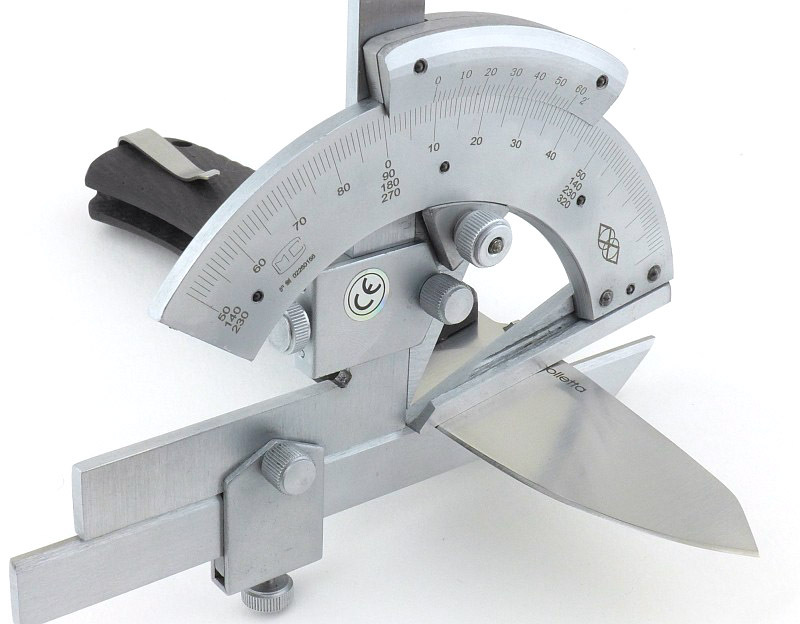 What is not shown here is the fact that the additional profiling of the forward section of the blade makes it well suited to many tasks a standard Scandi-grind blade is not. 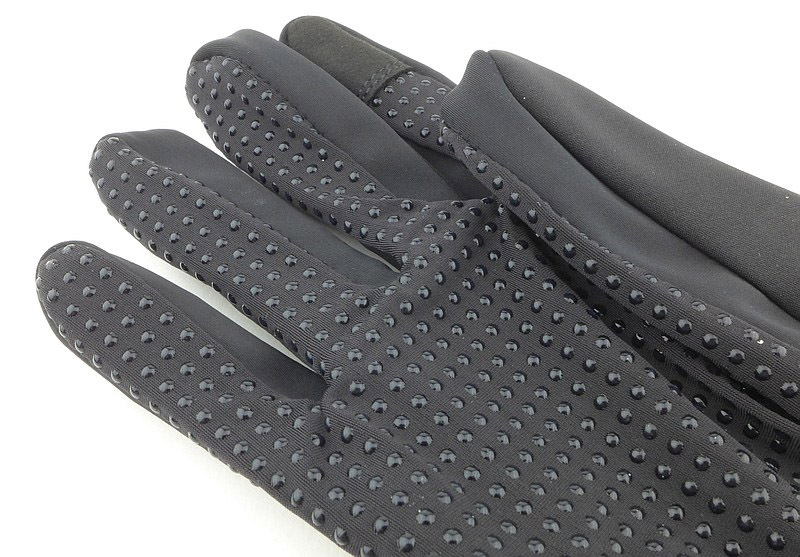 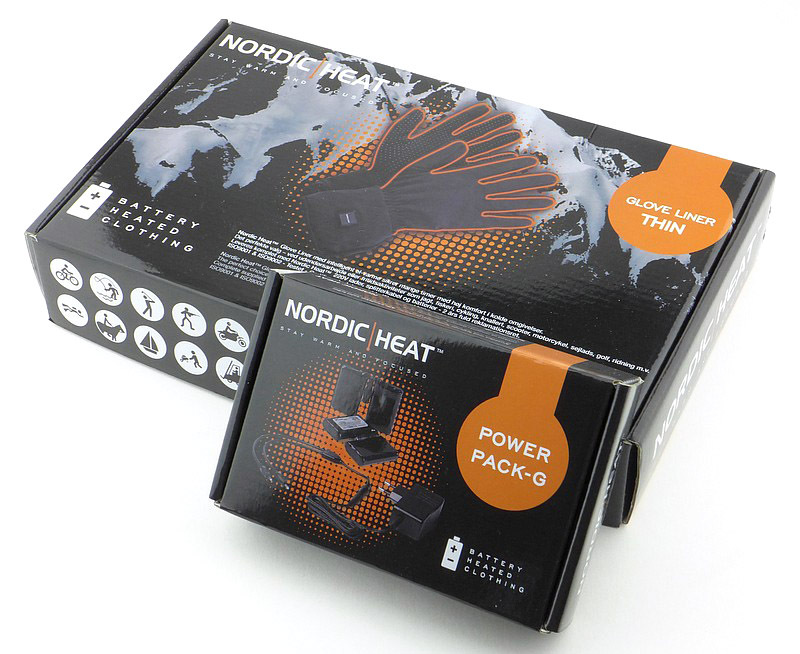 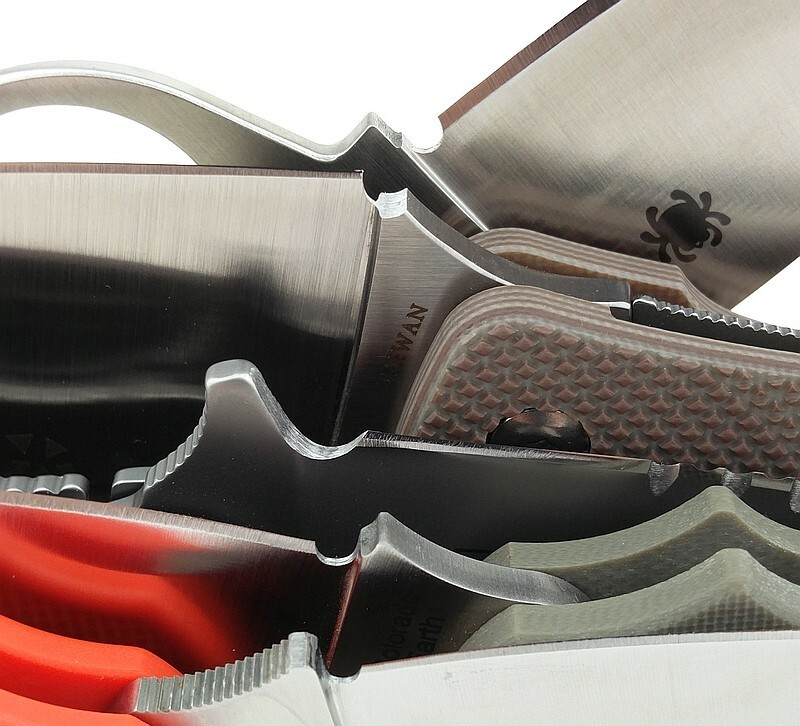 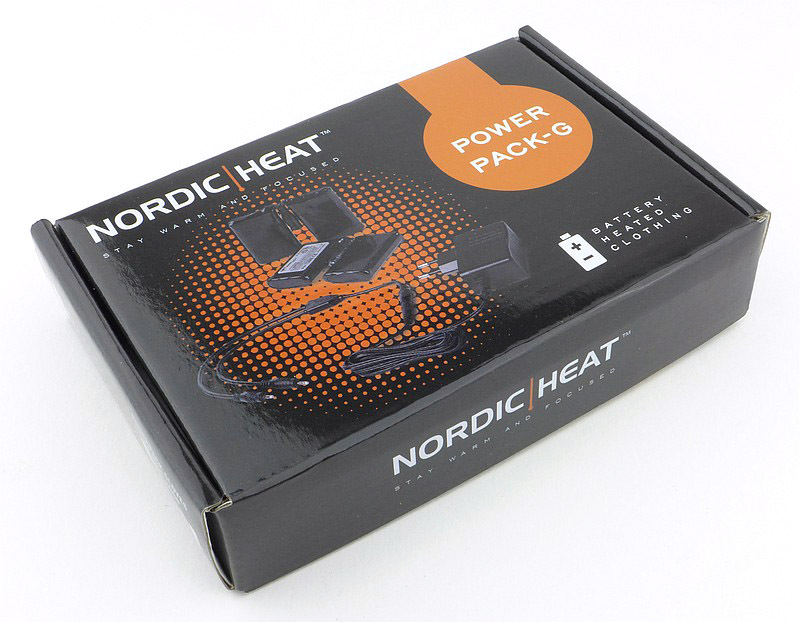 This includes food preparation, and game preparation where the slimmer blade cuts deeply much more easily. 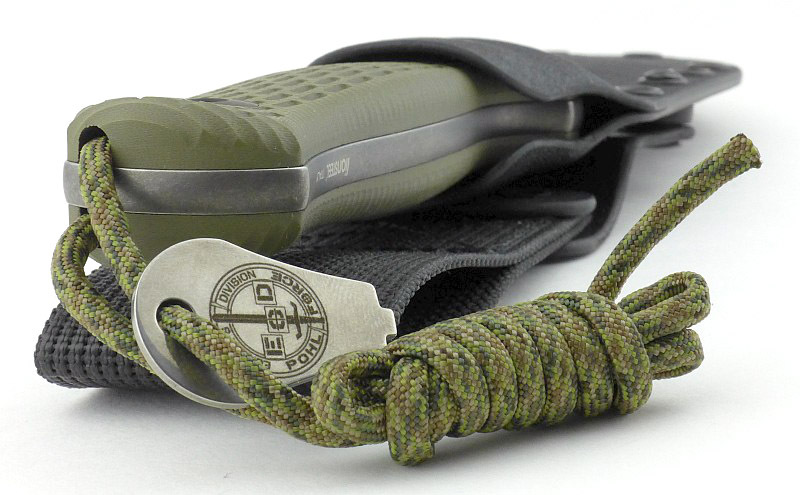 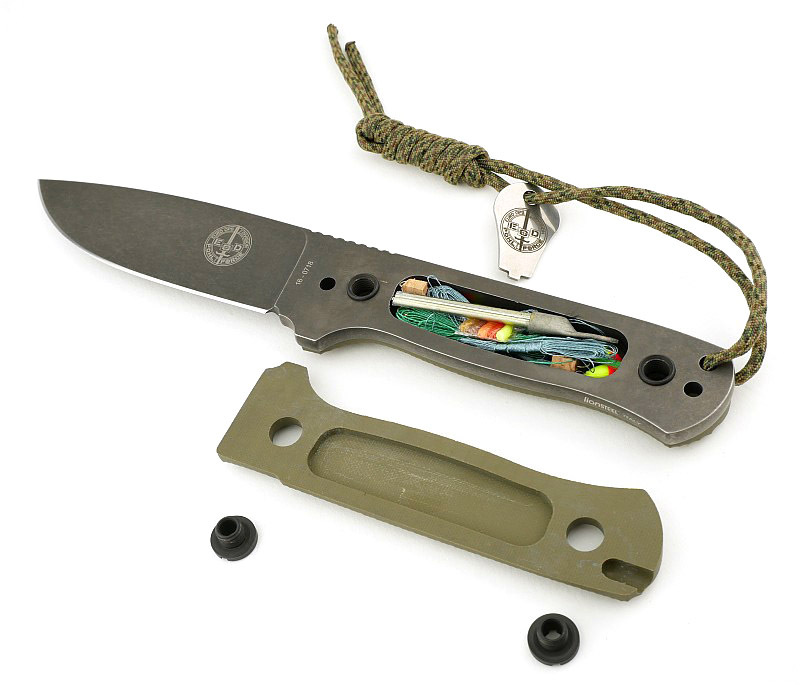 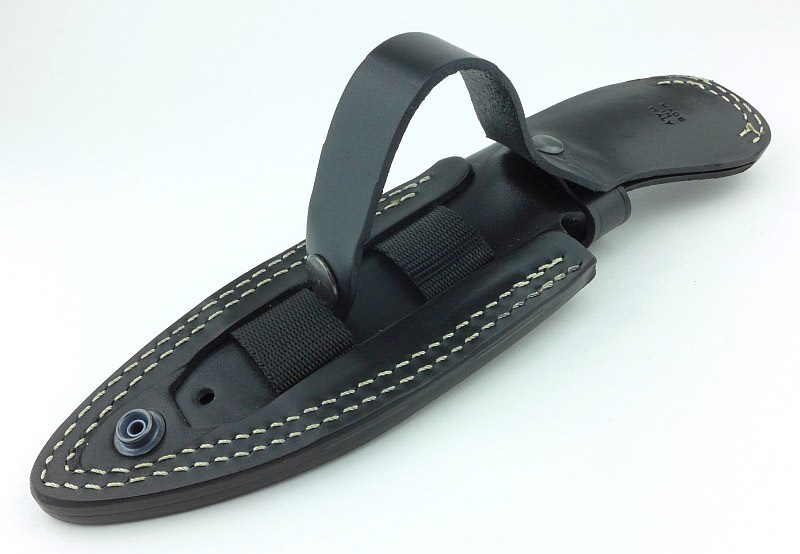 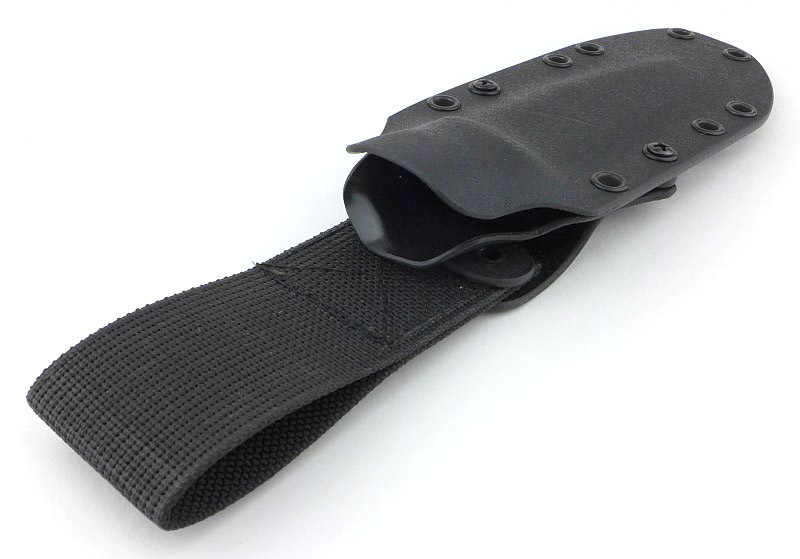 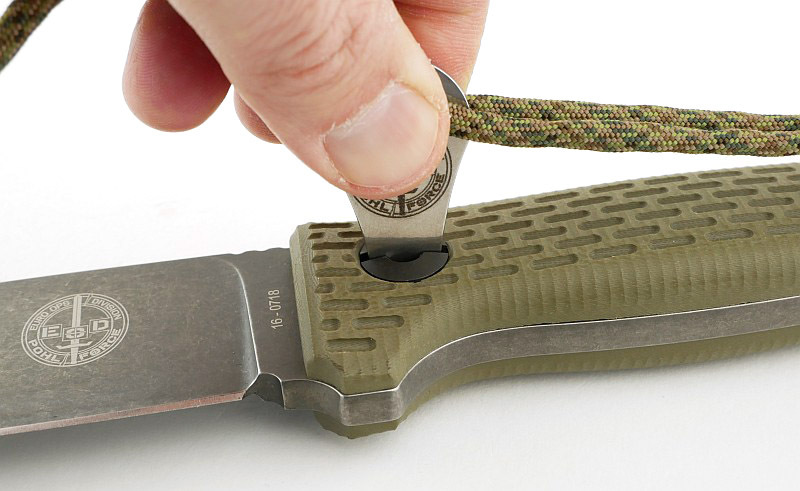 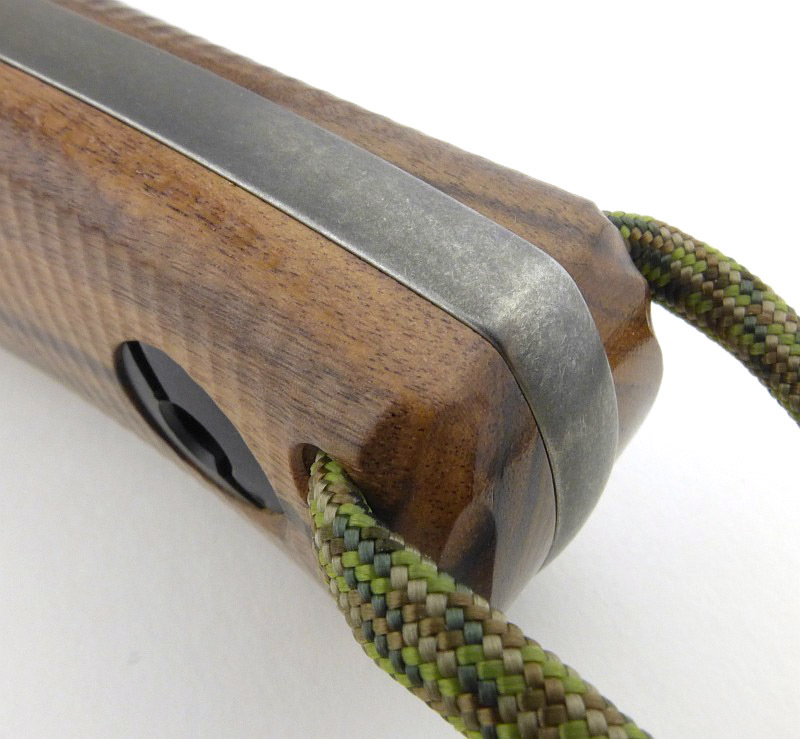 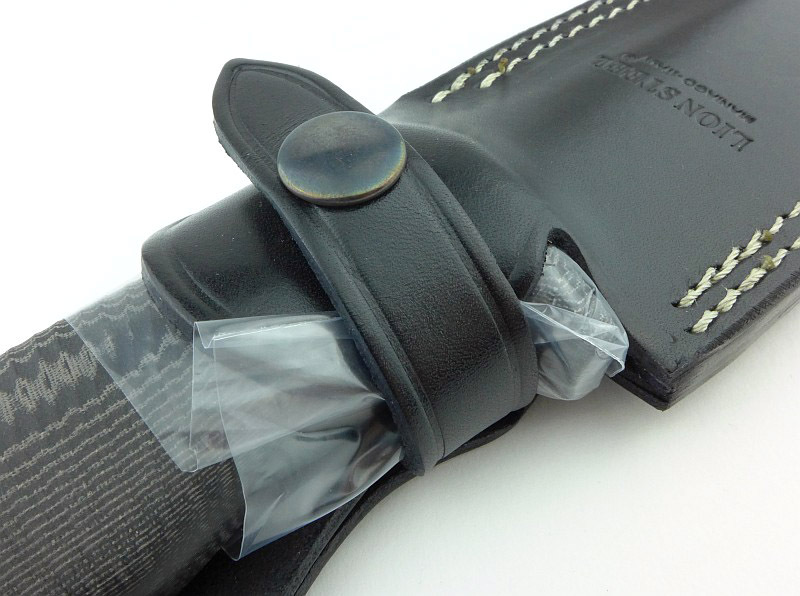 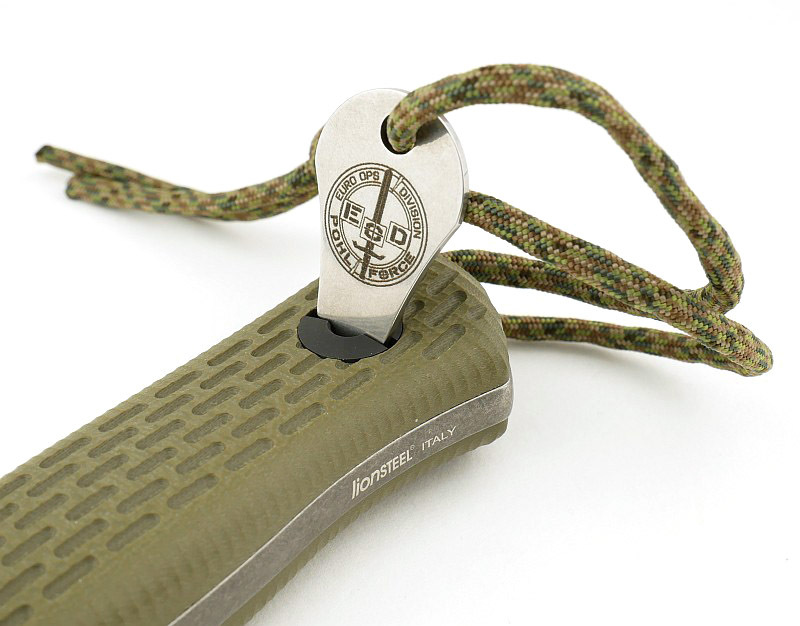 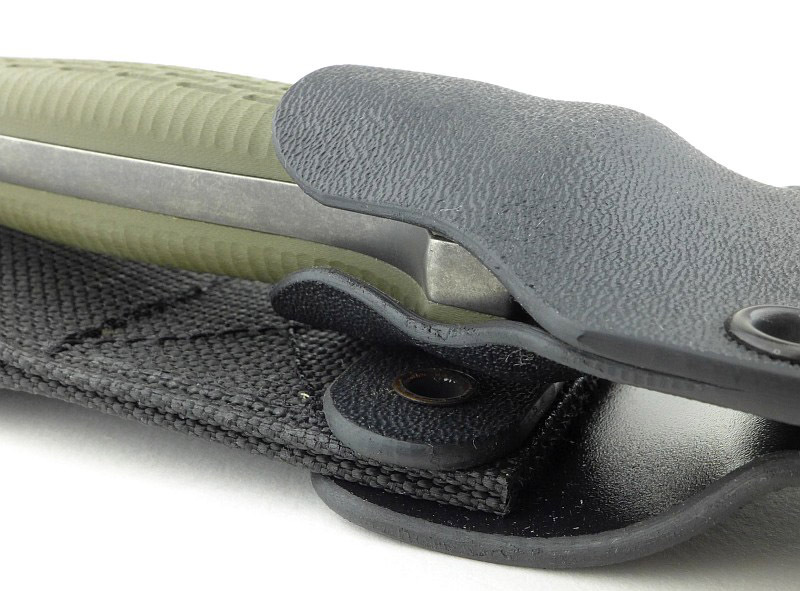 Before jumping to the Multi-Mount, something to mention about the belt loop, is that thanks to its click-fit to the sheath, you can easily remove the sheath from the loop, and stow the knife in you pack, leaving just the loop on your belt. 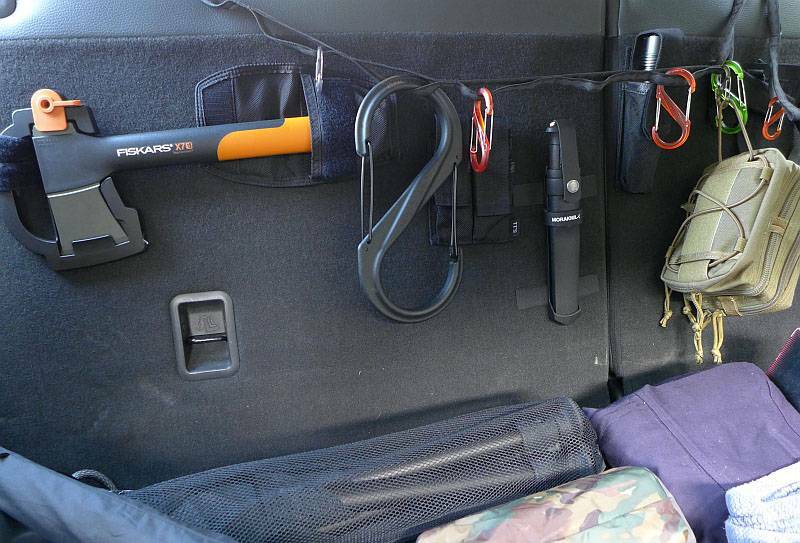 In the Garberg review, I showed the Multi-Mount fitted to the back of the rear seats of my car. 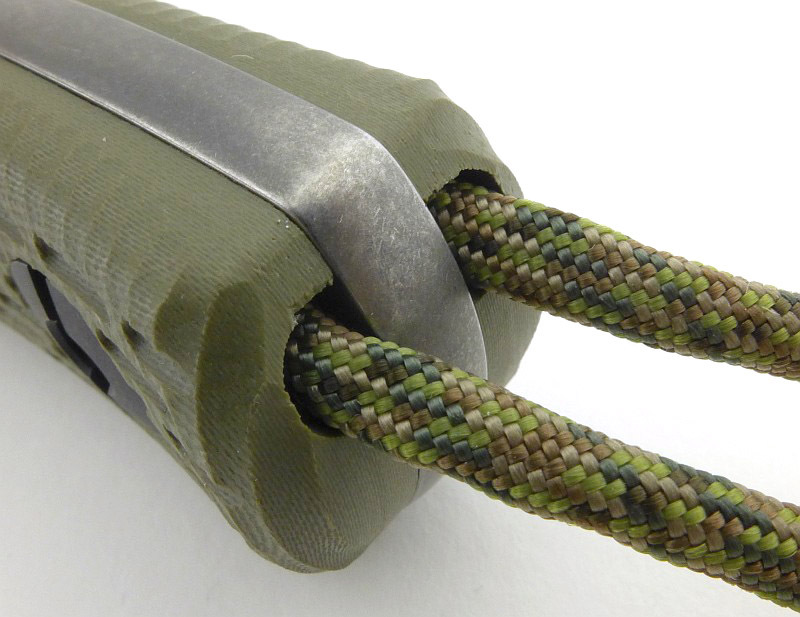 As the Multi-Mount is so versatile and opens up so many options, there are far too many to show, but to illustrate just one, in this case I’ve used the hook and loop straps to fit it to a walking stick. 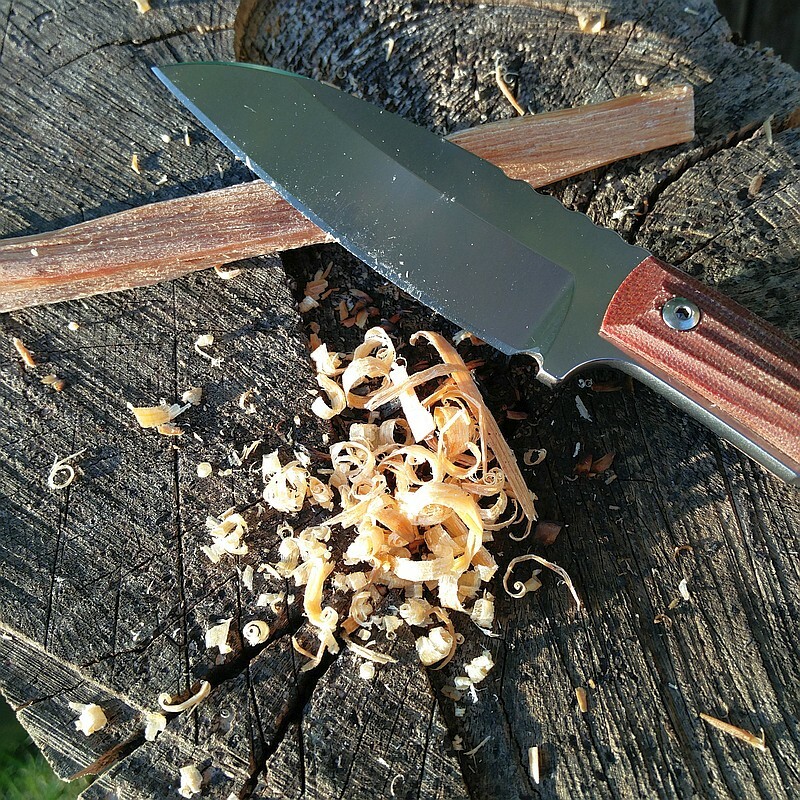 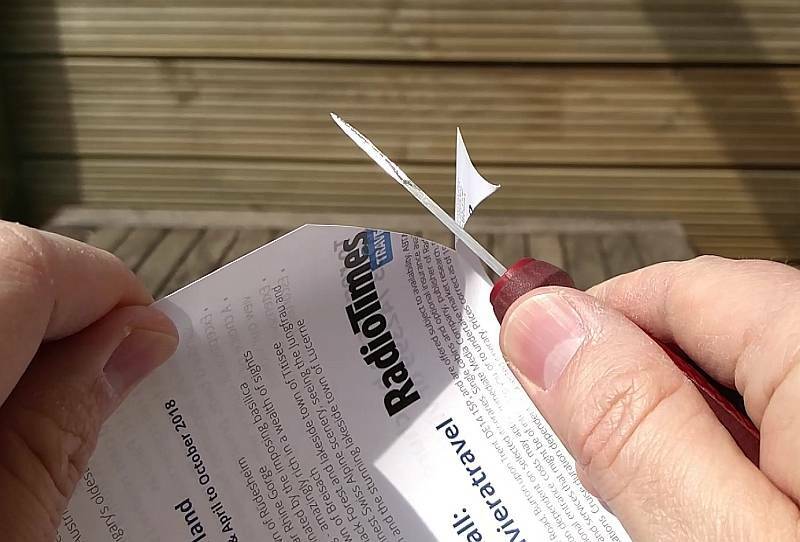 I’ve been appreciating how useful it is to have the knife to hand like this, but in the UK this is really only suitable in more rural areas where the sight of a working tool does not cause distress to anyone. 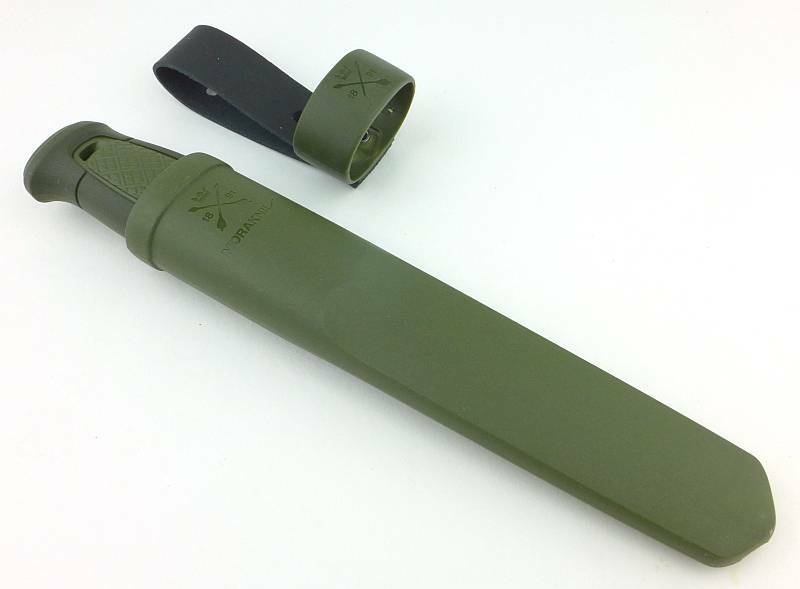 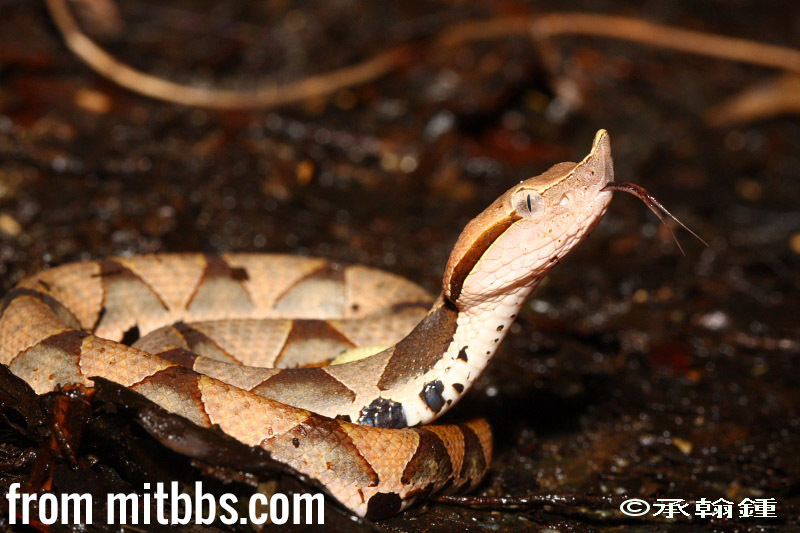 Although the Kansbol will work hard, I’d not choose to be batoning with it too much. 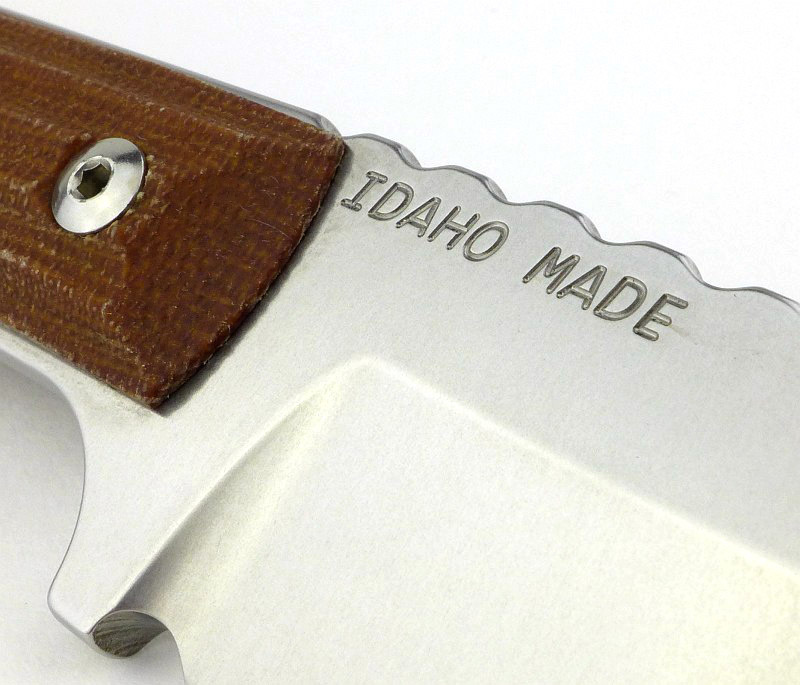 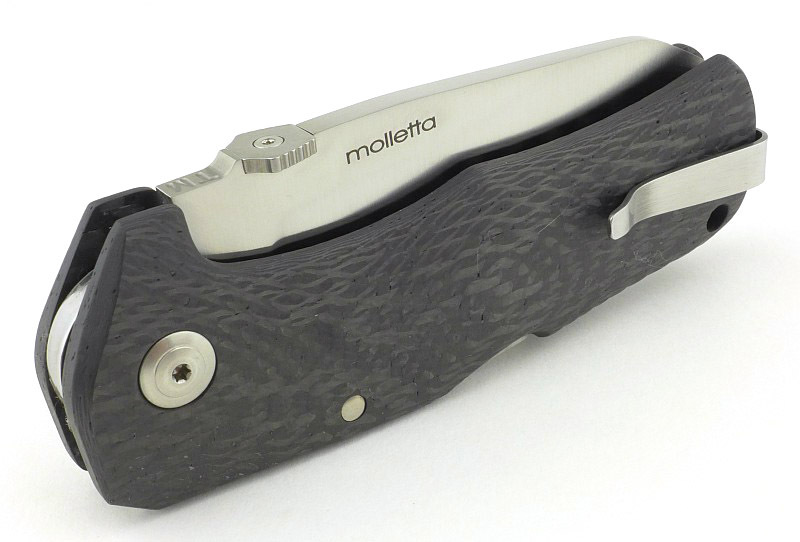 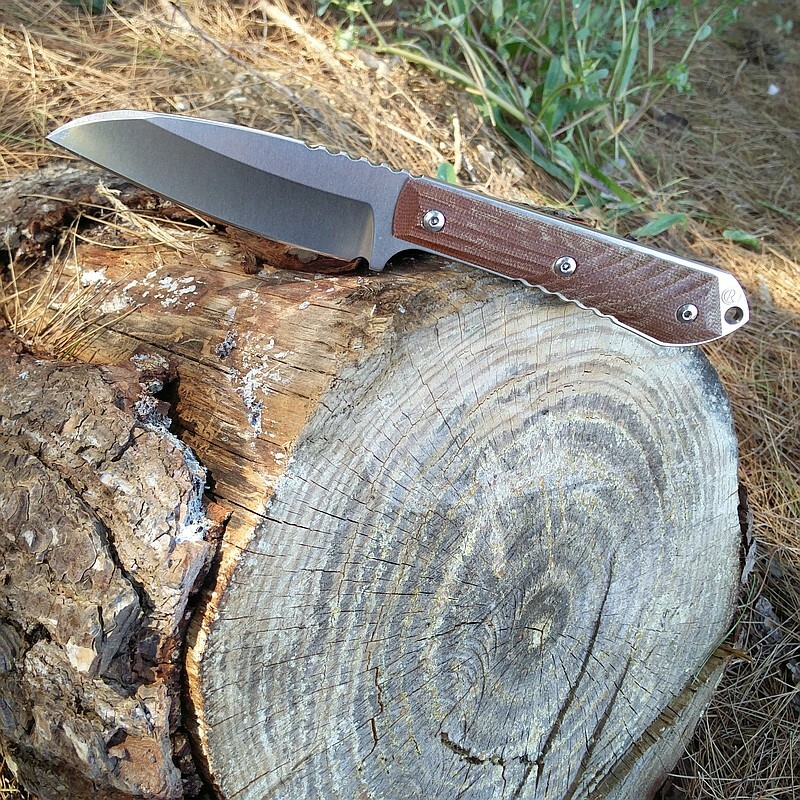 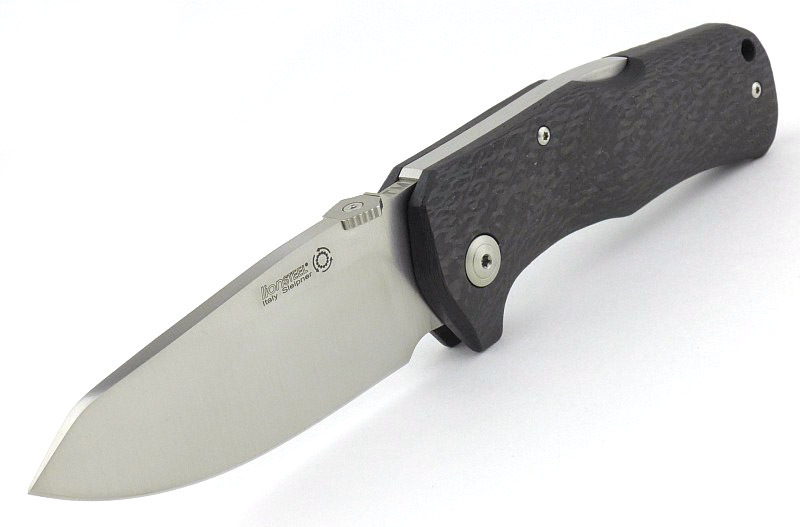 Given its proper place as a general purpose knife, it does this job fantastically well. 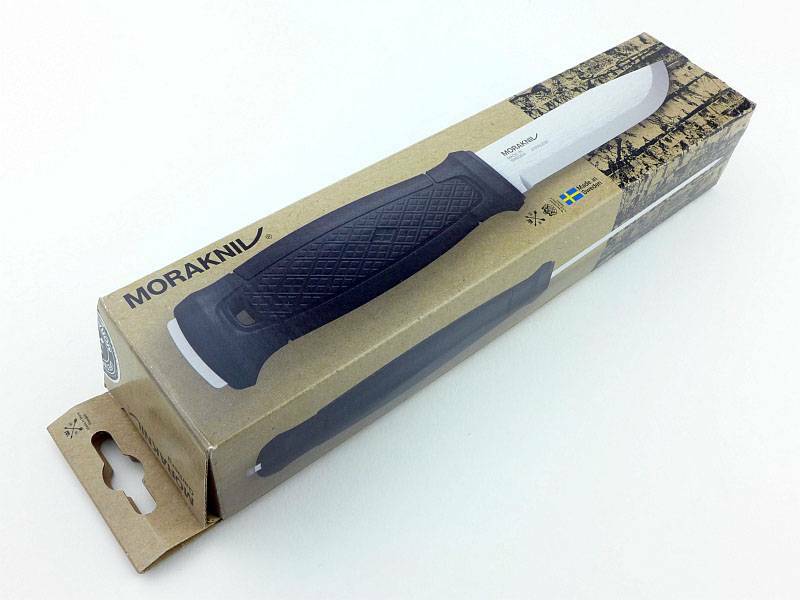 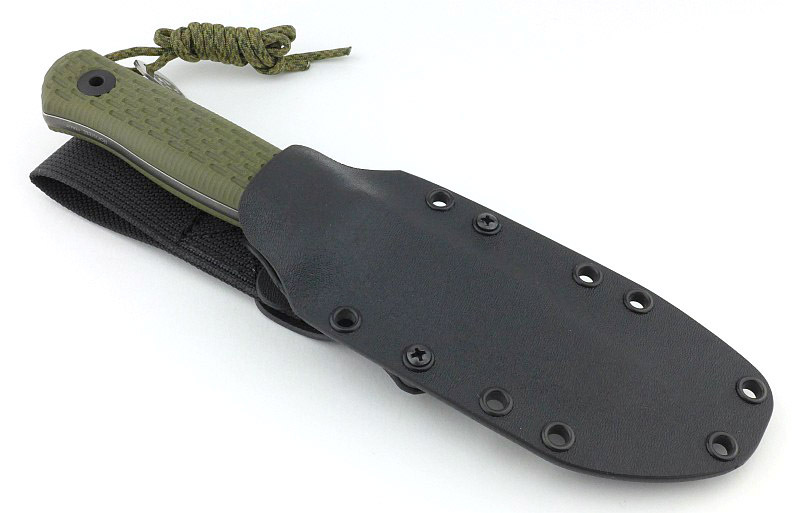 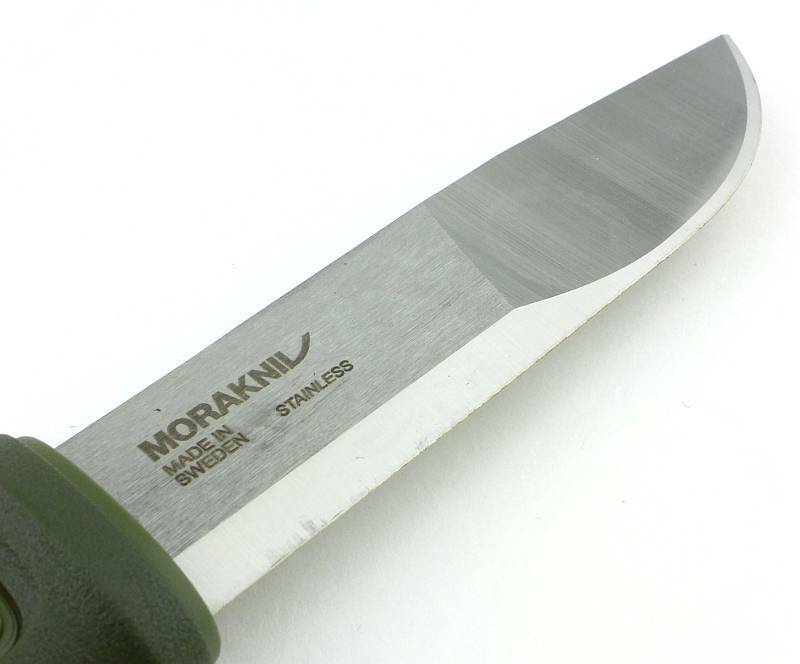 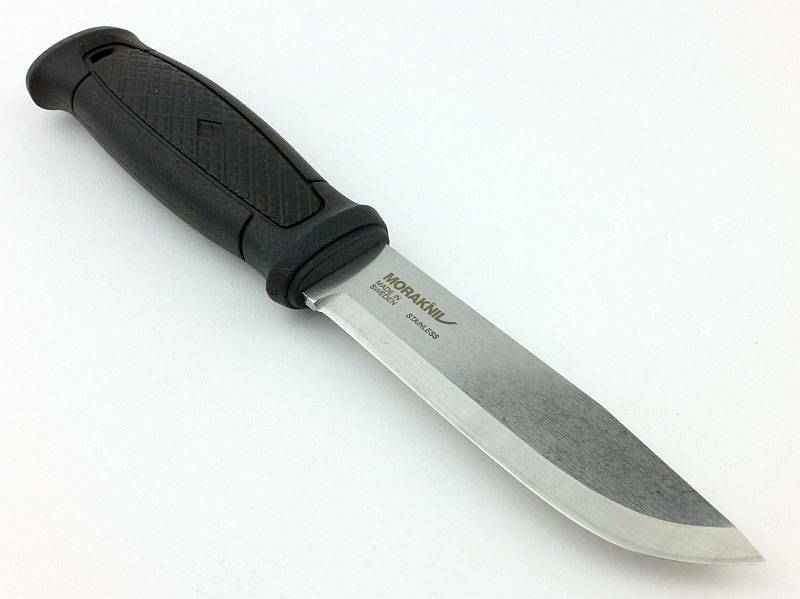 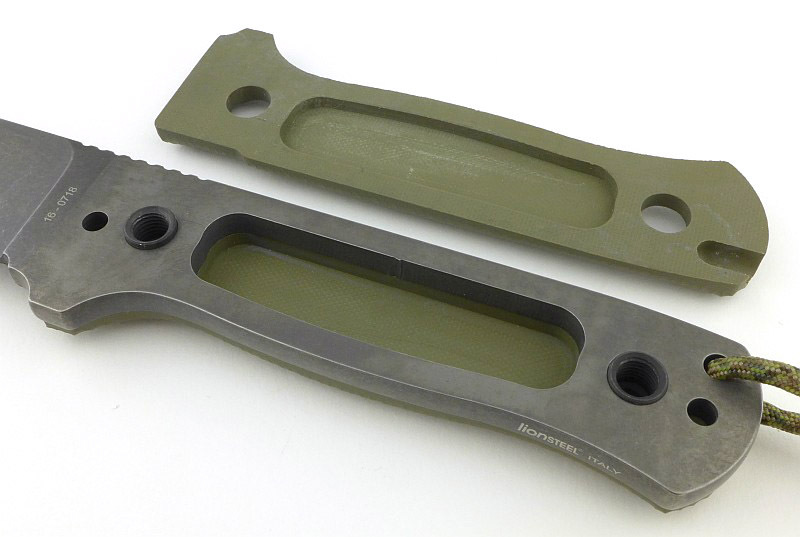 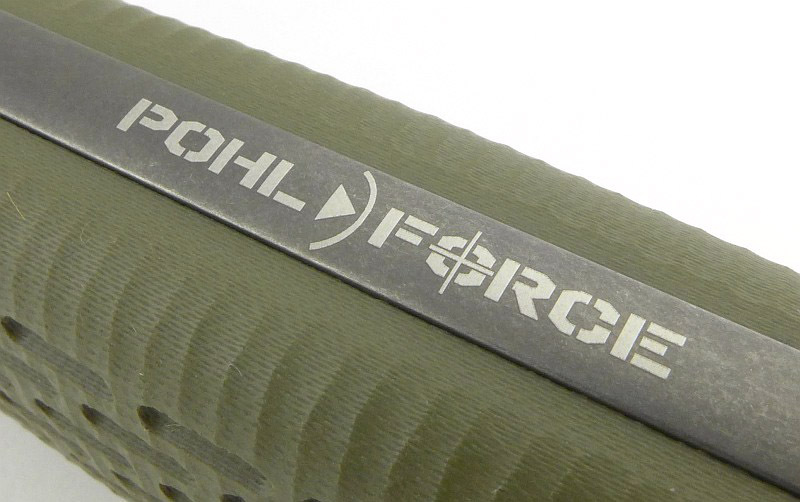 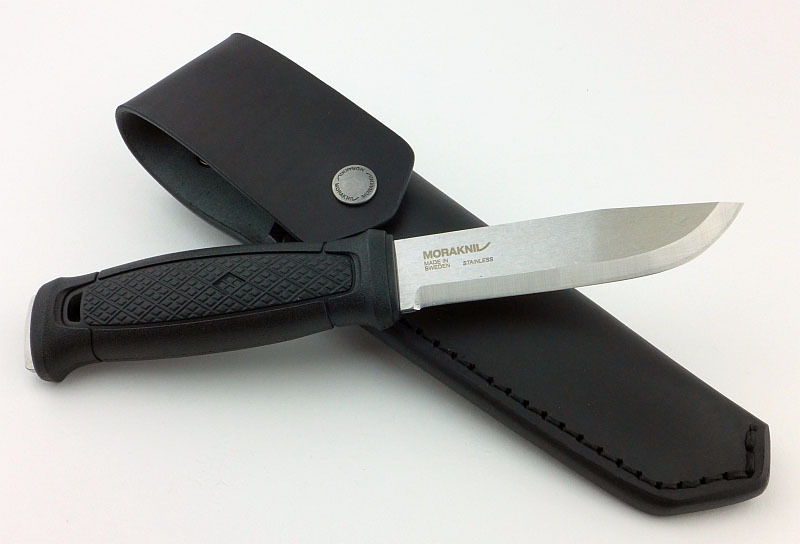 Hopefully by re-launching this knife blade (from the ‘2000’ model), Morakniv will bring the benefits of the profiled blade more into the limelight. Additional blade profiling makes this an excellent all-rounder. 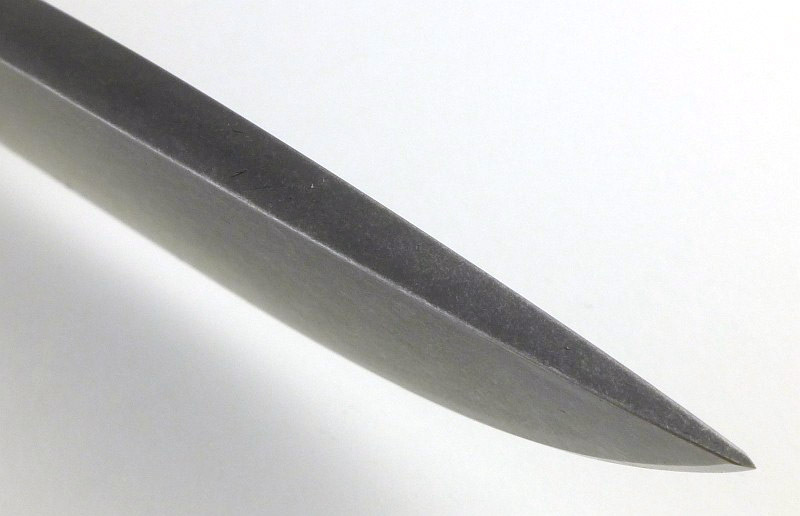 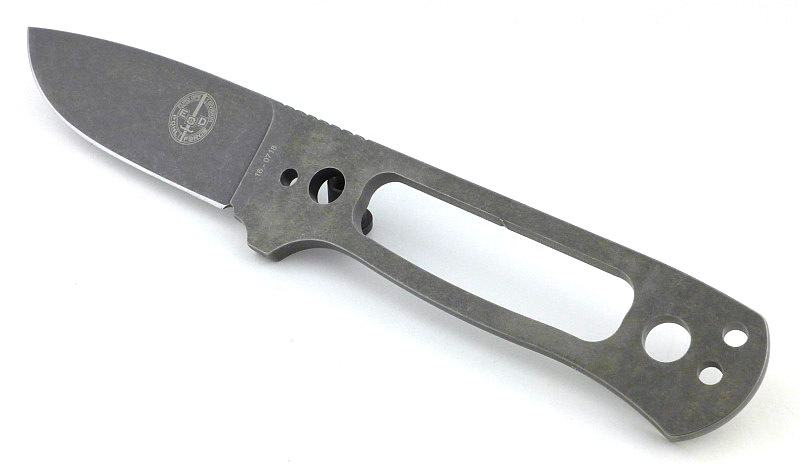 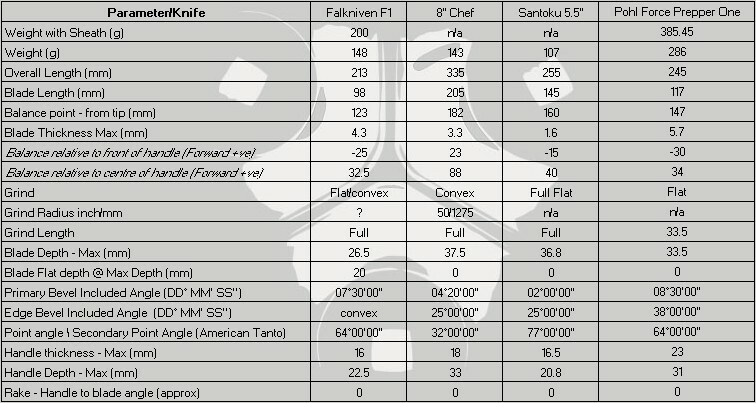 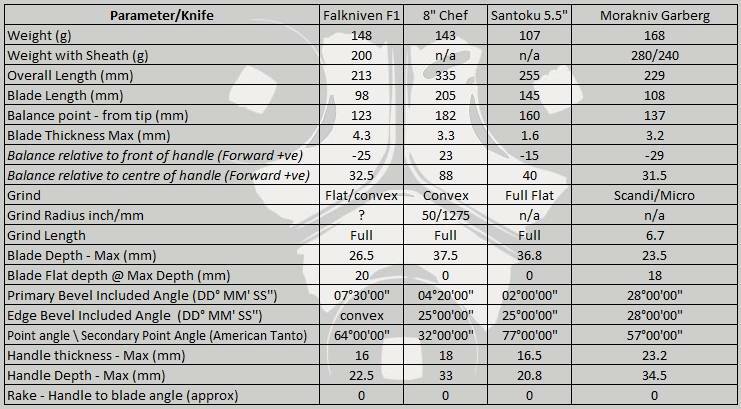 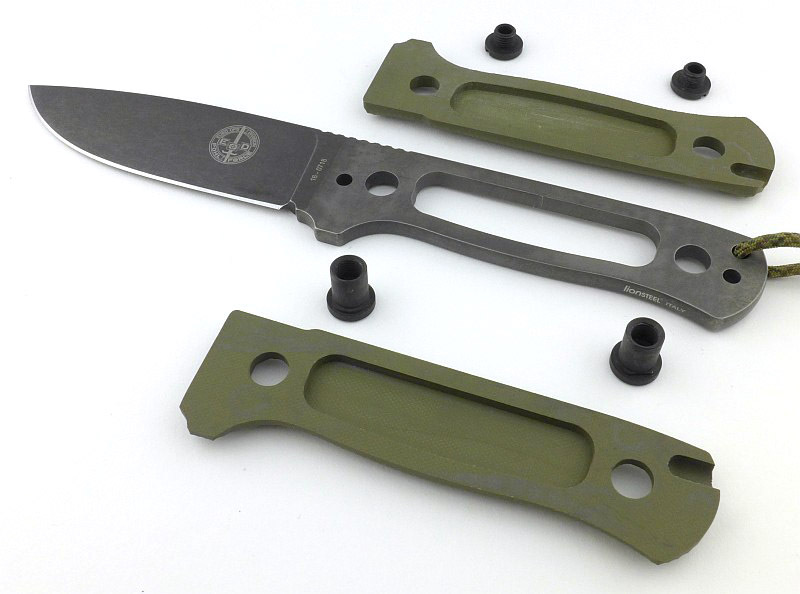 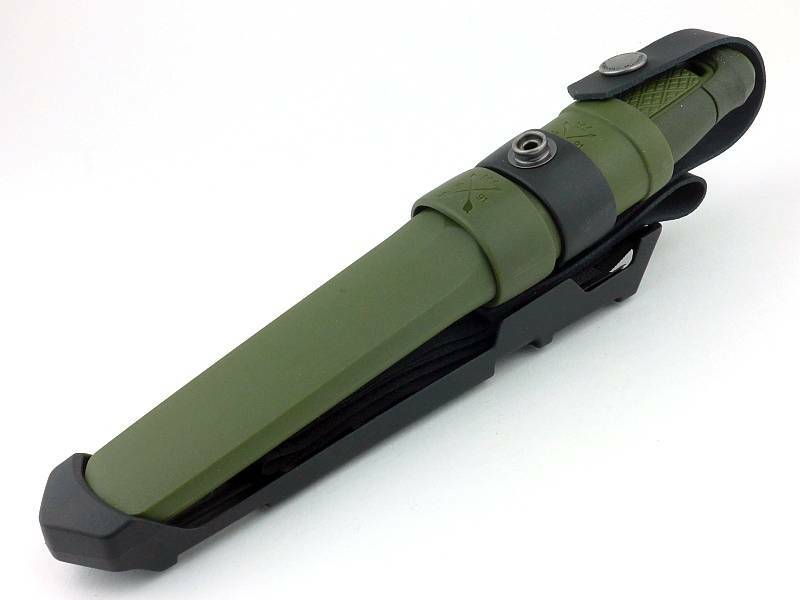 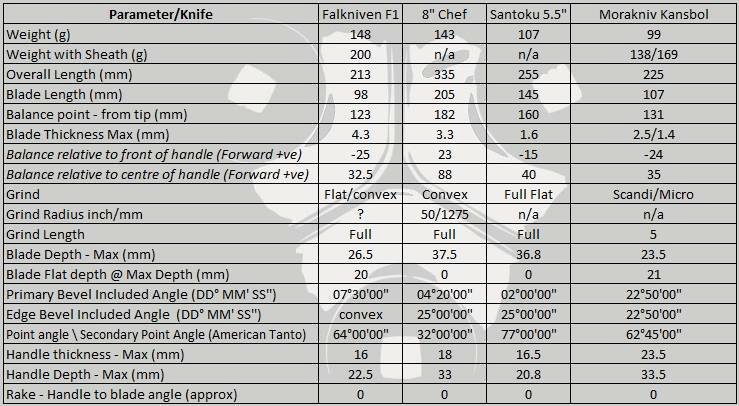 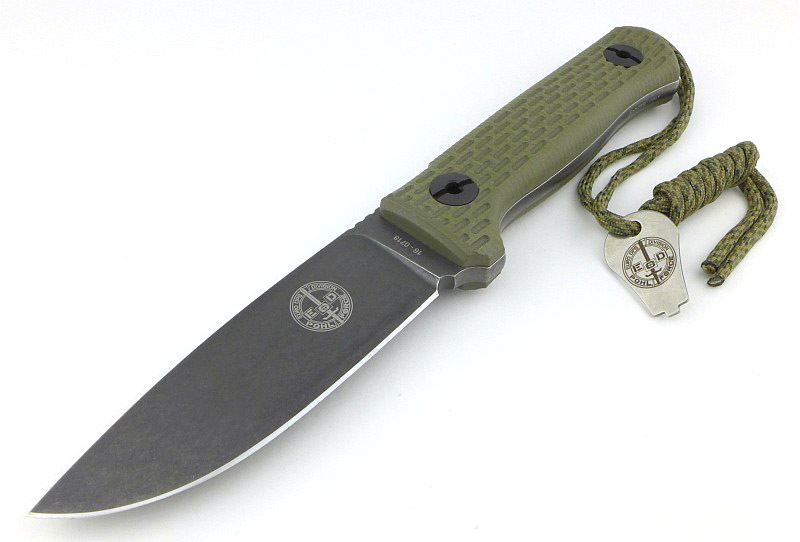 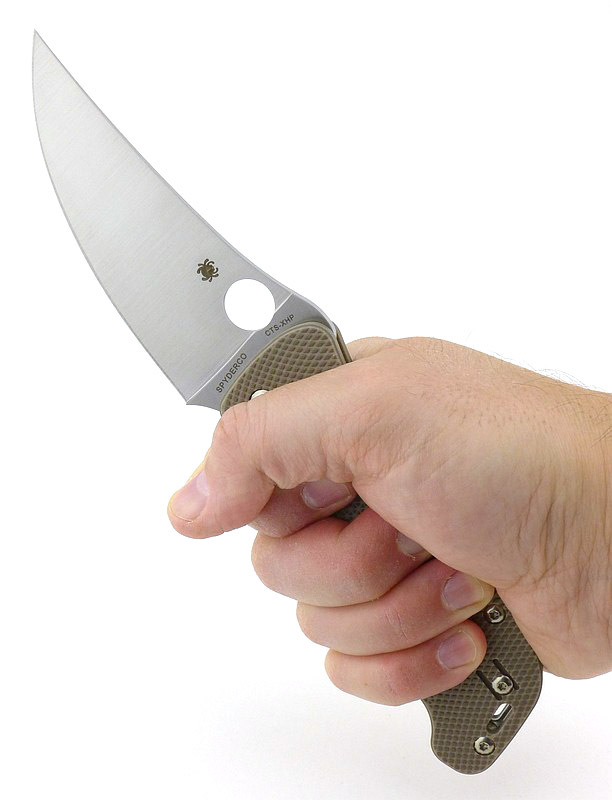 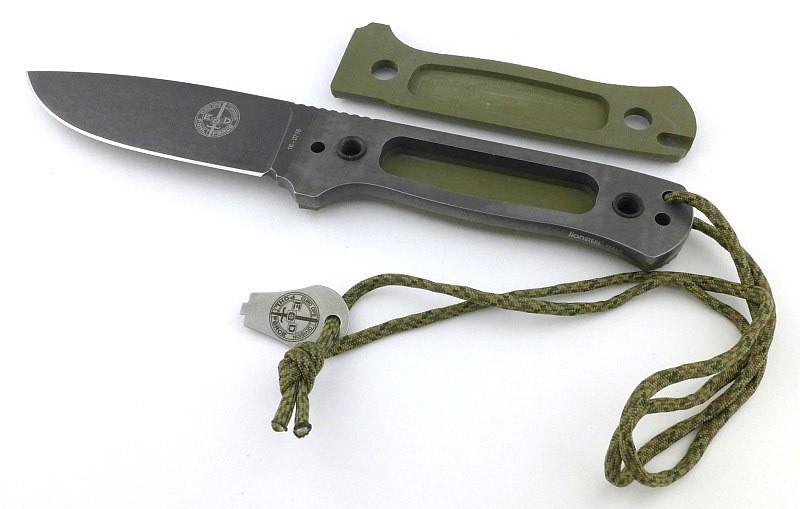 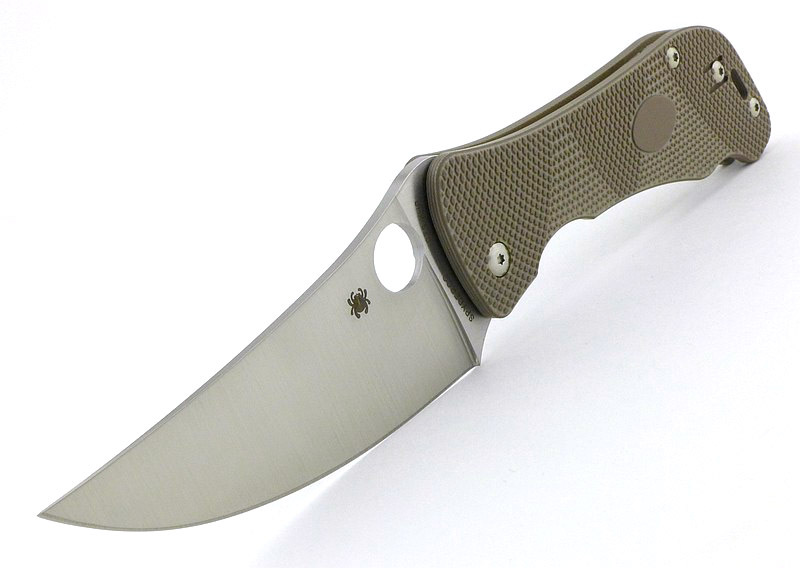 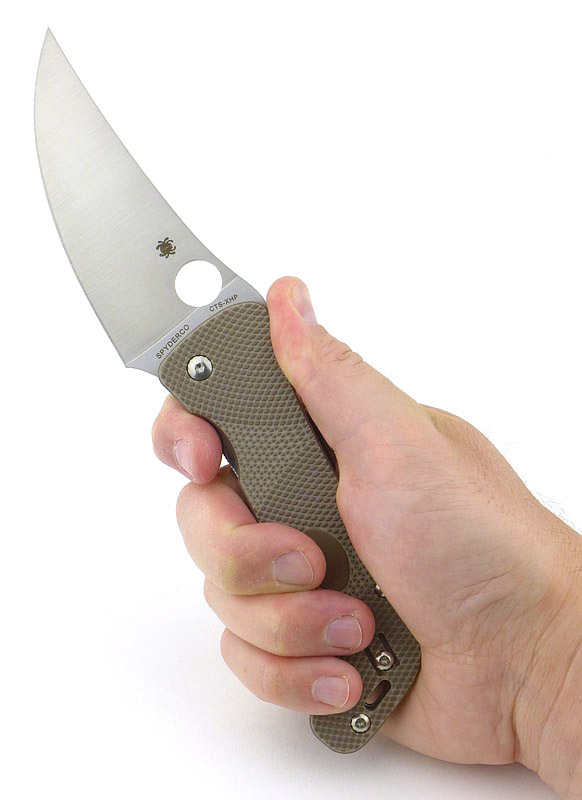 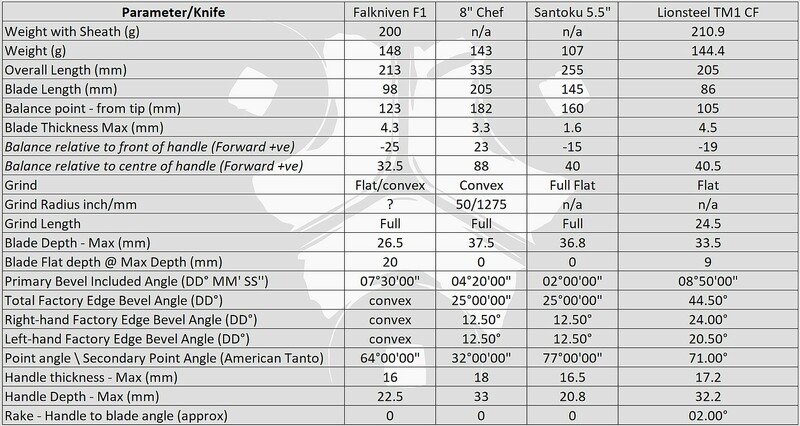 Considering the high value for money of this knife, adding anything in this column would be simply for the sake of it. 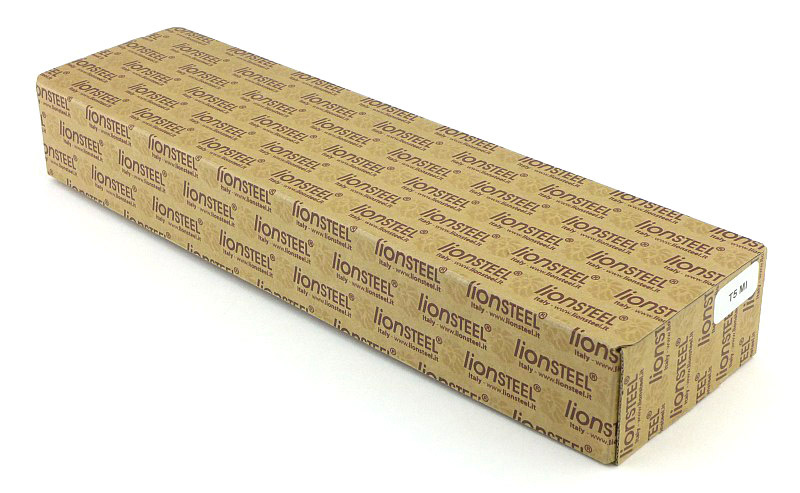 In true terms there really isn’t anything to knock this down on.